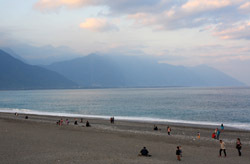 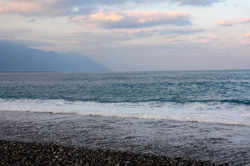 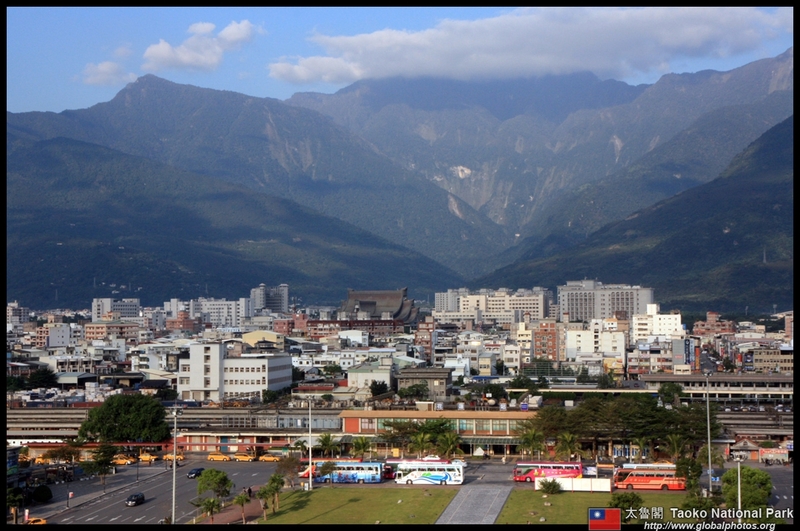 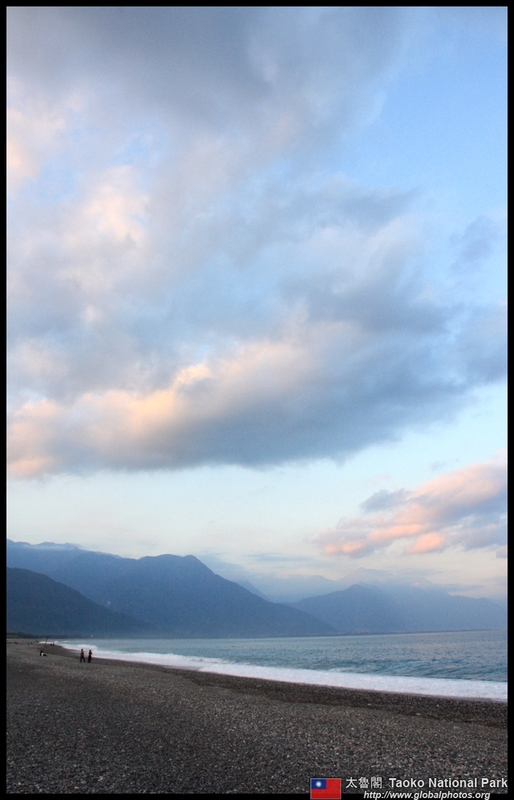 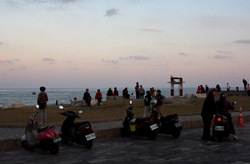 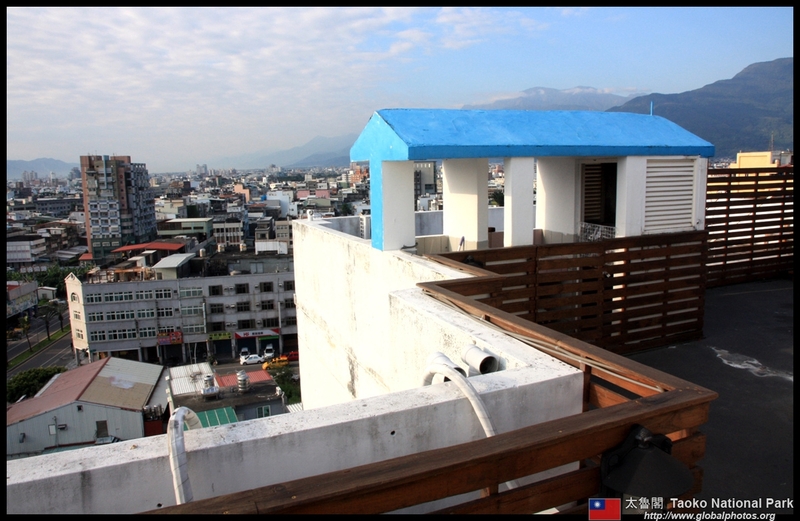 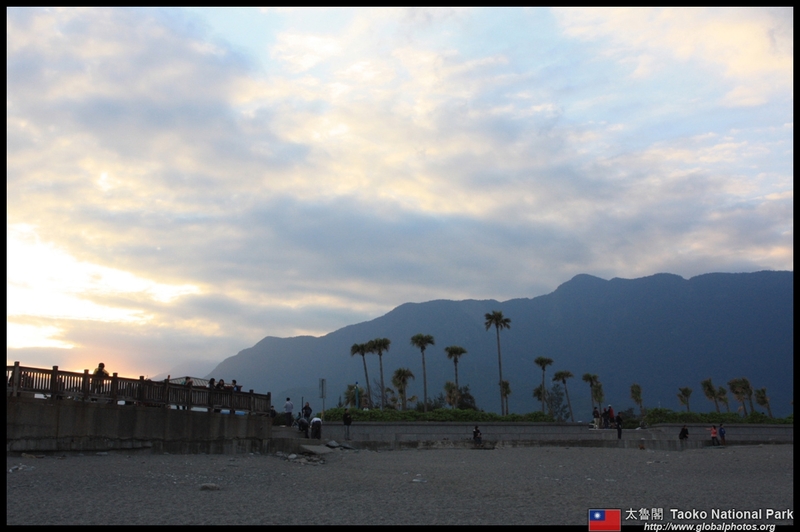 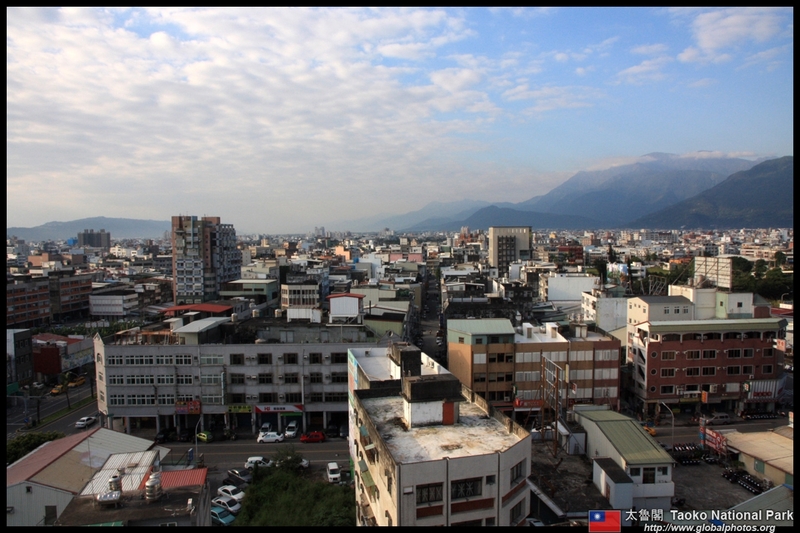 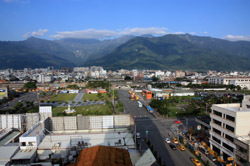 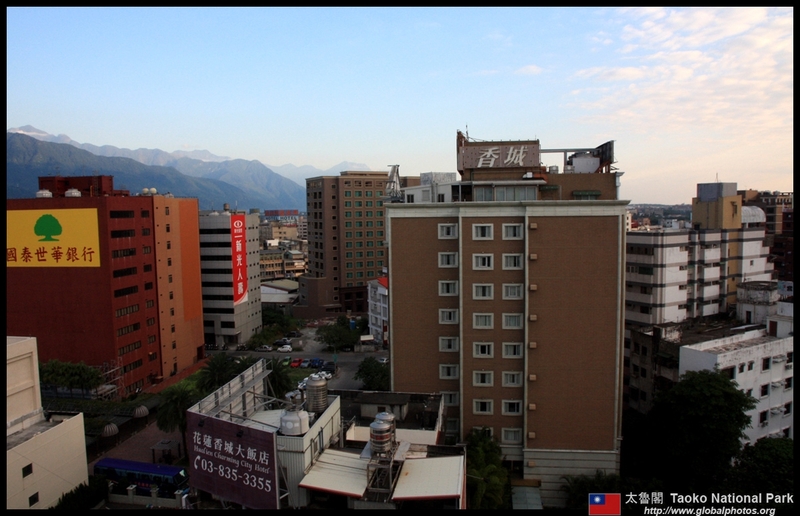 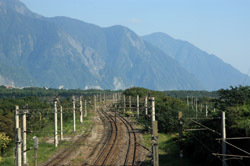 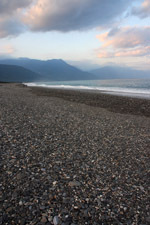 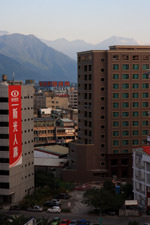 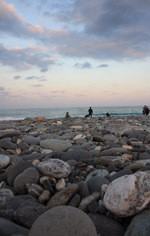 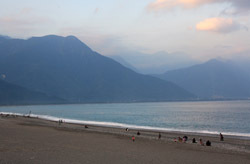 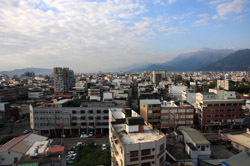 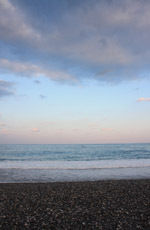 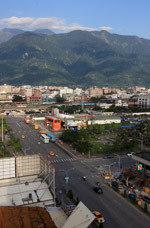 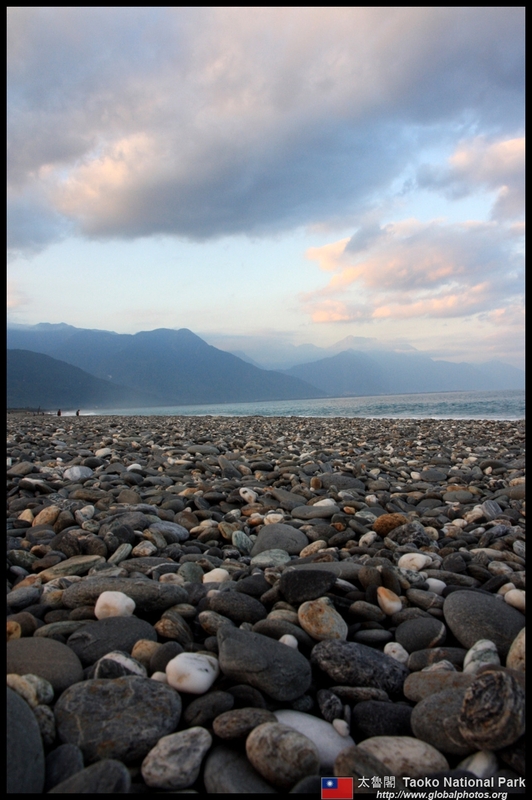 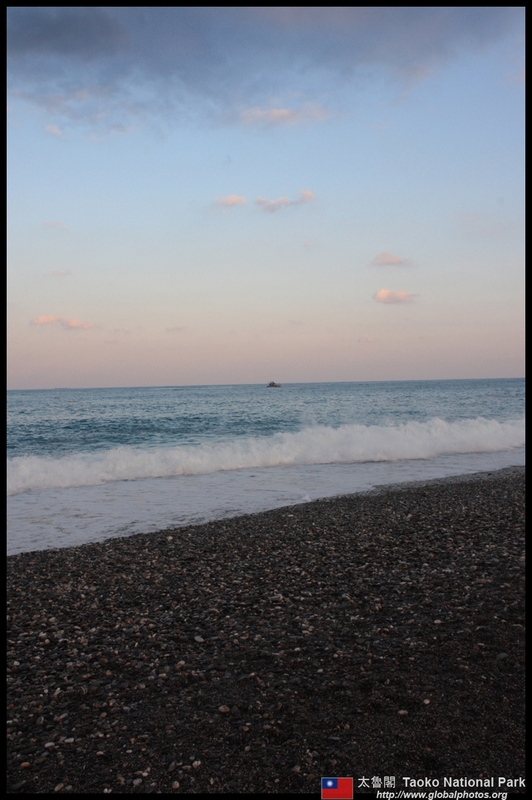 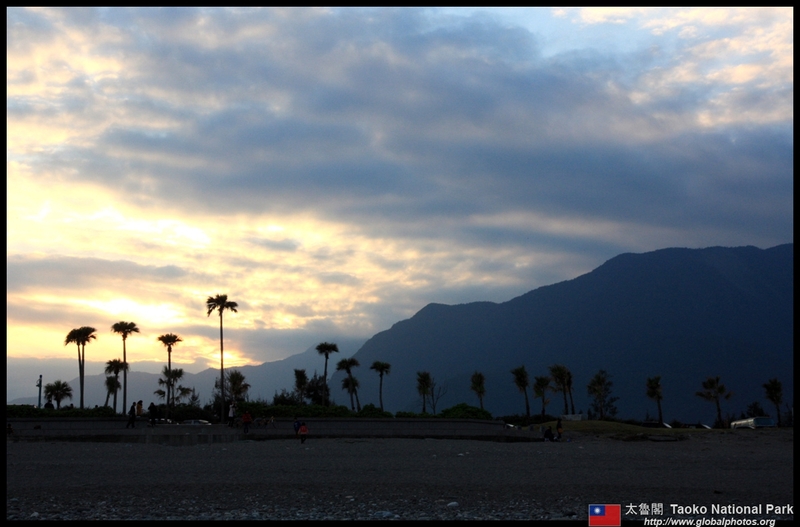 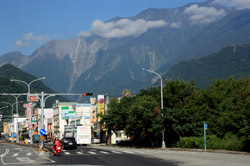 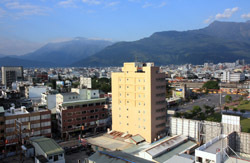 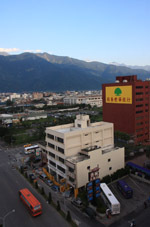 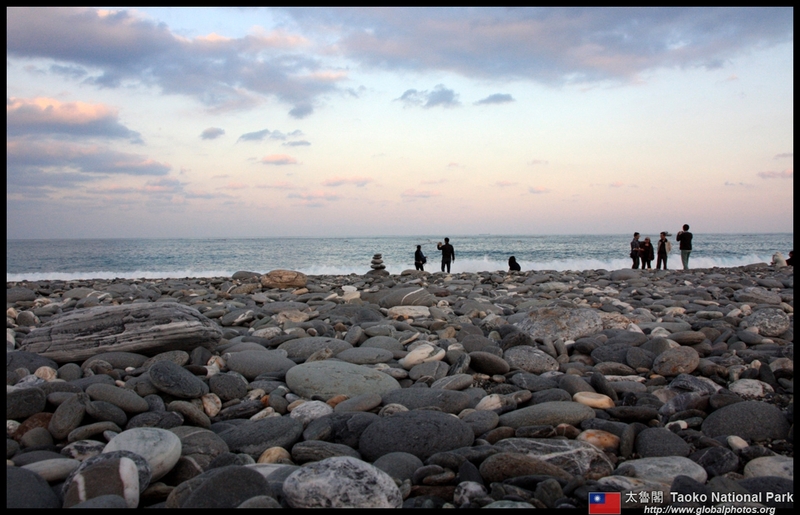 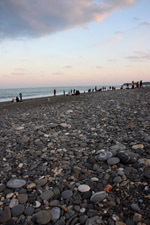 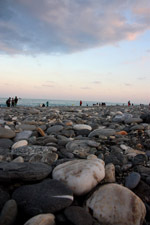 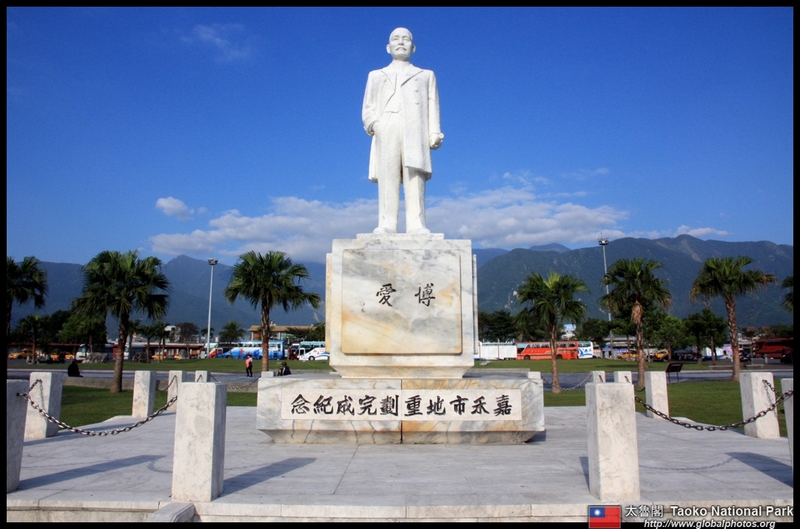 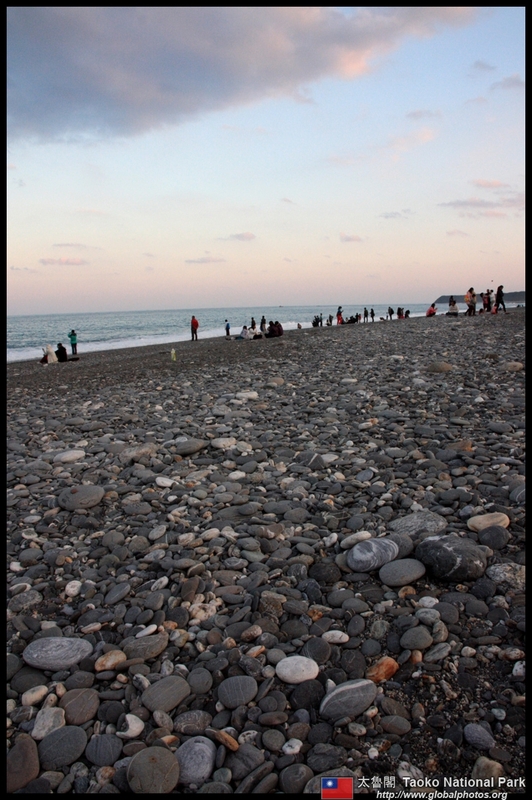 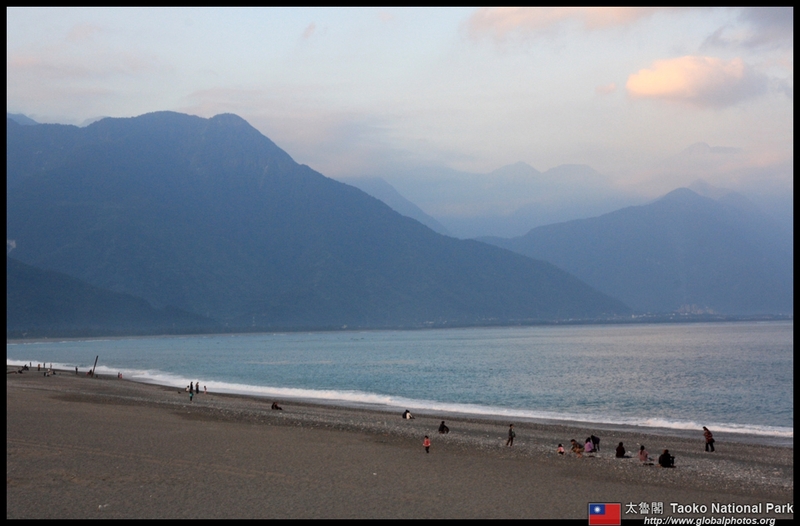 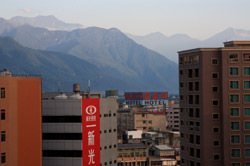 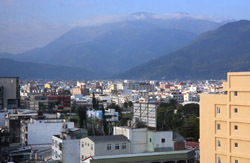 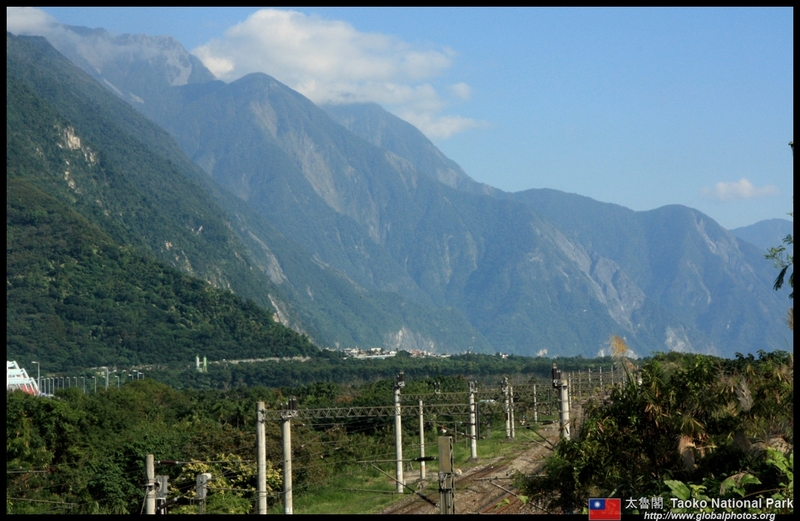 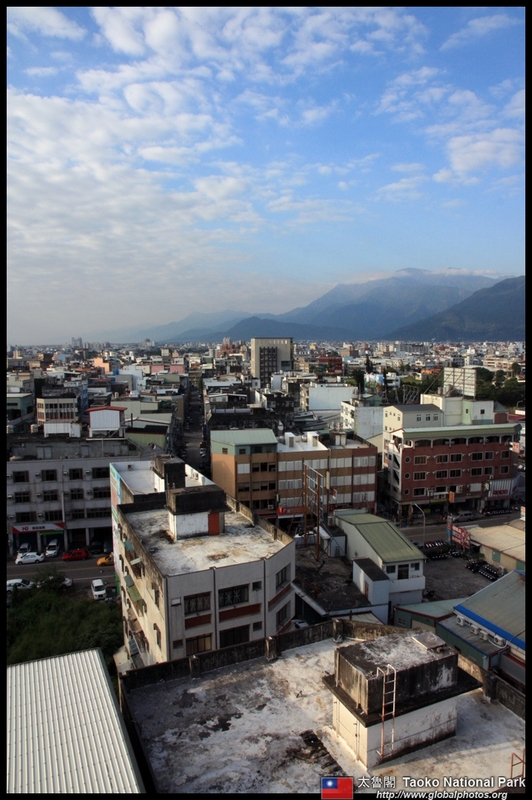 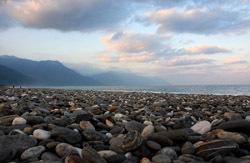 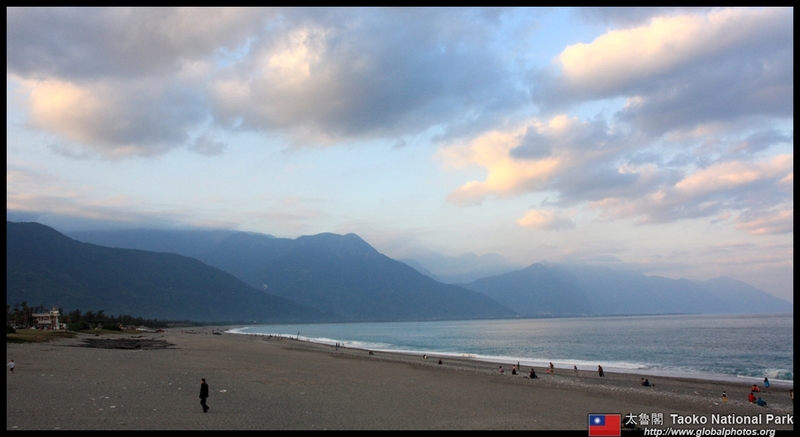 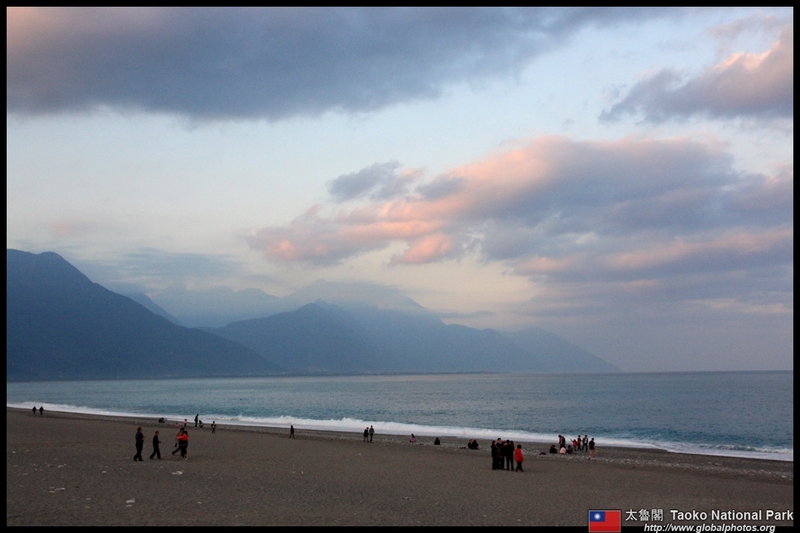 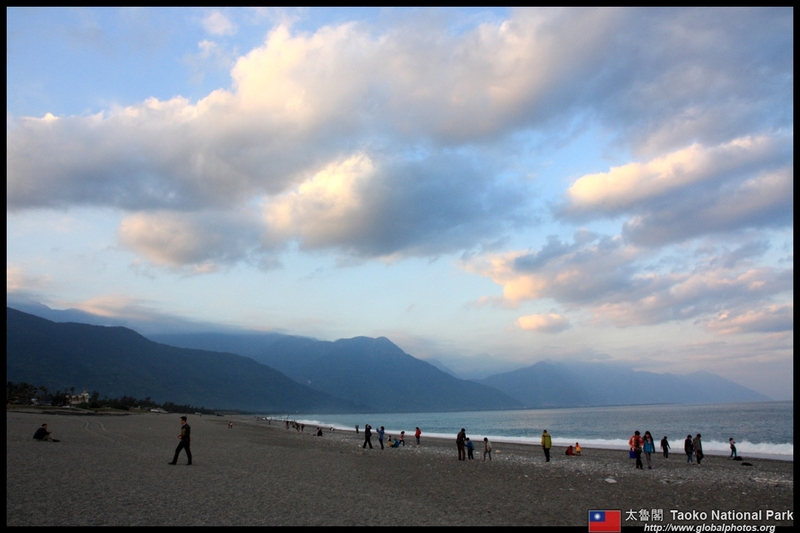 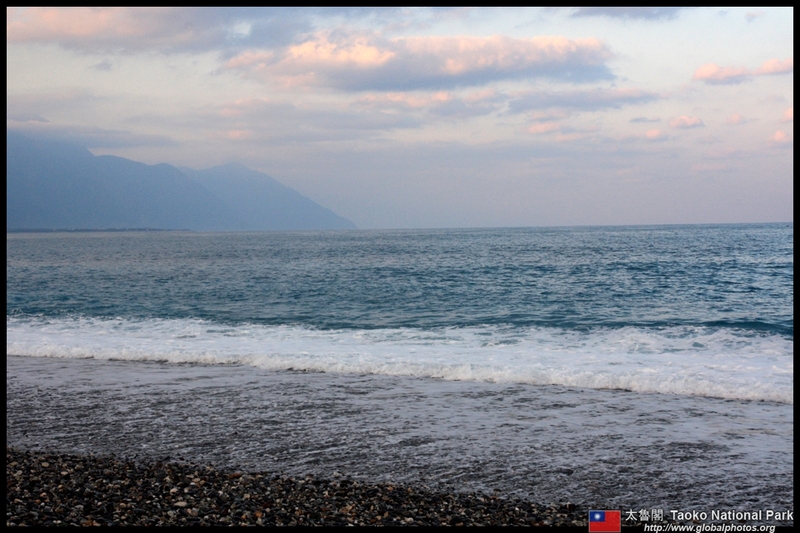 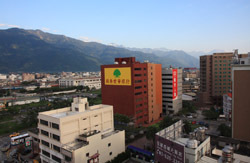 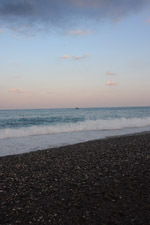 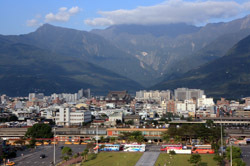 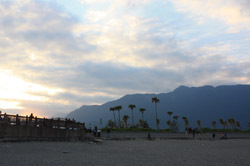 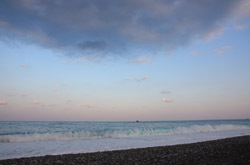 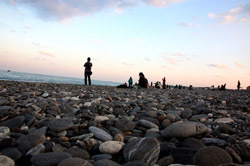 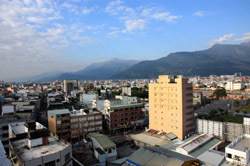 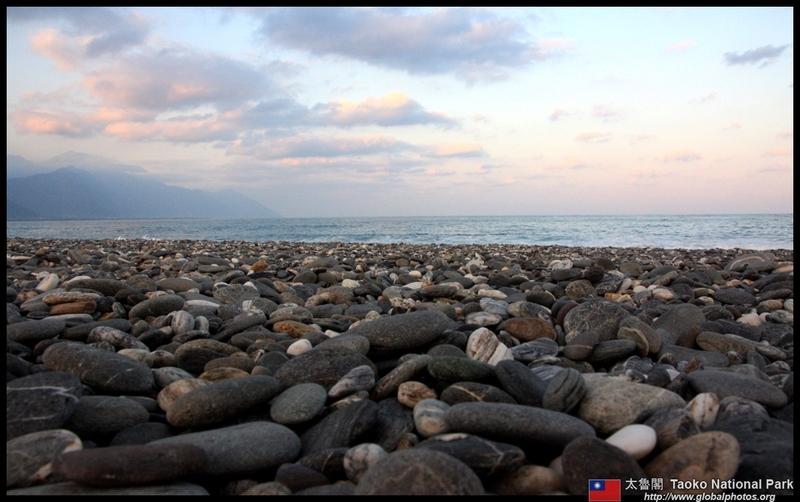 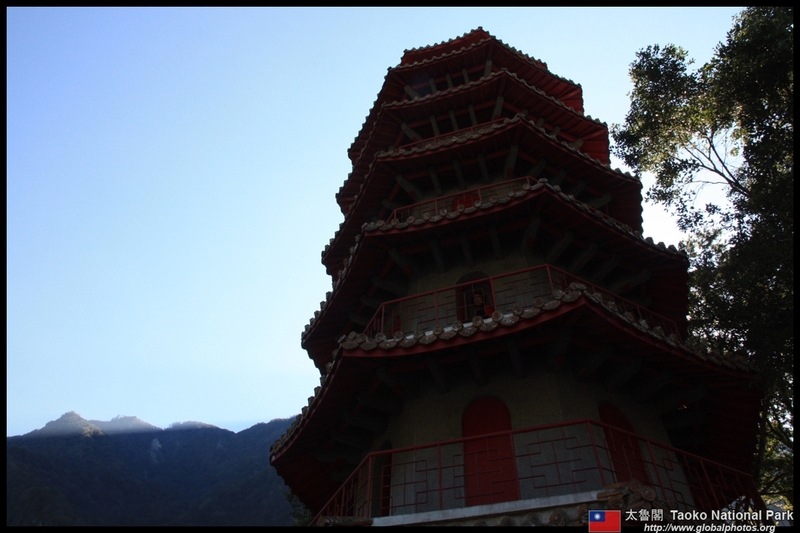 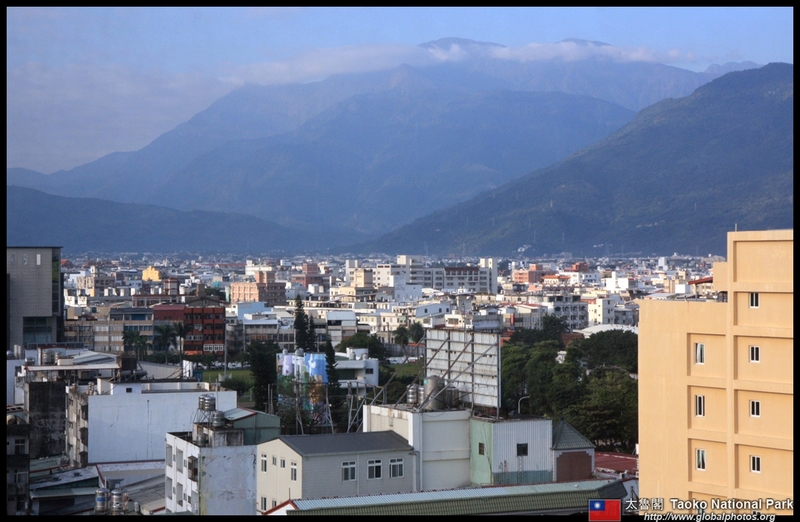 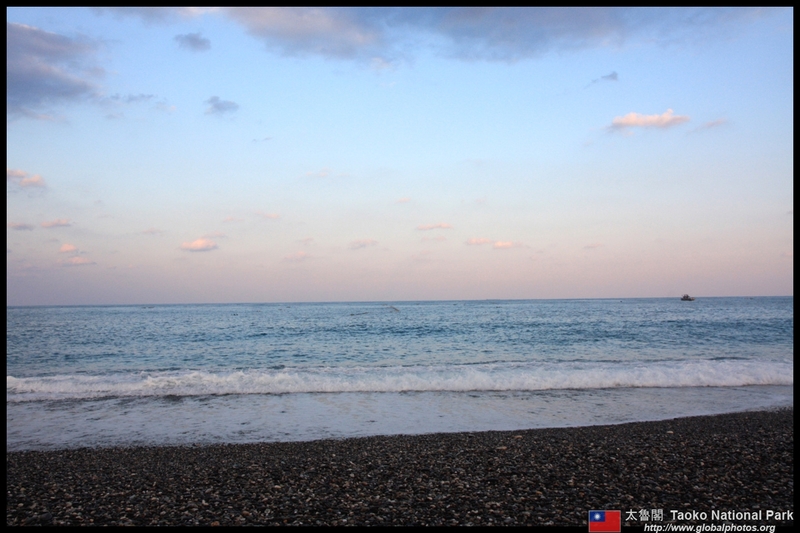 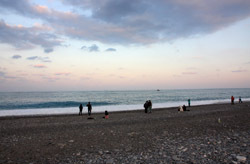 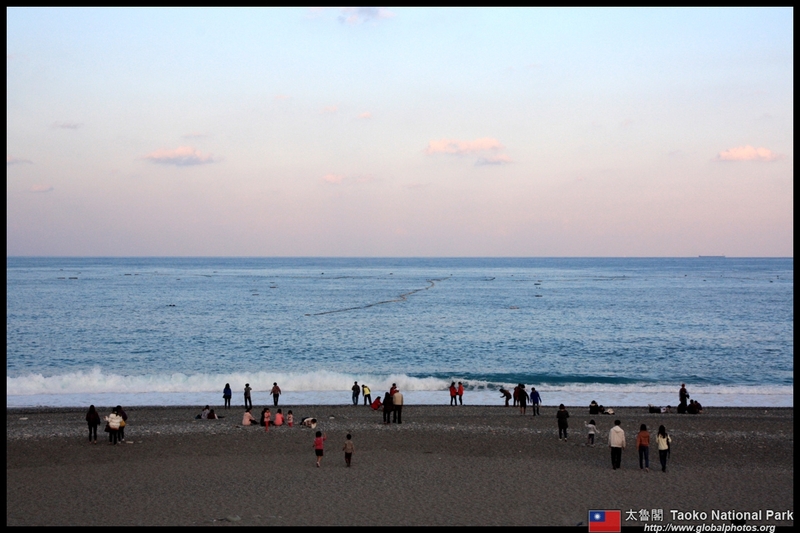 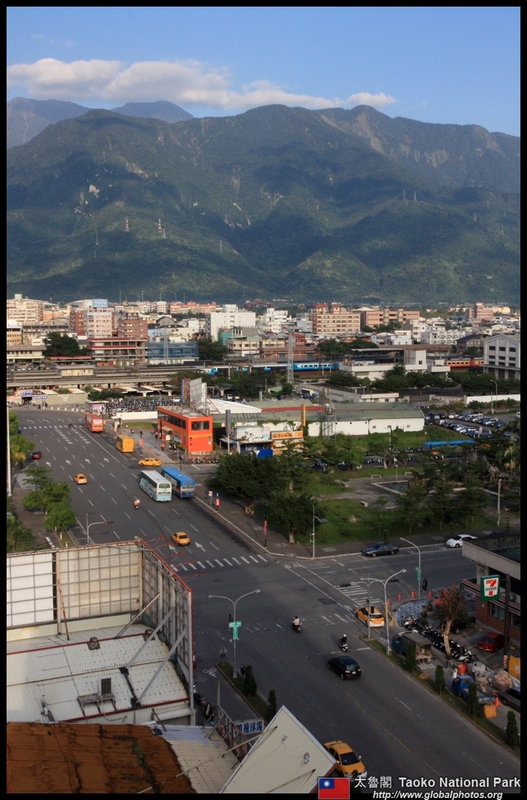 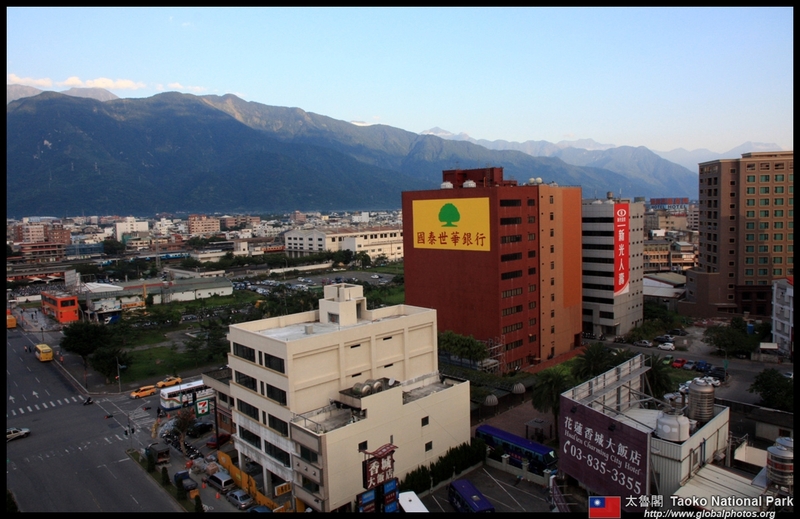 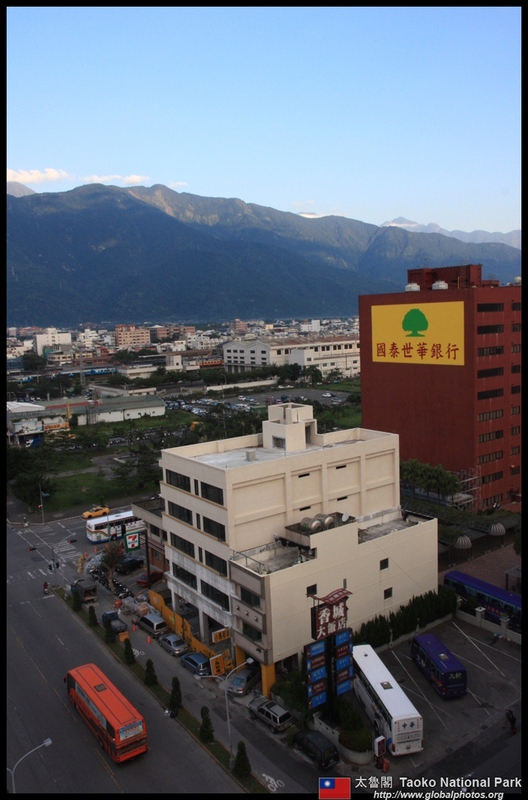 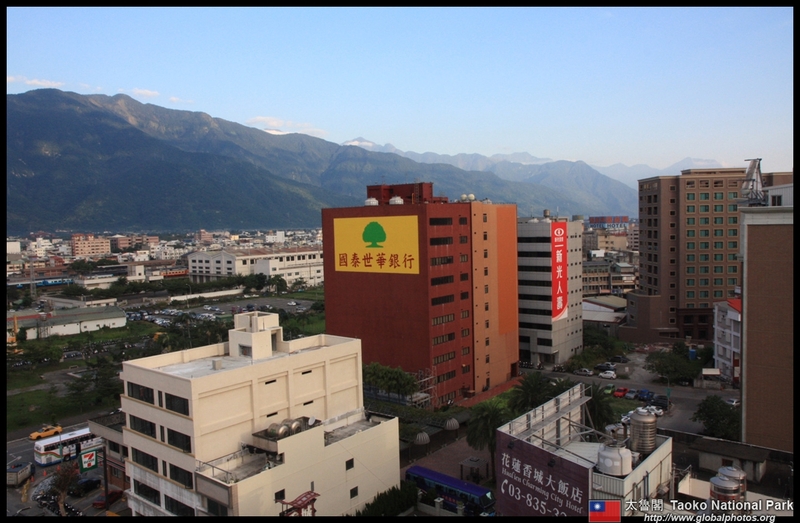 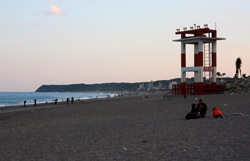 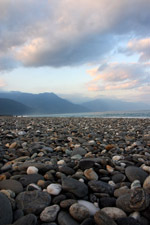 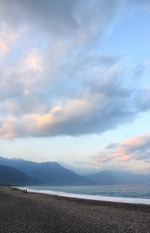 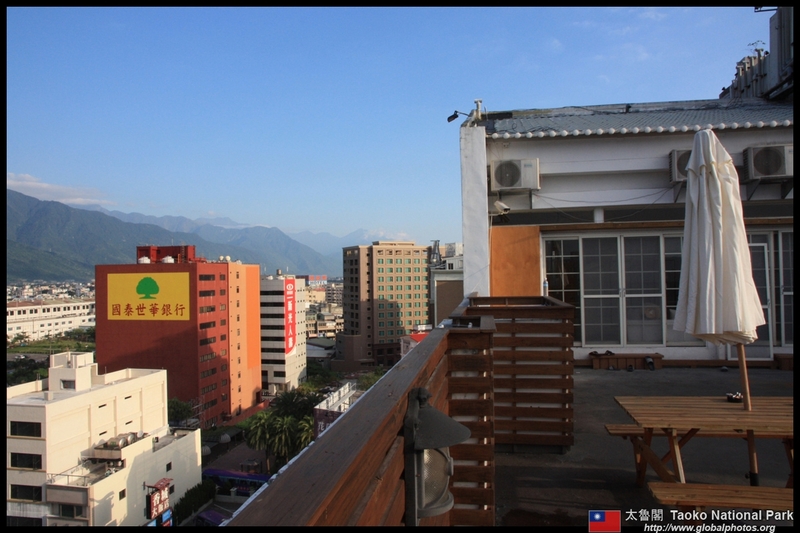 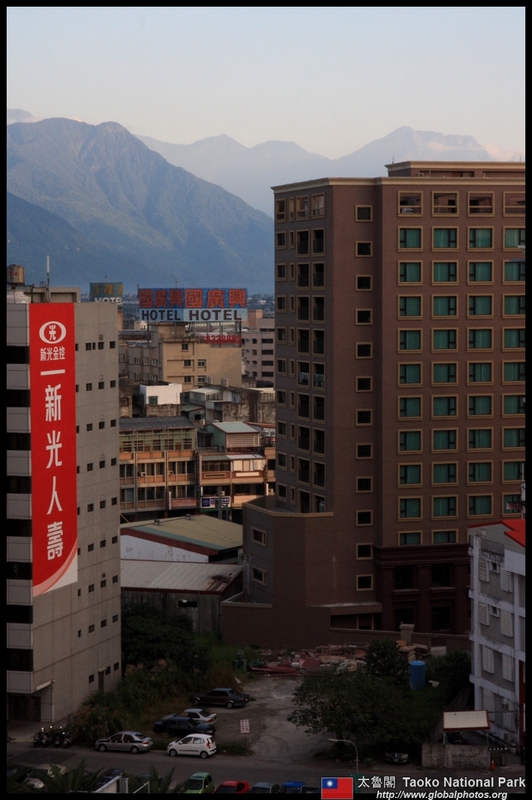 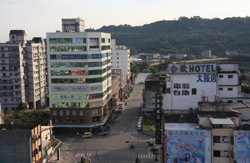 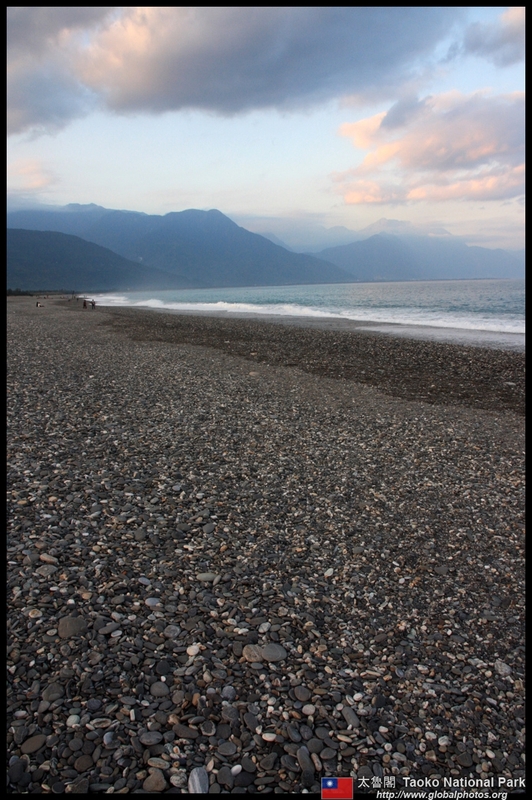 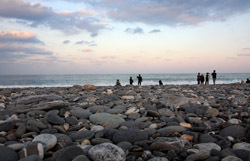 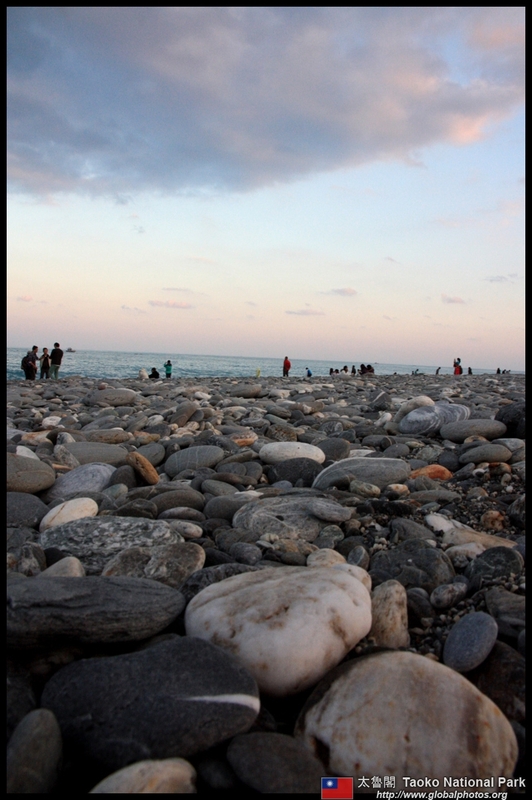 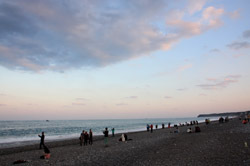 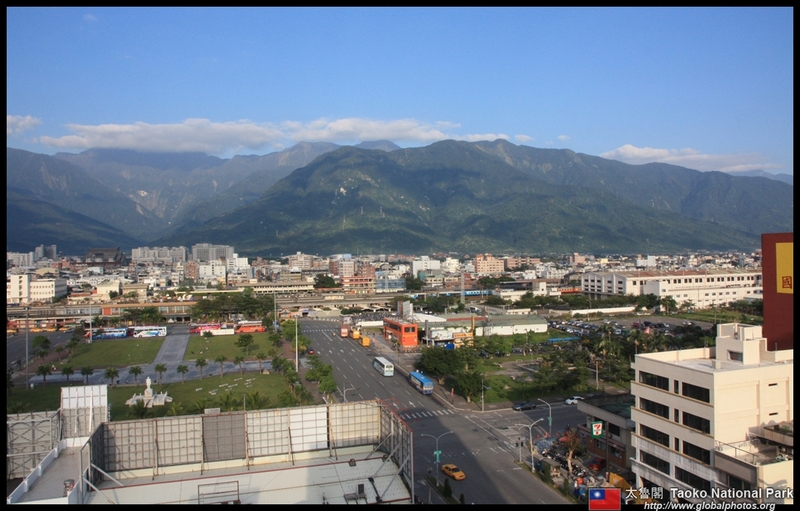 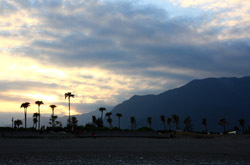 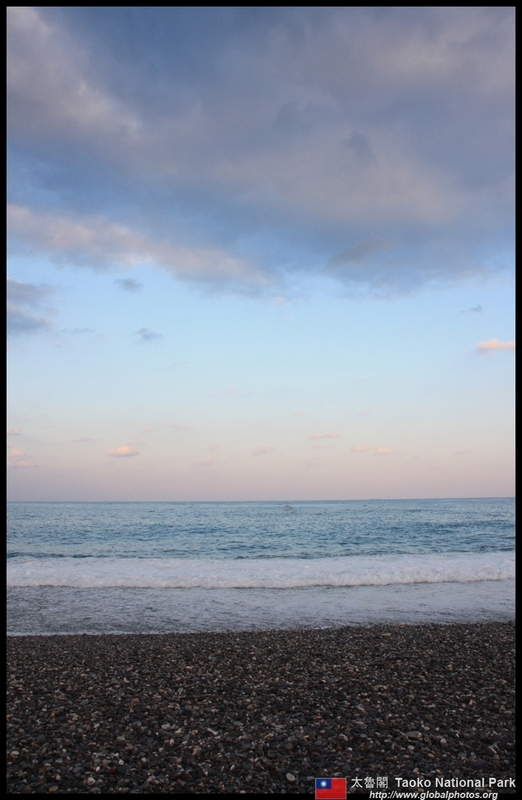 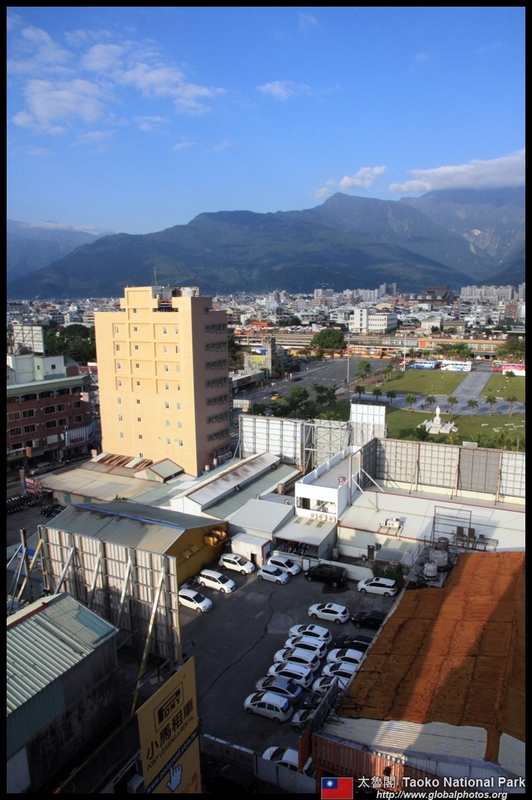 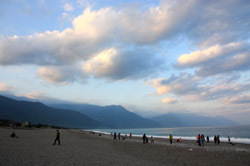 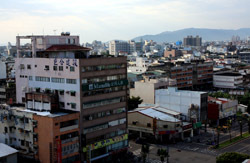 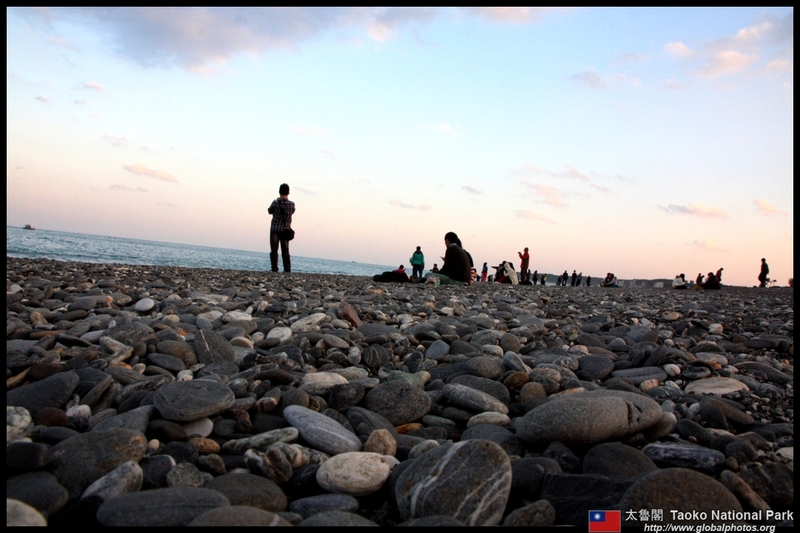 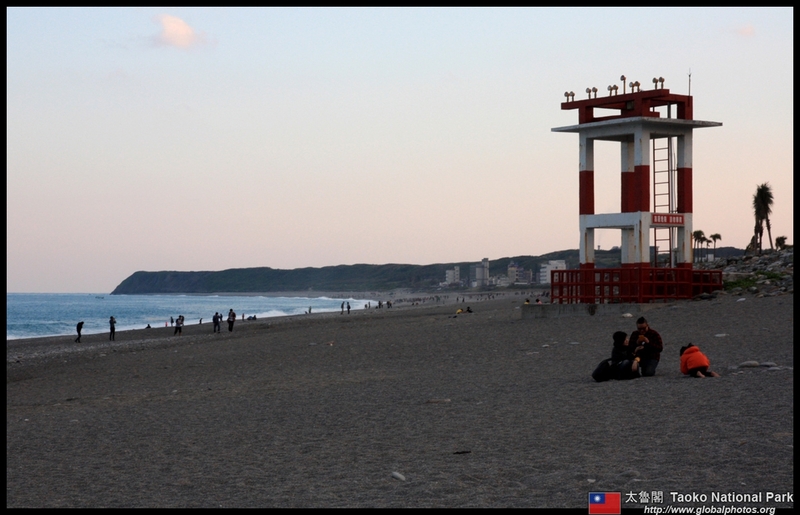 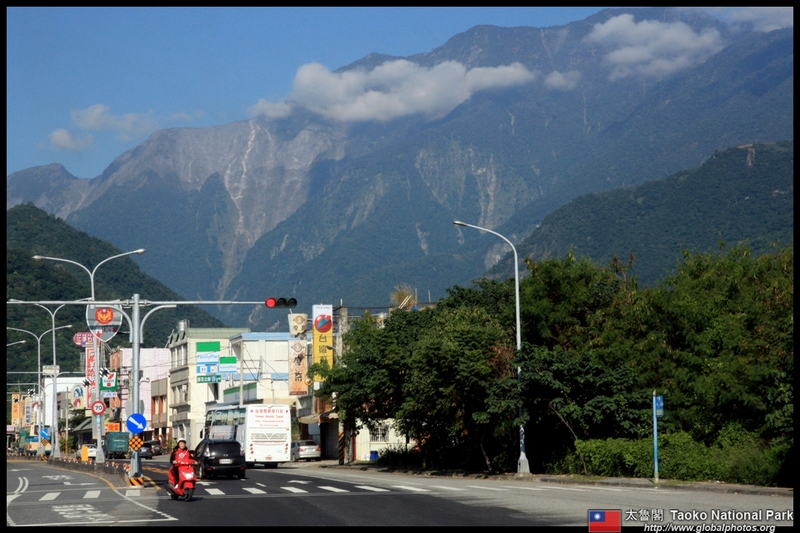 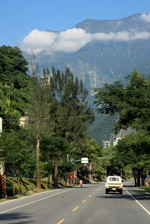 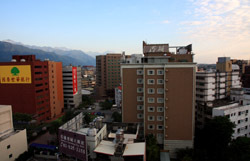 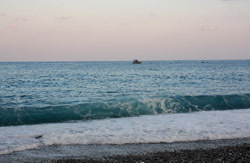 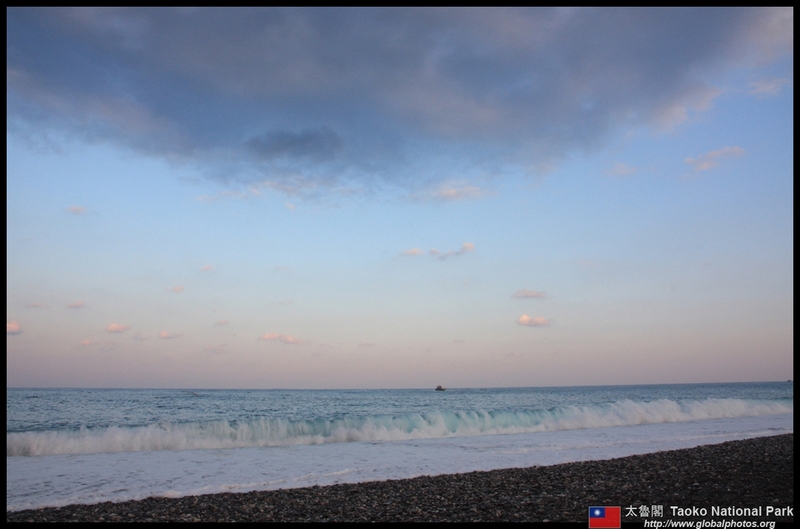 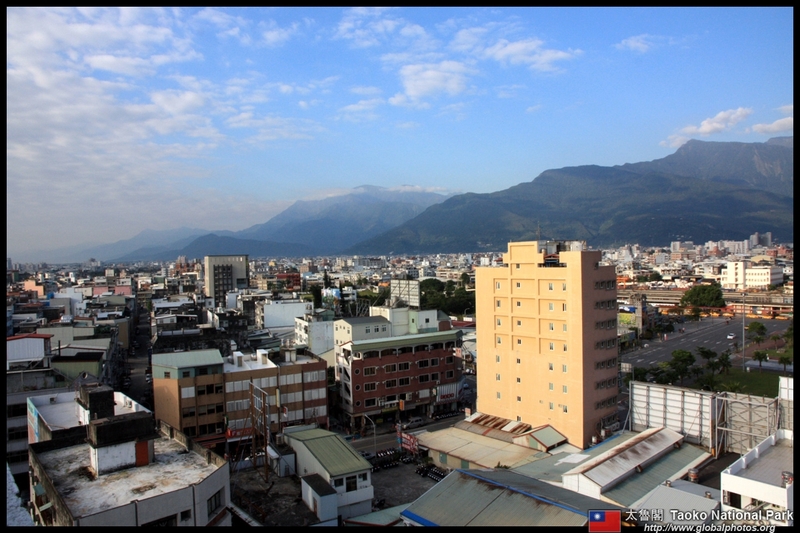 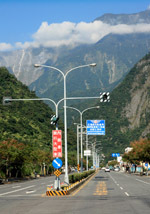 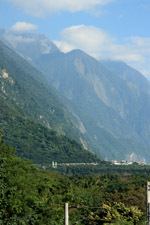 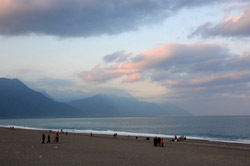 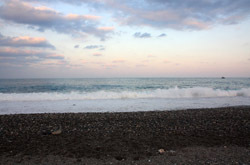 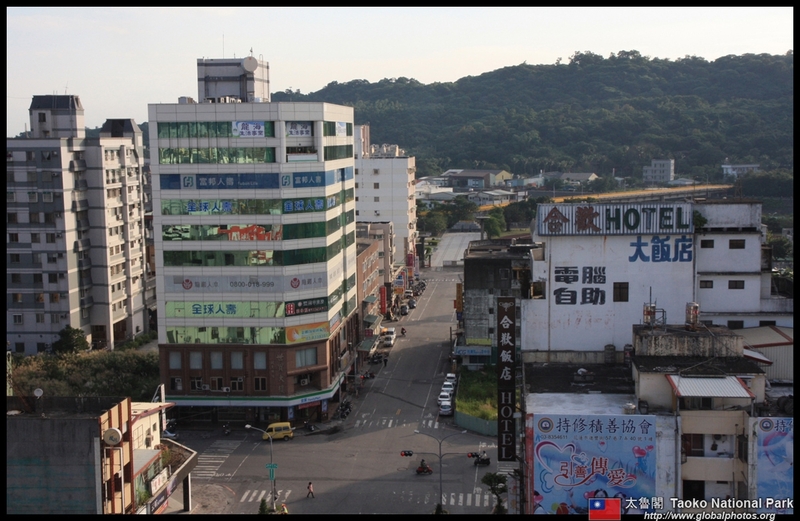 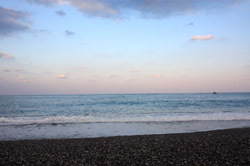 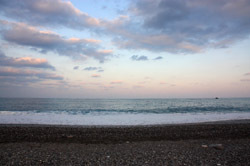 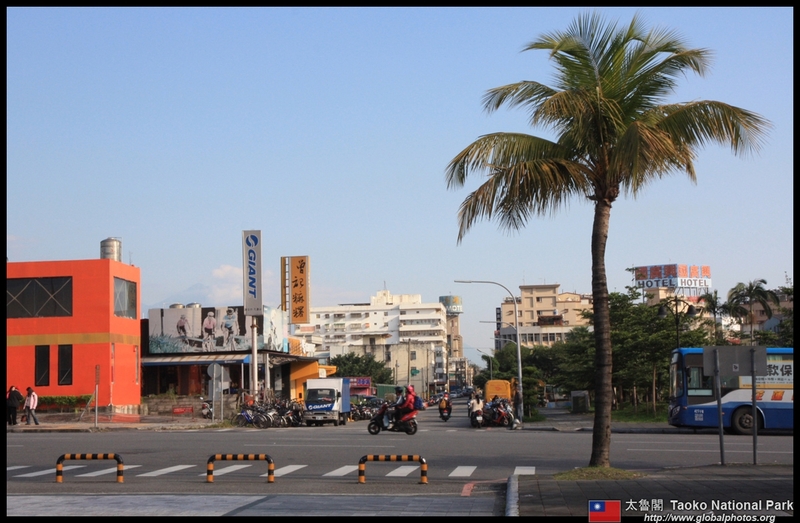 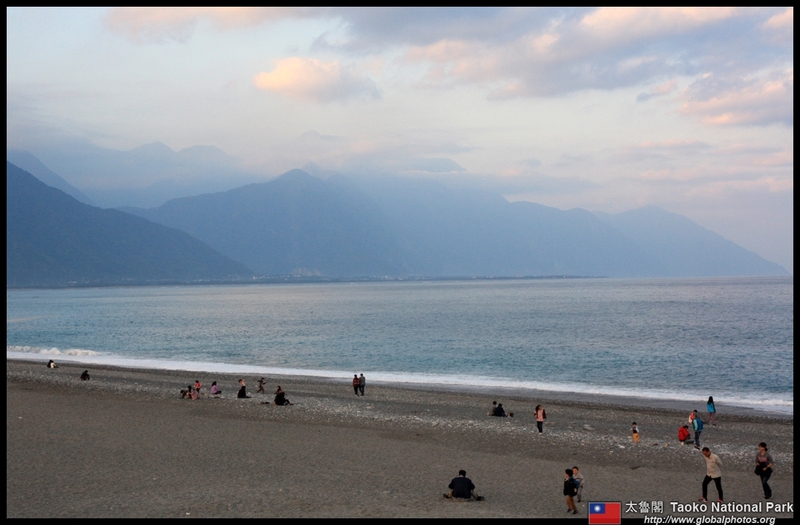 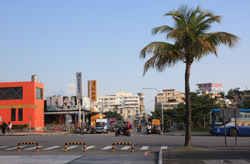 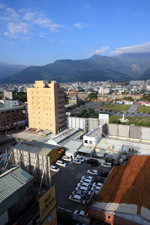 Hualien is the largest city on Taiwan's east coast. 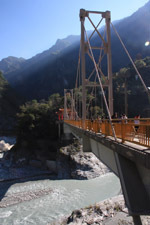 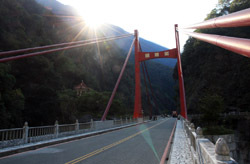 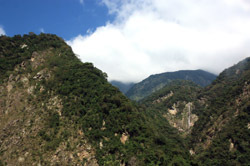 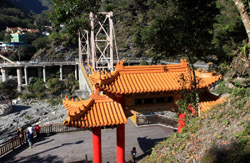 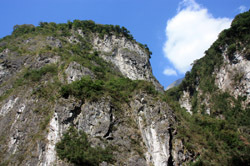 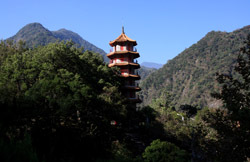 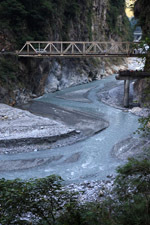 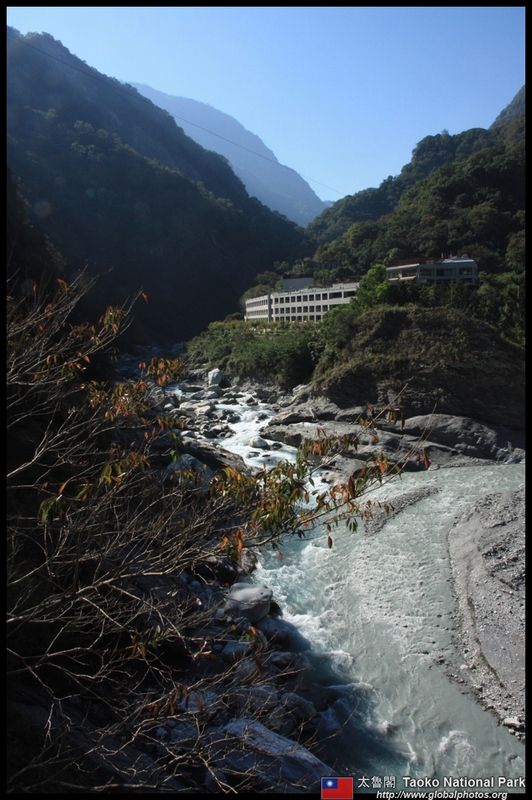 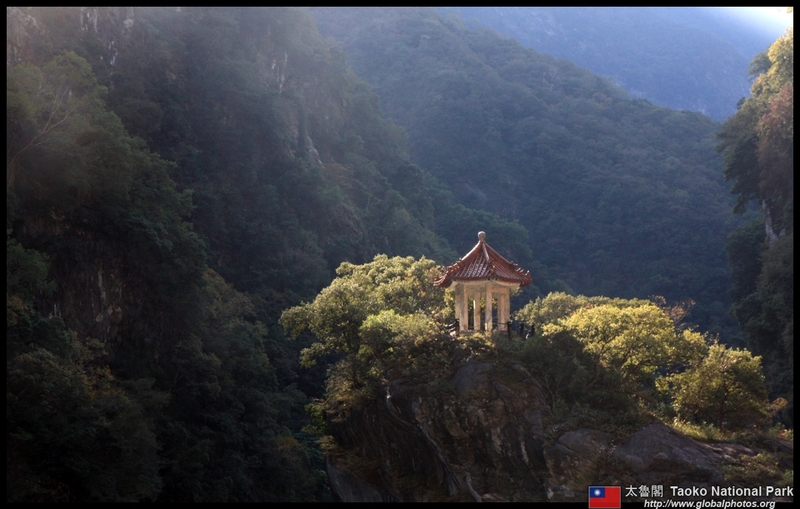 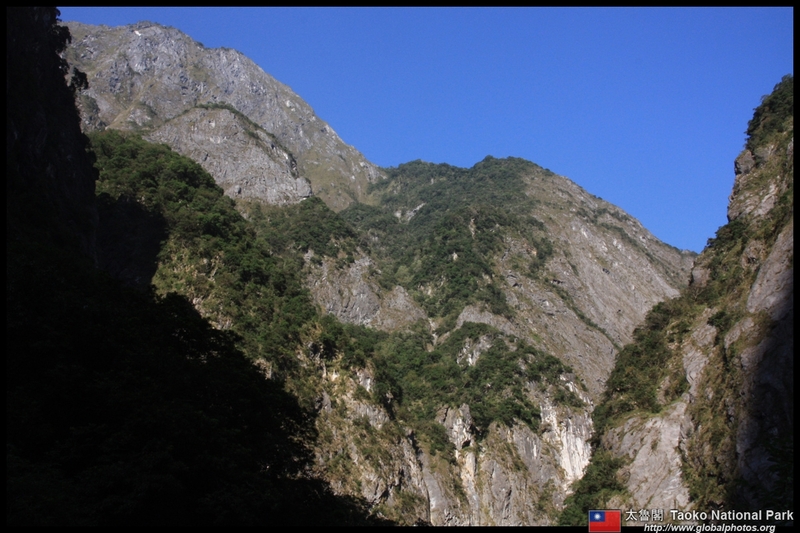 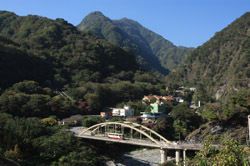 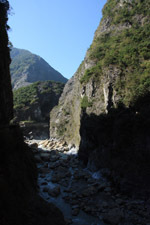 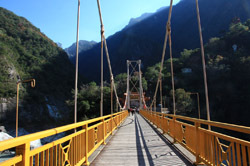 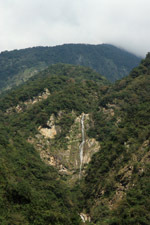 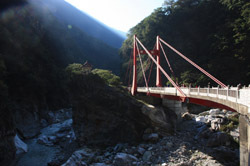 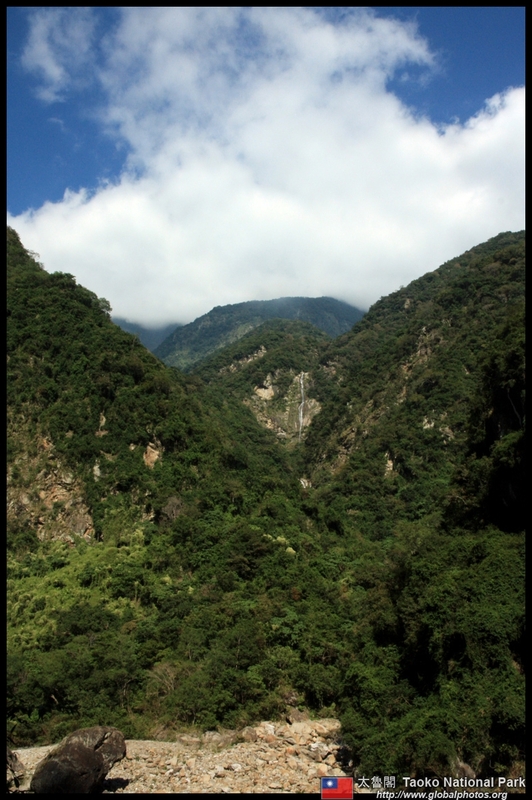 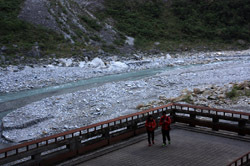 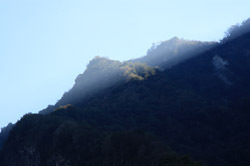 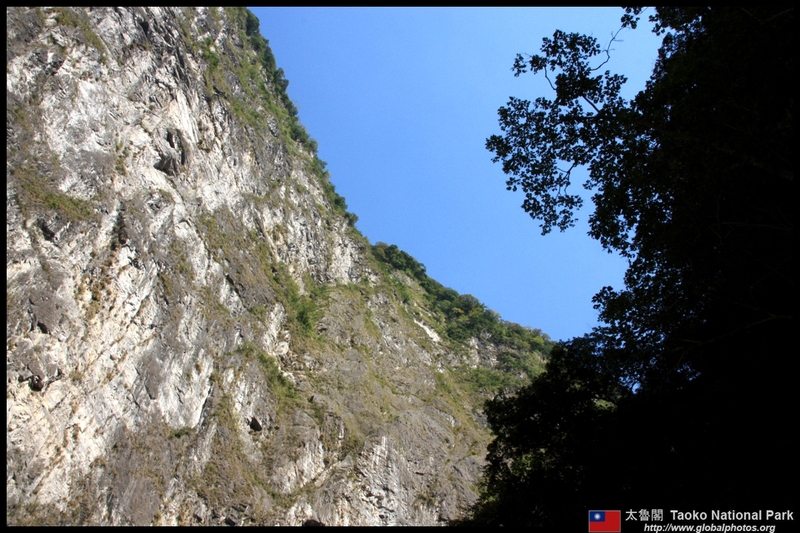 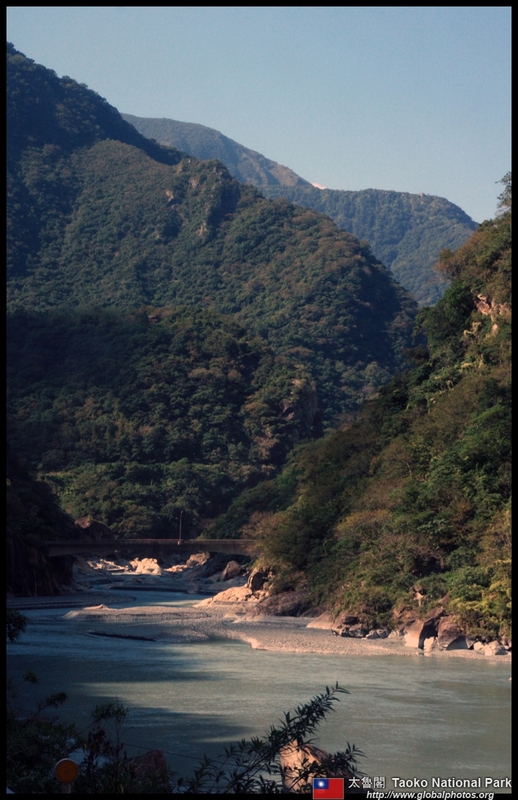 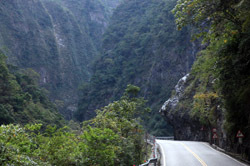 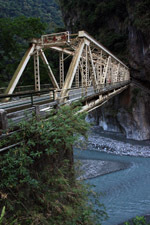 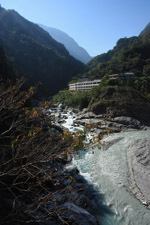 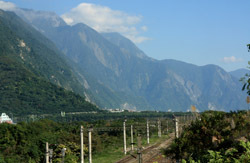 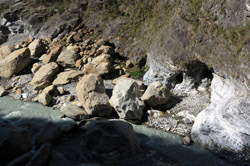 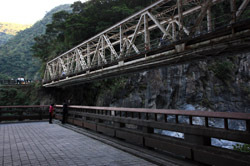 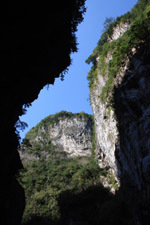 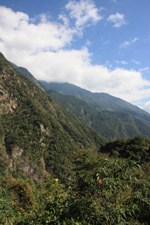 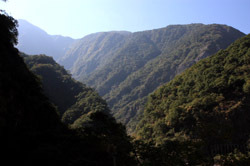 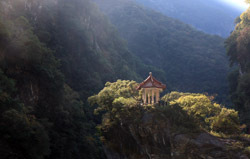 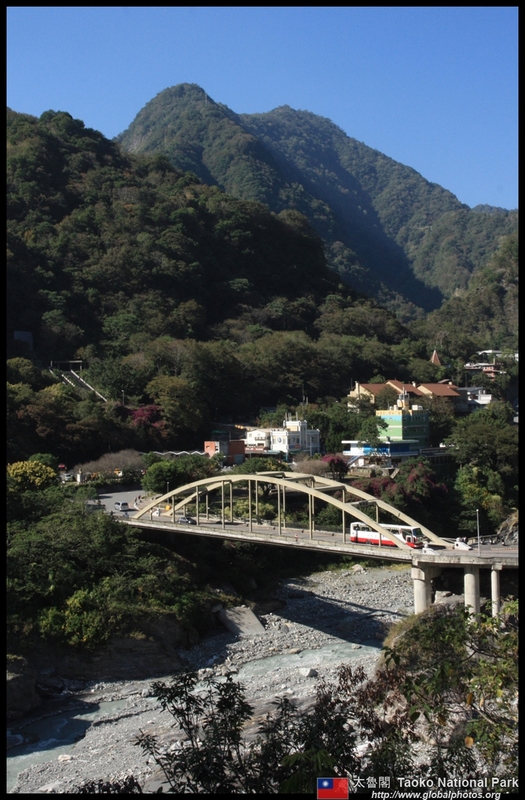 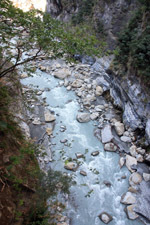 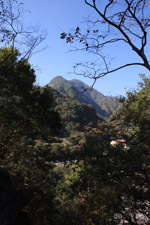 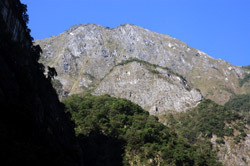 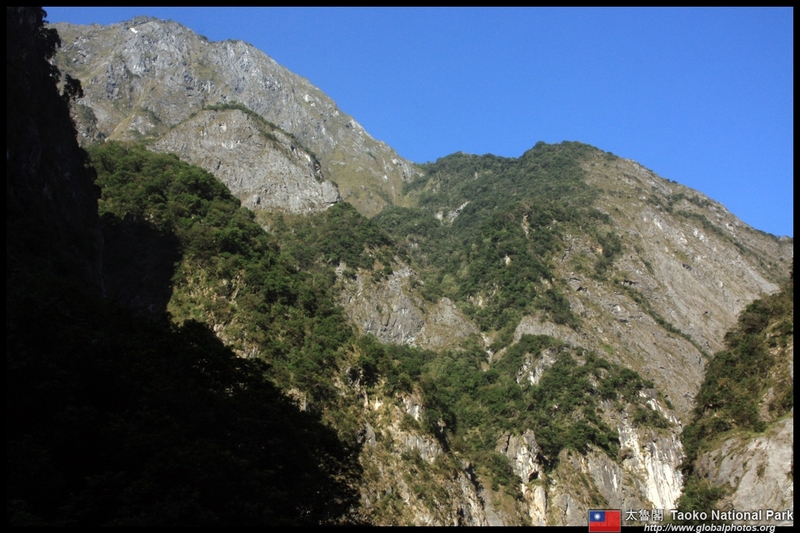 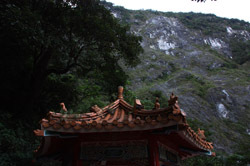 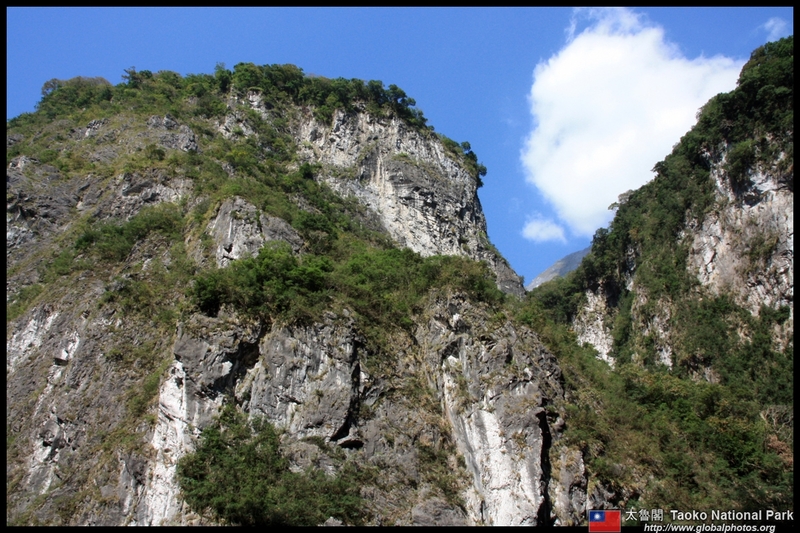 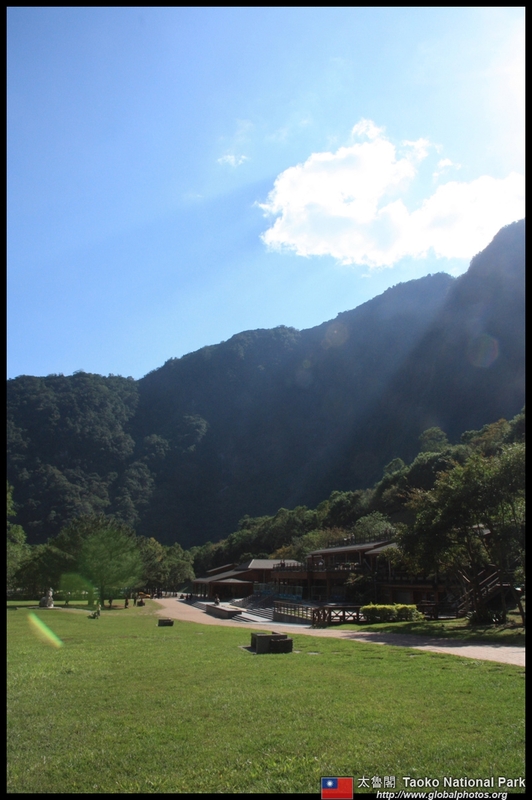 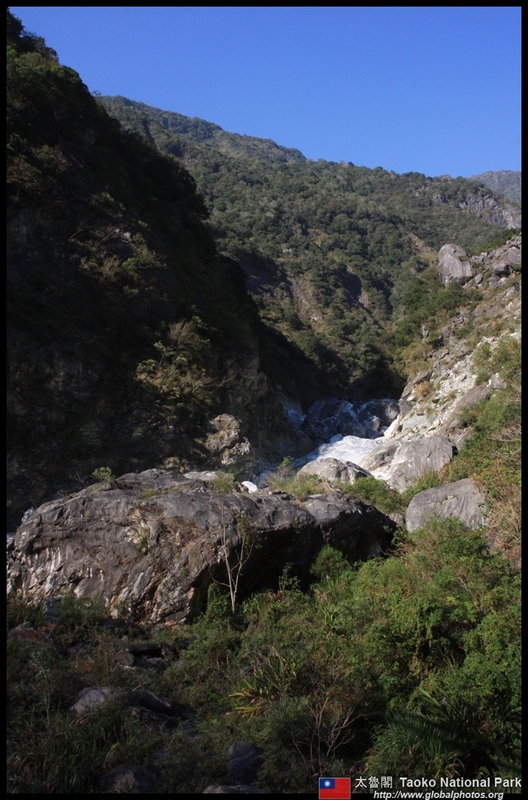 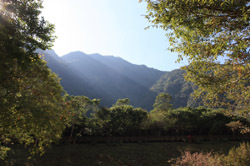 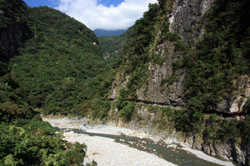 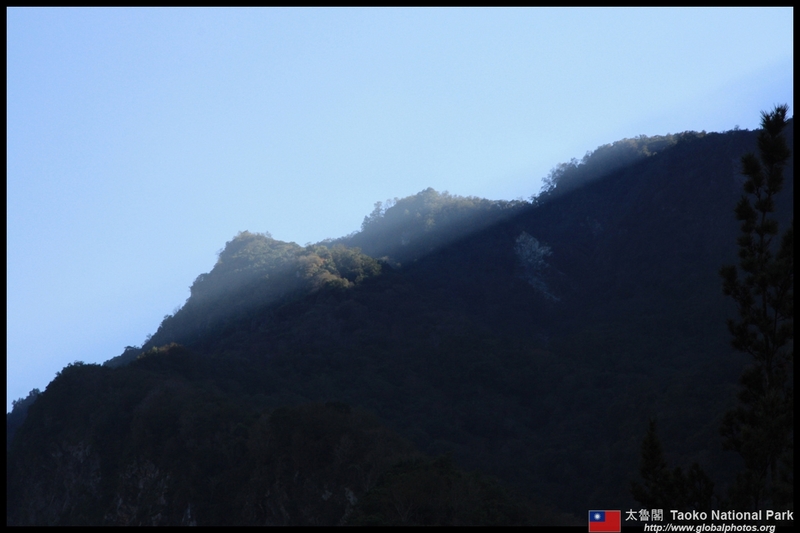 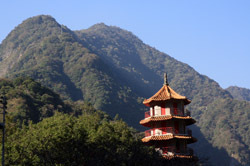 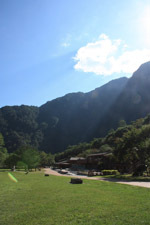 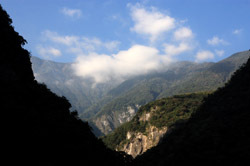 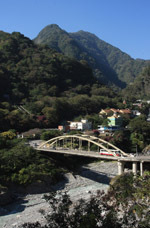 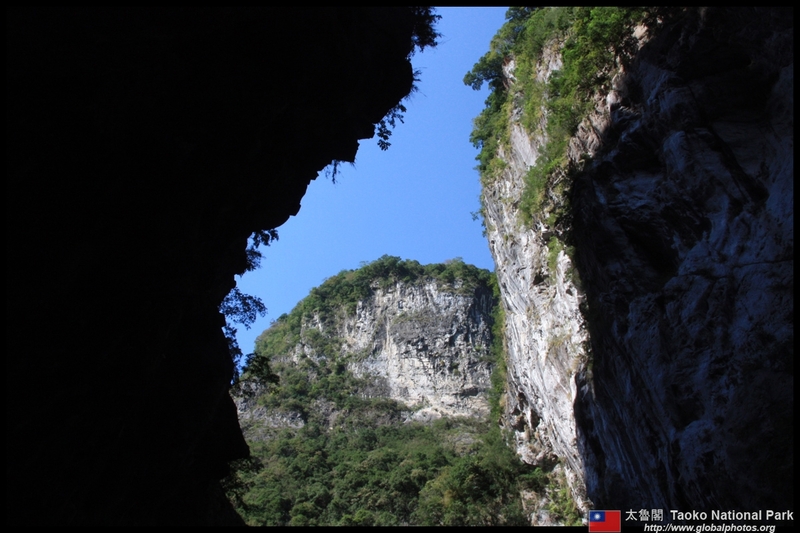 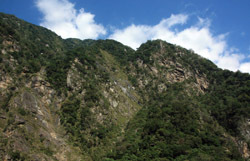 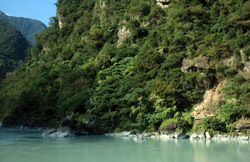 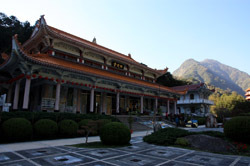 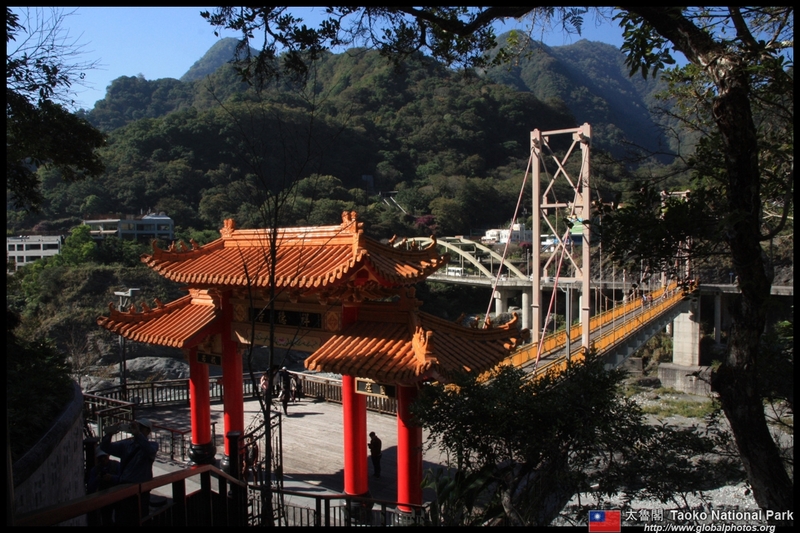 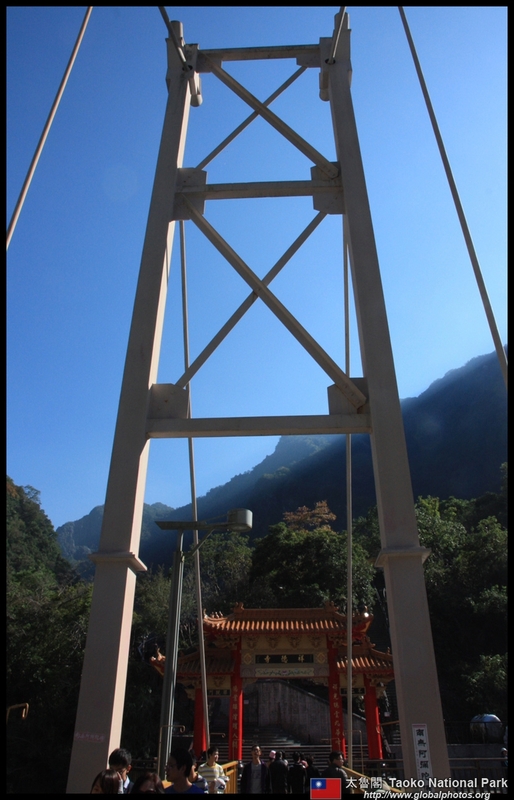 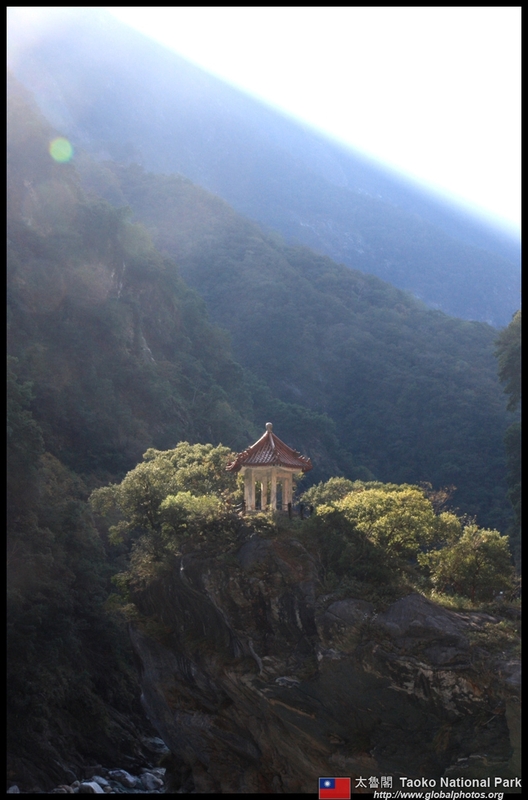 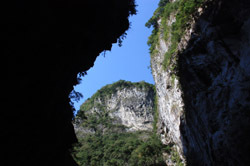 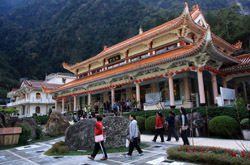 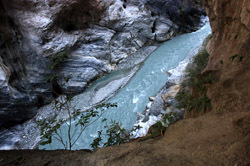 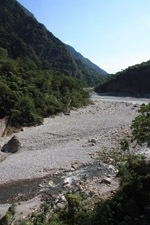 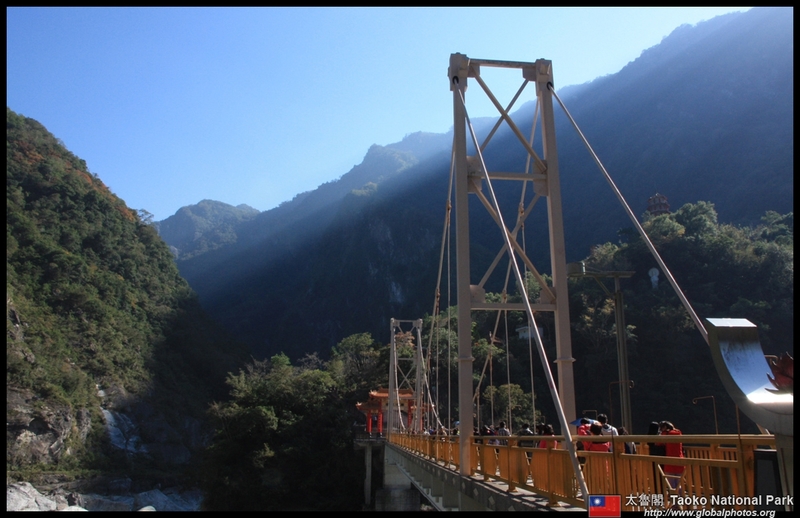 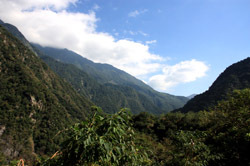 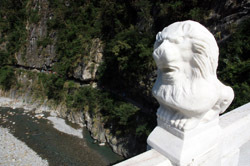 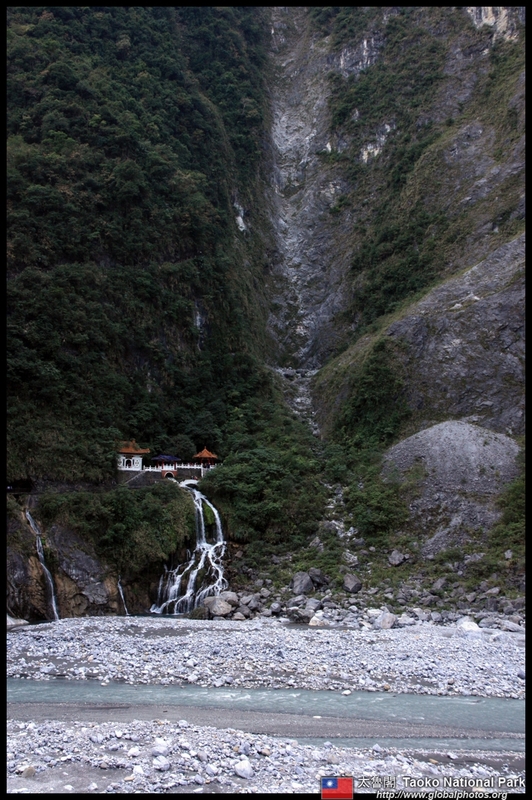 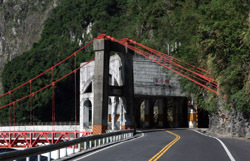 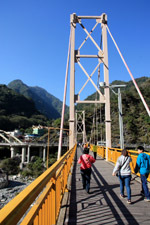 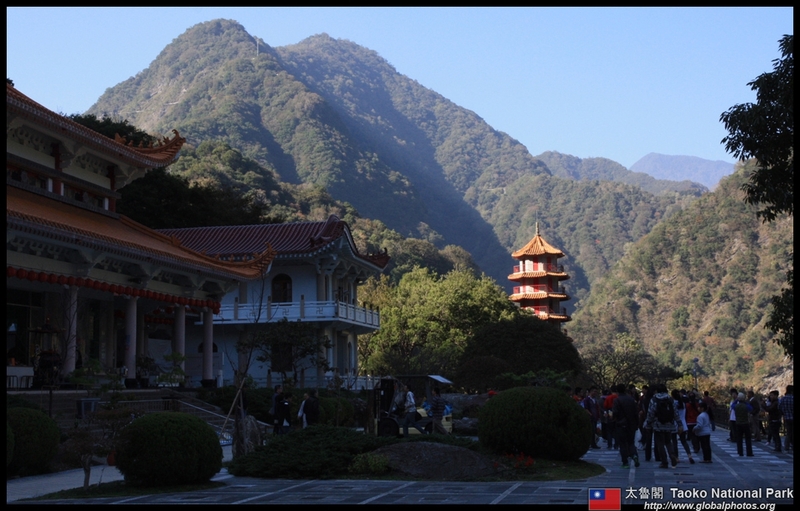 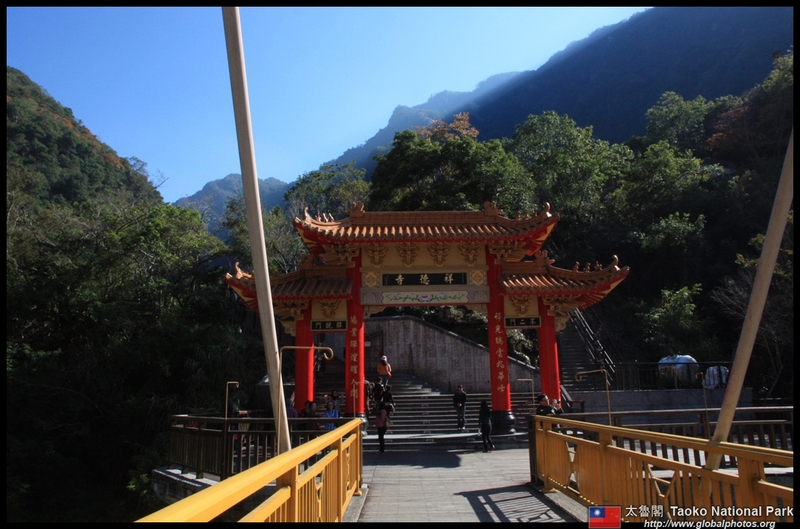 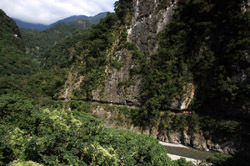 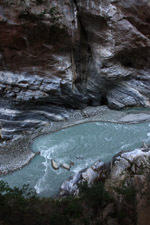 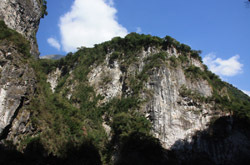 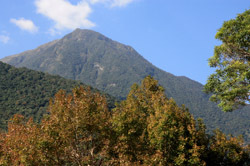 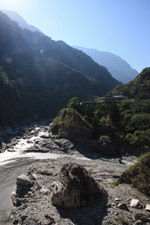 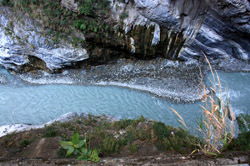 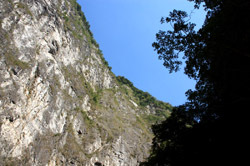 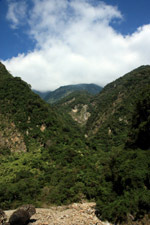 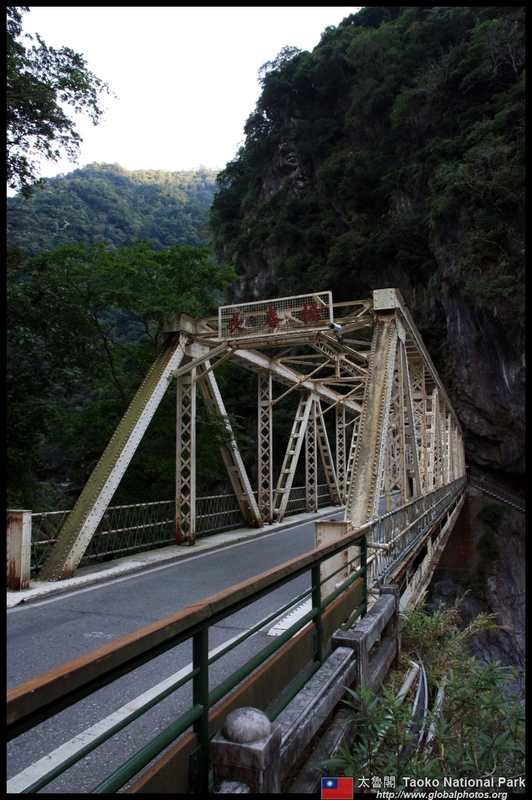 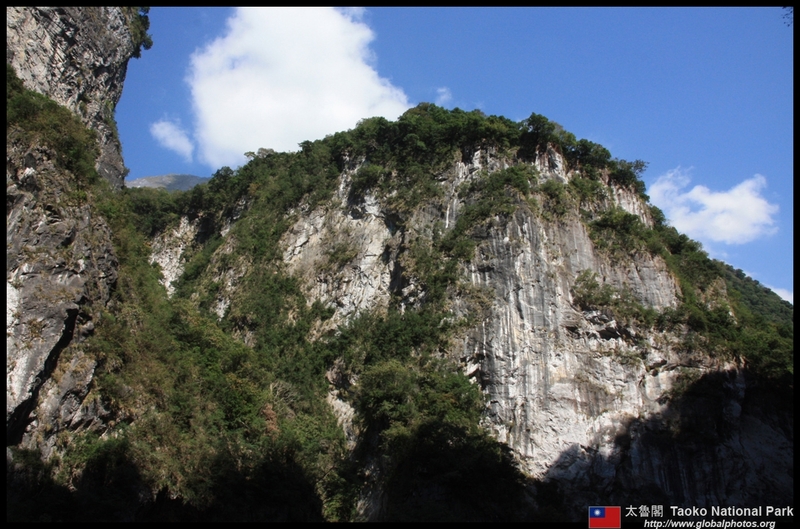 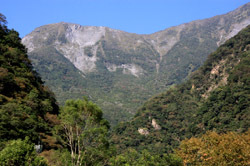 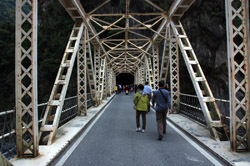 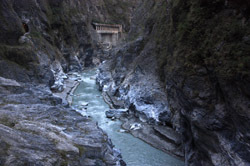 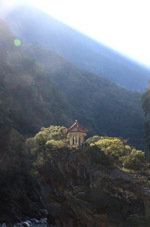 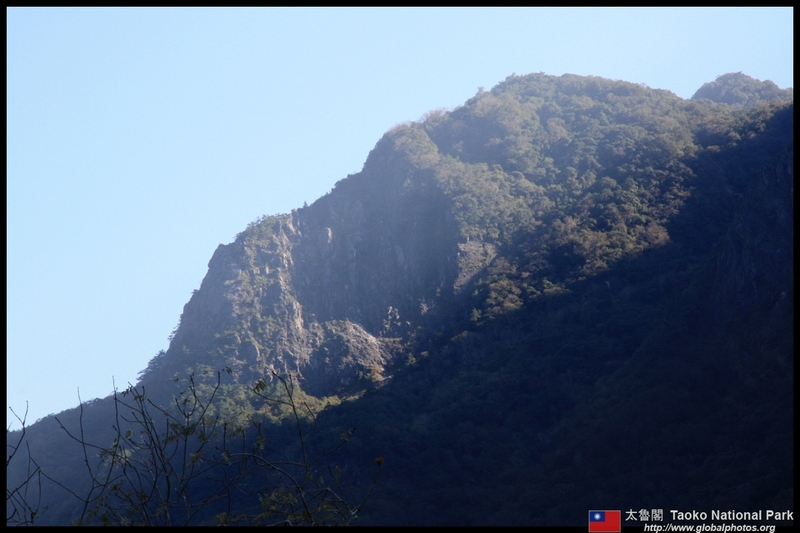 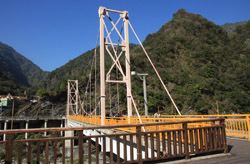 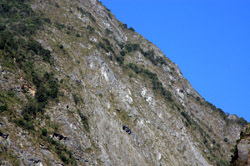 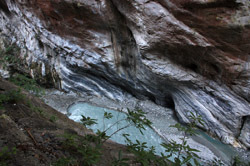 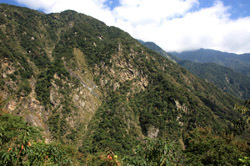 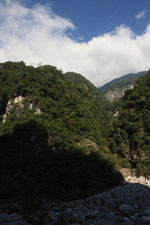 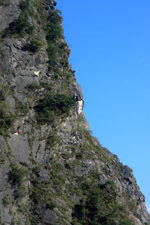 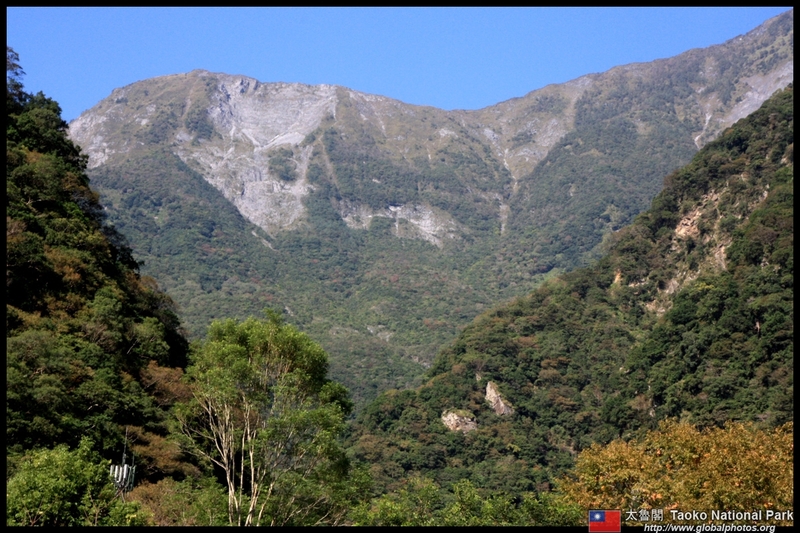 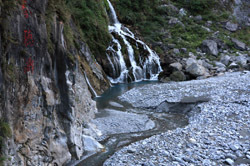 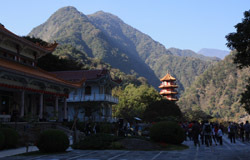 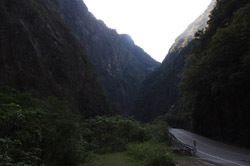 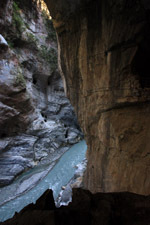 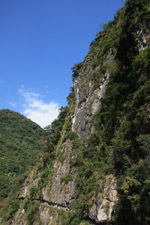 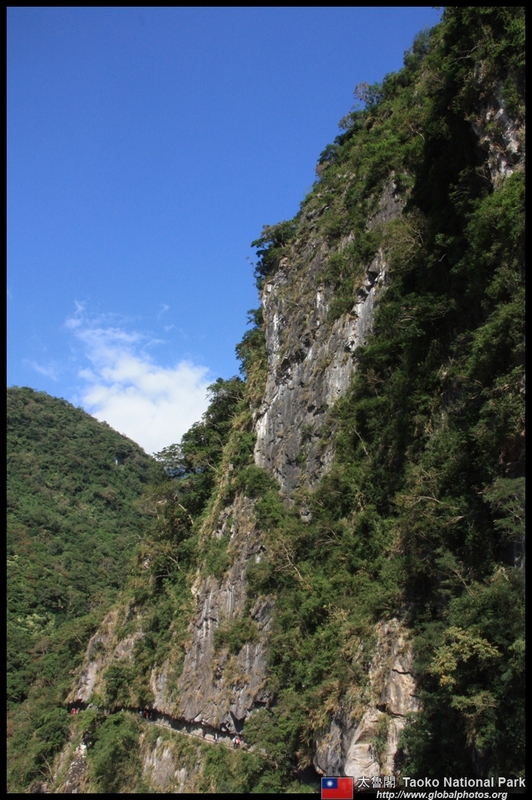 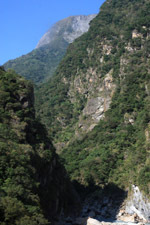 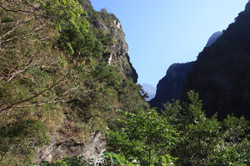 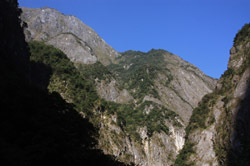 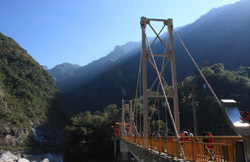 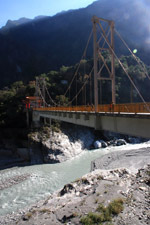 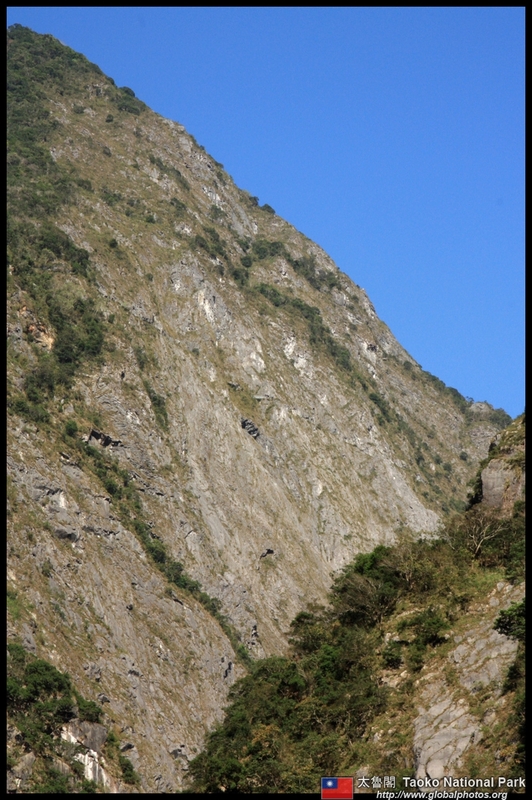 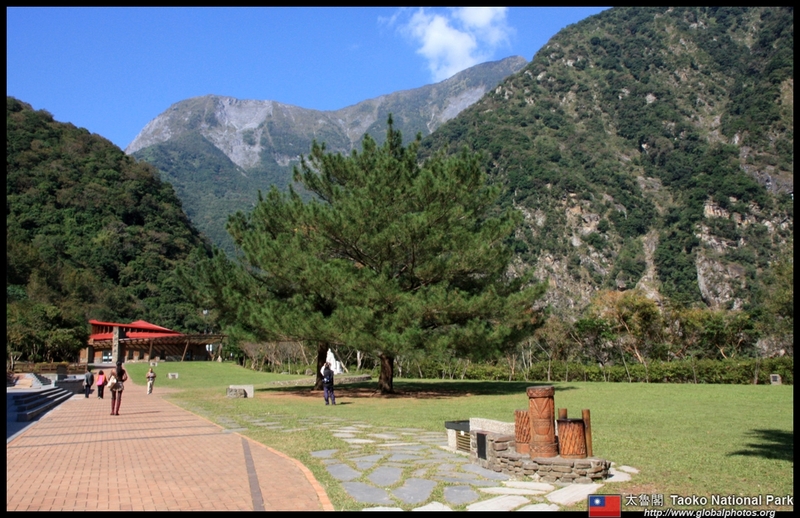 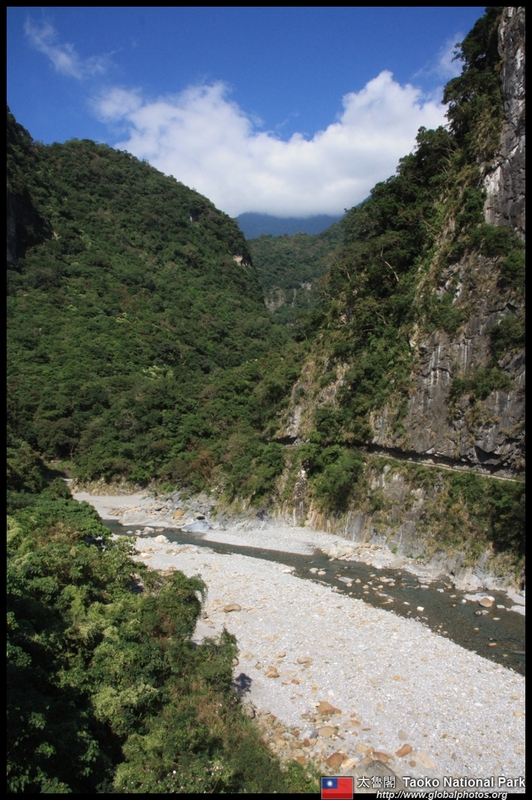 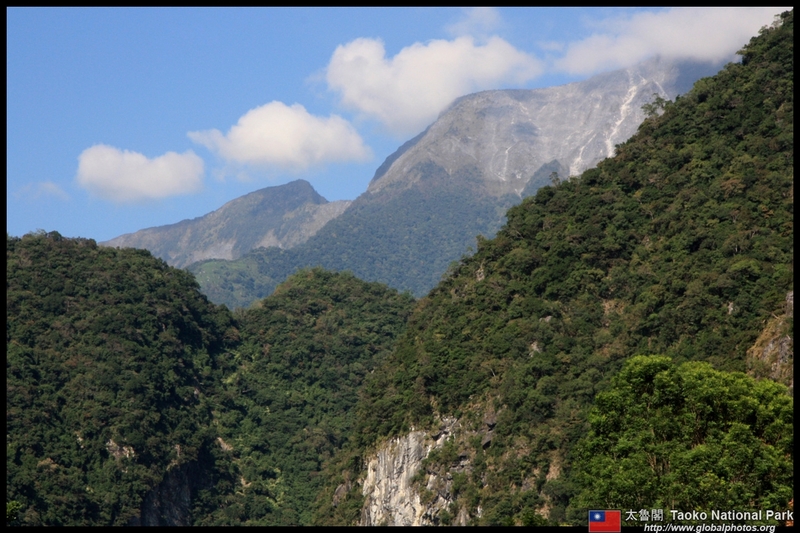 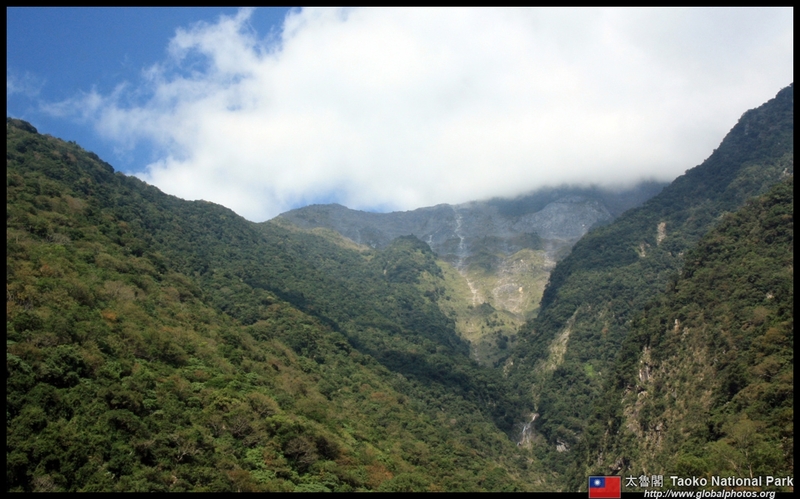 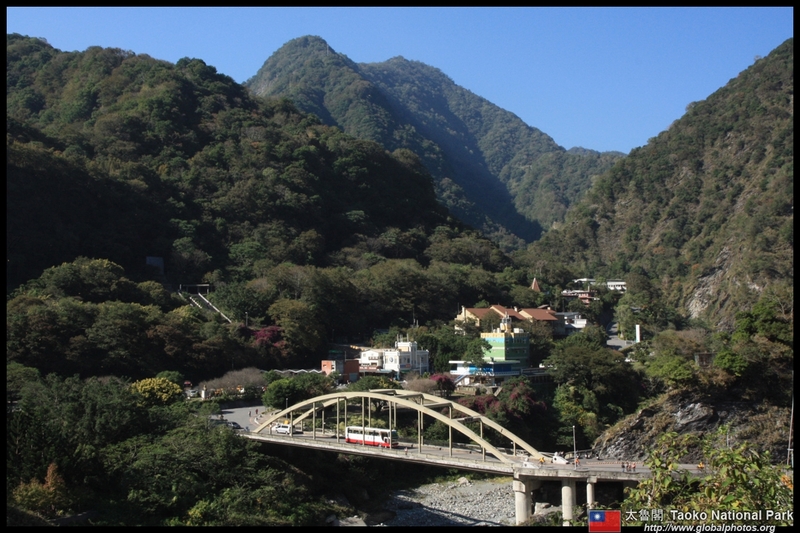 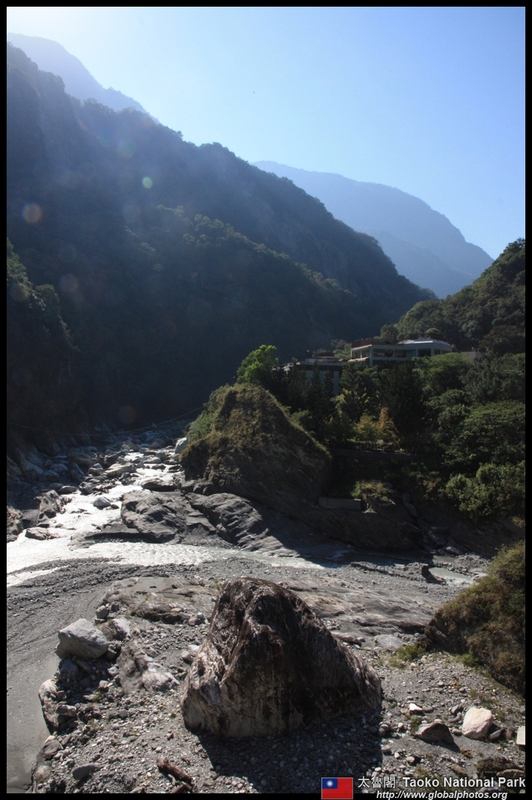 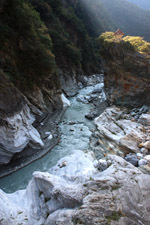 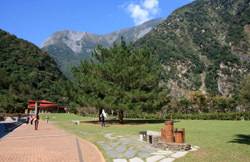 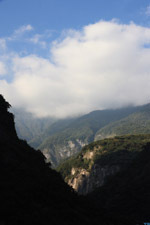 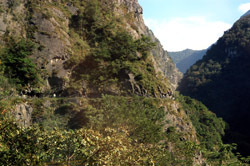 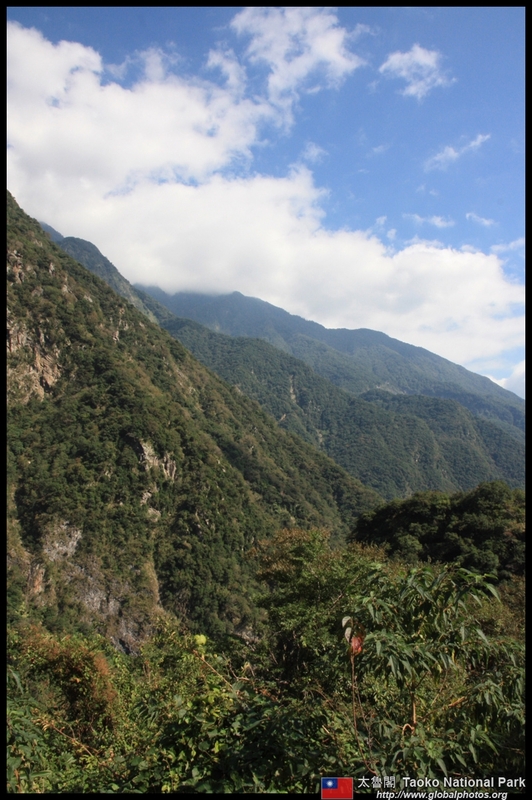 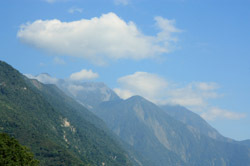 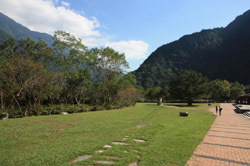 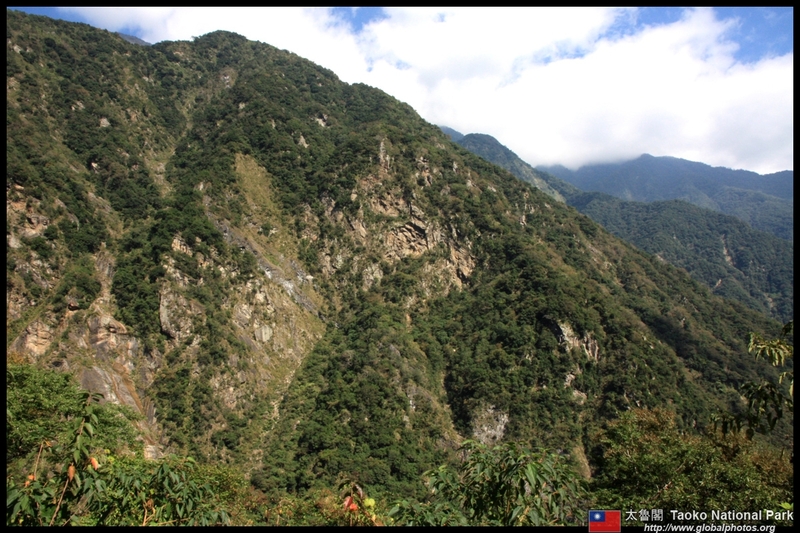 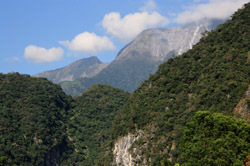 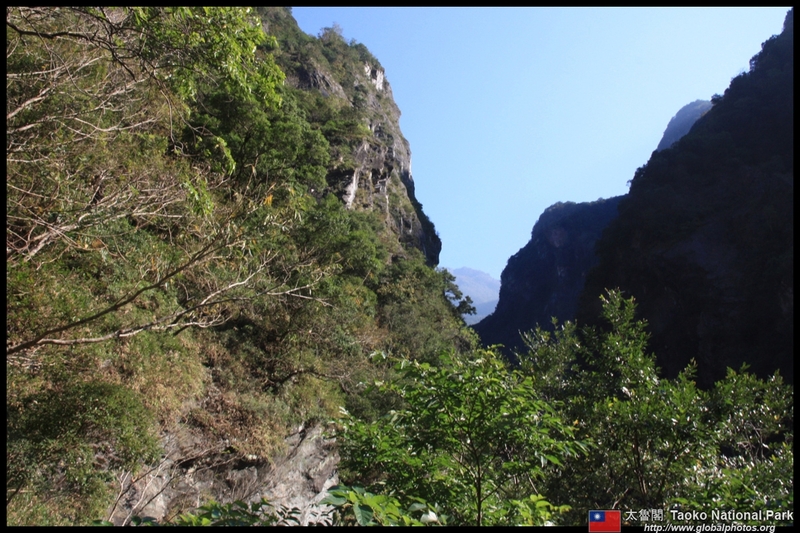 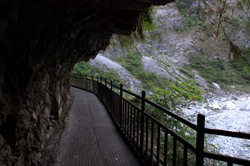 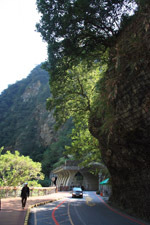 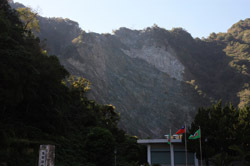 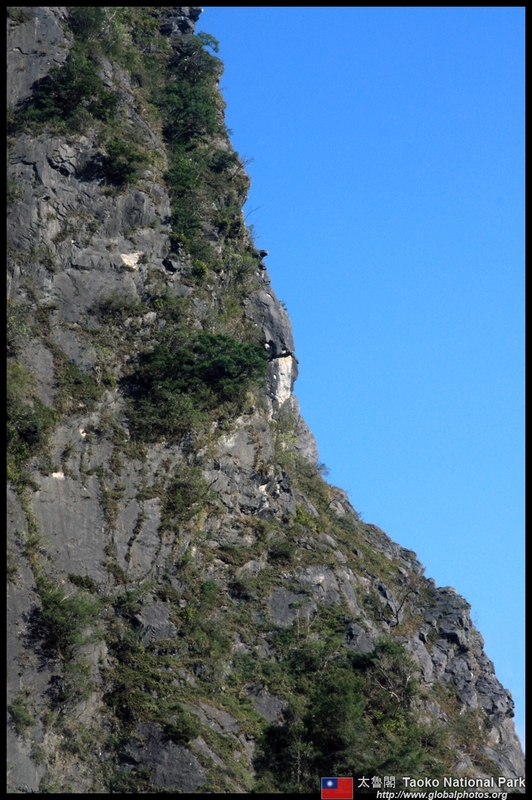 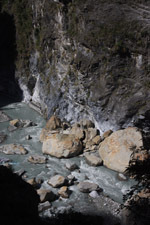 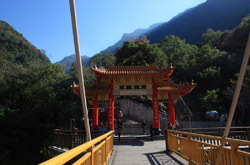 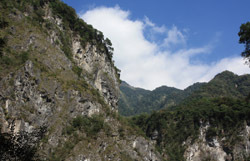 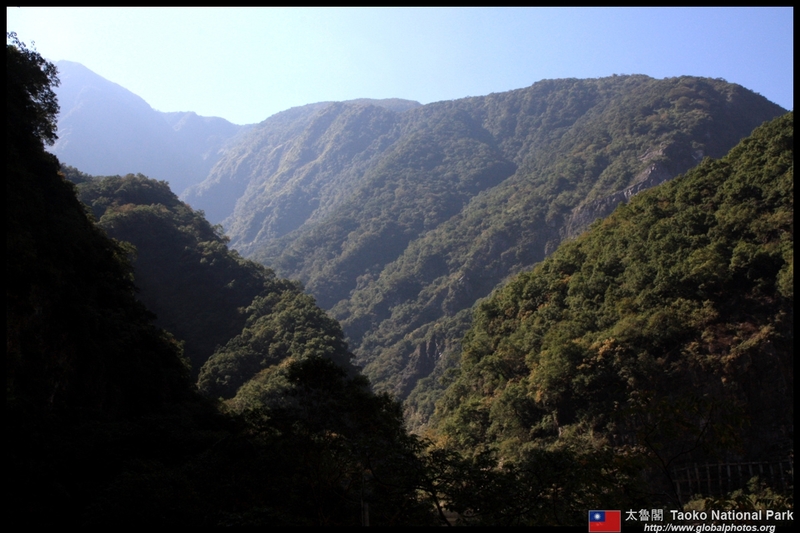 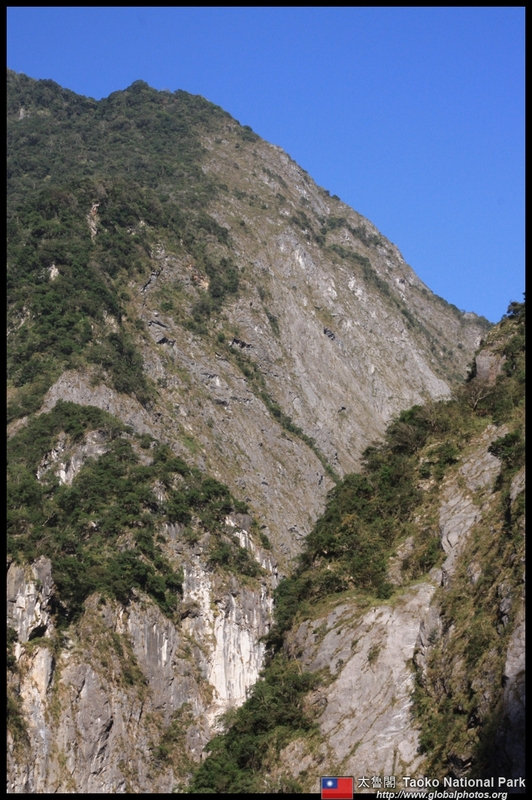 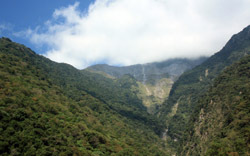 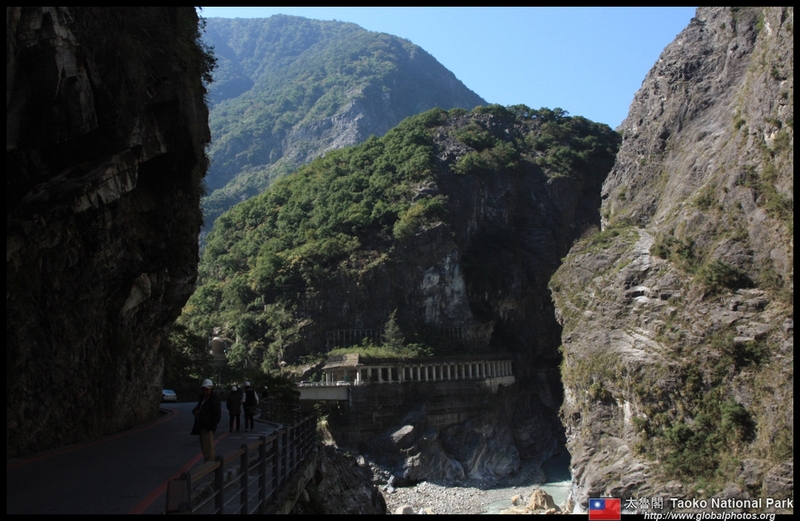 Surrounded by mountains and bounded by the ocean, it runs at a more relaxing and slow pace, serving as the primary gateway to the Taroko Gorge. 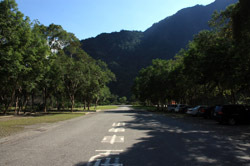 It takes about 40 minutes to drive from the city to the start of the national park. 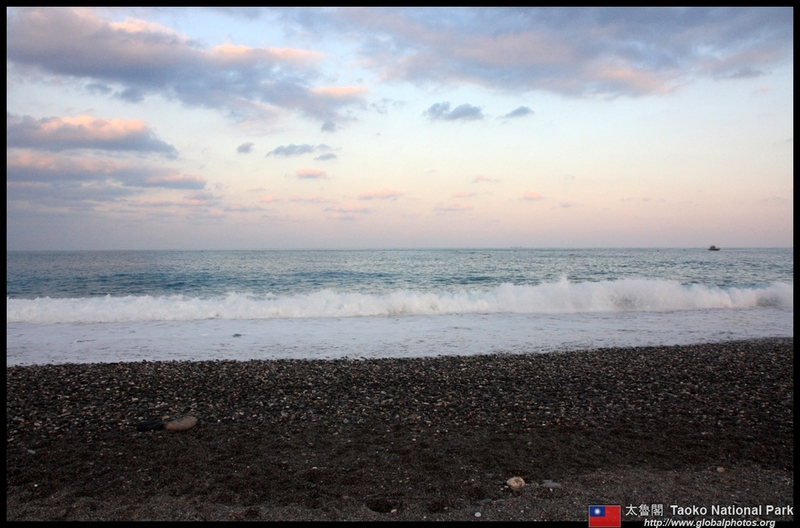 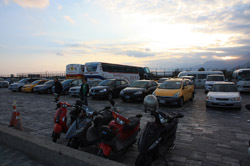 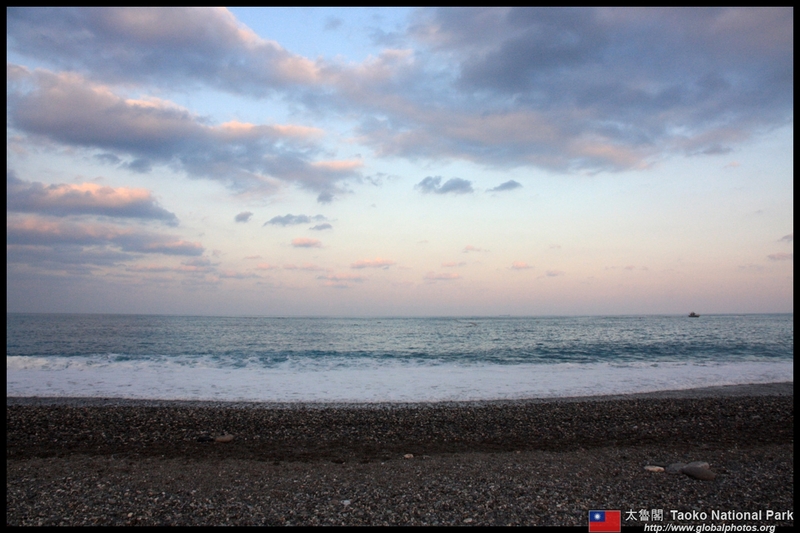 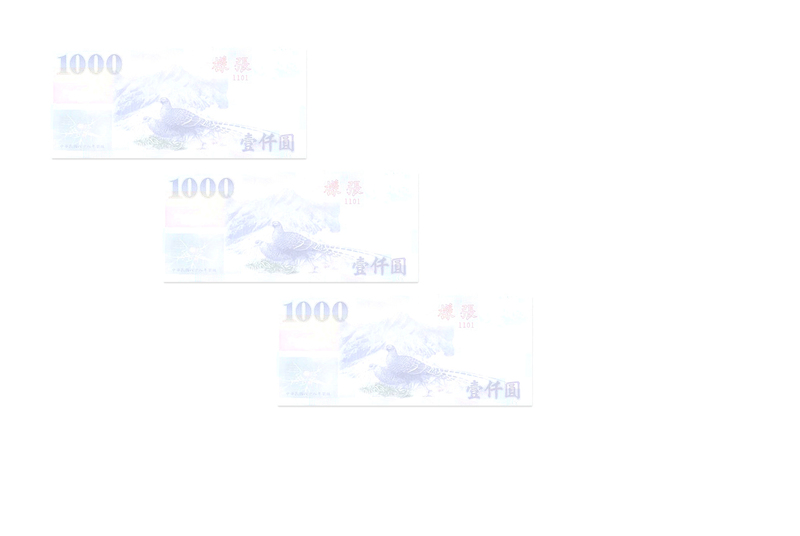 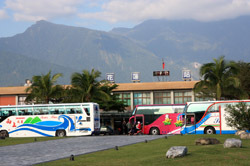 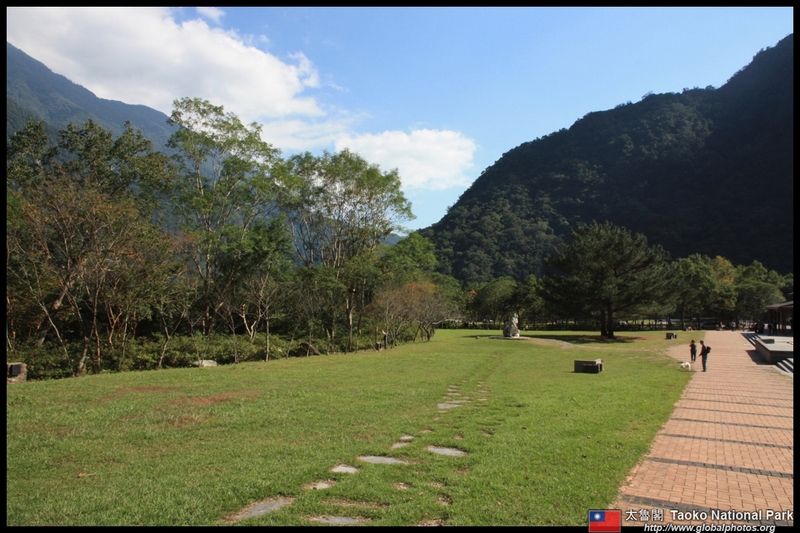 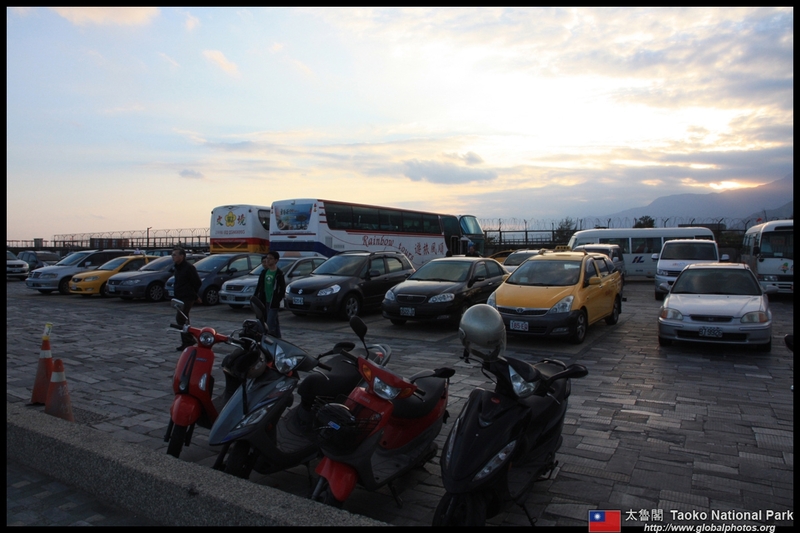 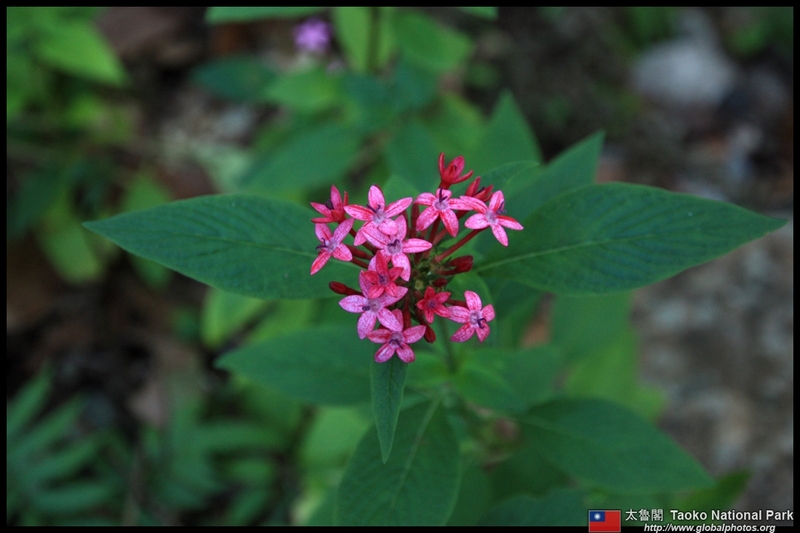 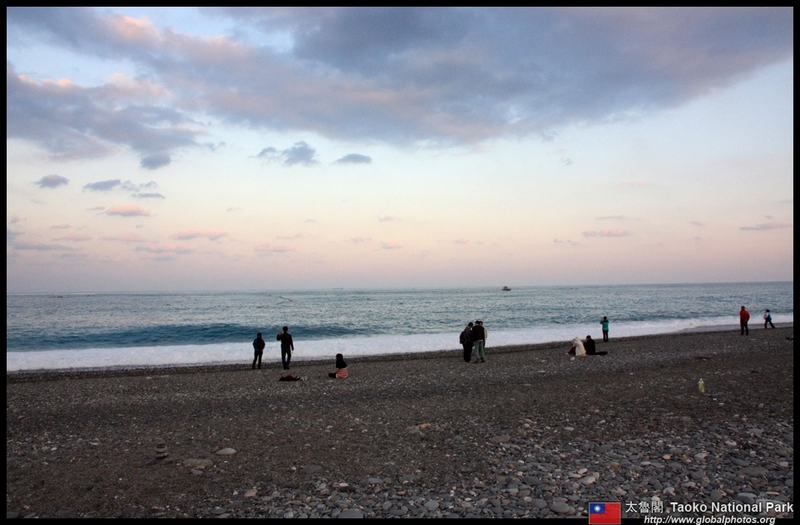 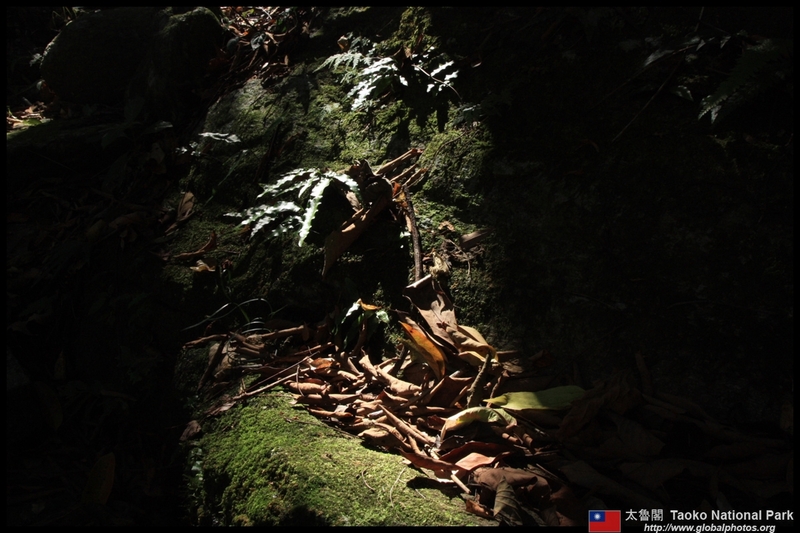 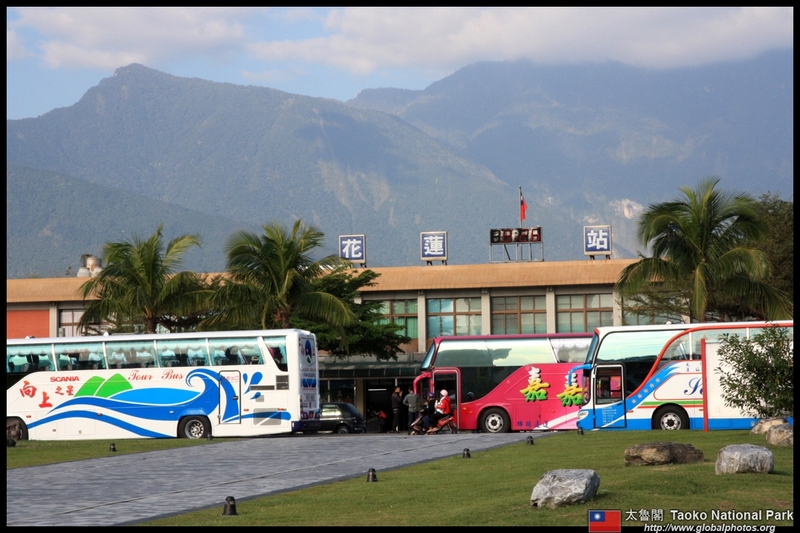 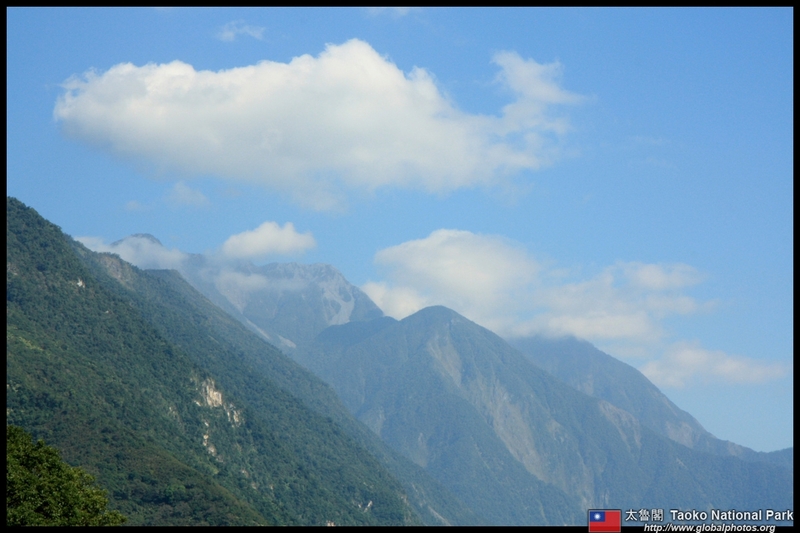 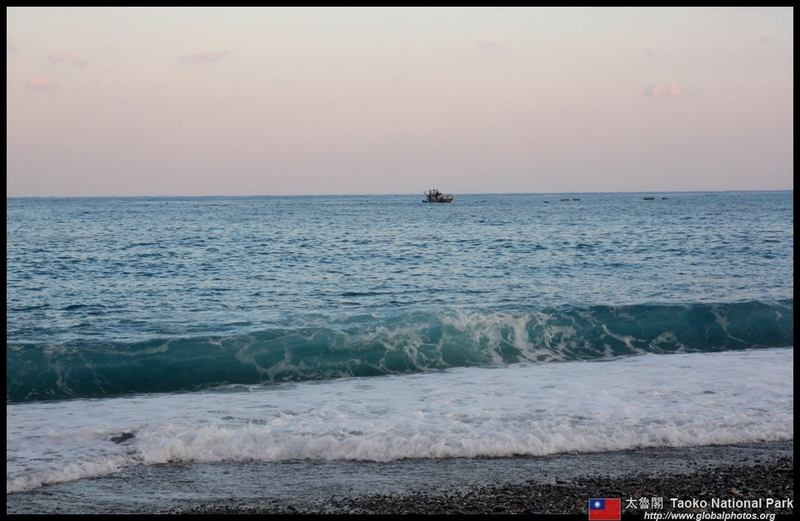 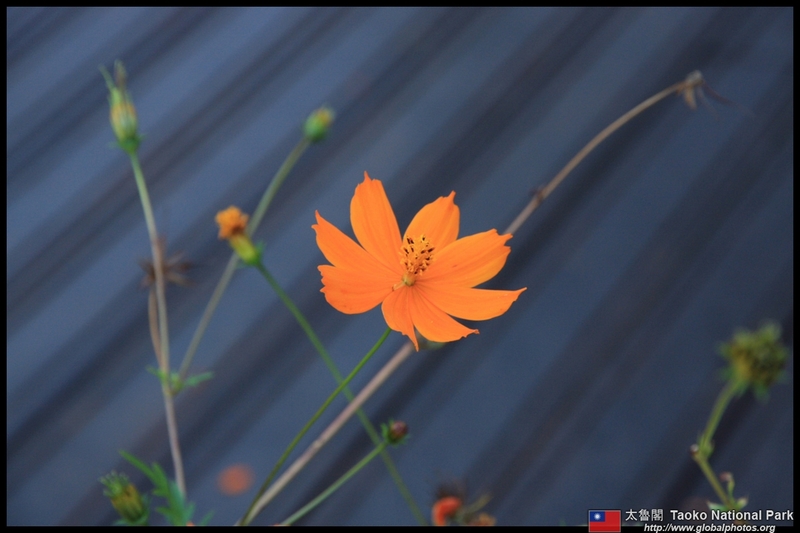 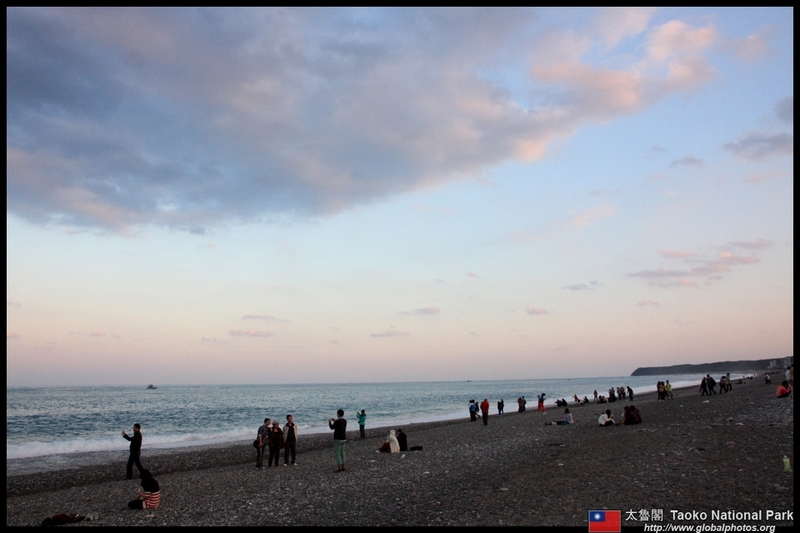 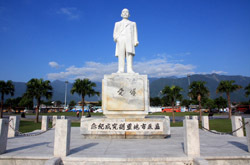 Hualien's airport is also used for military purposes in addition to the short commercial flights to Taipei. 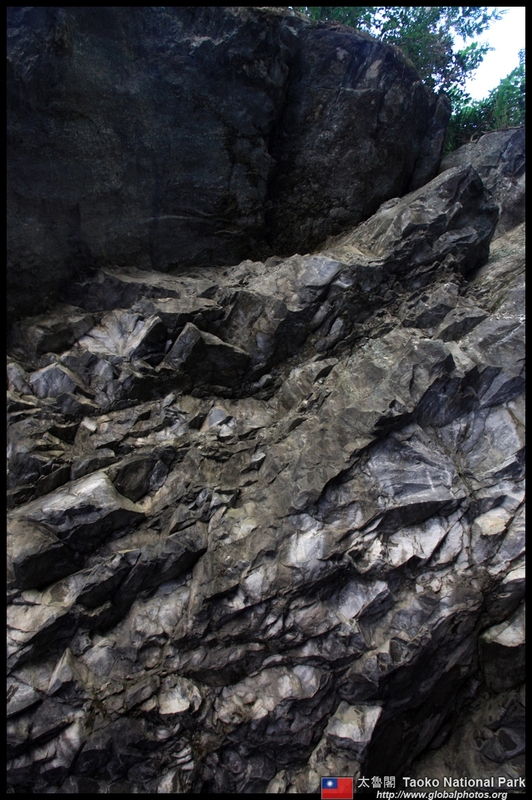 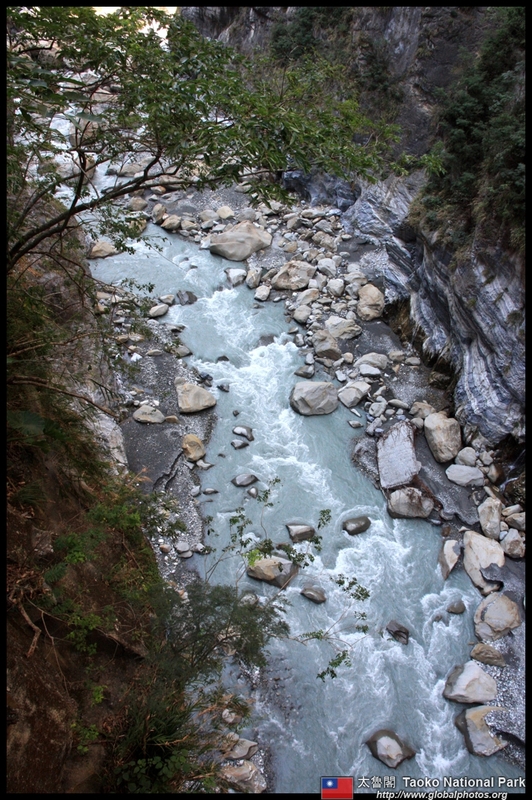 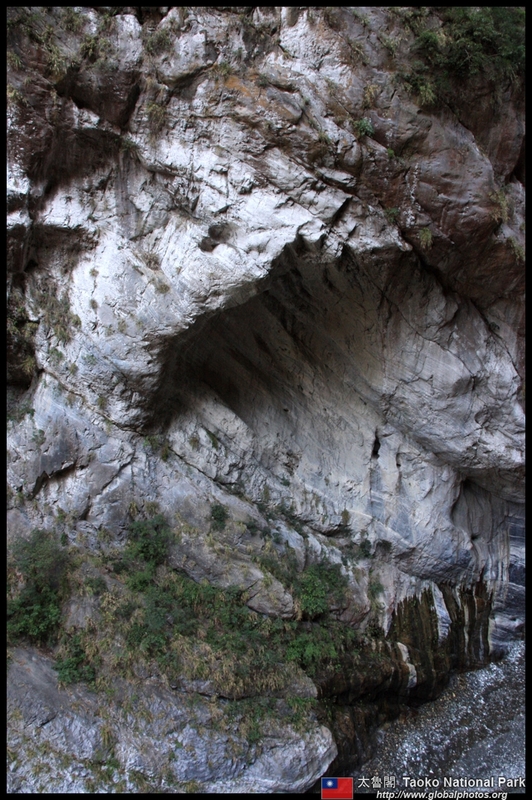 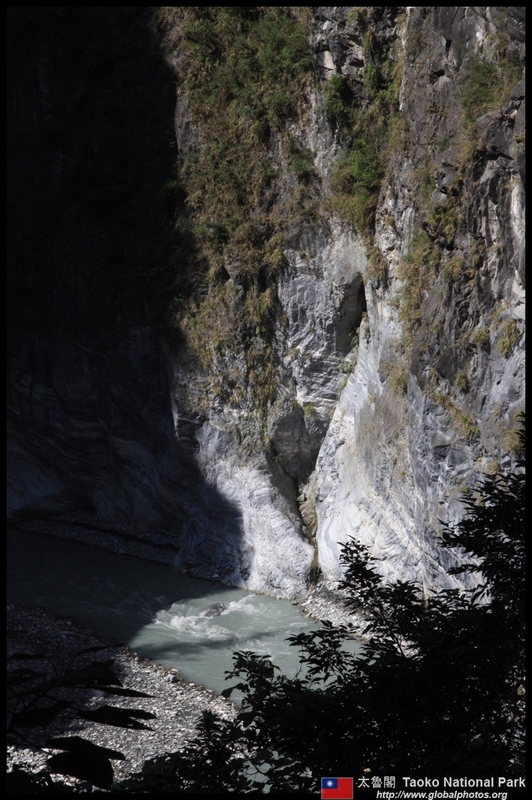 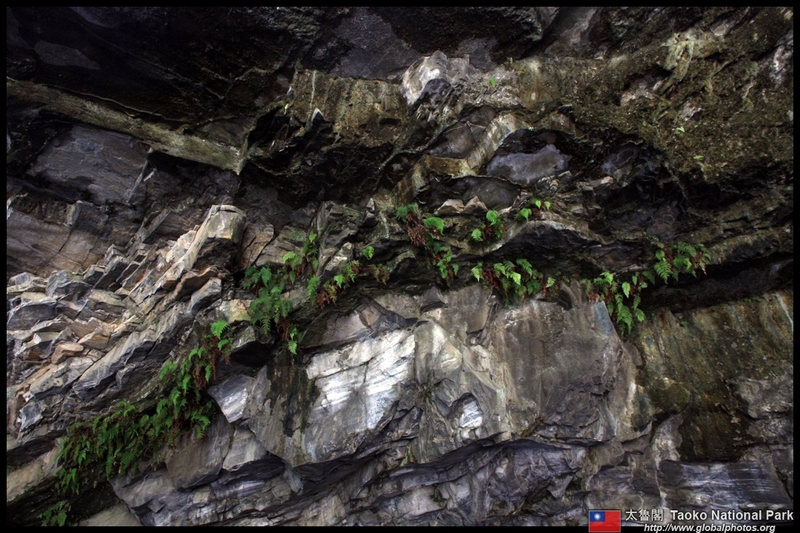 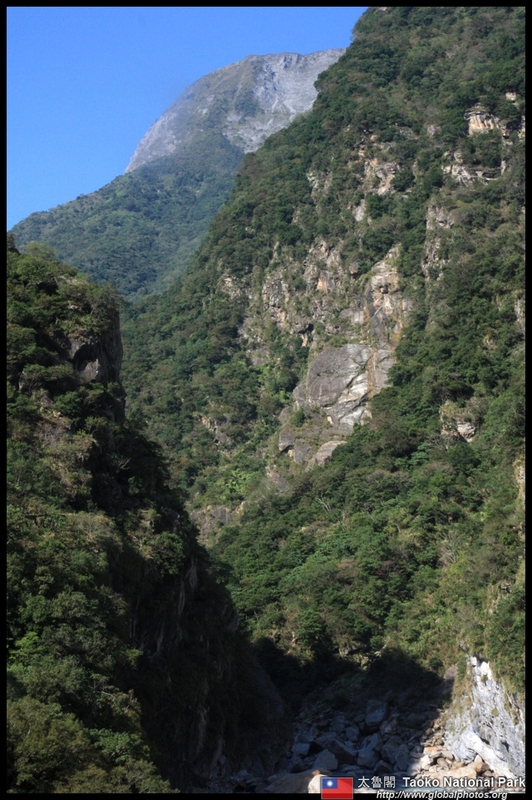 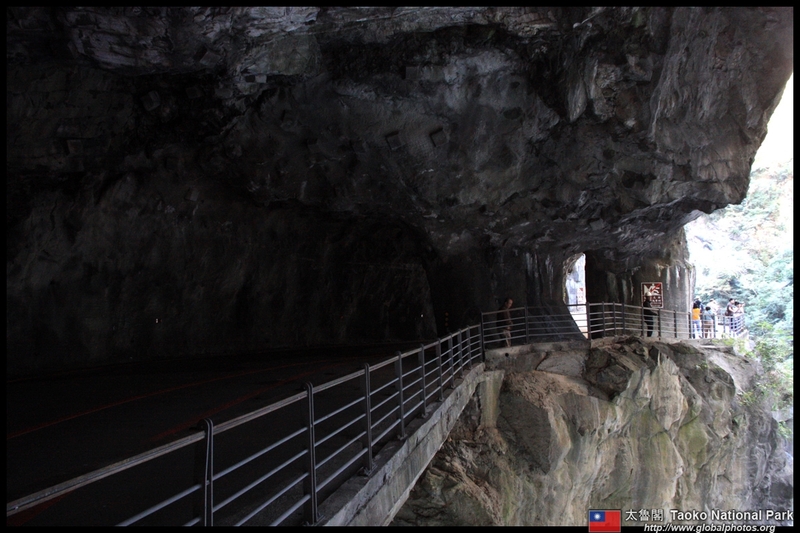 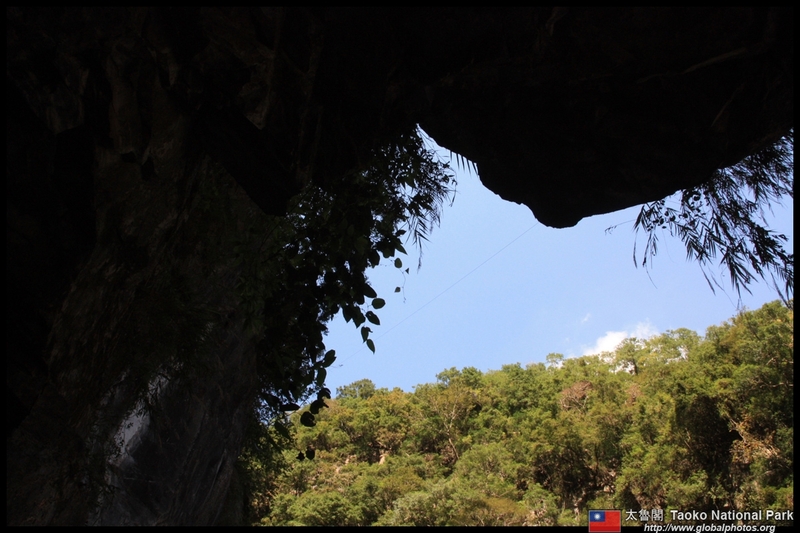 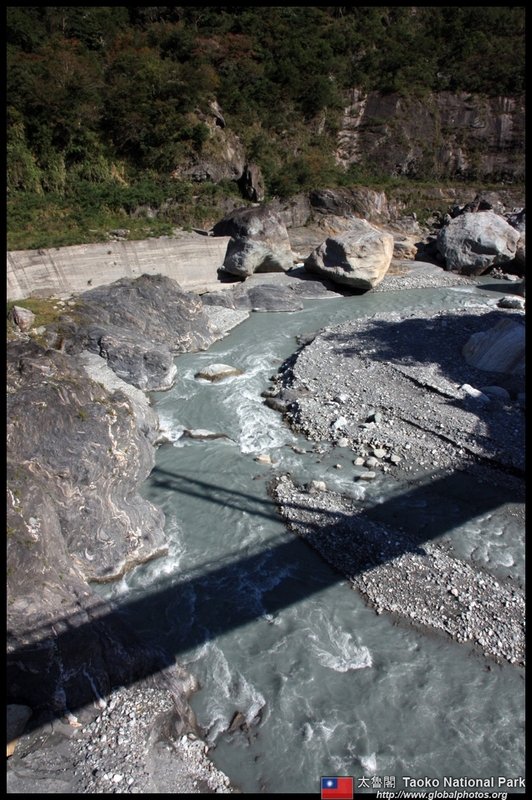 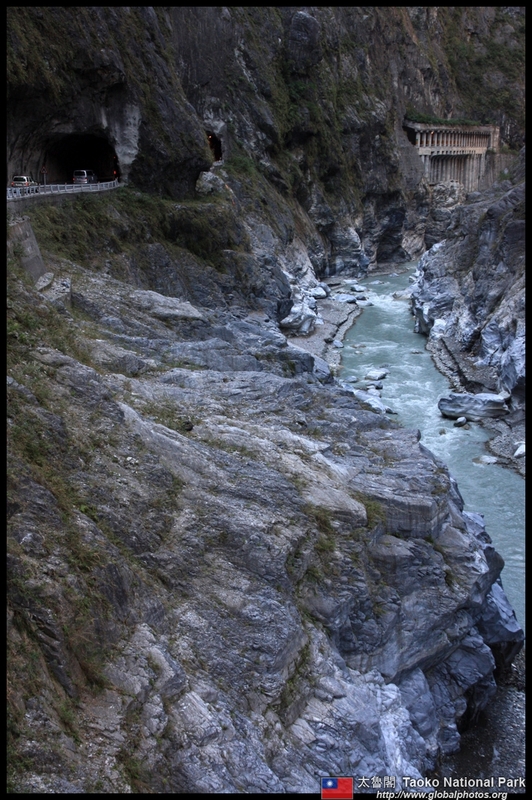 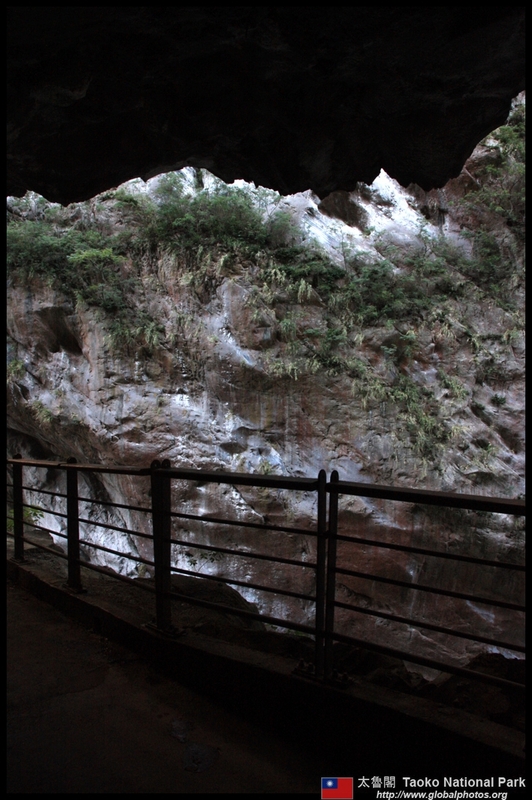 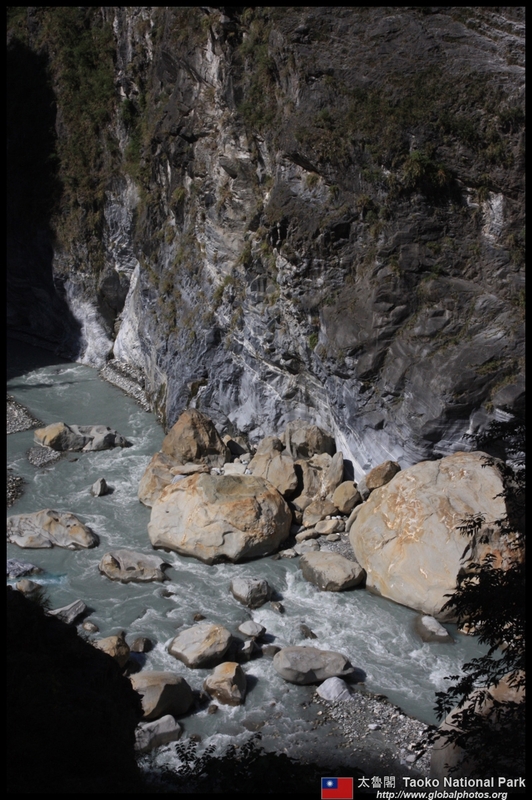 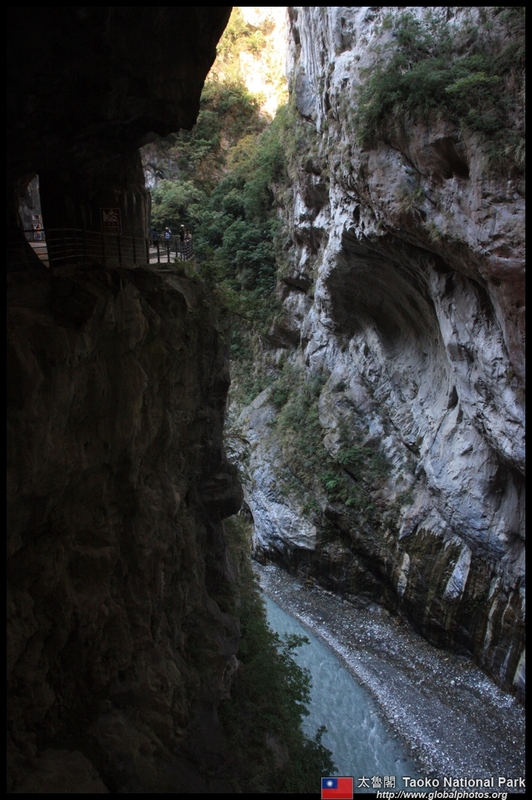 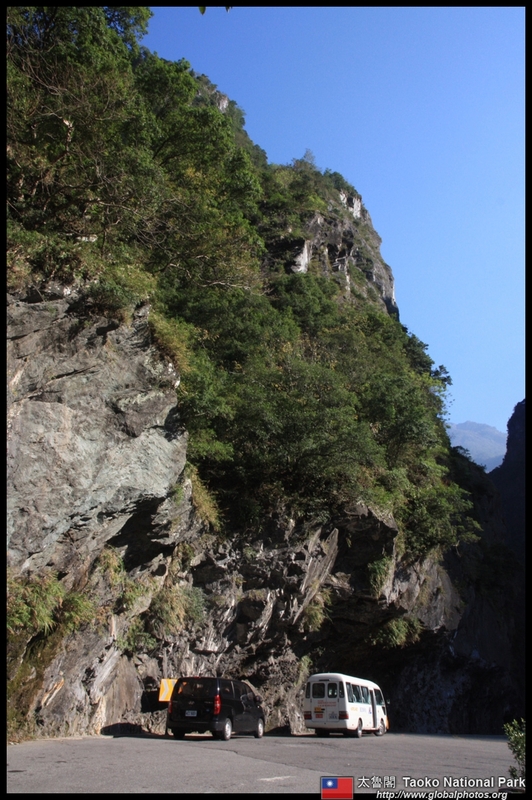 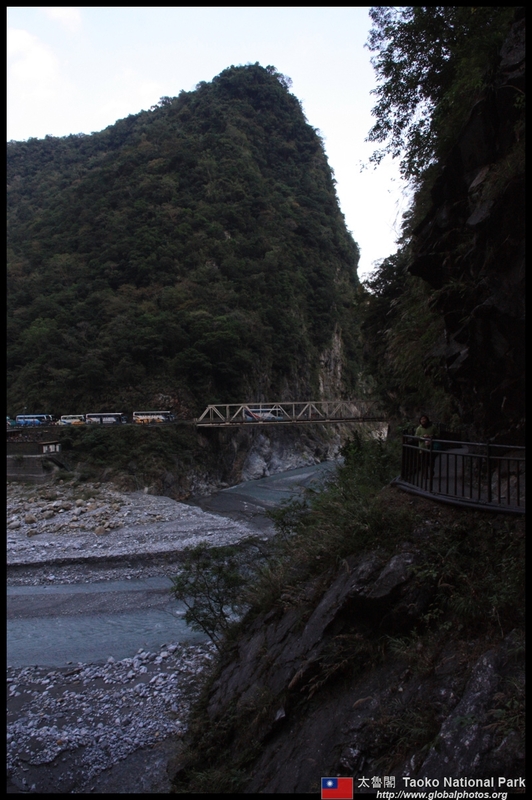 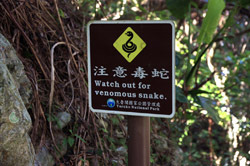 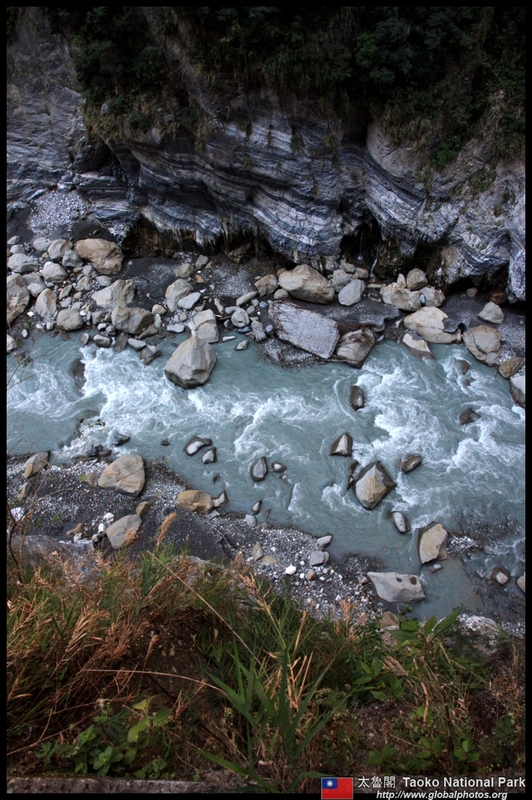 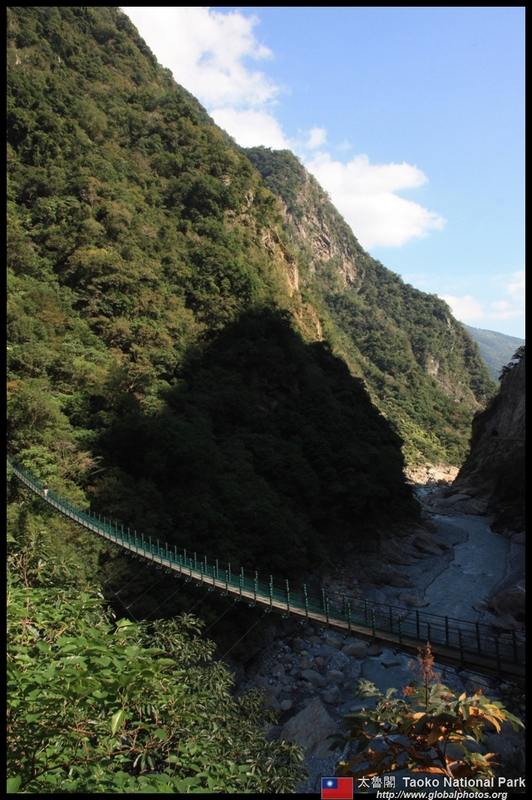 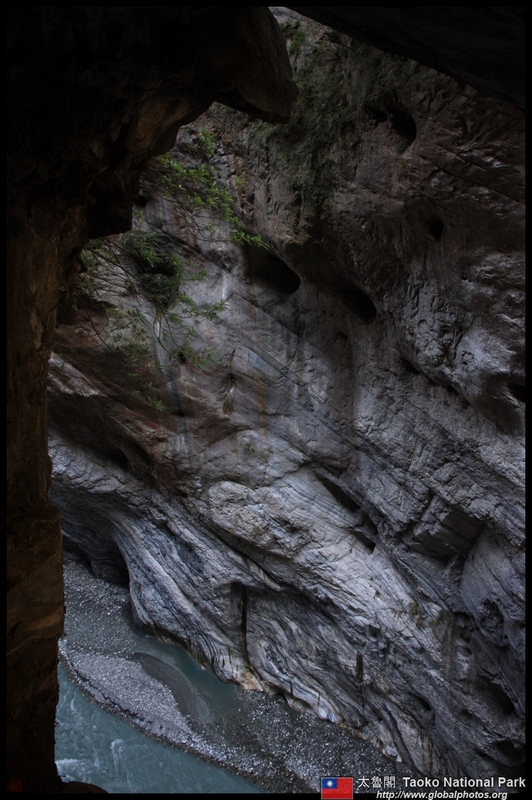 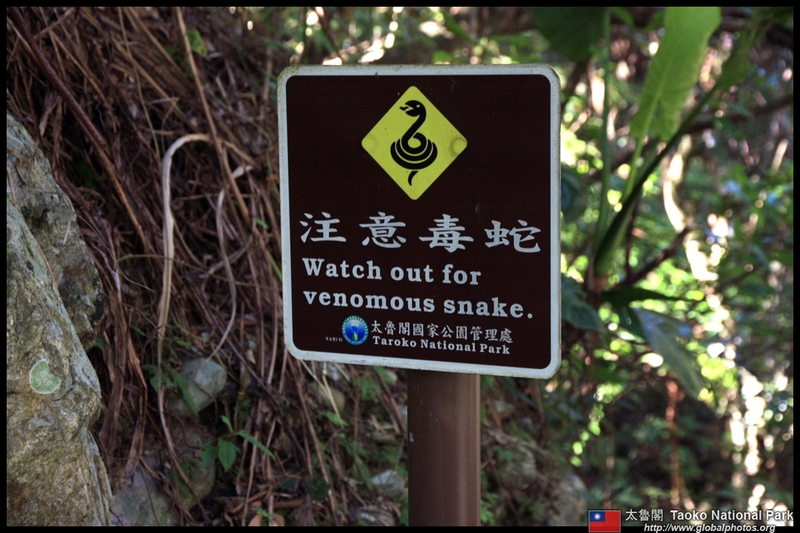 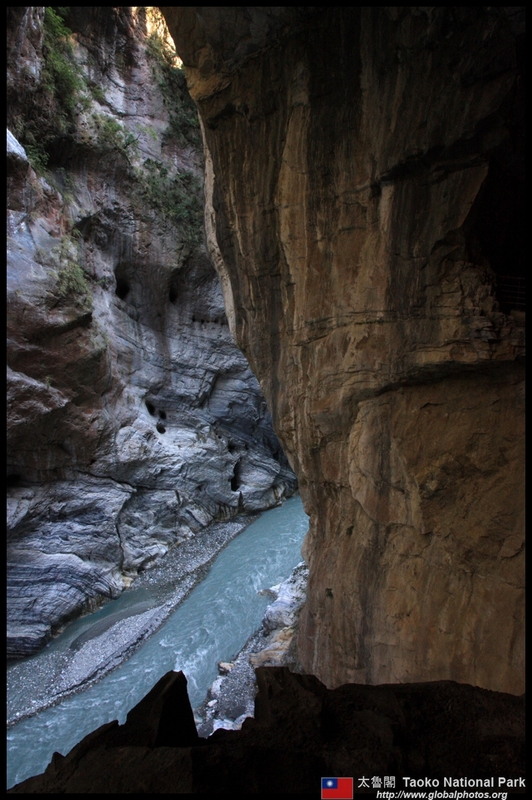 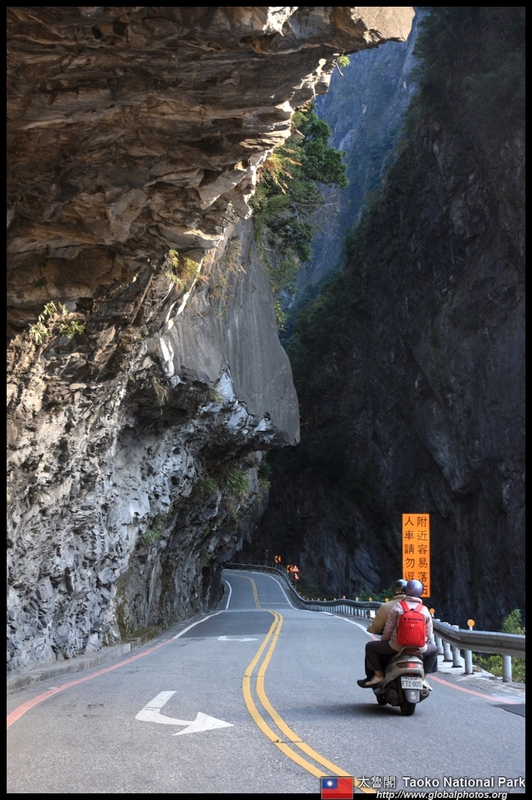 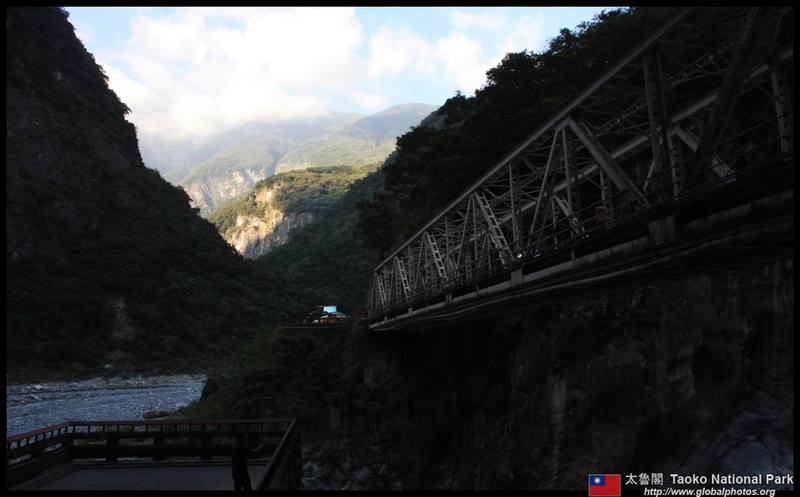 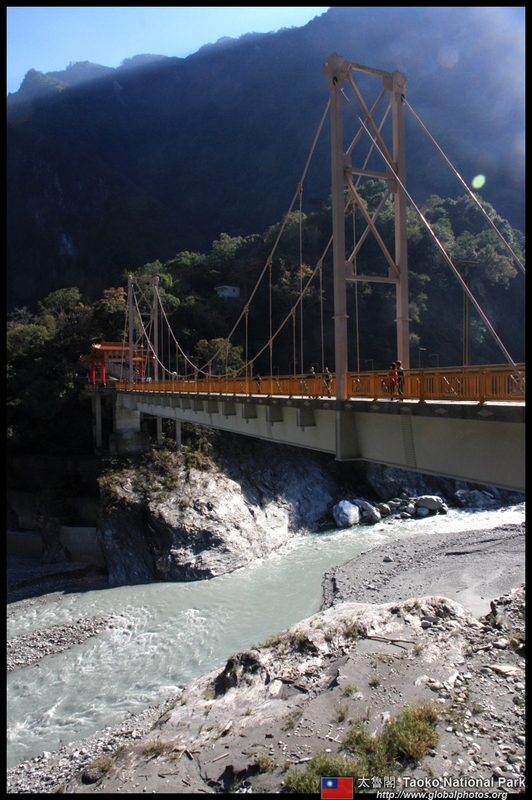 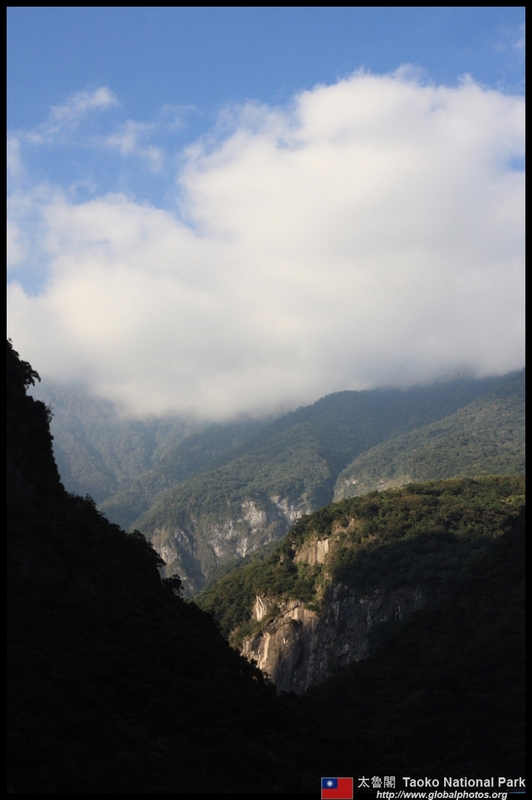 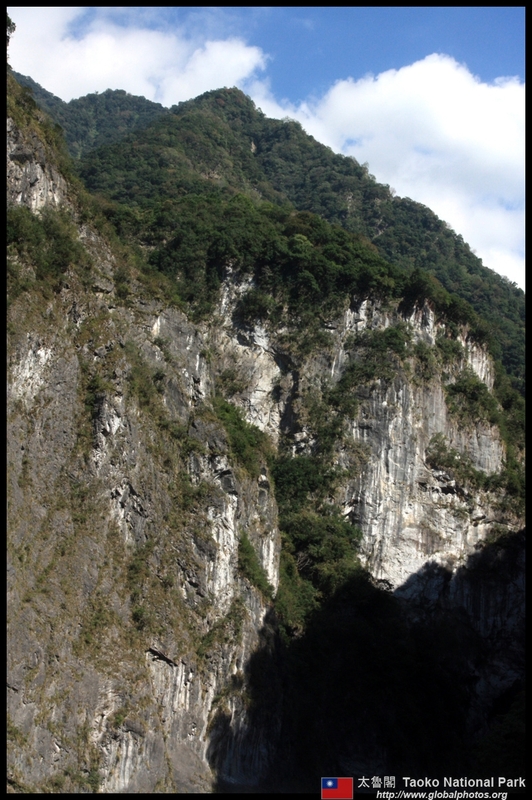 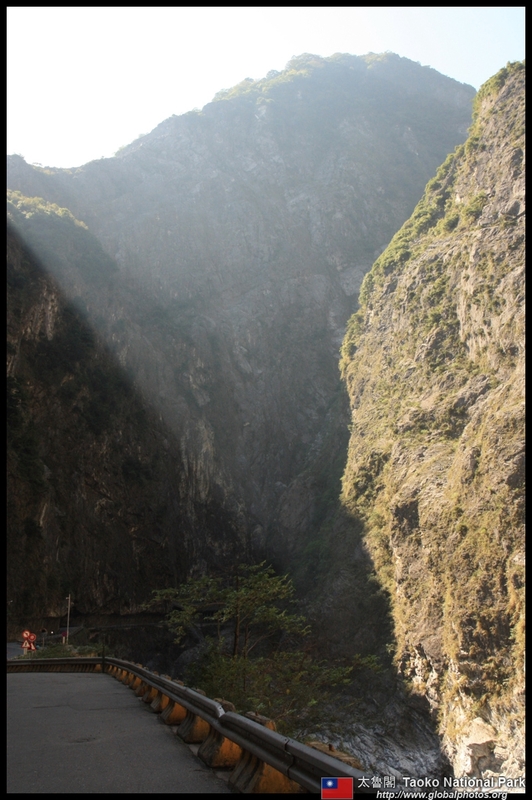 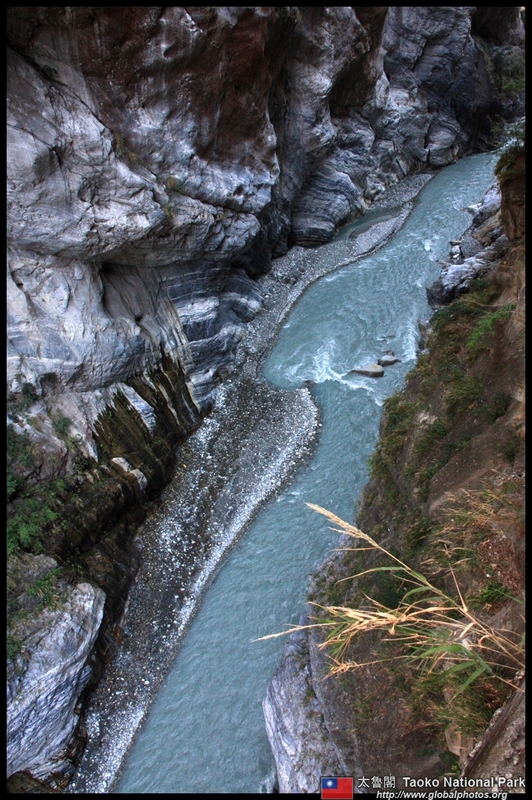 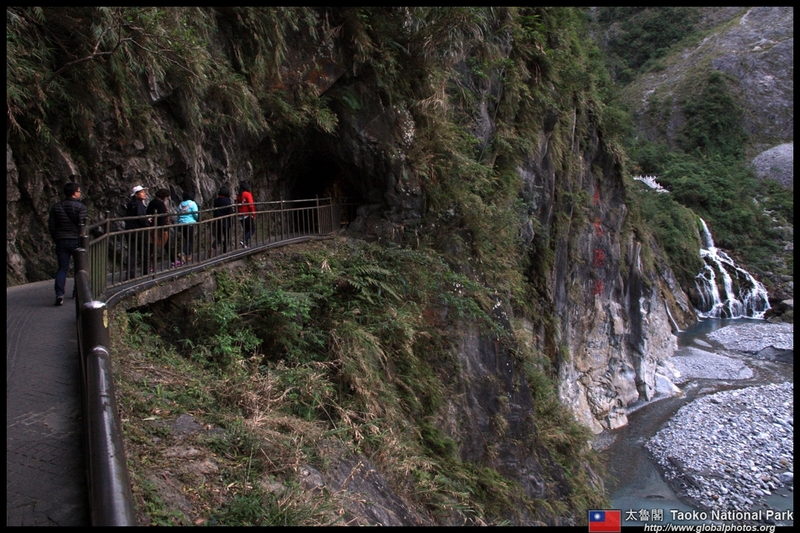 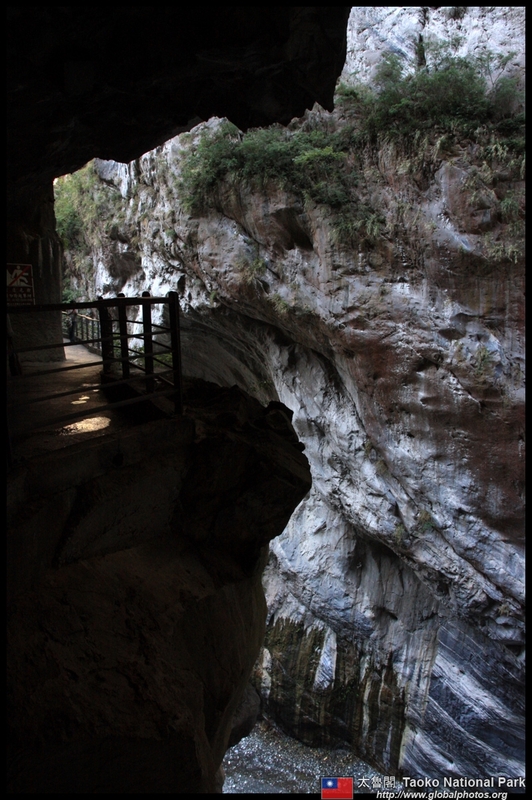 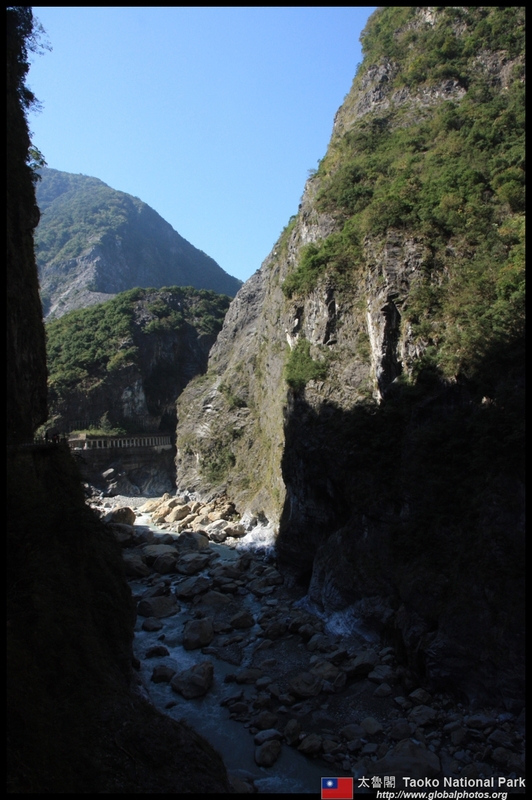 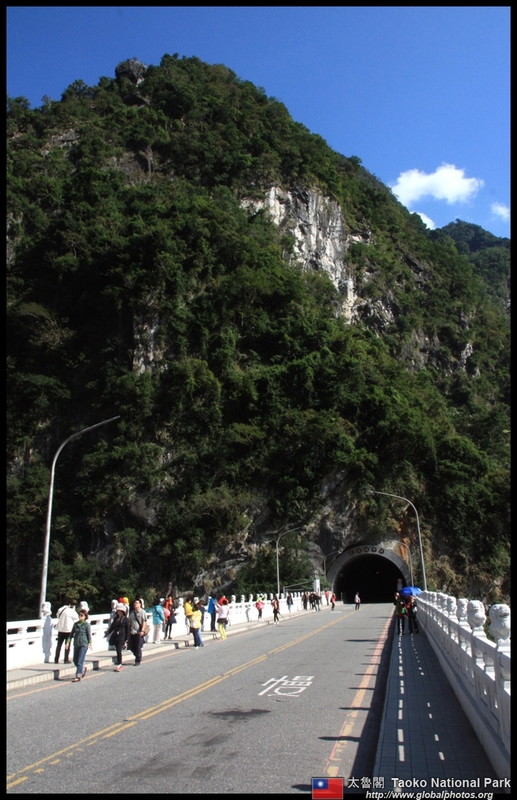 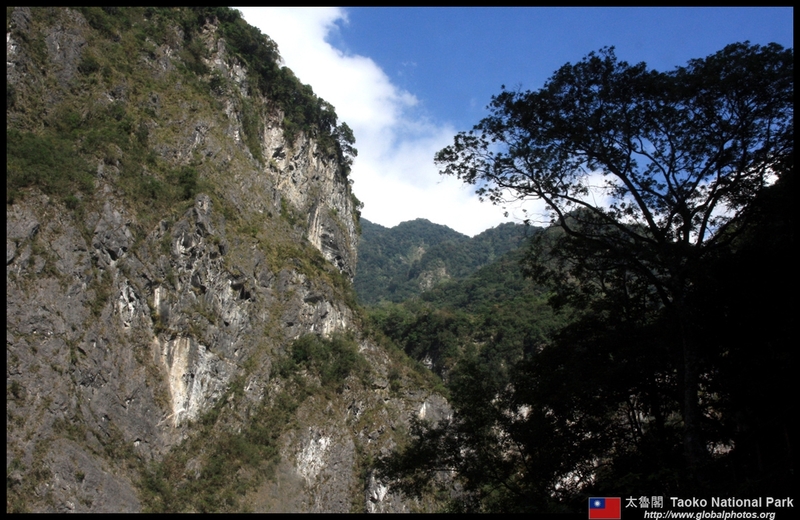 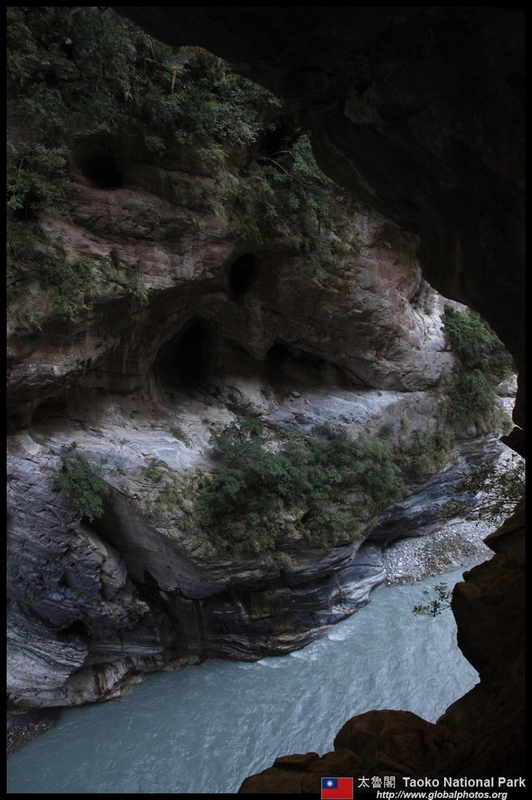 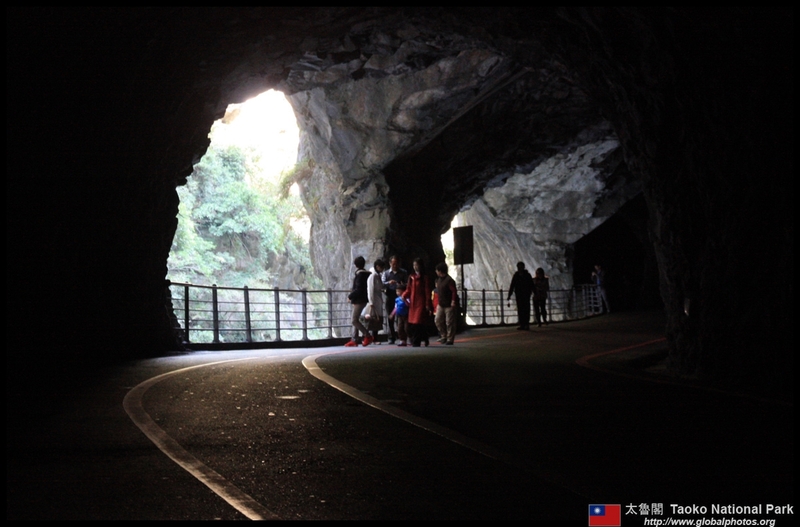 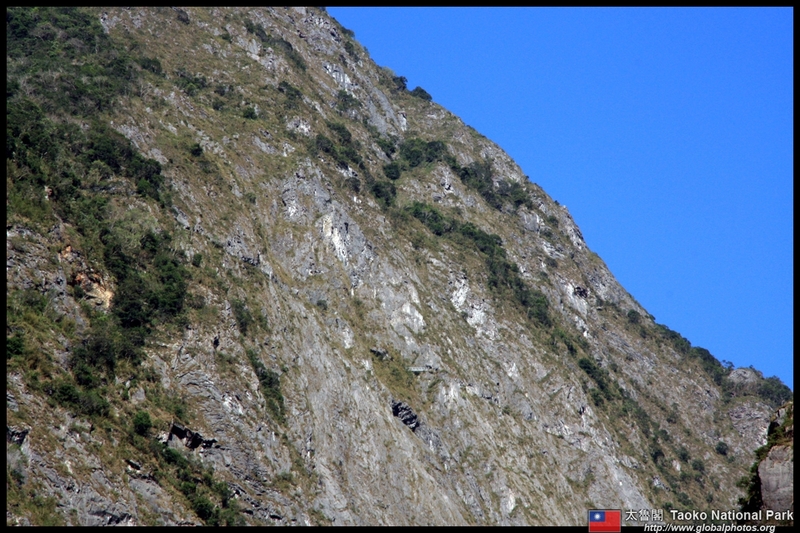 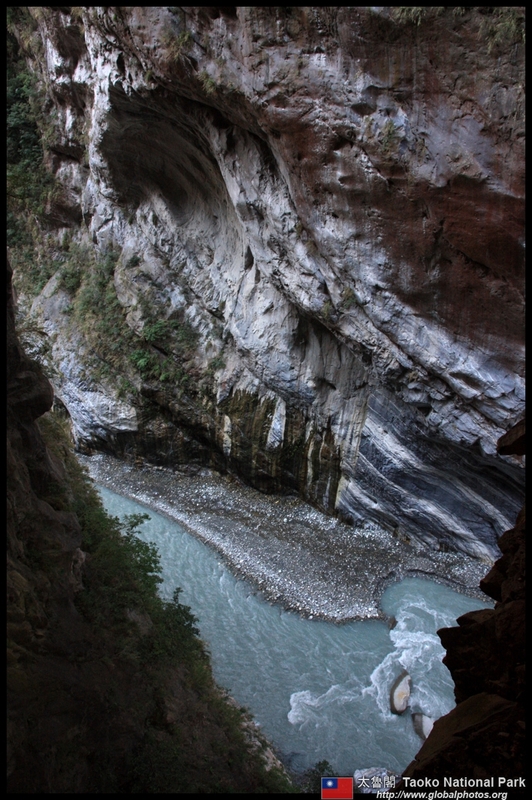 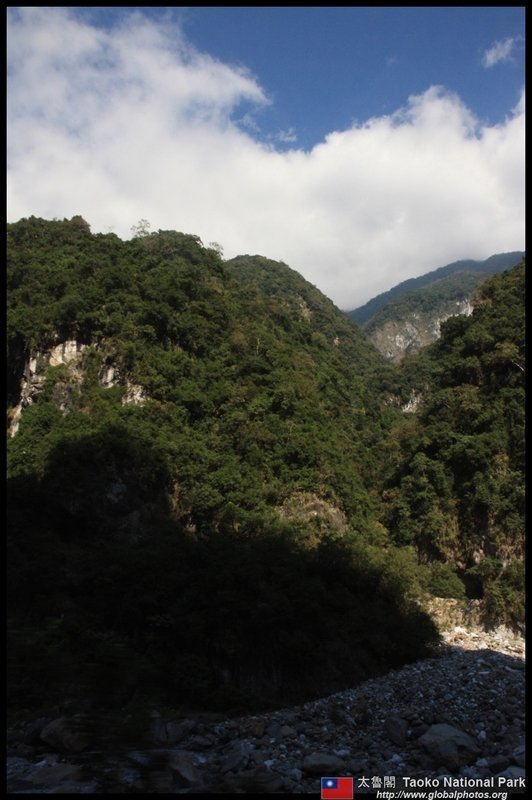 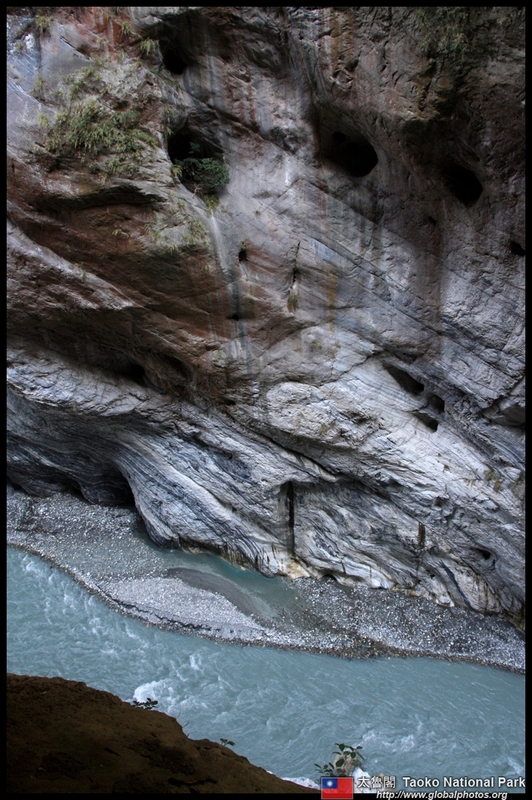 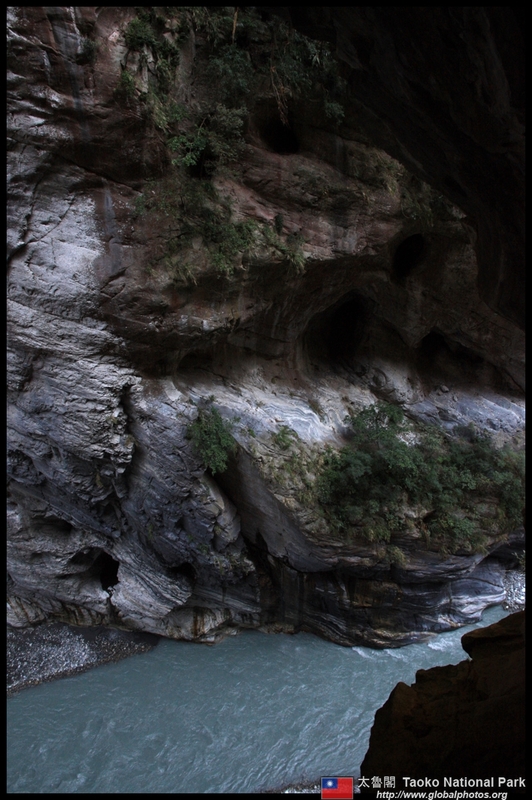 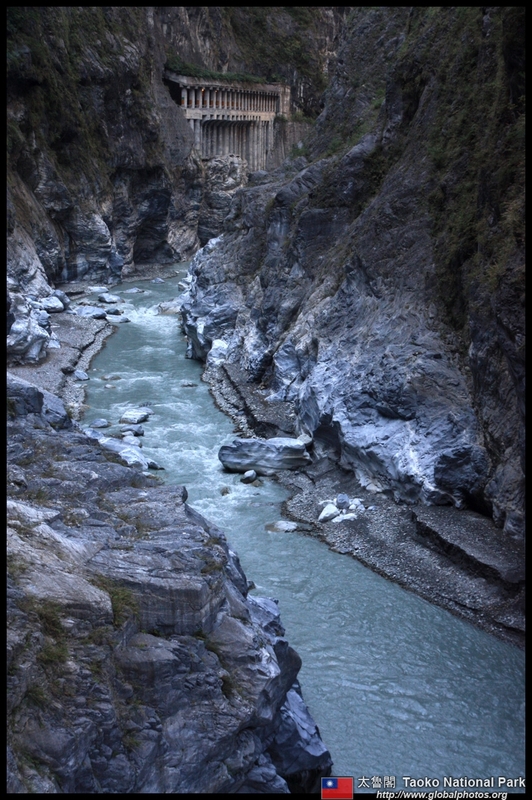 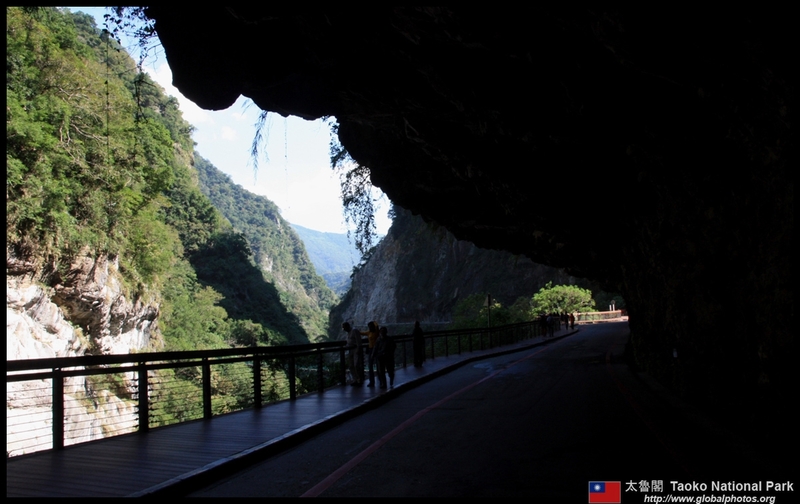 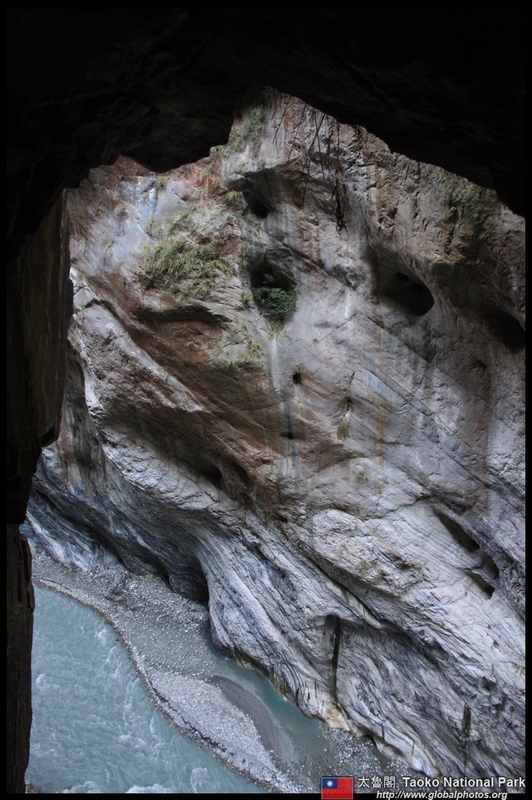 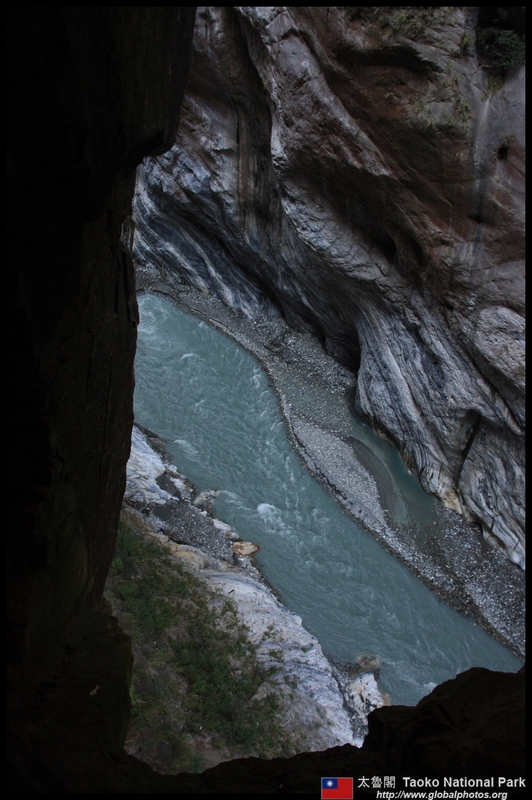 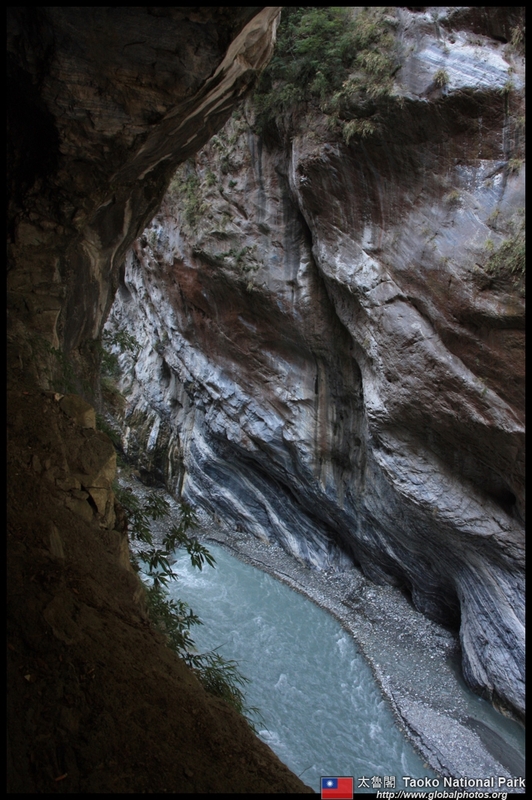 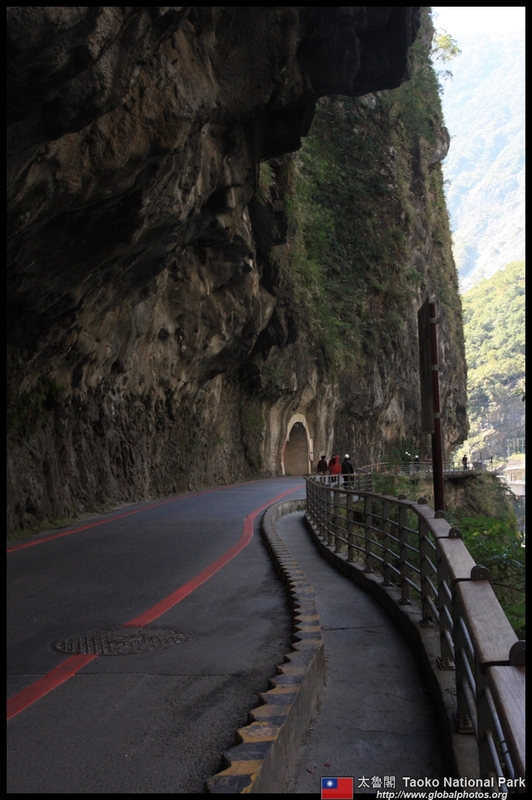 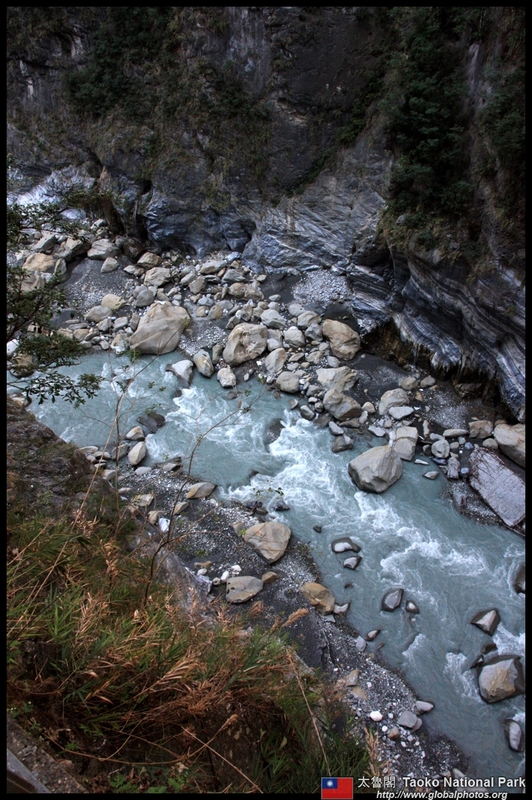 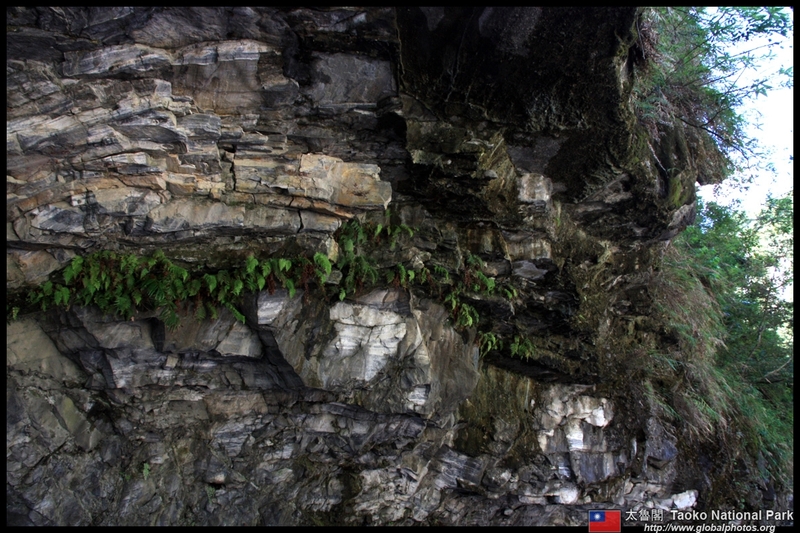 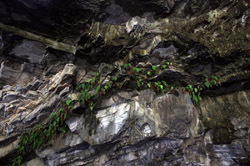 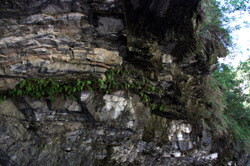 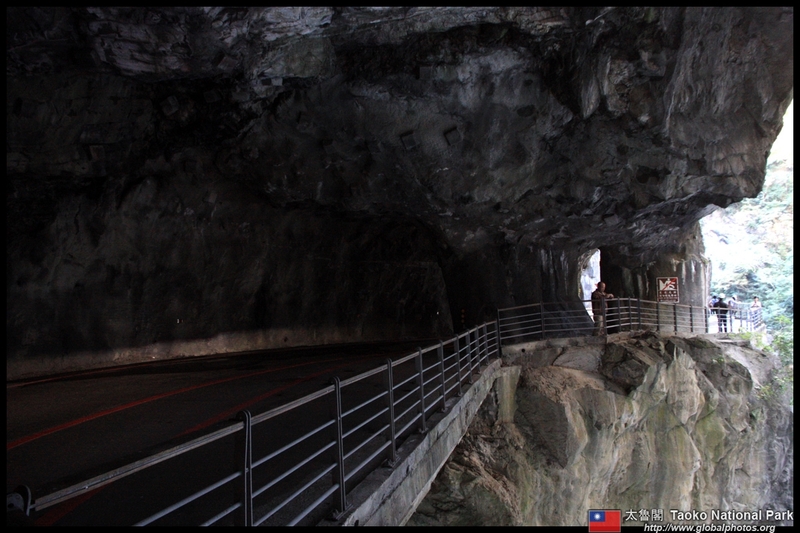 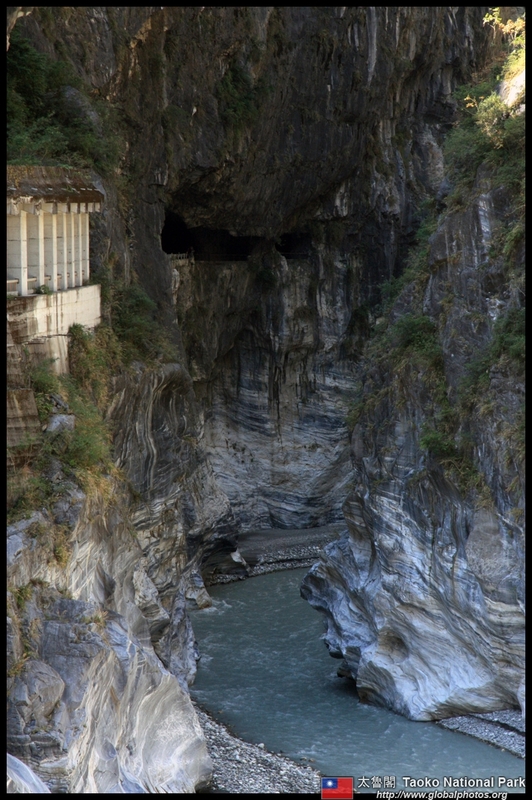 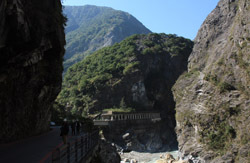 Welcome to Taroko Gorge. 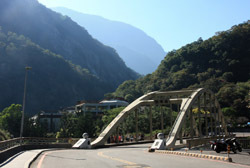 Across the bridge is the visitor centre, where there are exhibitions on environmentalism and how to explore the park. 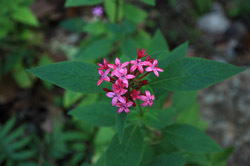 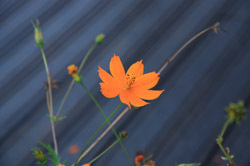 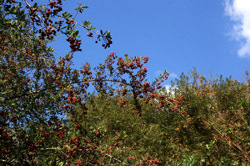 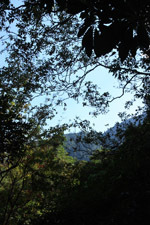 Not much of an interest given the purpose of the visit is to see the beauty outdoors. 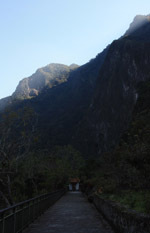 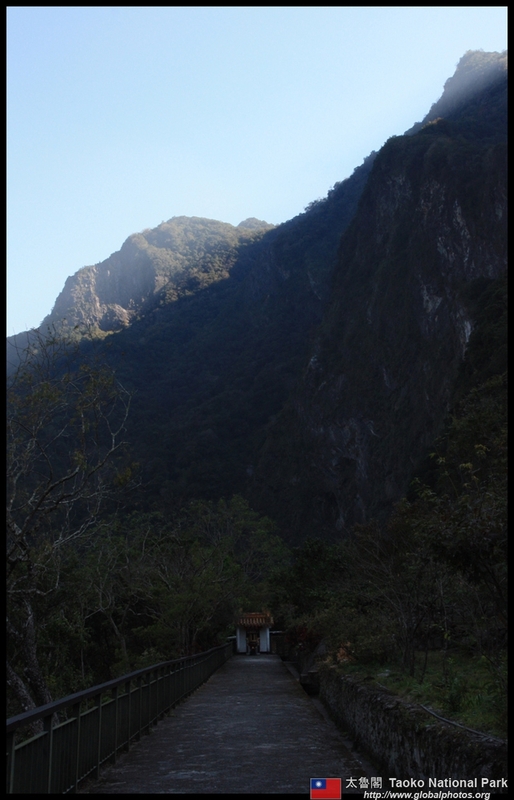 Hiking trails start from Buluowan but the view from the lower terrace was already great enough. 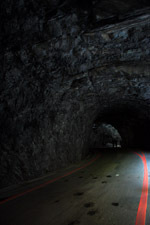 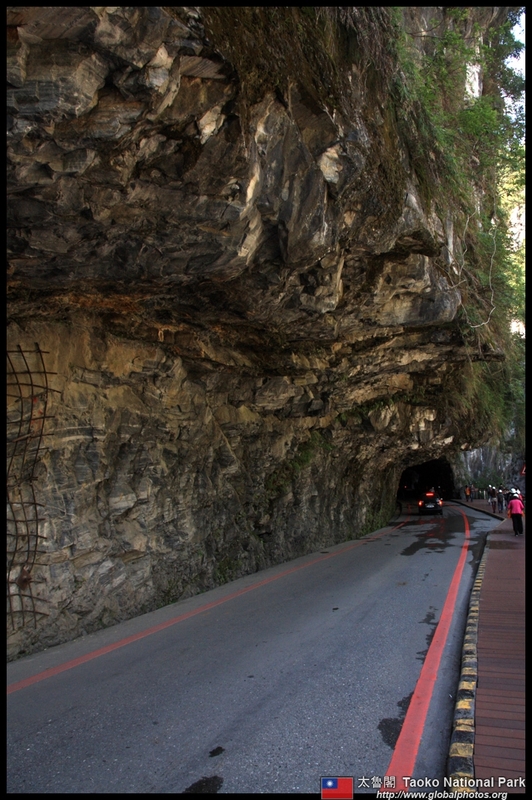 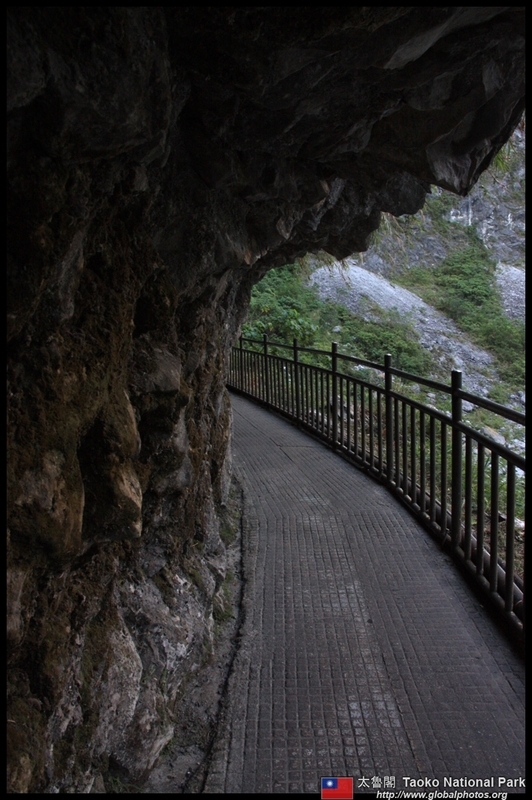 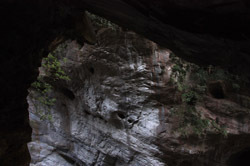 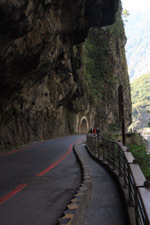 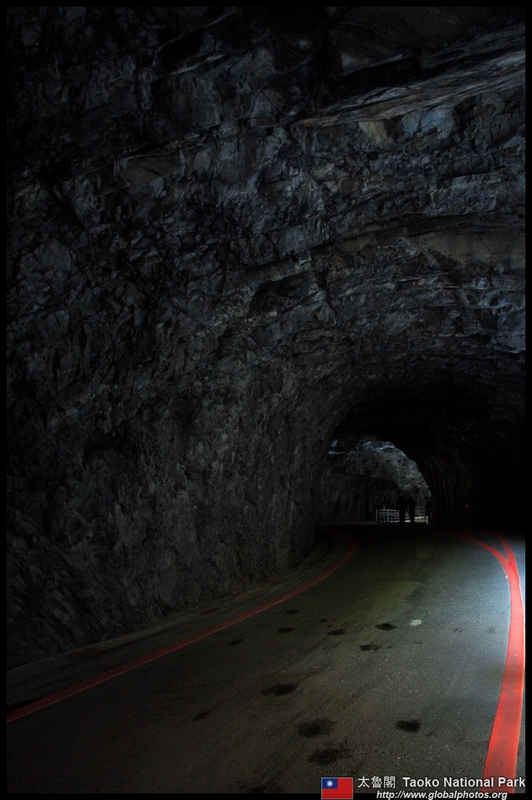 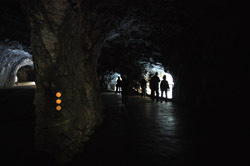 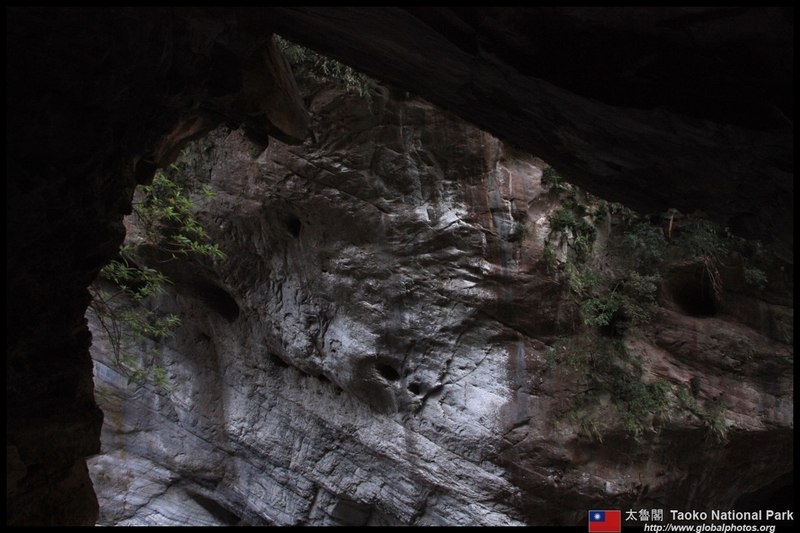 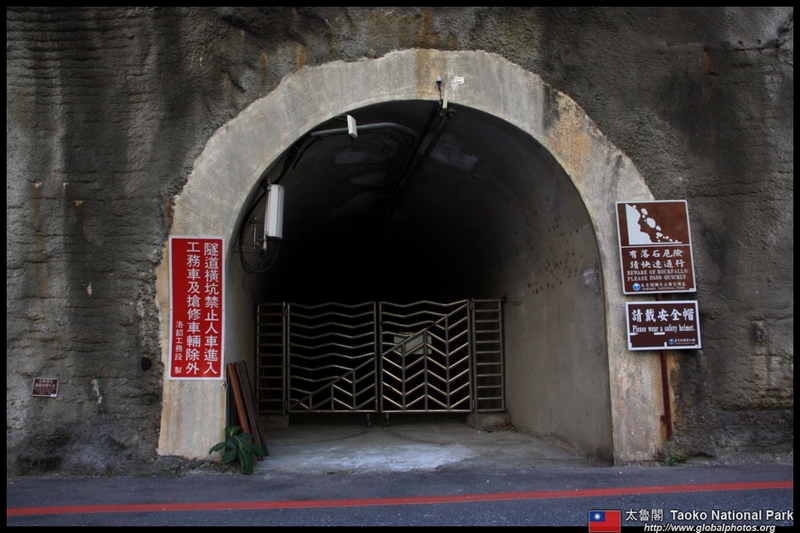 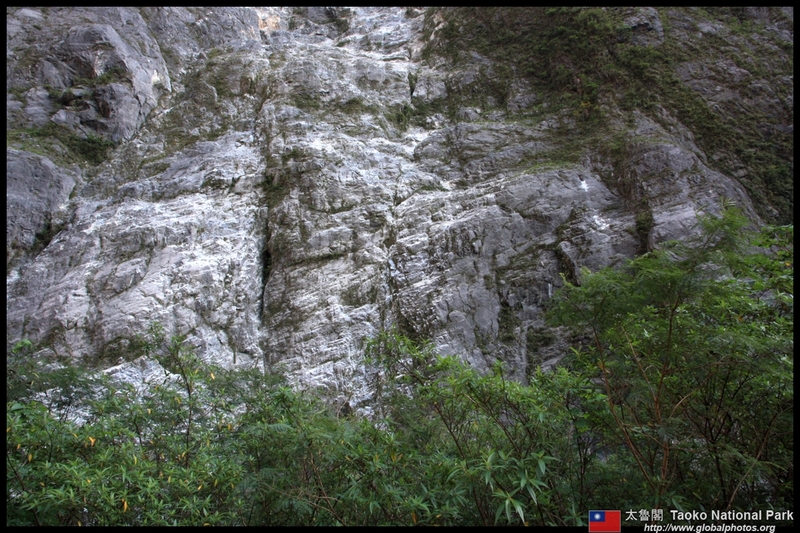 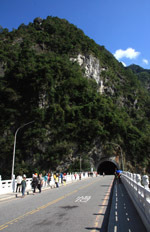 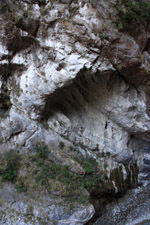 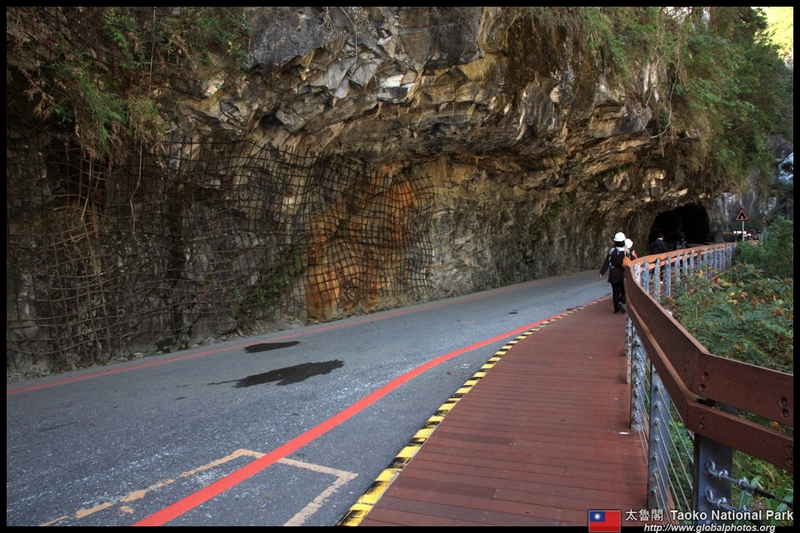 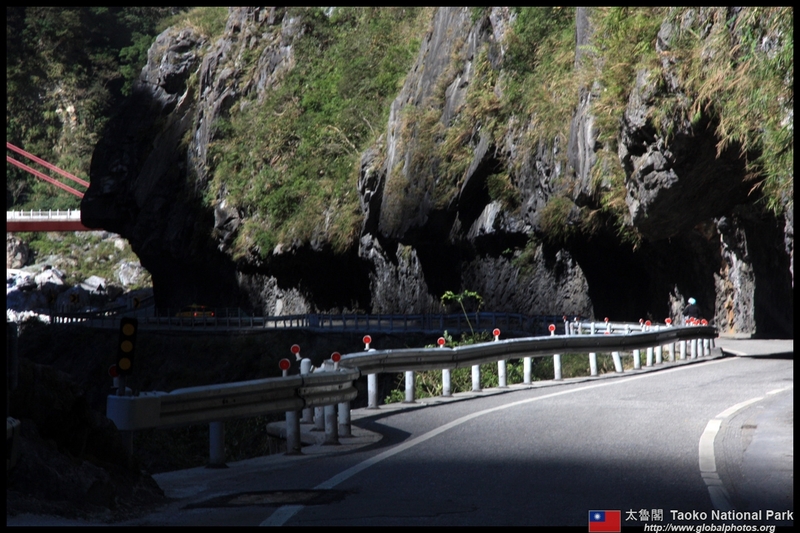 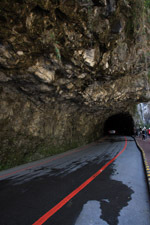 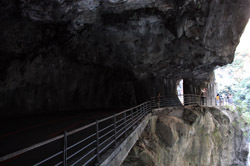 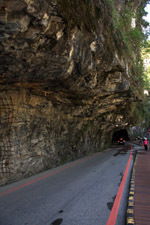 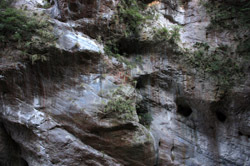 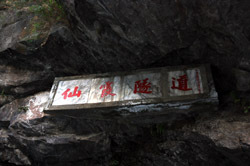 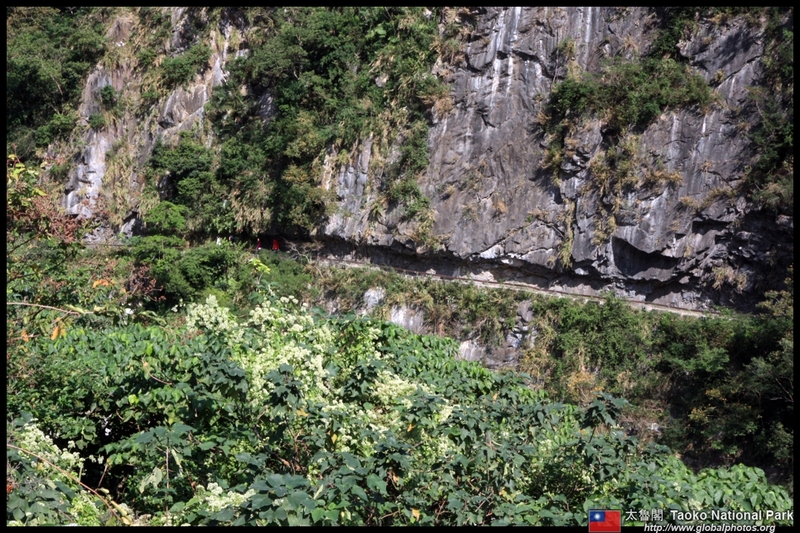 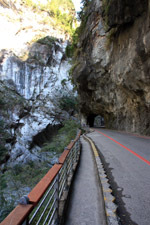 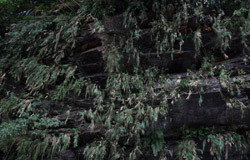 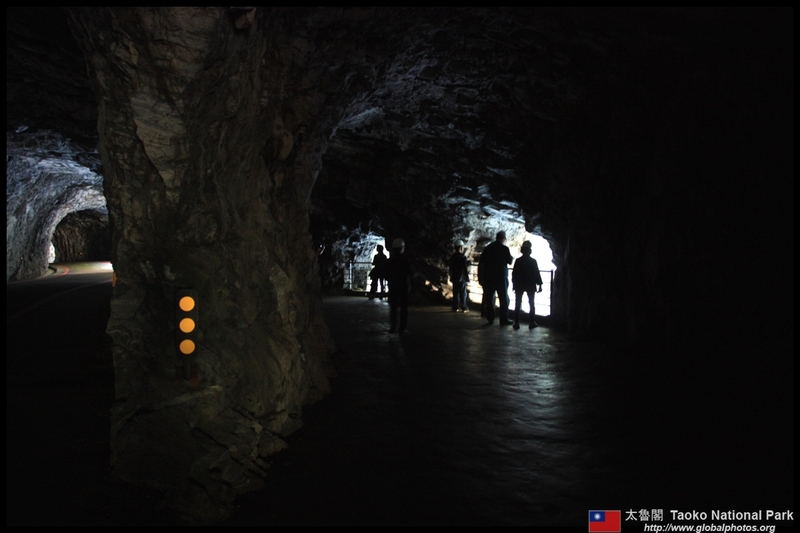 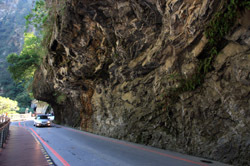 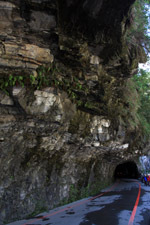 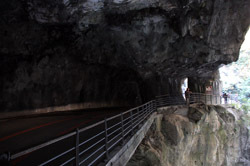 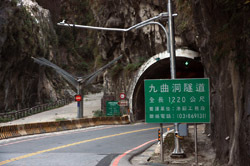 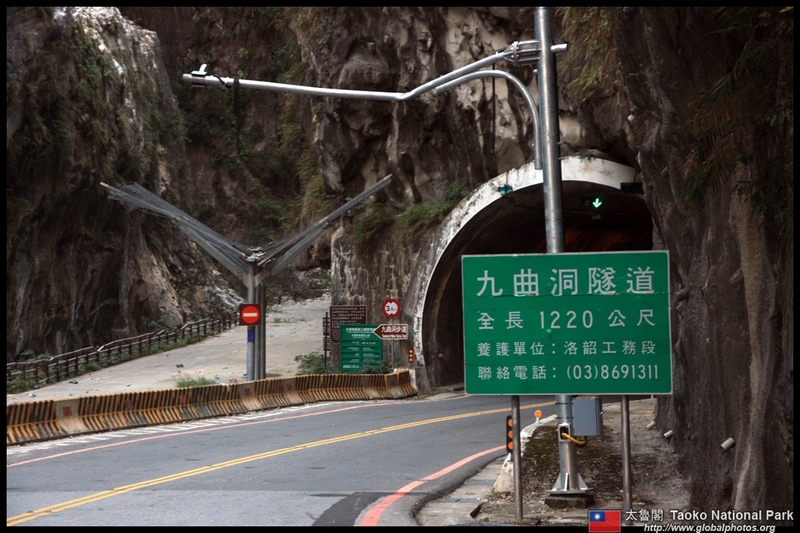 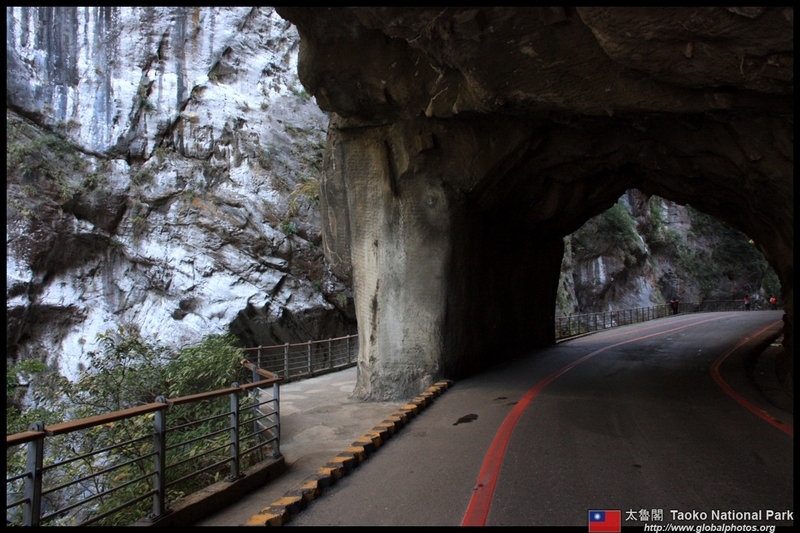 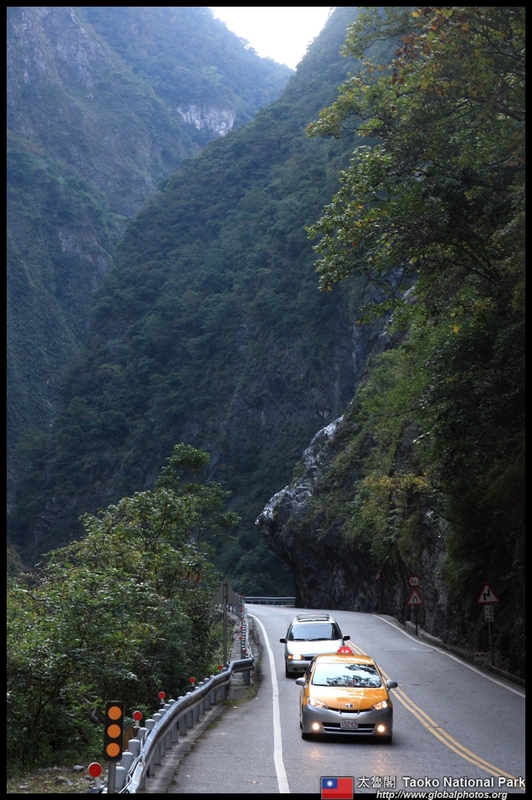 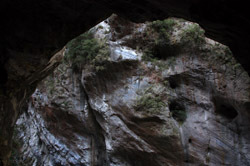 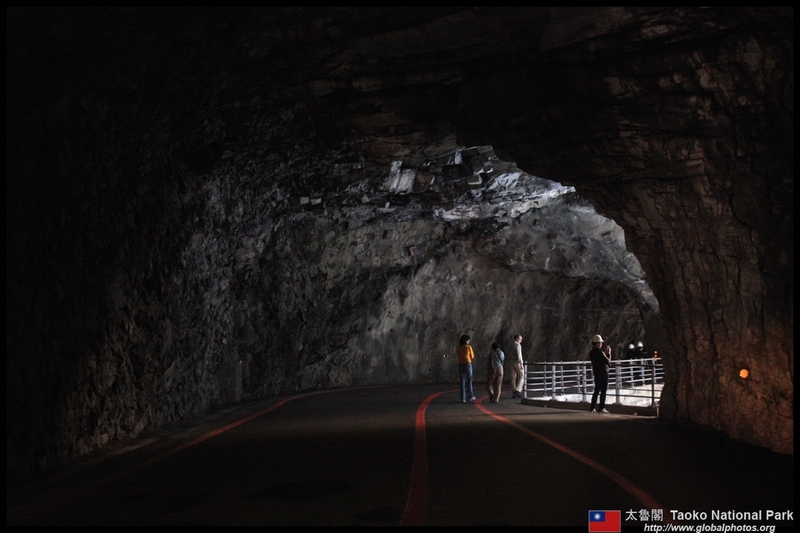 The Tunnel of Nine Turns is a road carved through the rock face. 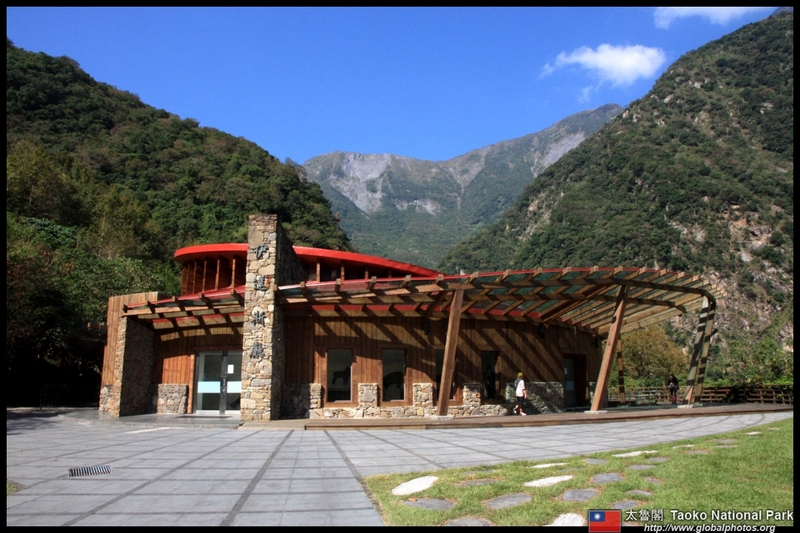 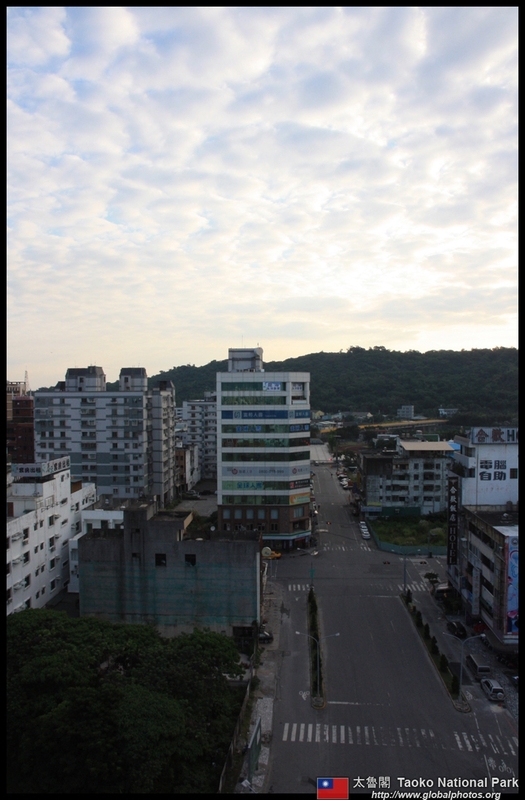 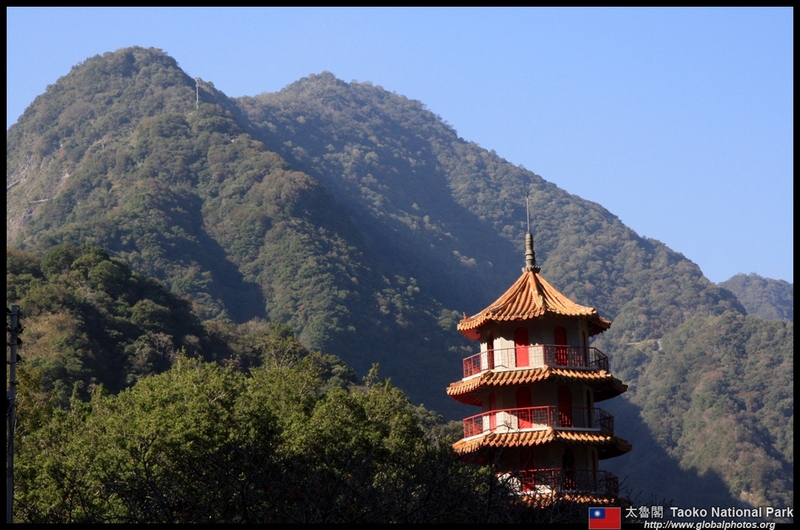 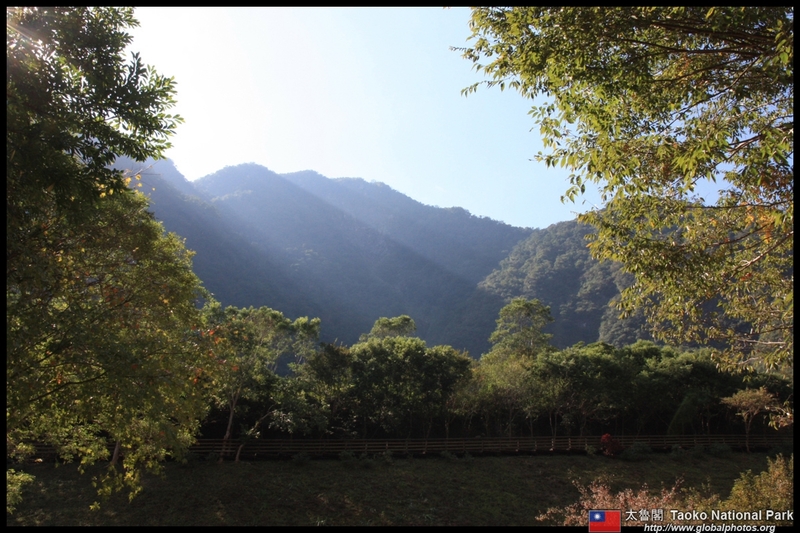 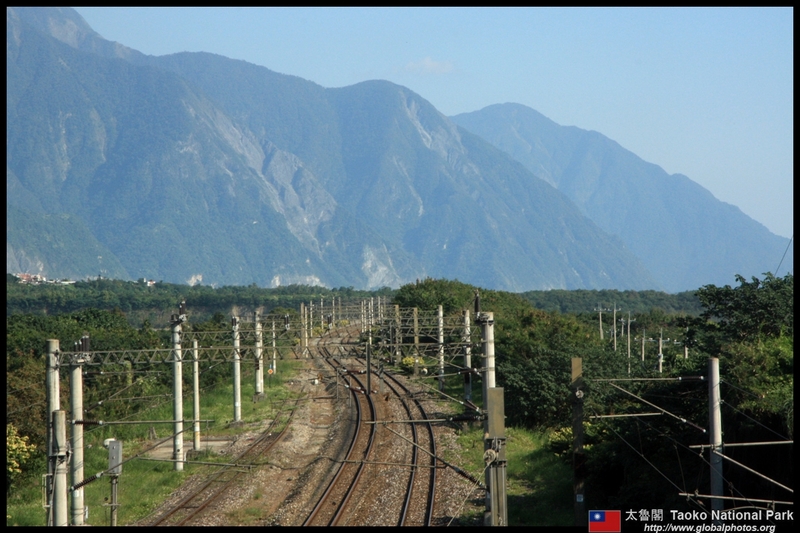 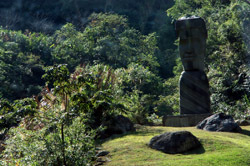 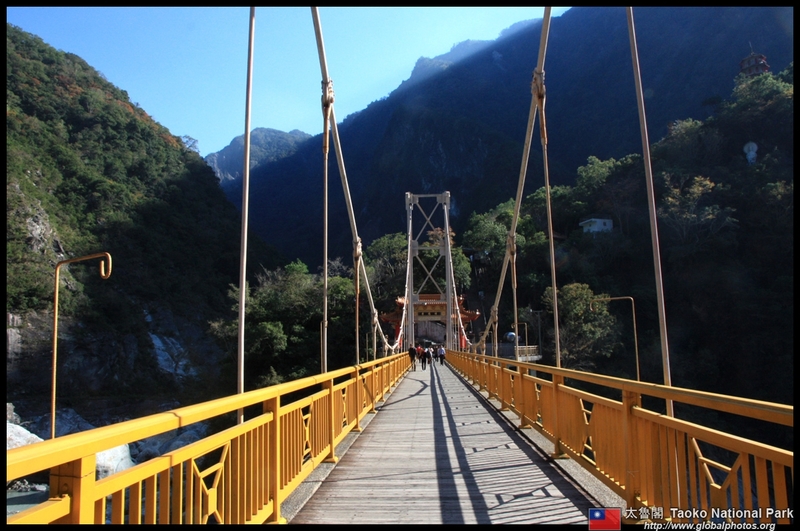 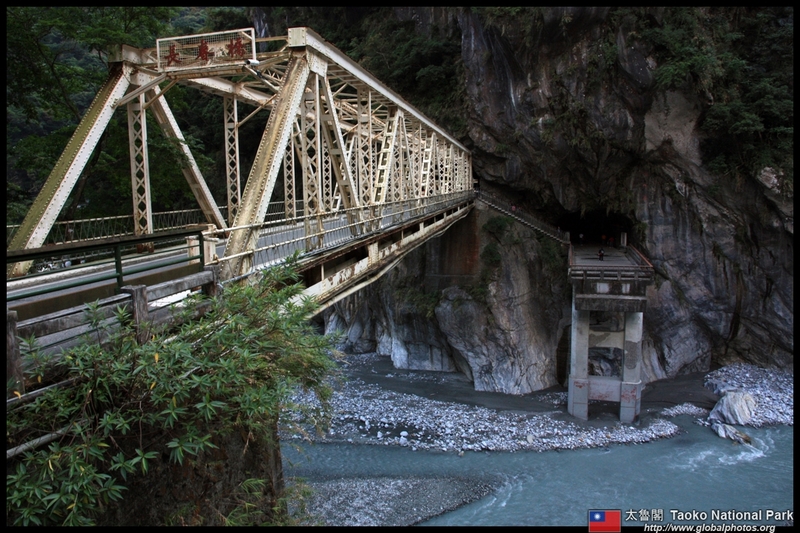 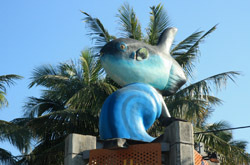 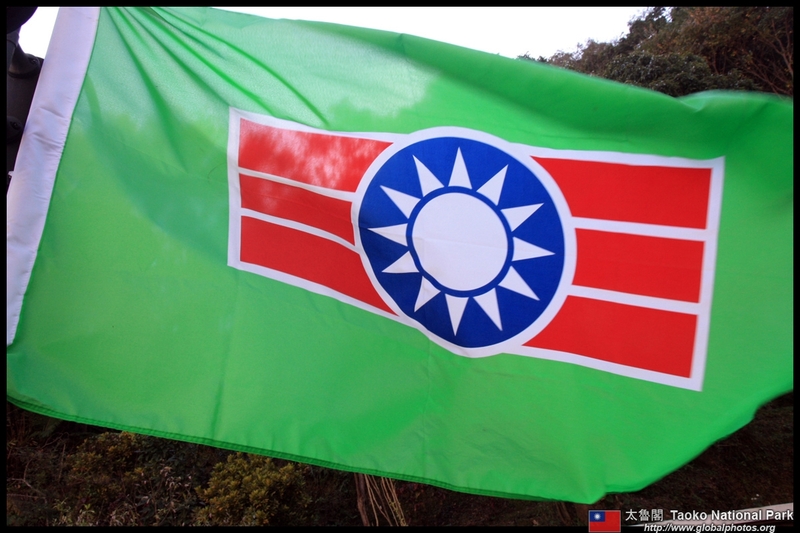 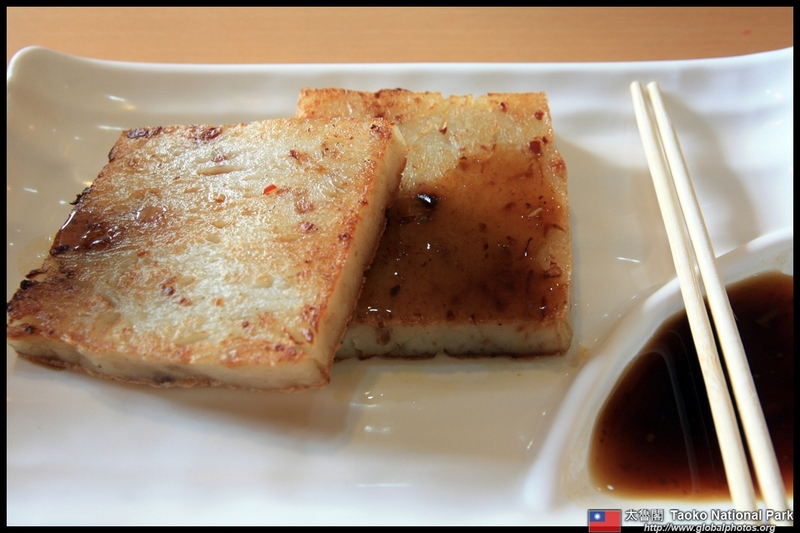 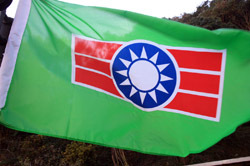 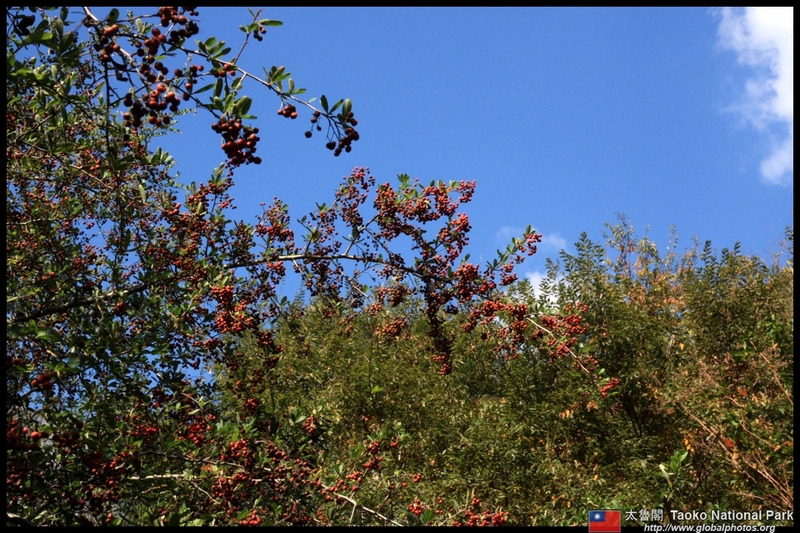 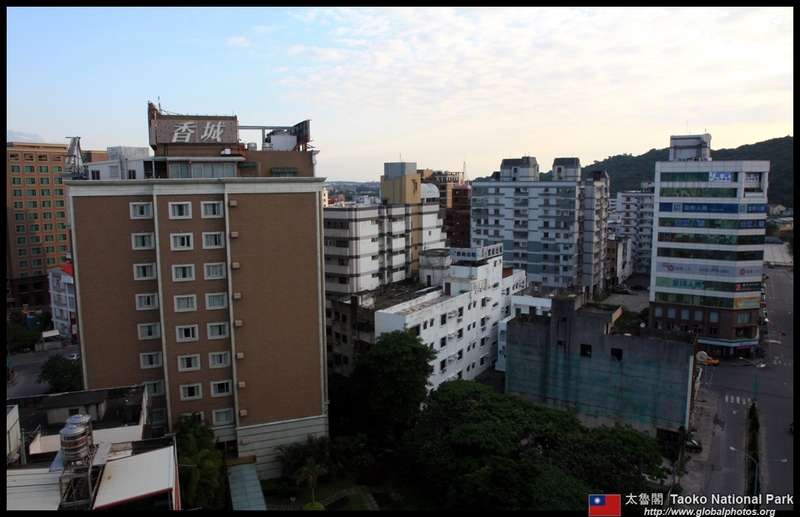 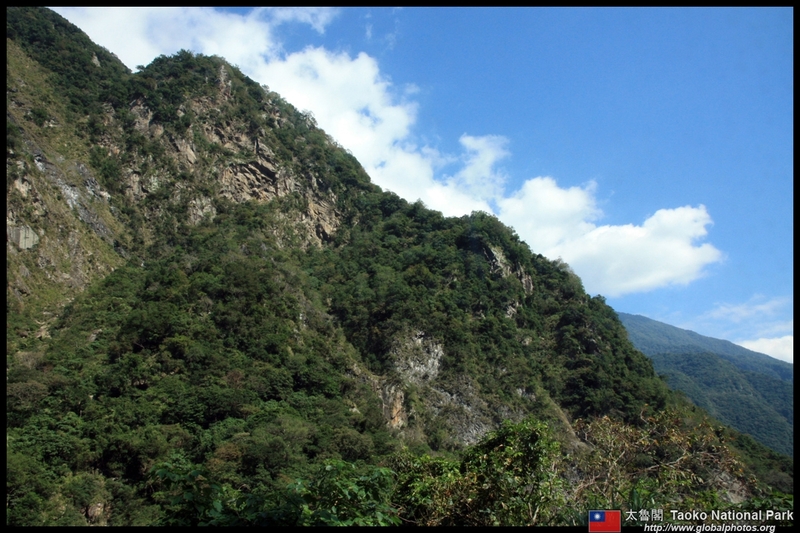 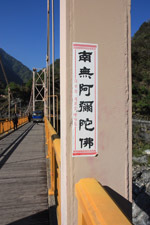 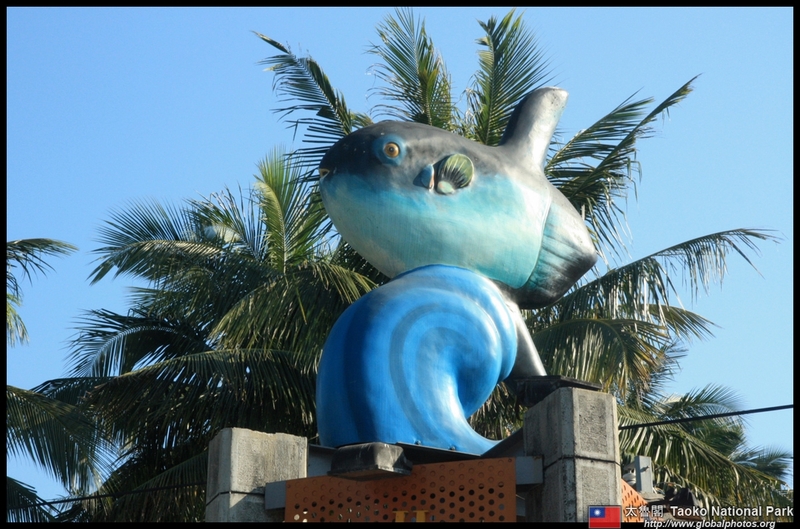 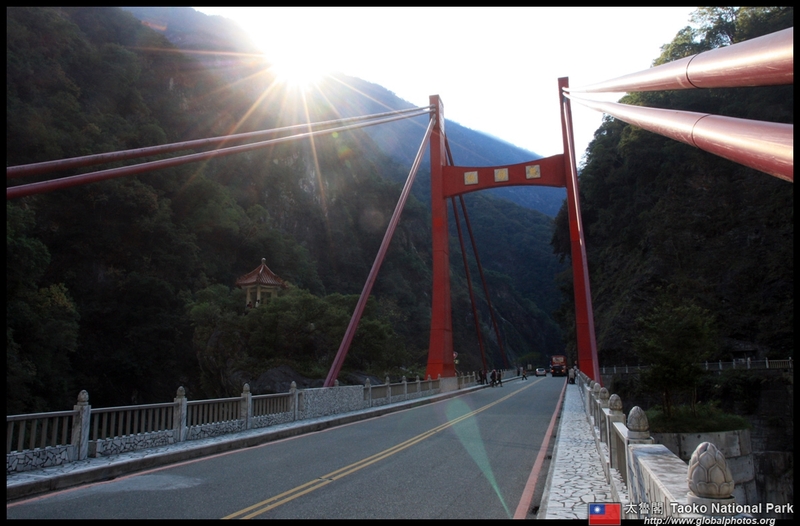 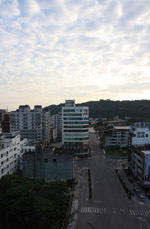 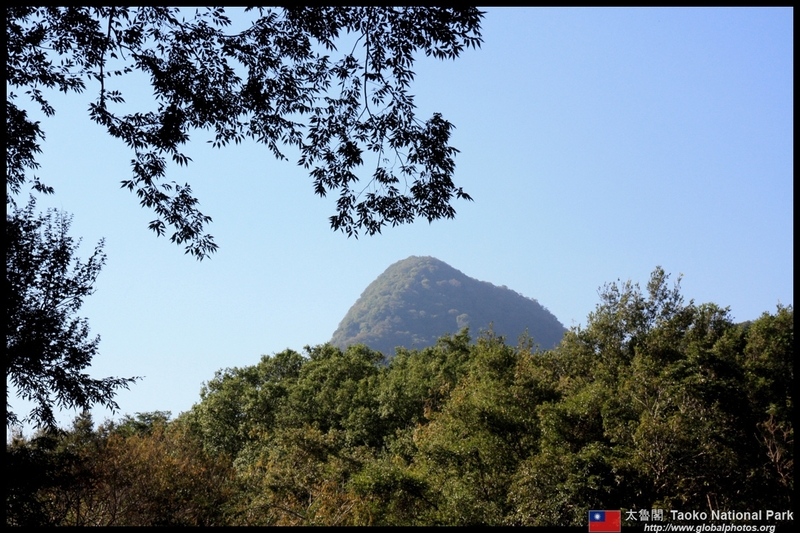 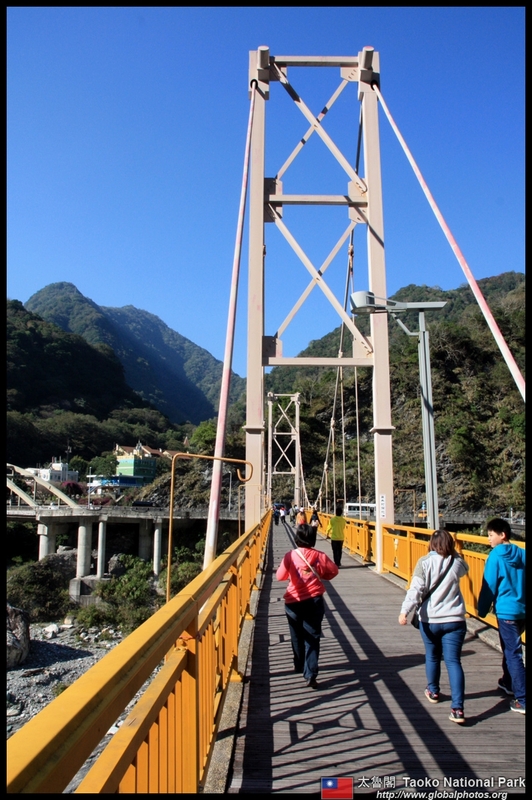 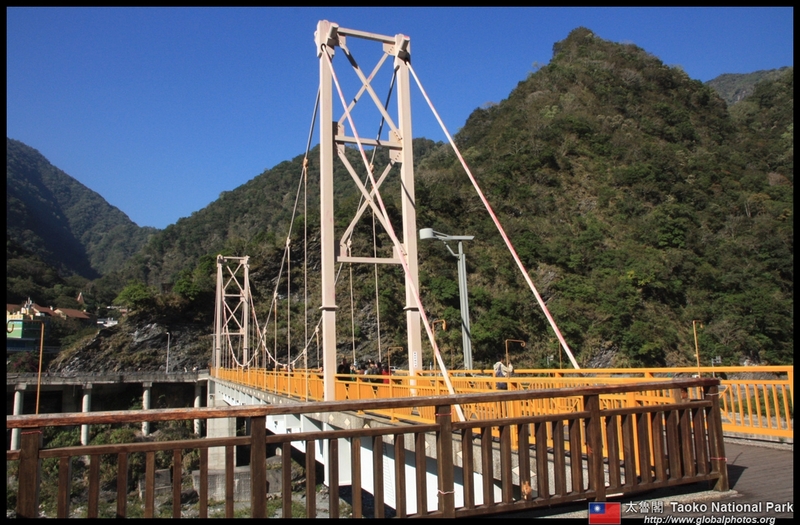 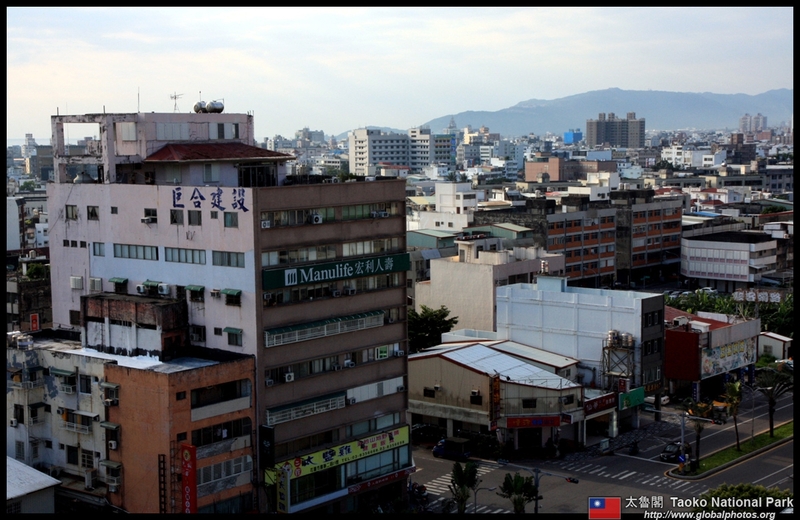 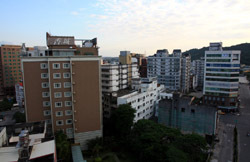 Built in 1996, it forms part of the major life-line across Taiwan to Taichung. 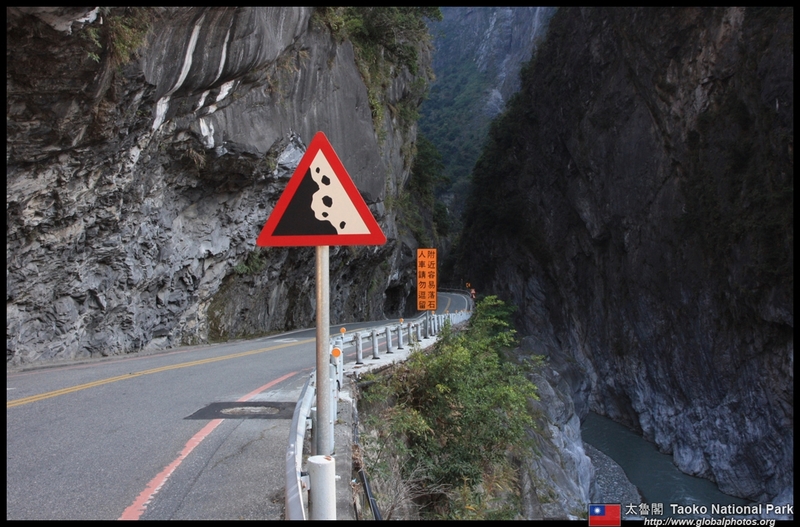 Visitors are provided with helmets beforehand just in case some of these rocks decide to give in to the force of gravity. 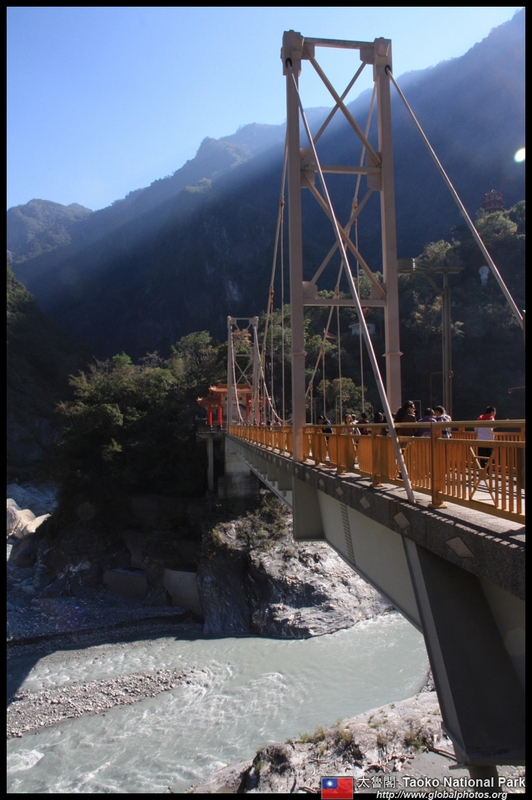 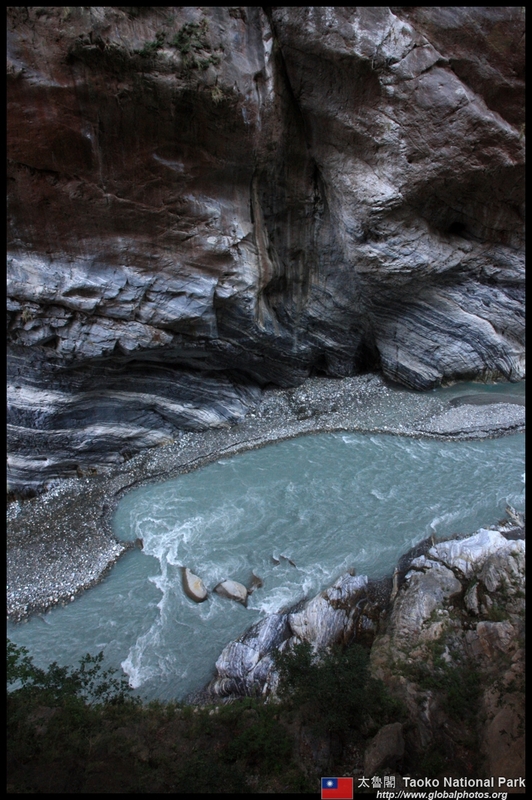 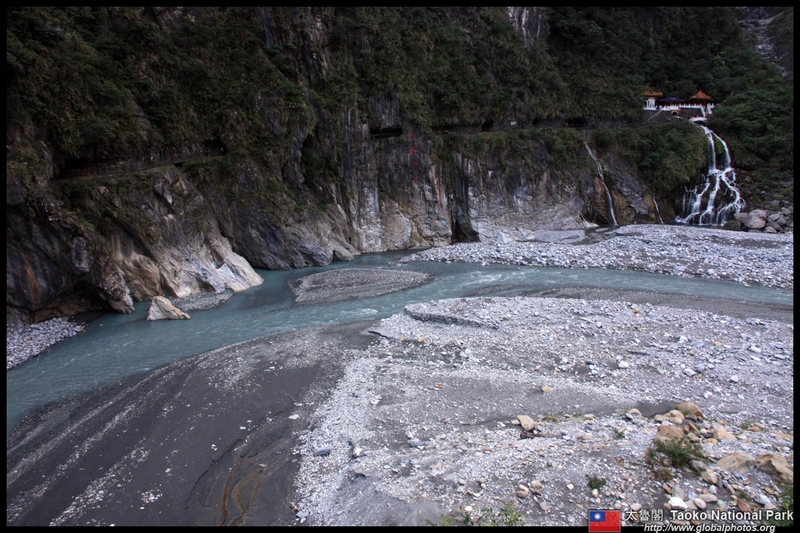 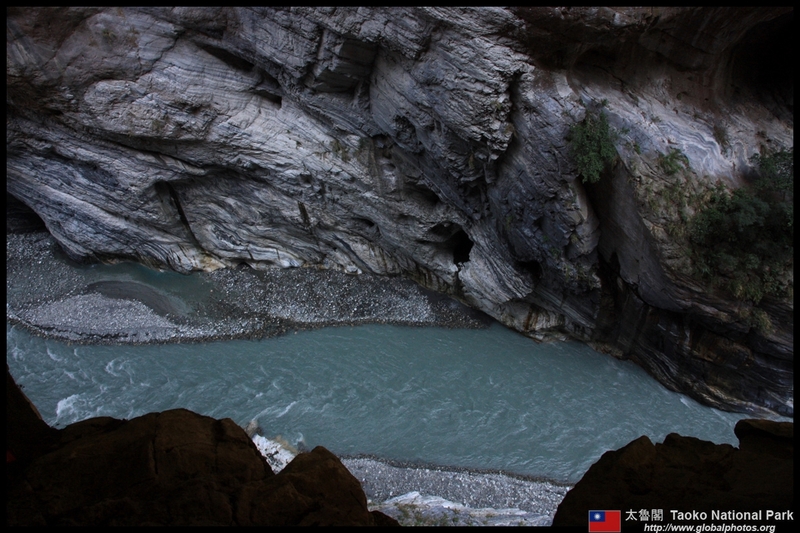 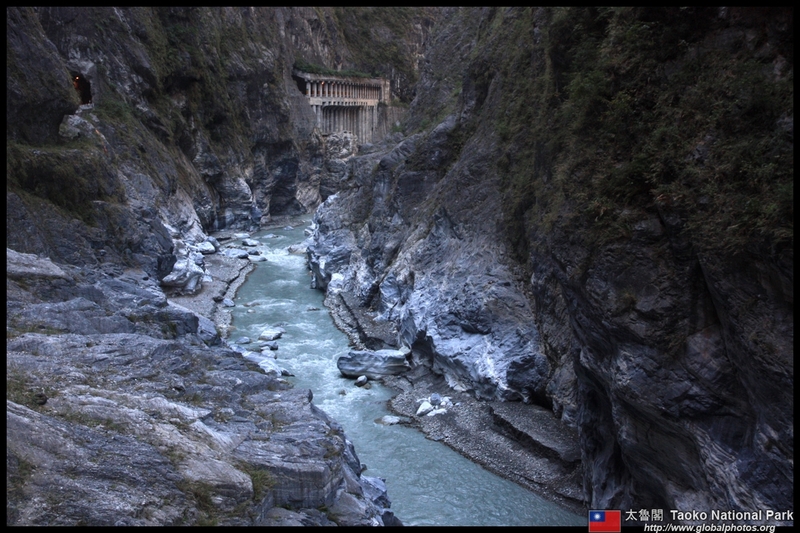 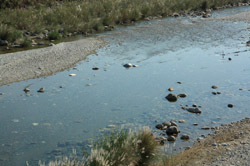 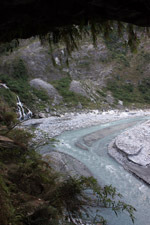 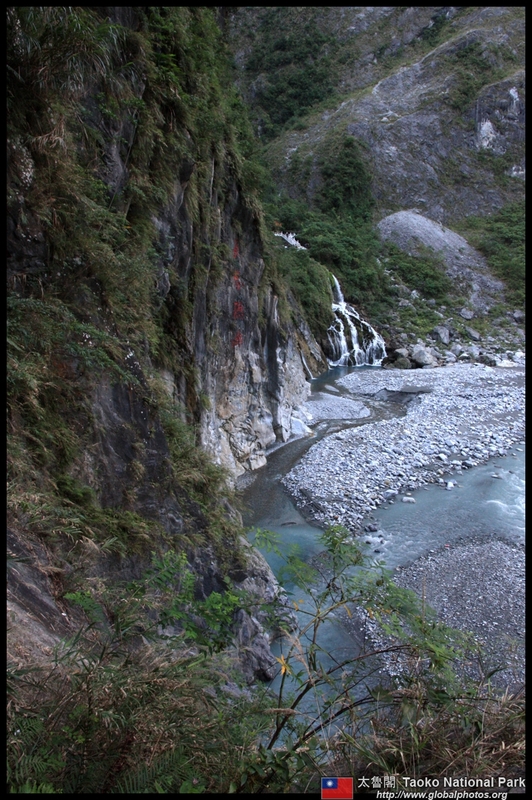 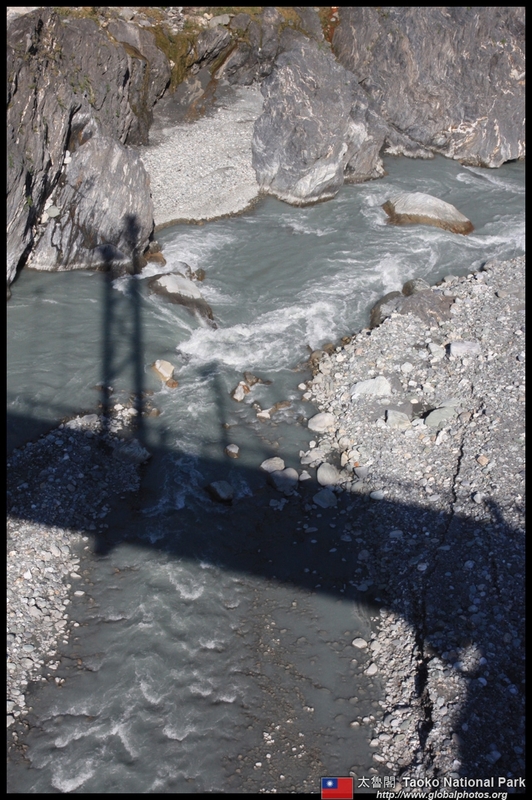 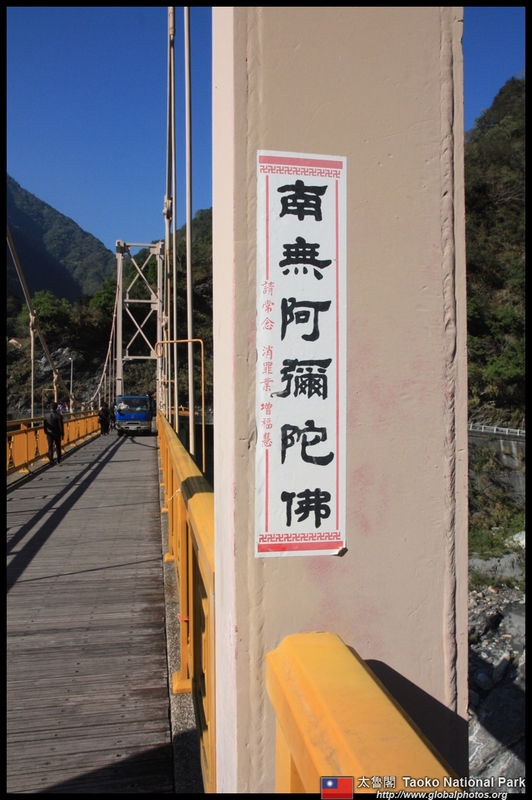 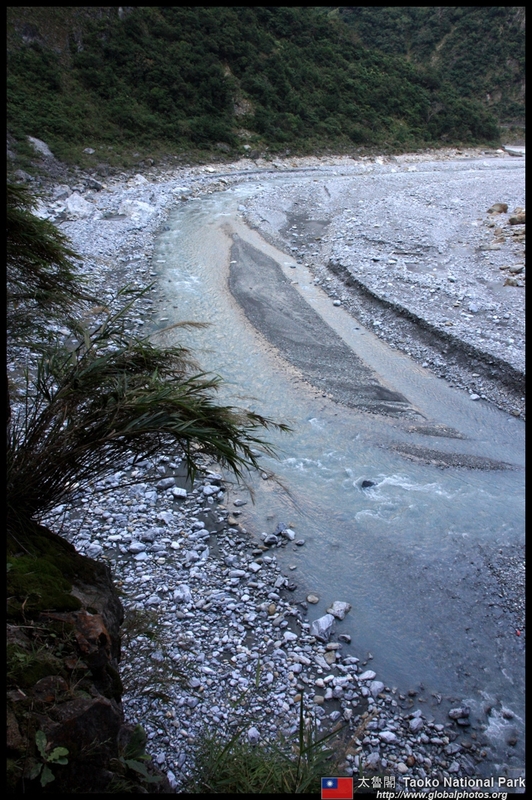 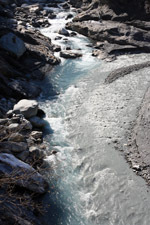 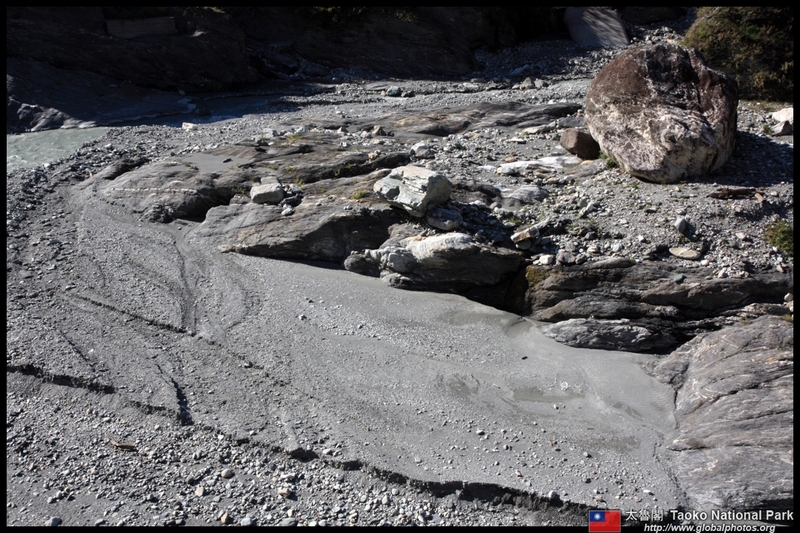 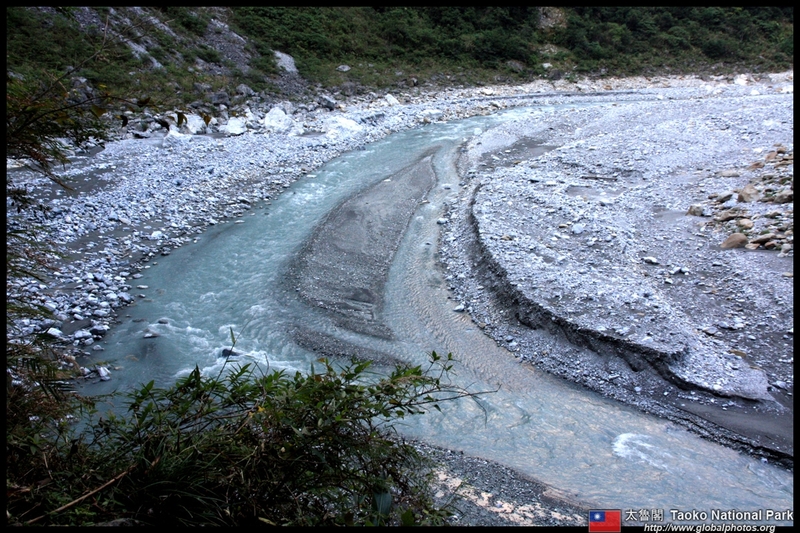 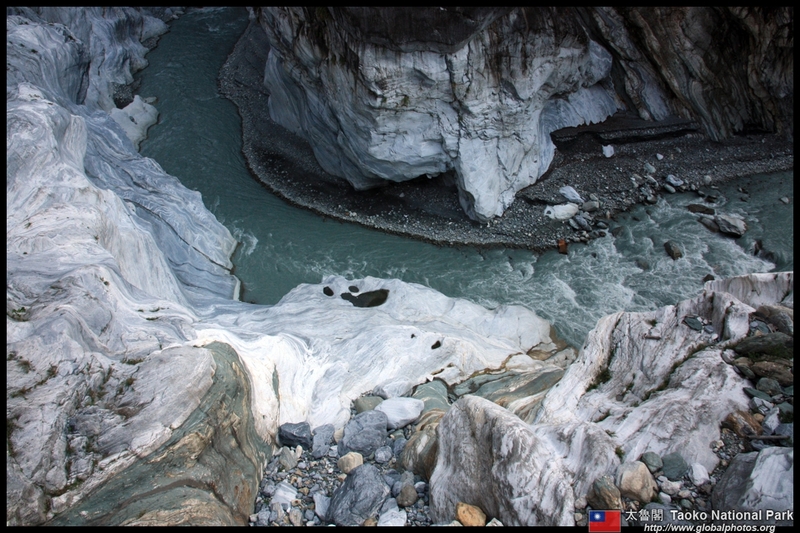 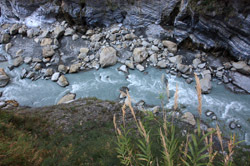 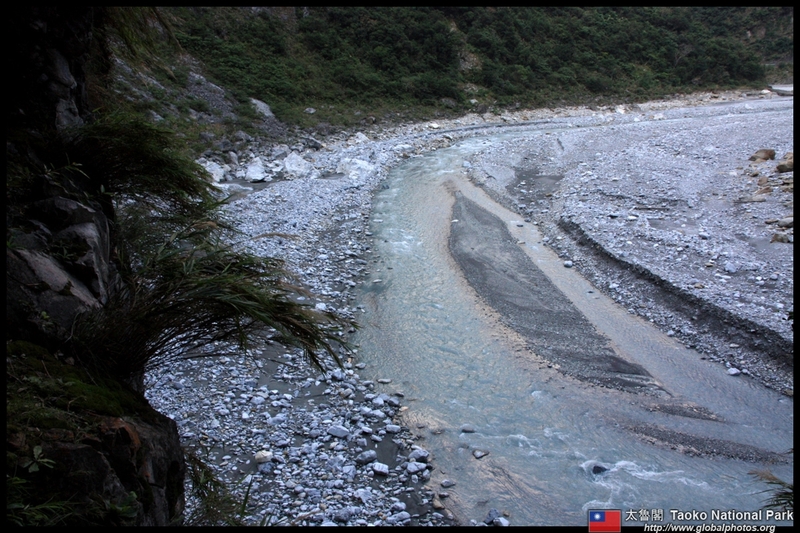 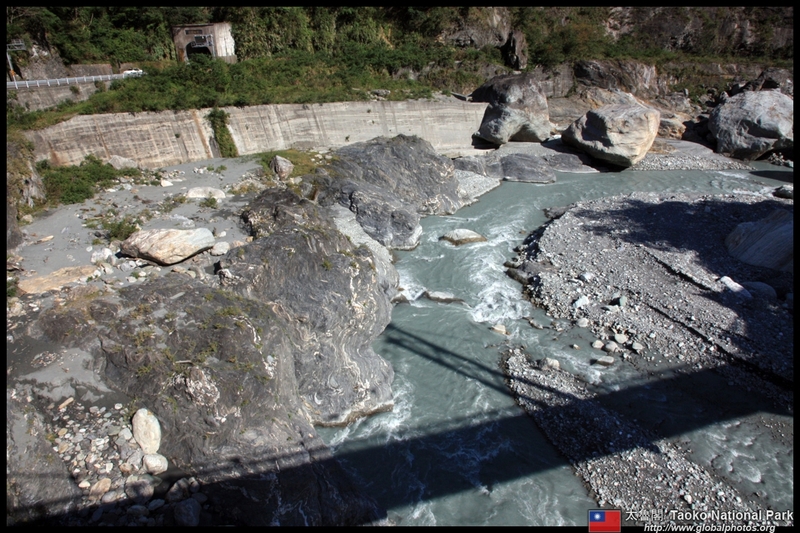 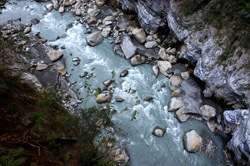 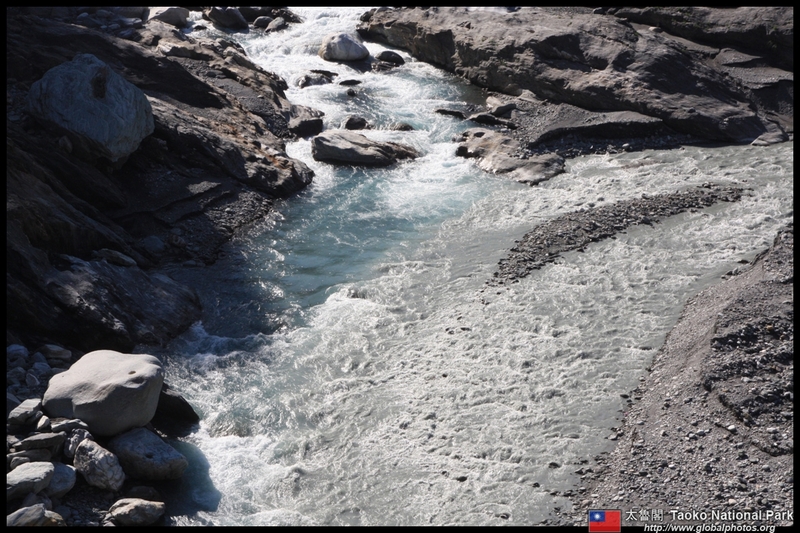 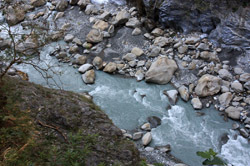 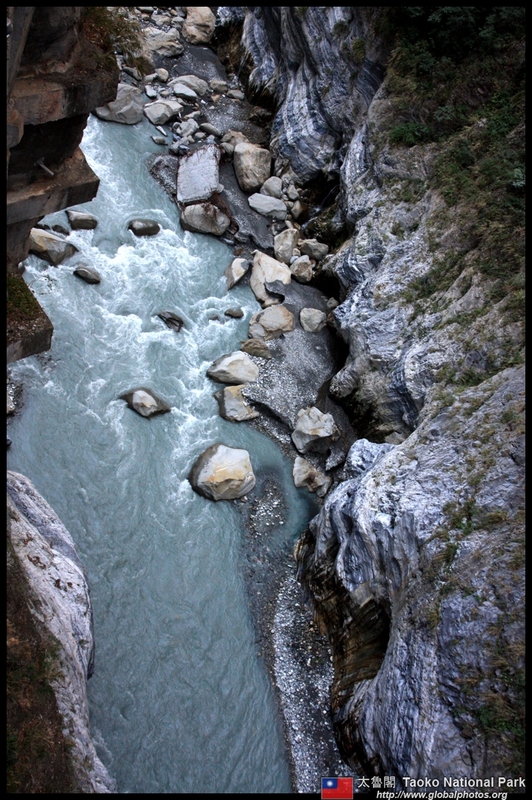 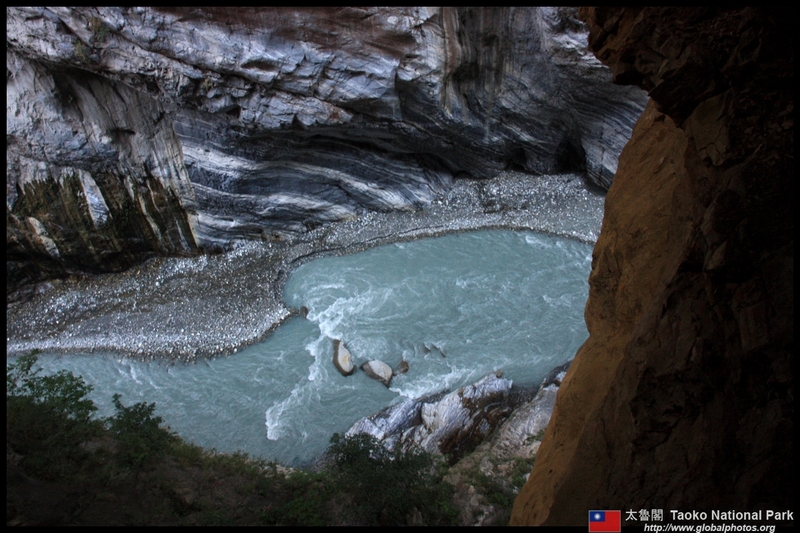 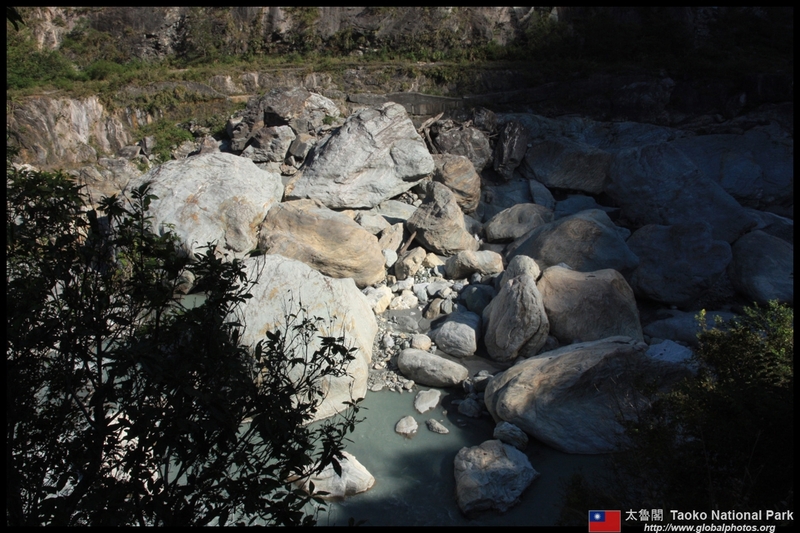 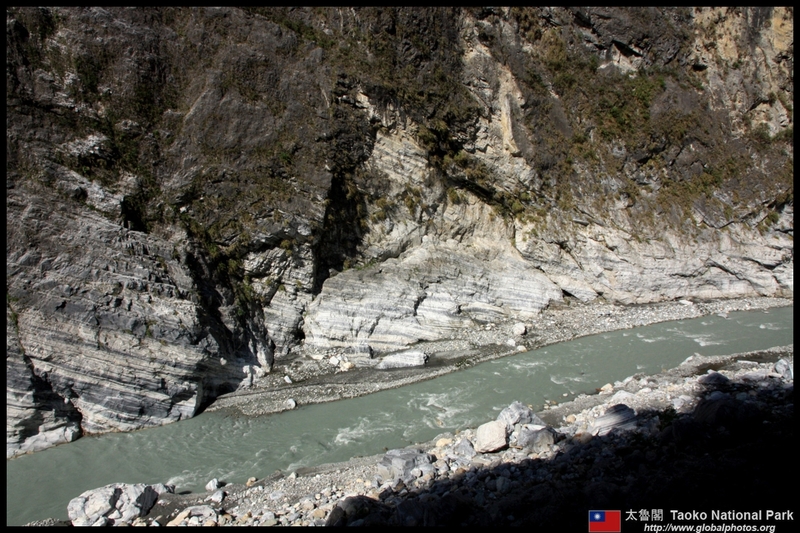 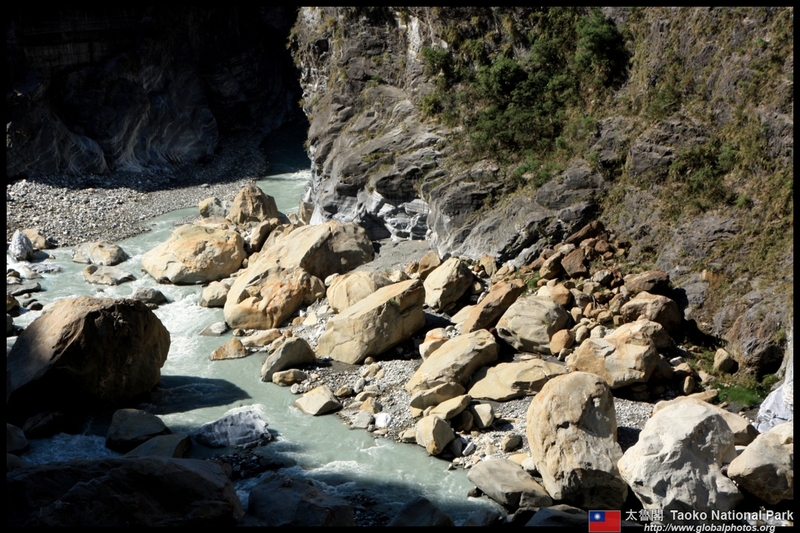 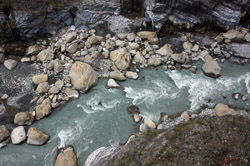 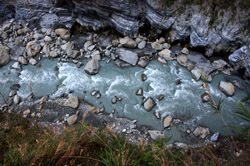 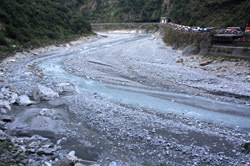 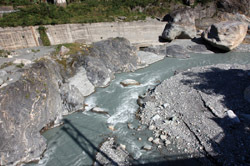 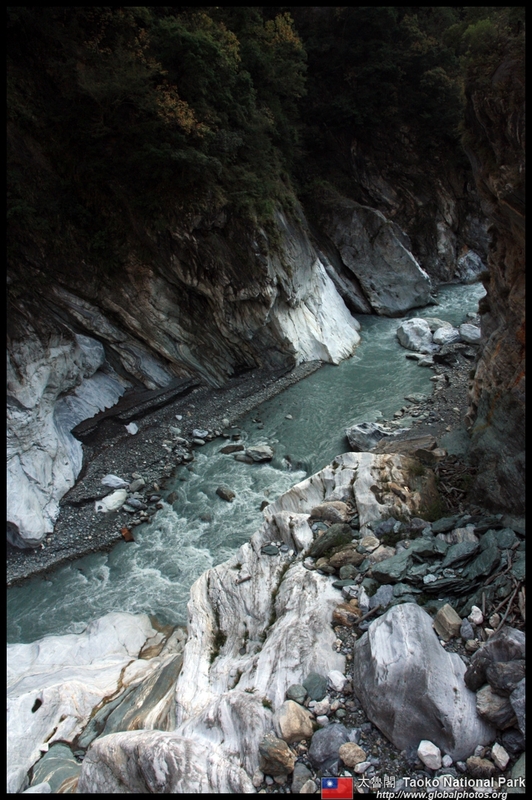 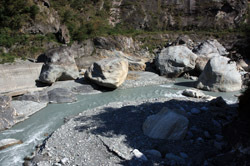 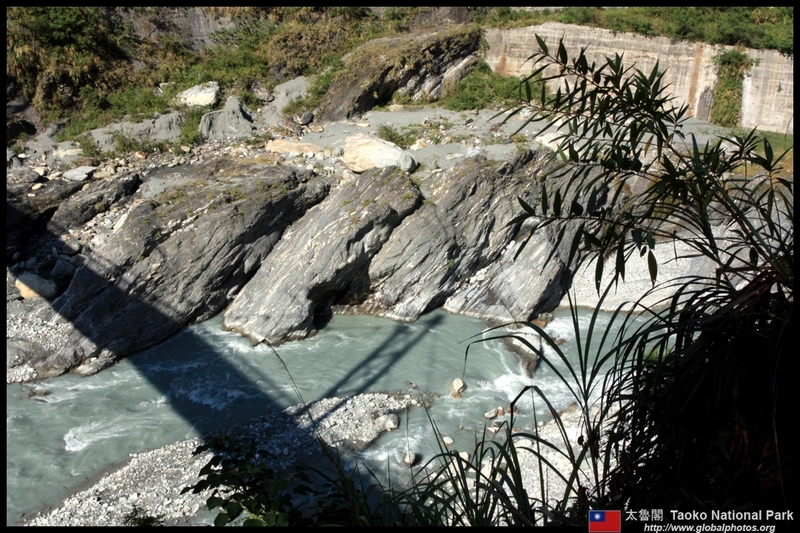 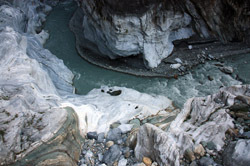 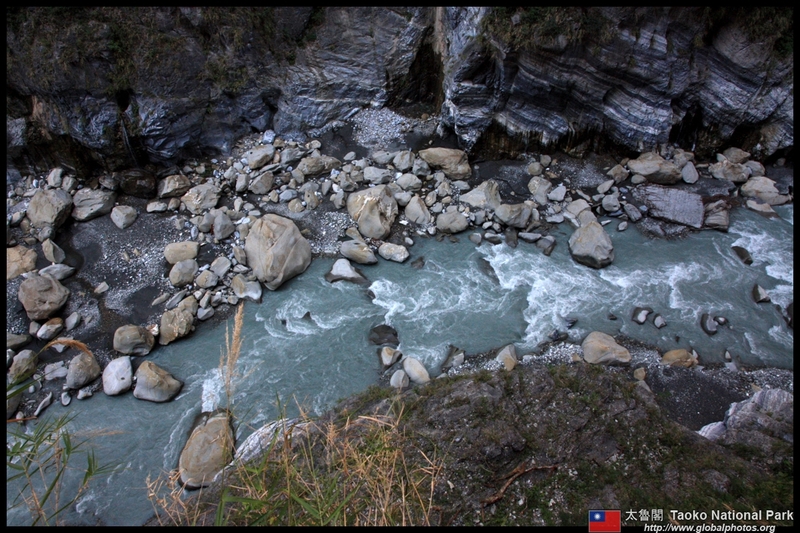 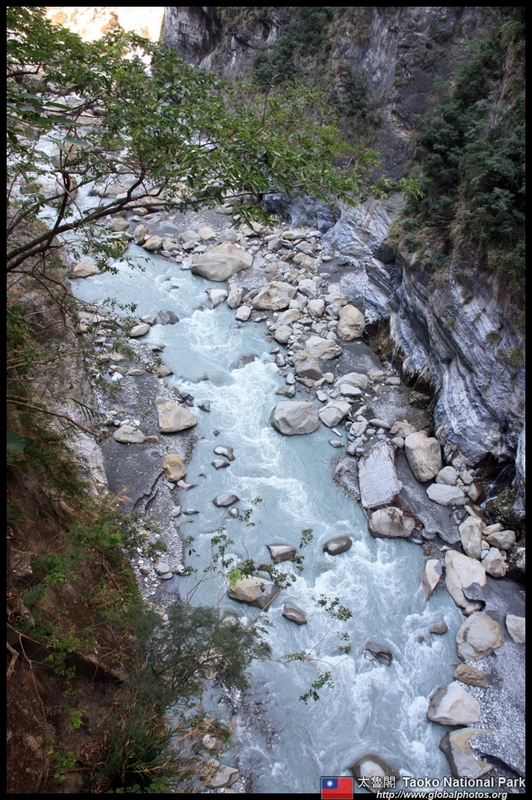 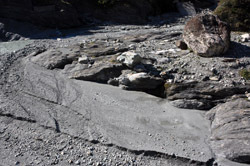 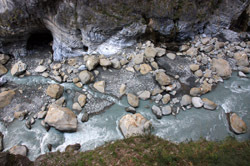 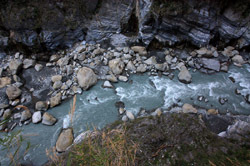 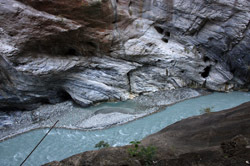 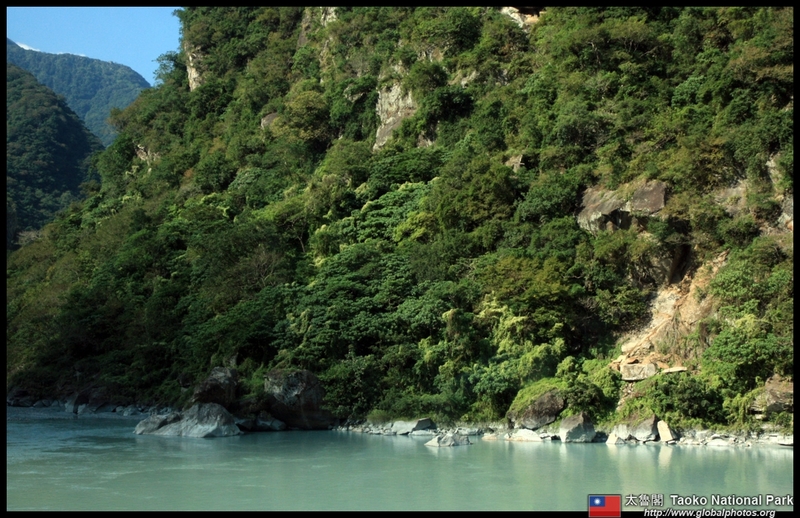 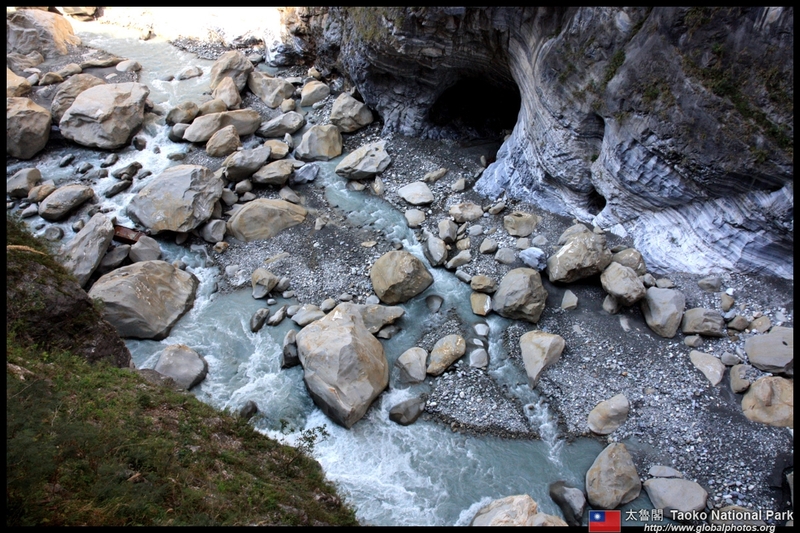 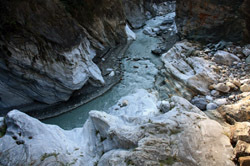 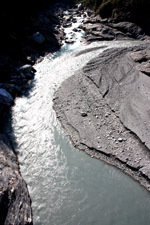 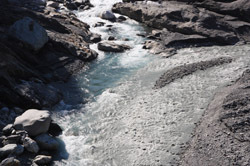 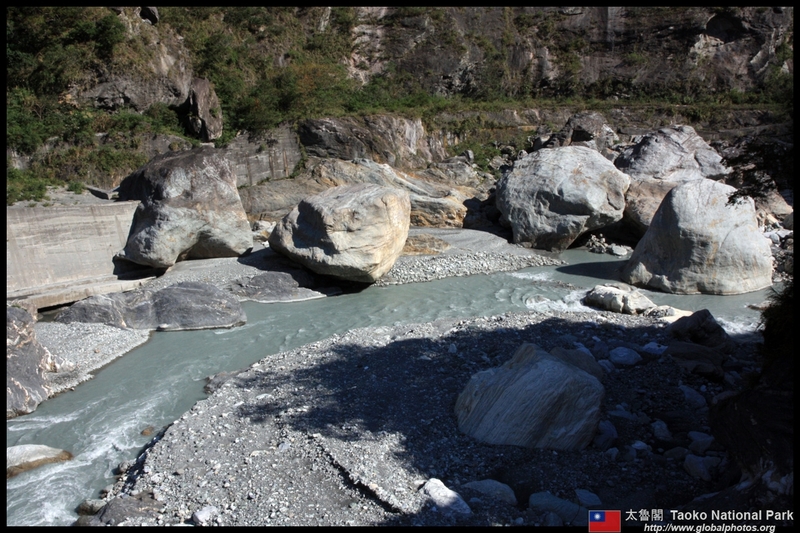 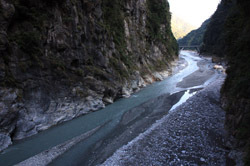 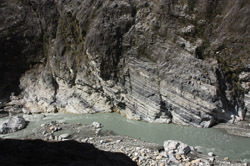 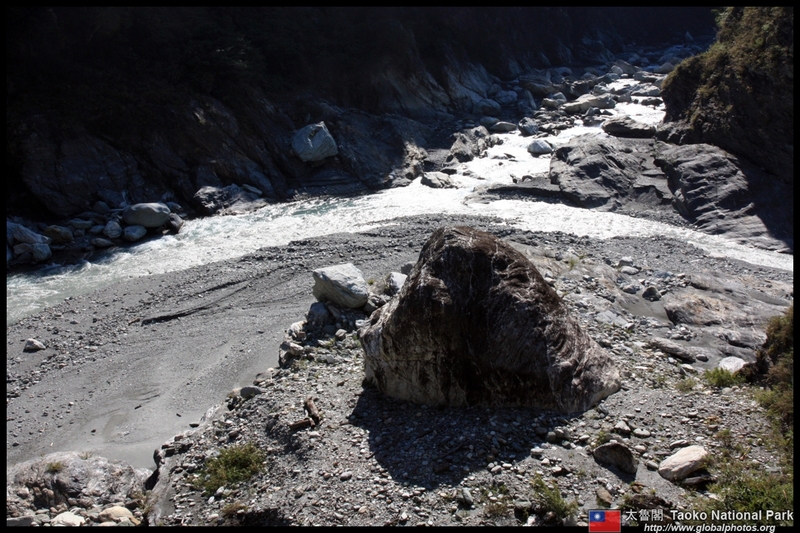 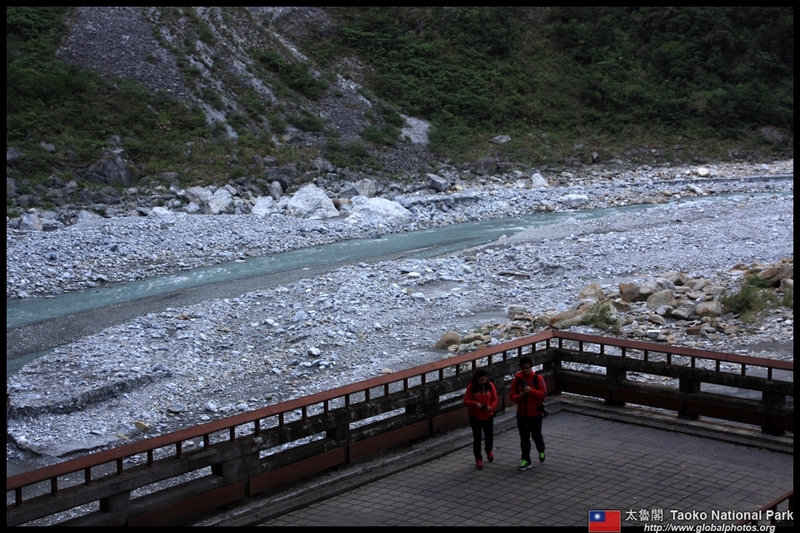 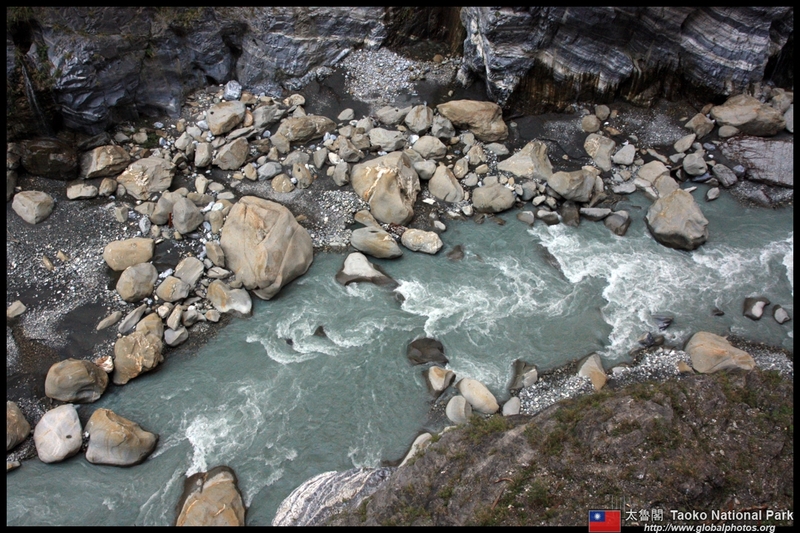 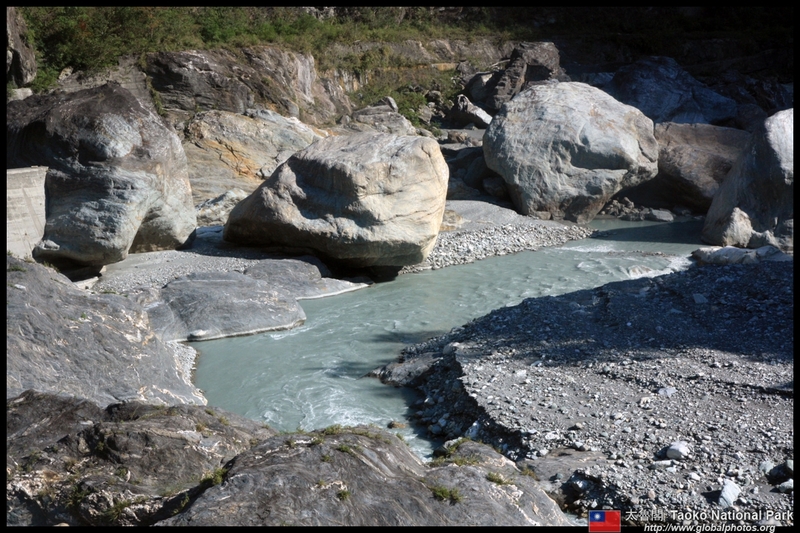 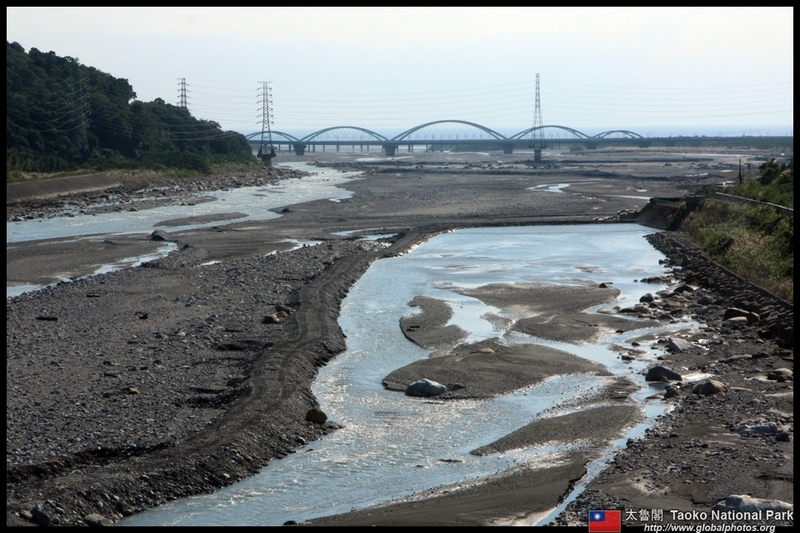 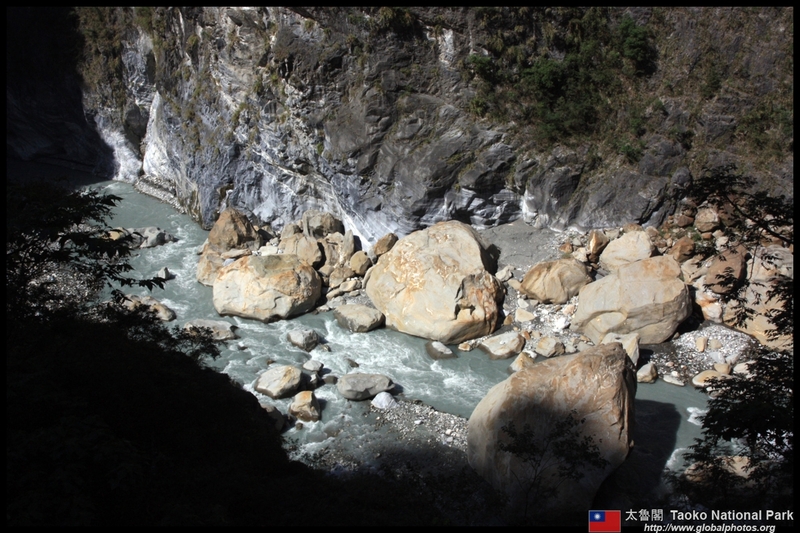 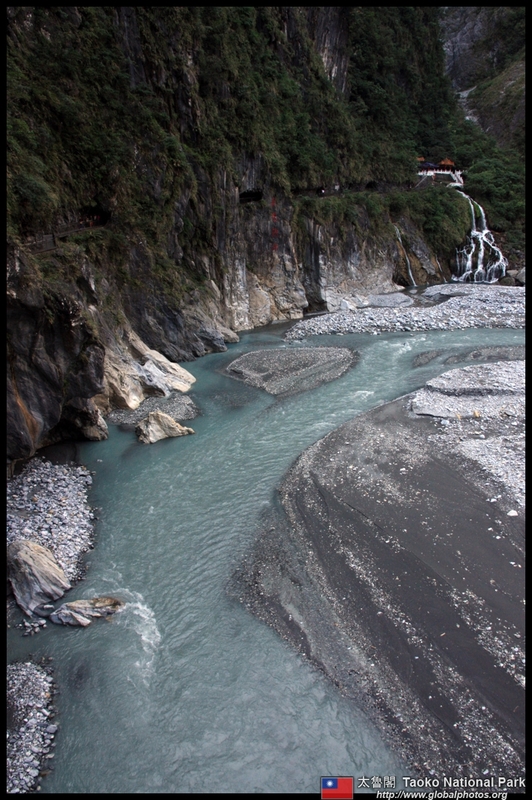 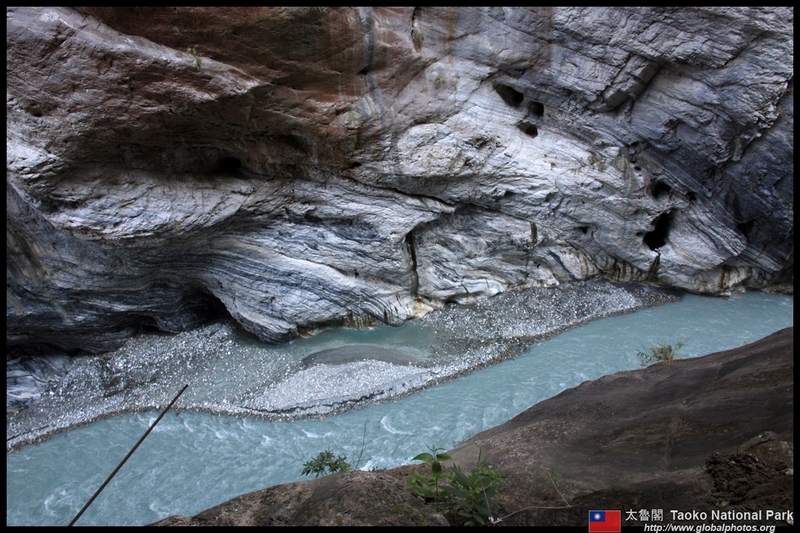 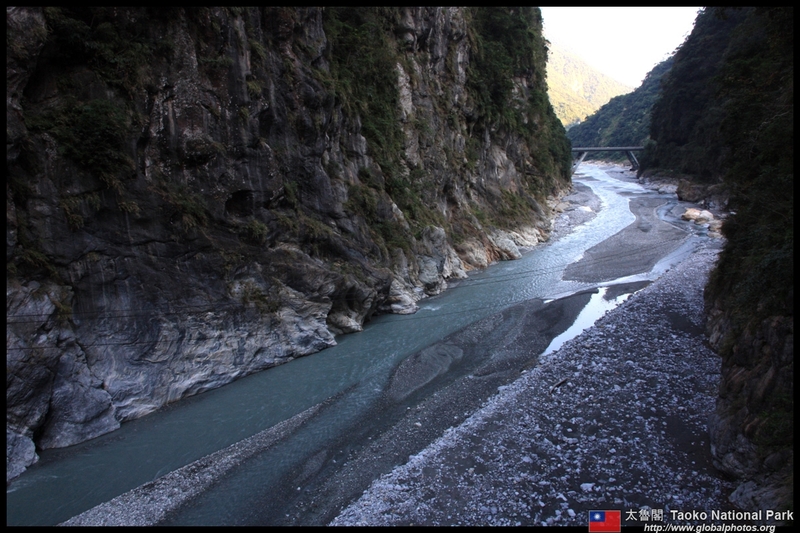 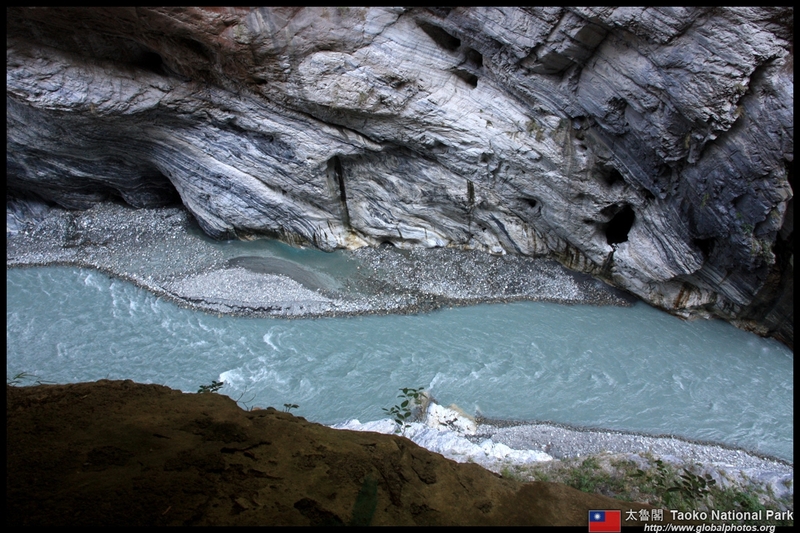 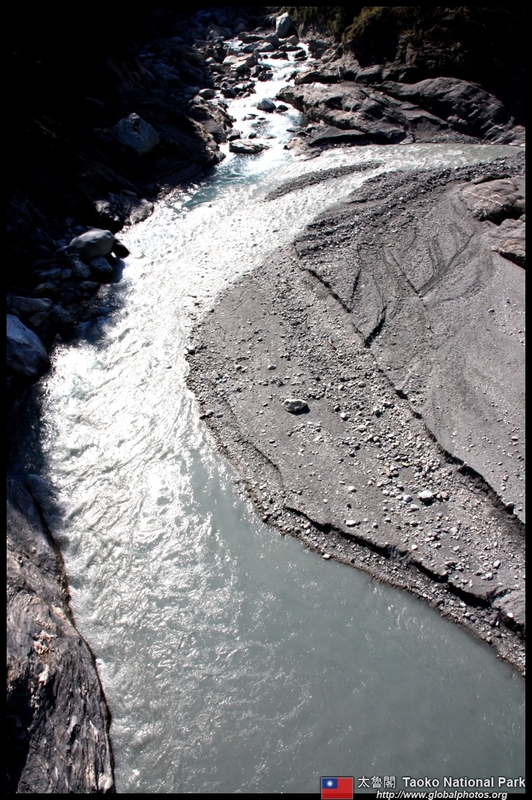 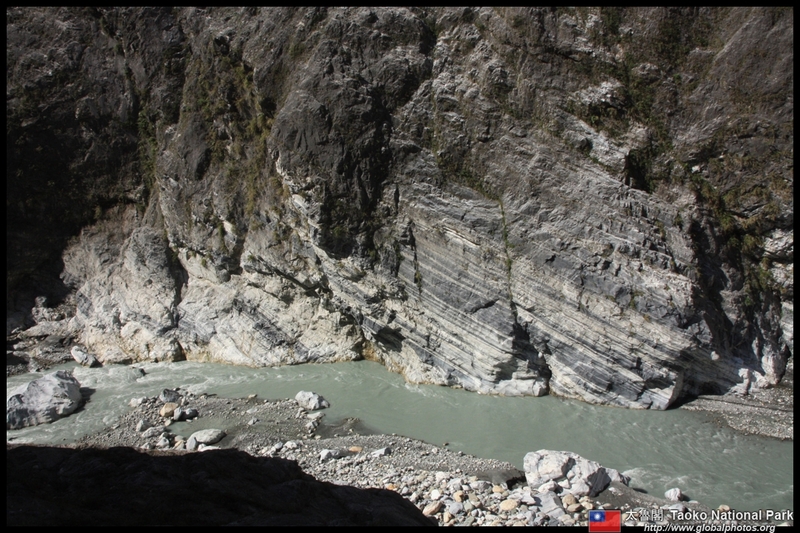 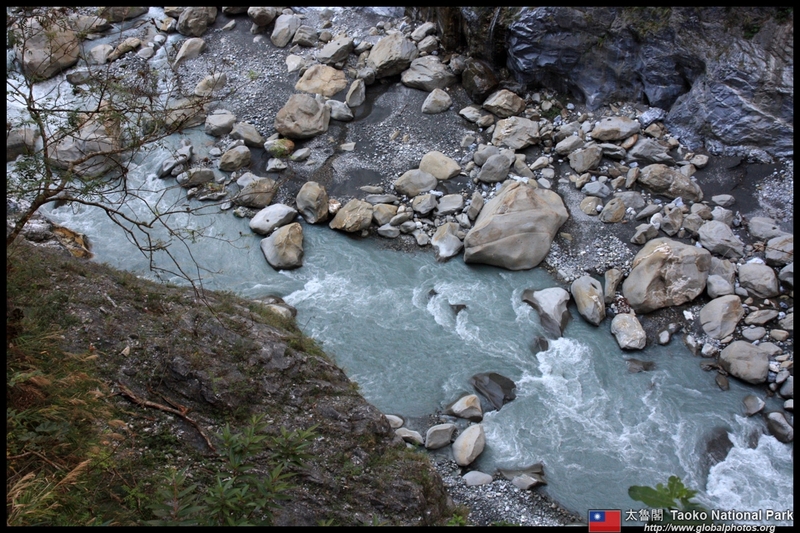 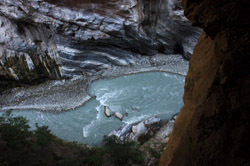 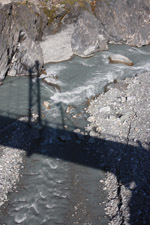 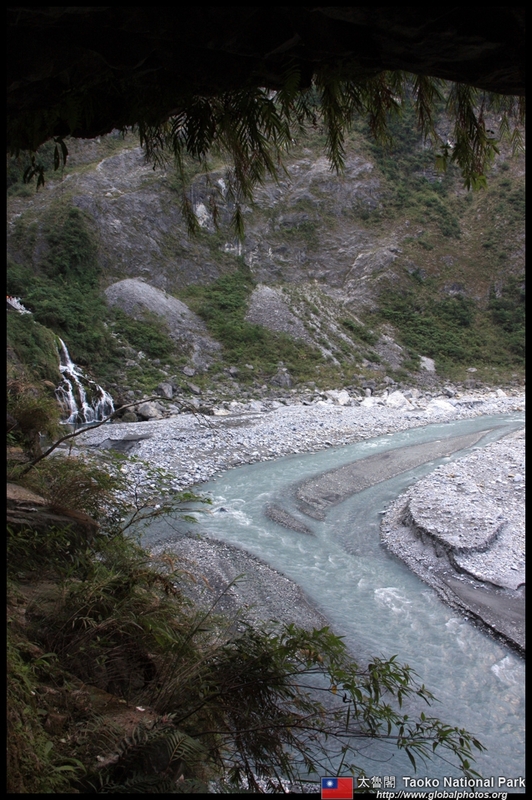 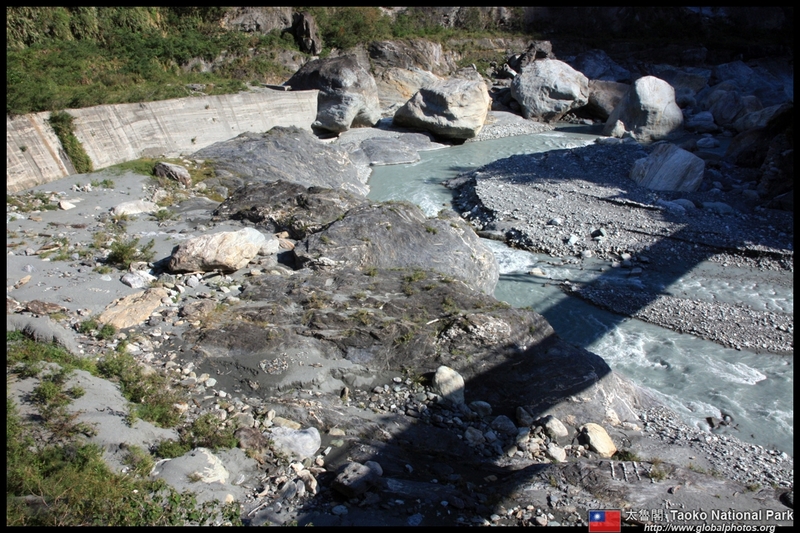 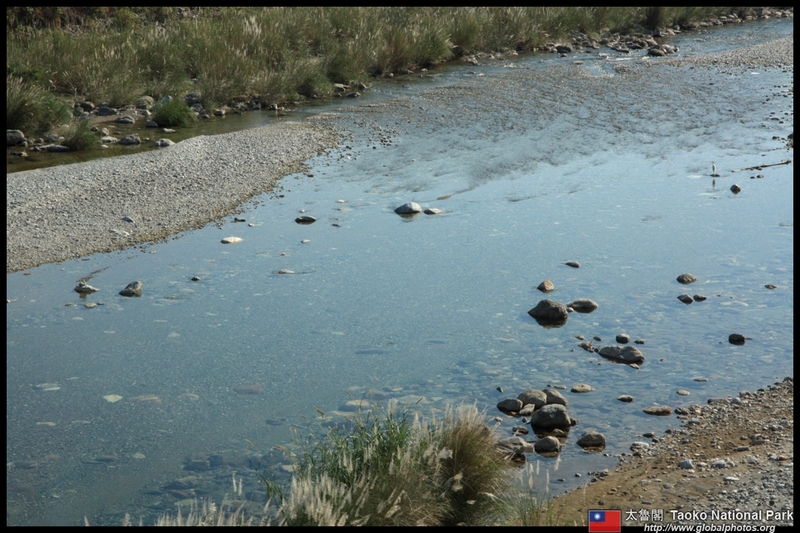 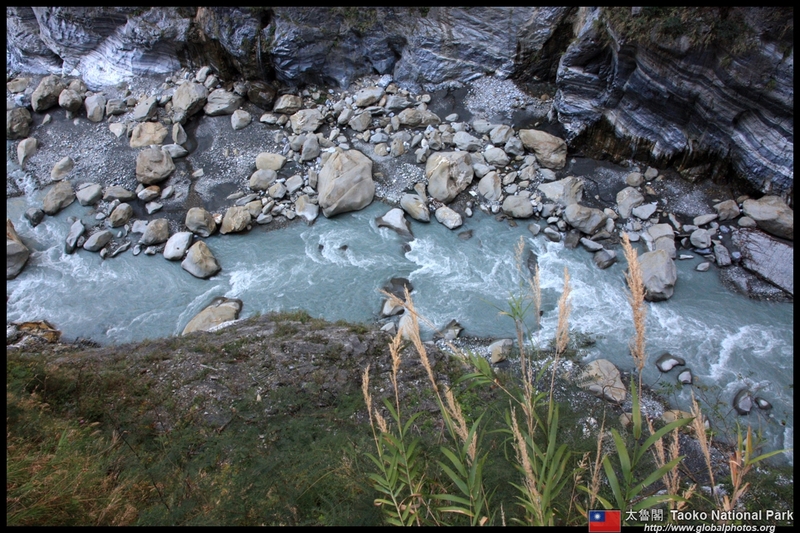 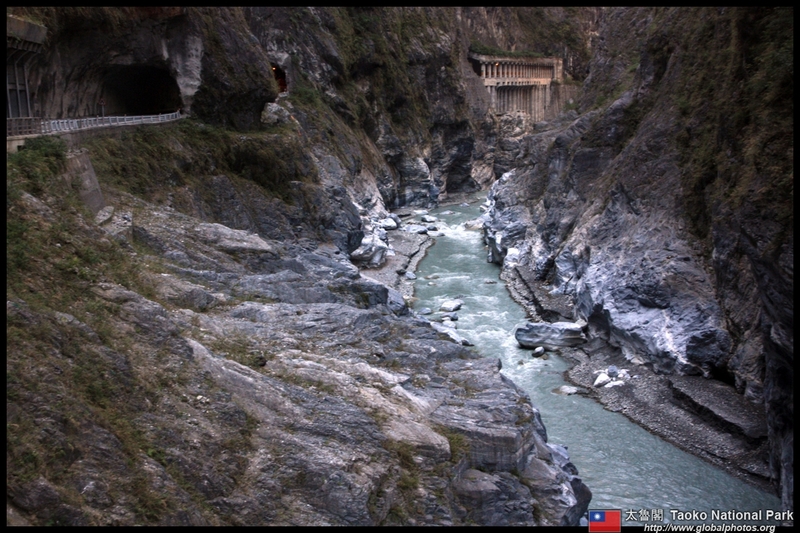 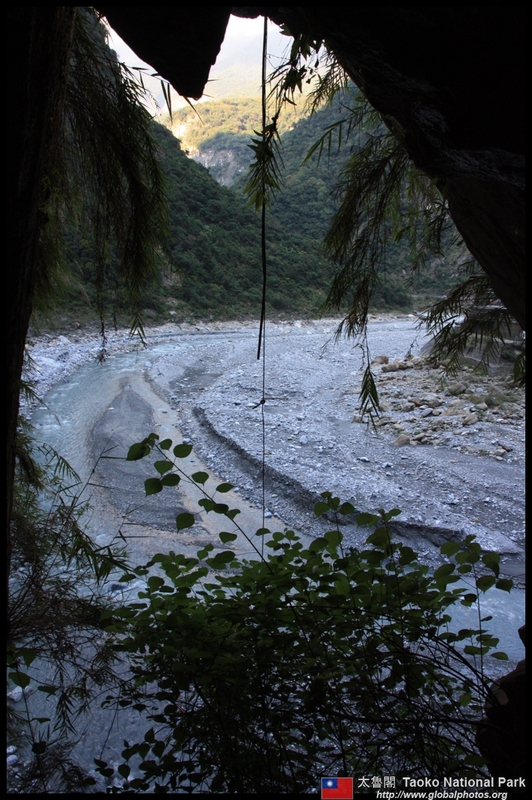 My western-most stop would be Tianxiang, where the Dasha and Taci Jili Rivers converge. 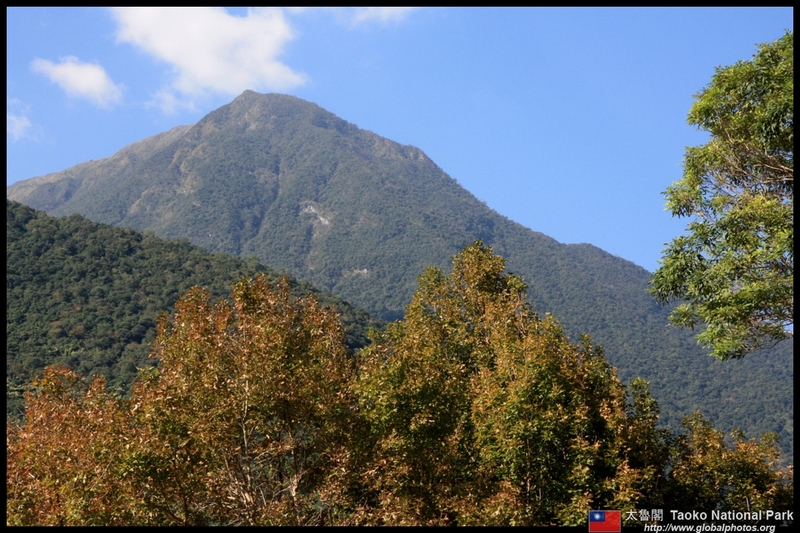 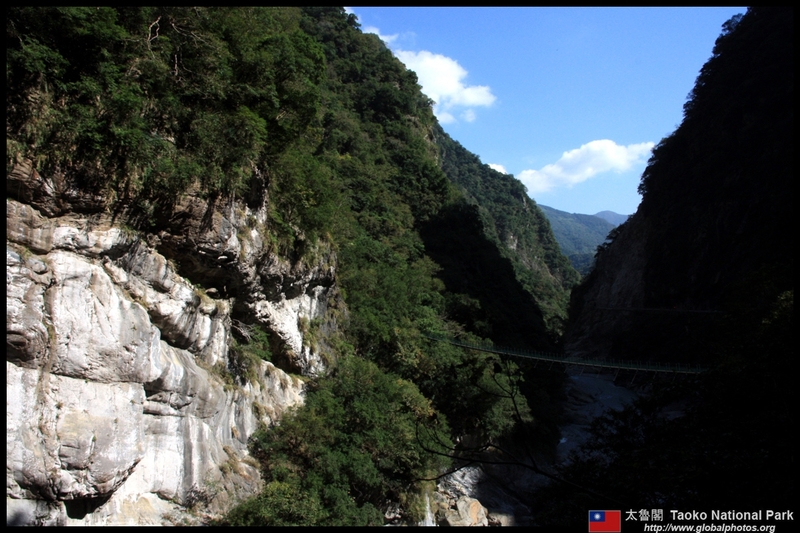 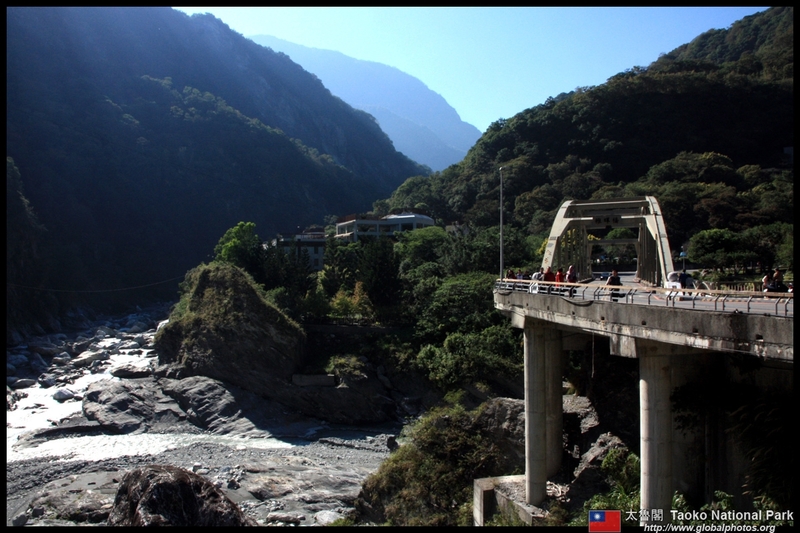 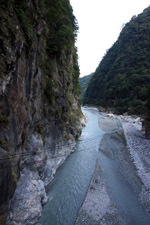 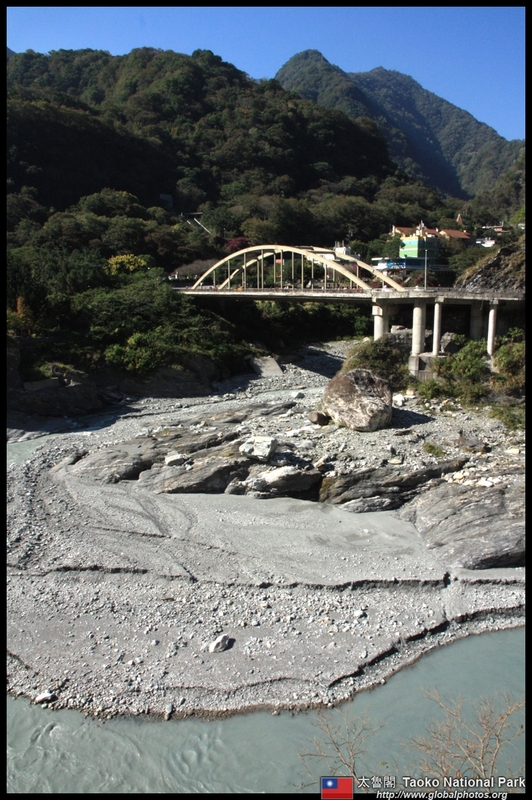 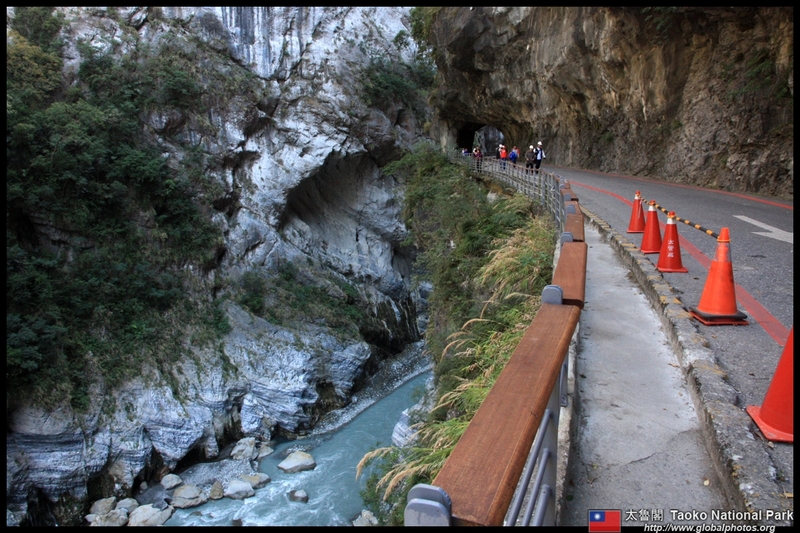 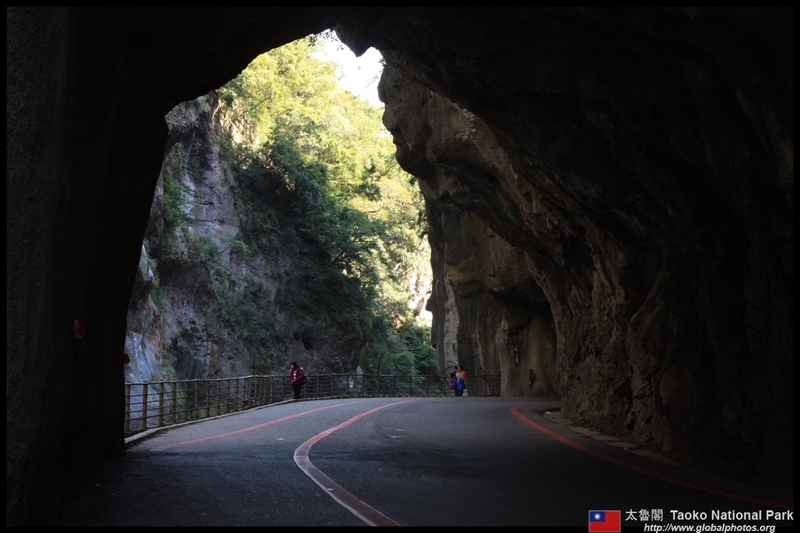 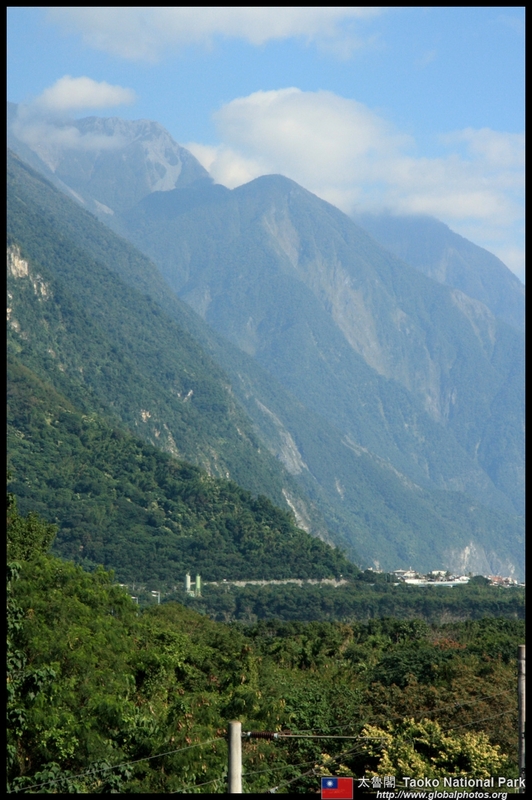 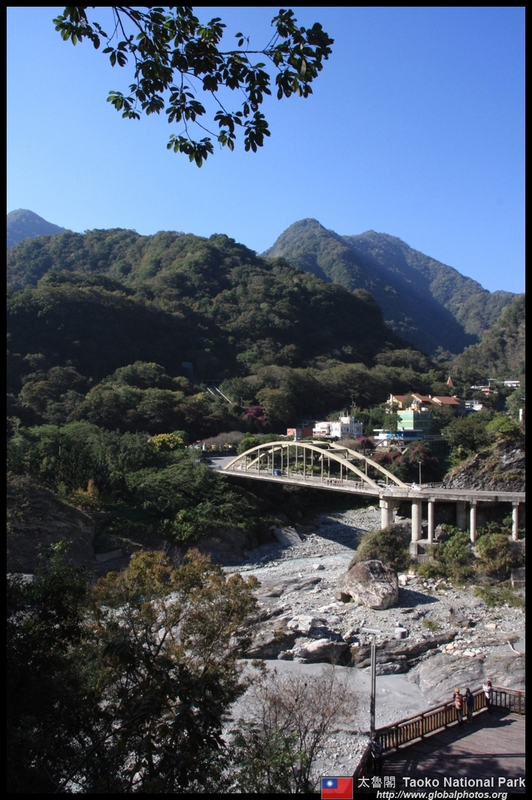 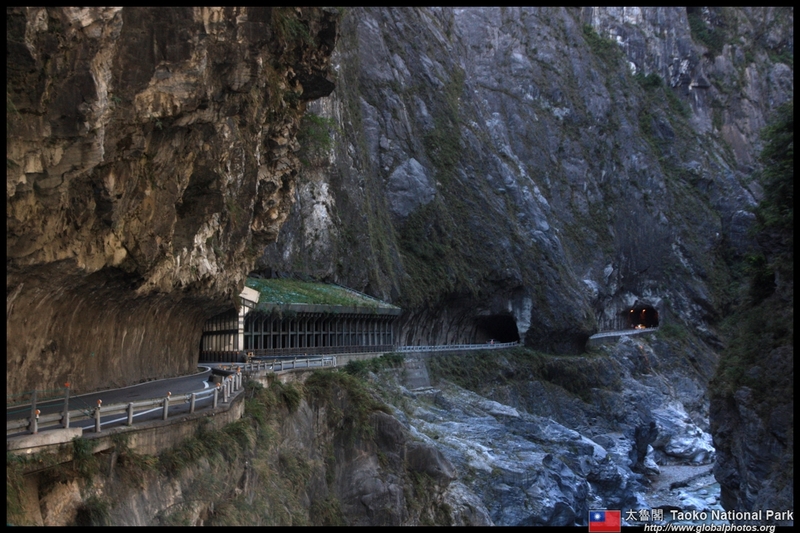 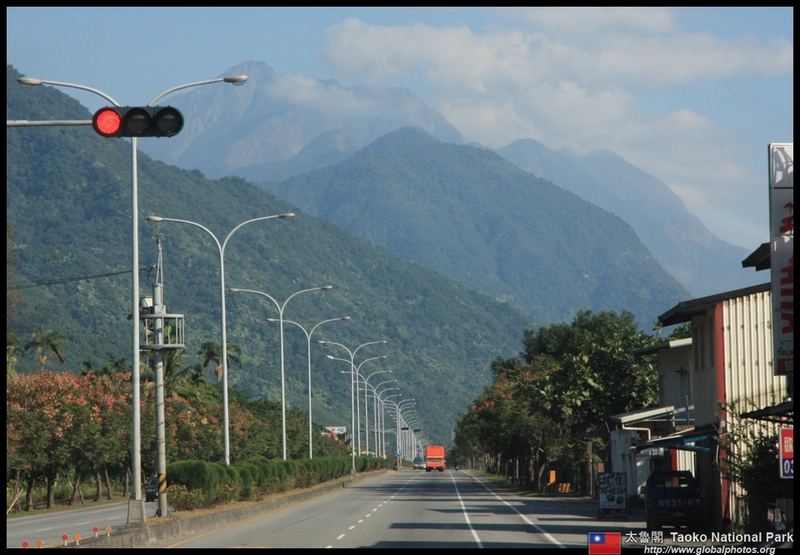 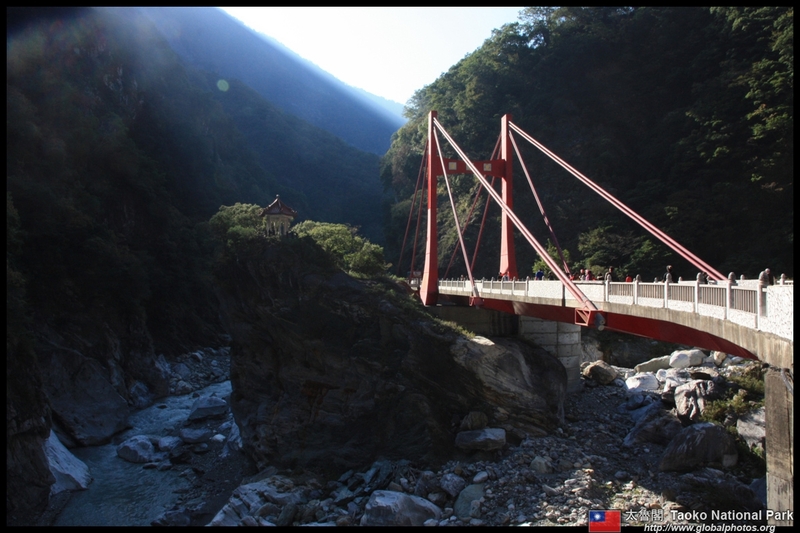 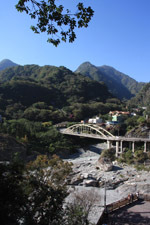 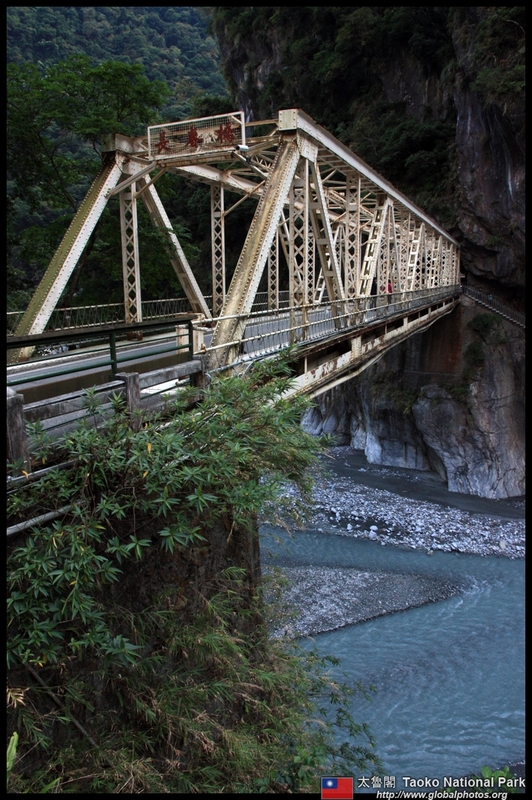 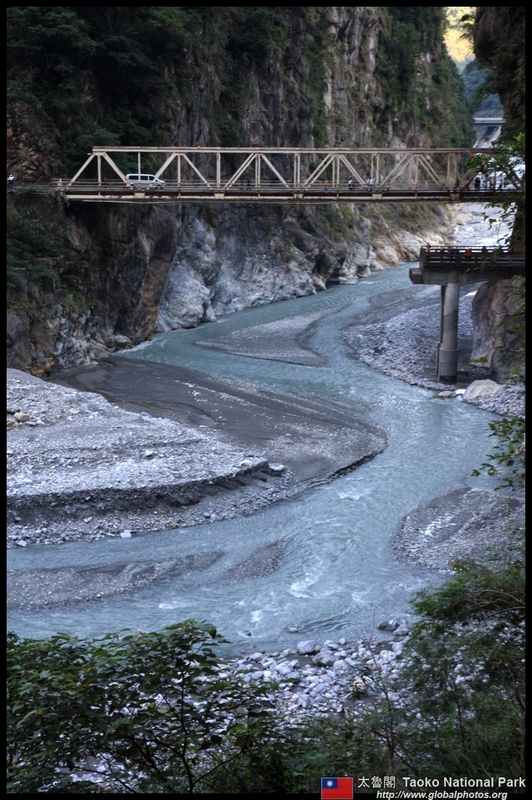 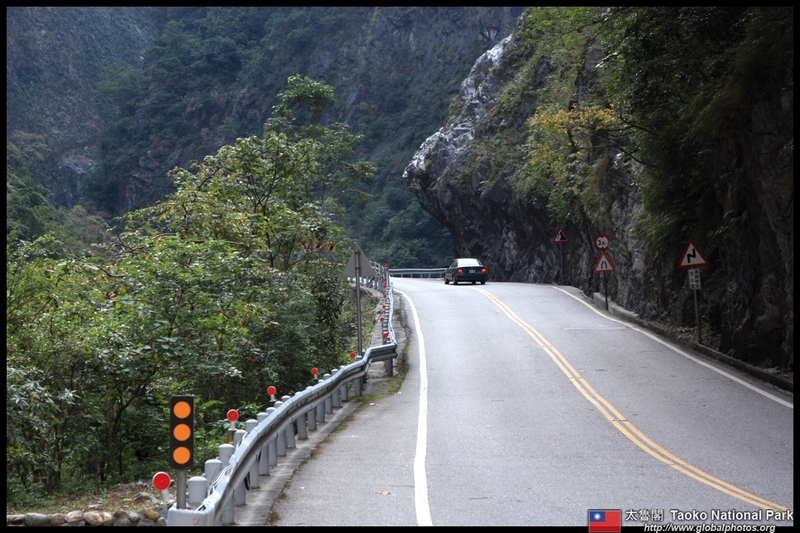 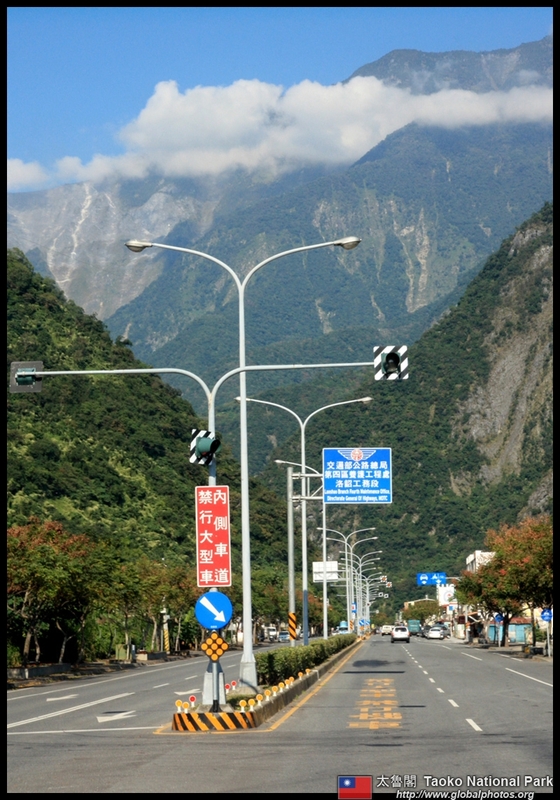 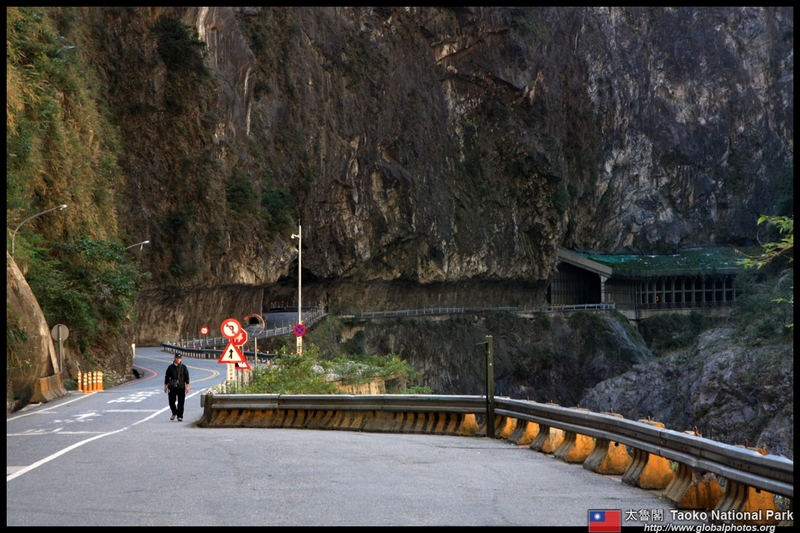 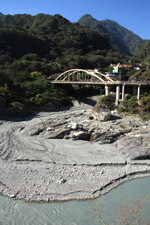 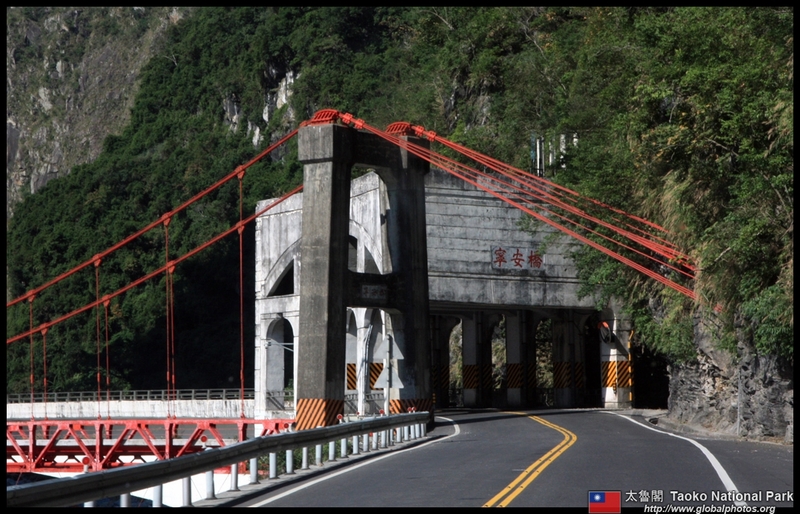 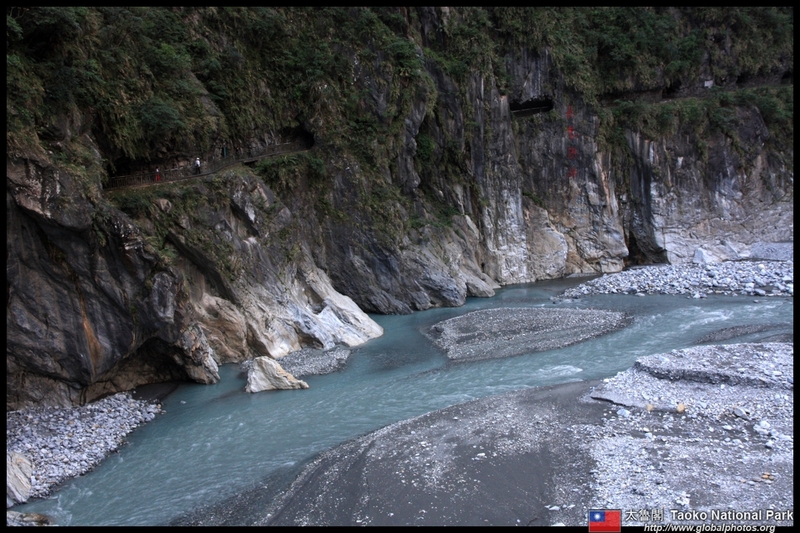 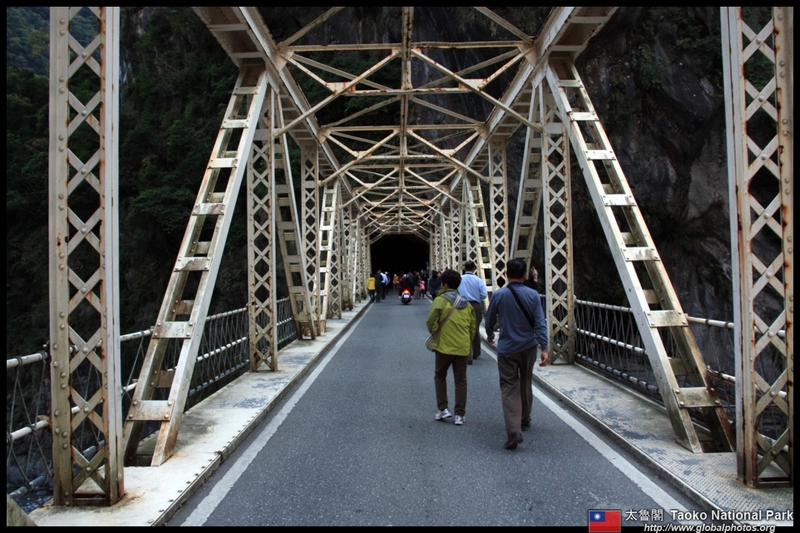 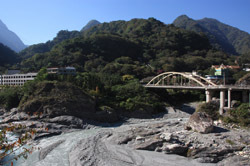 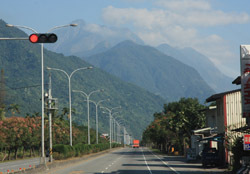 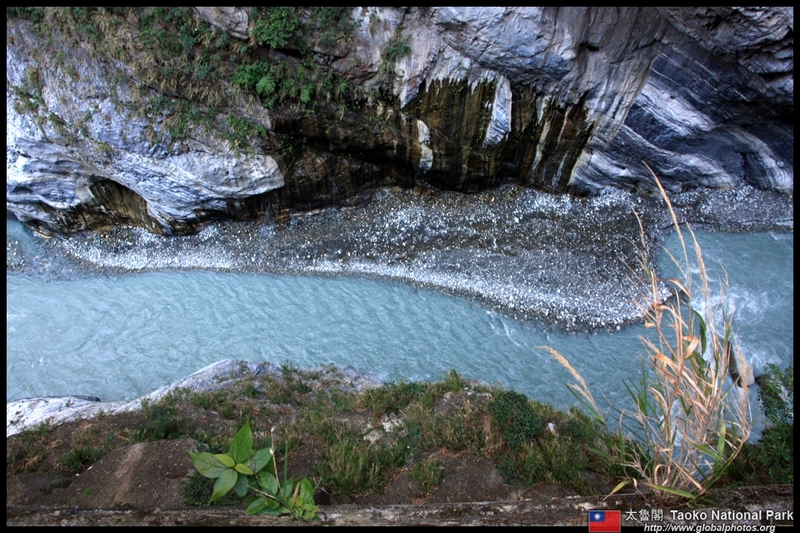 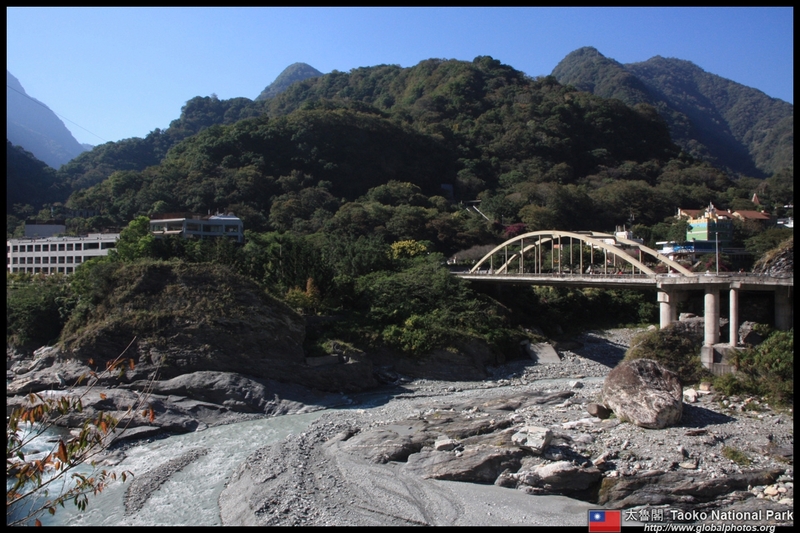 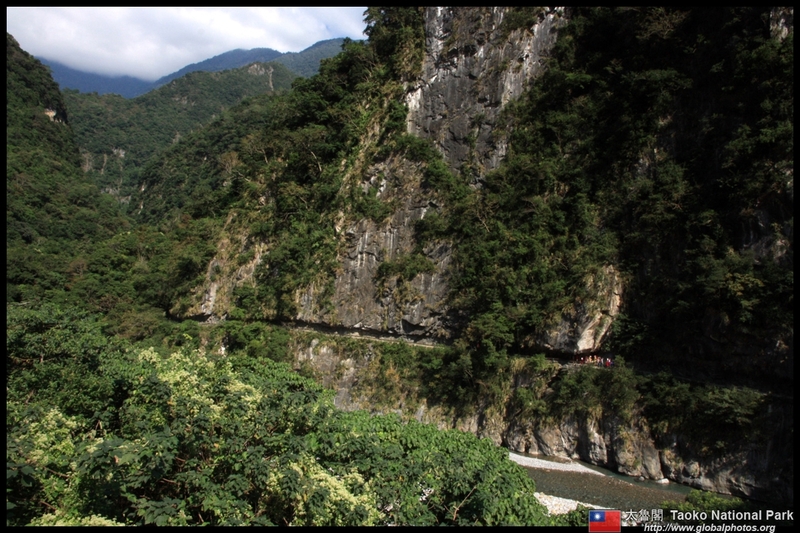 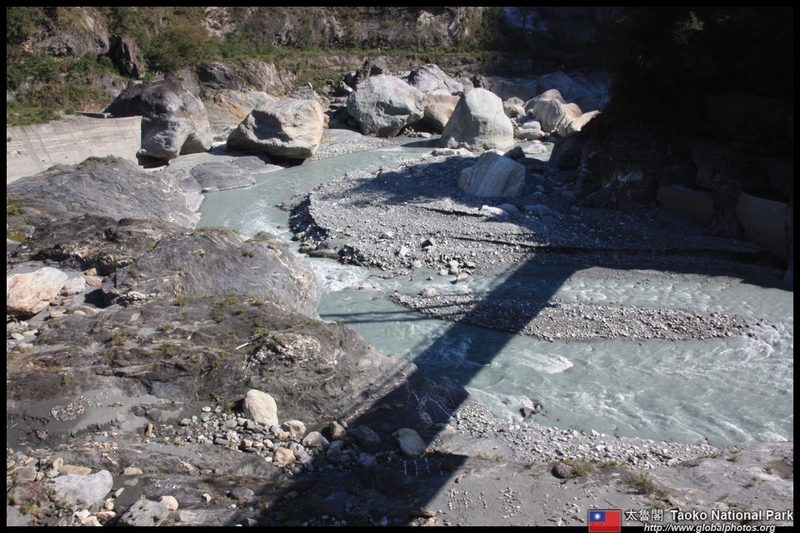 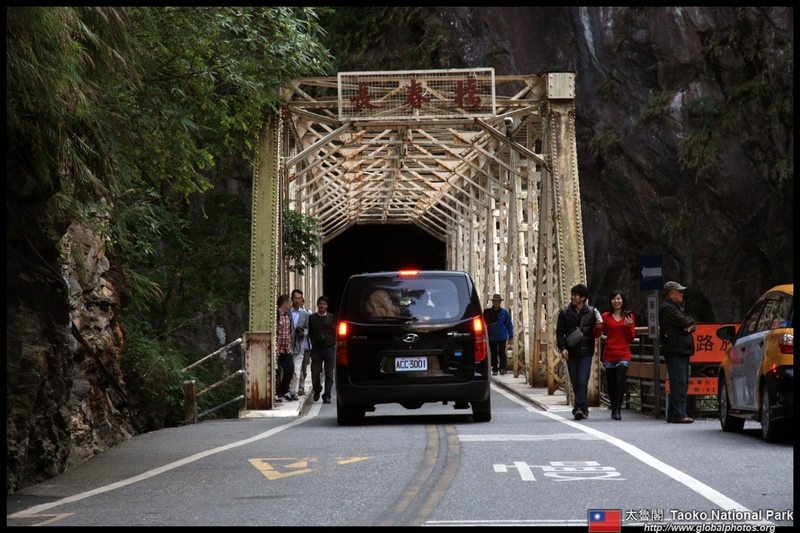 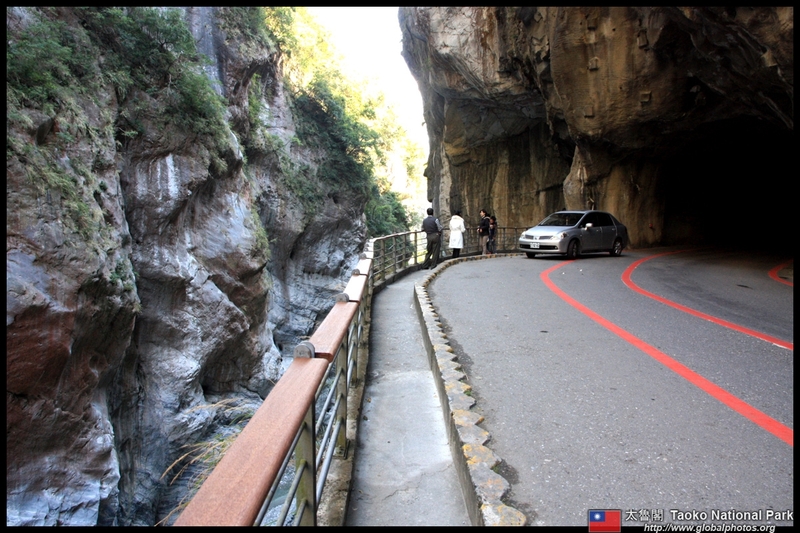 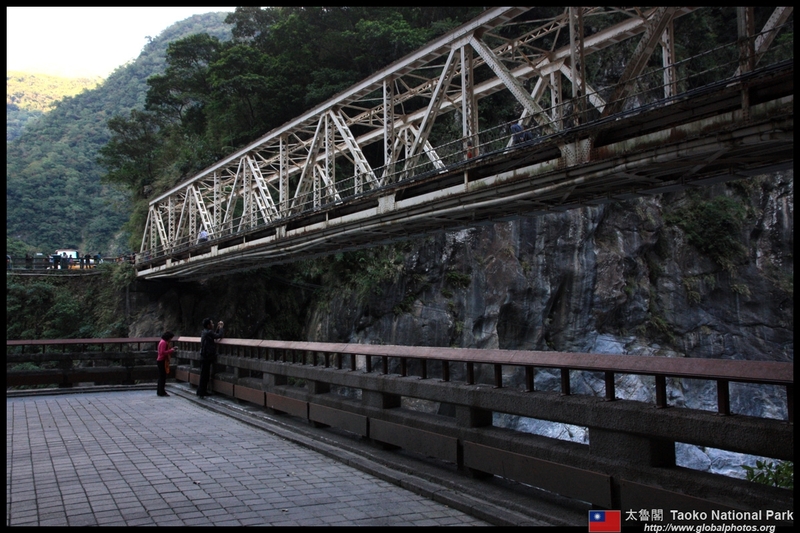 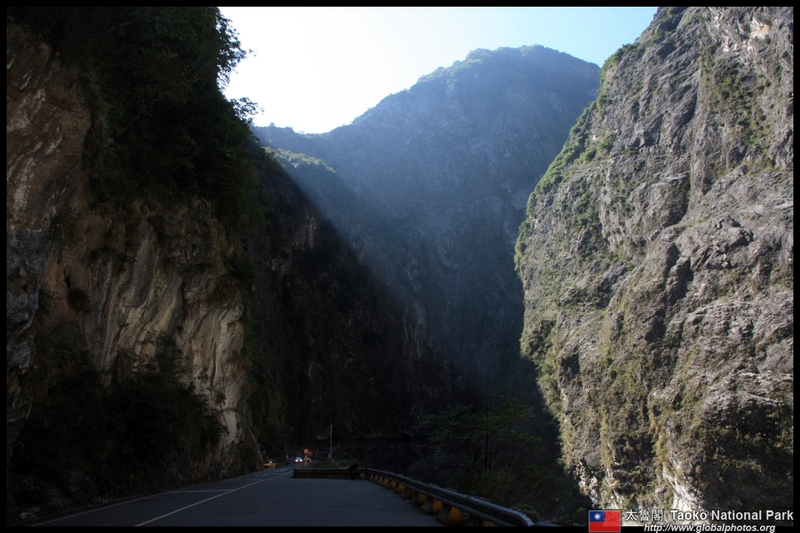 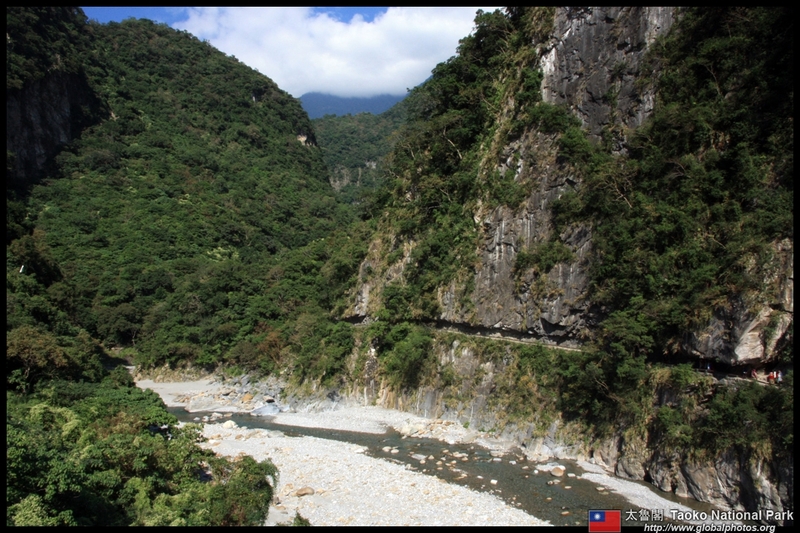 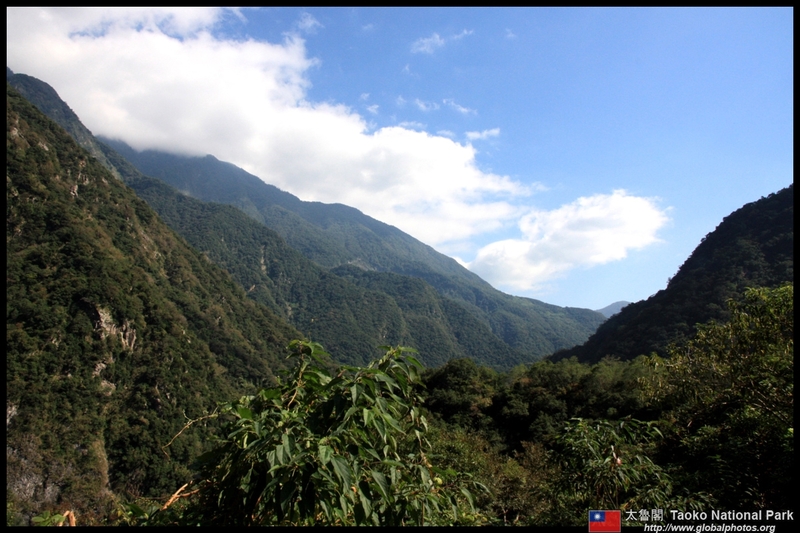 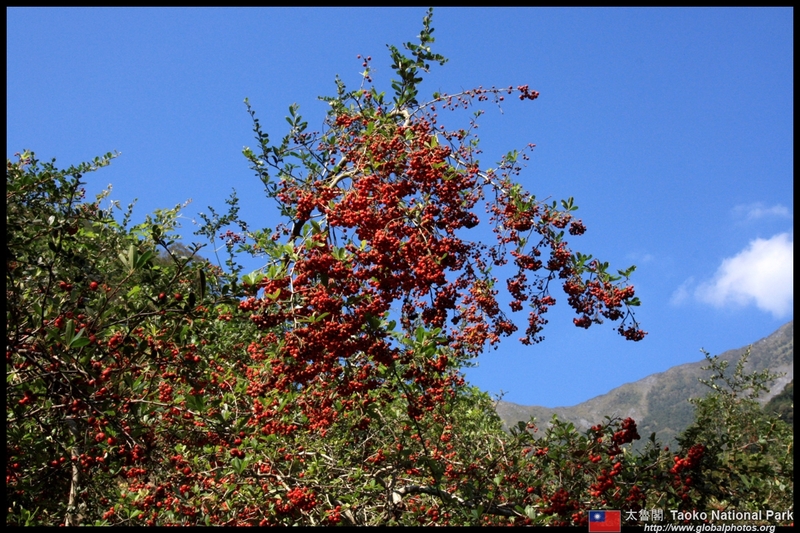 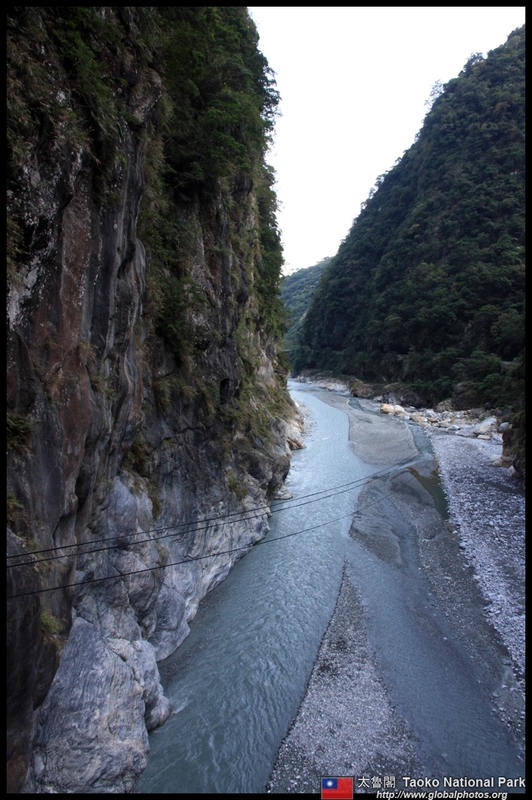 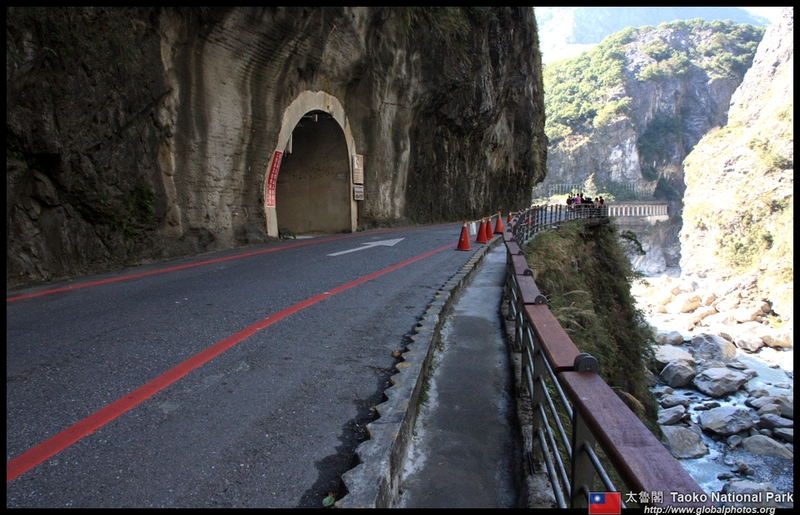 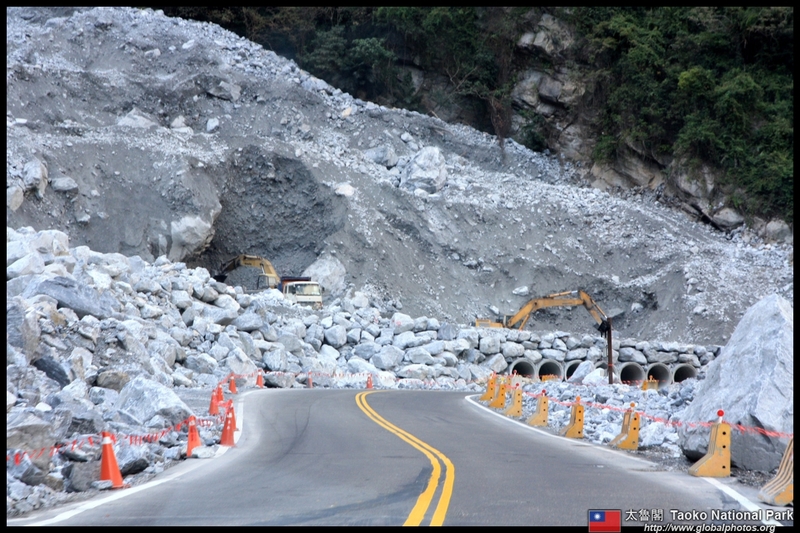 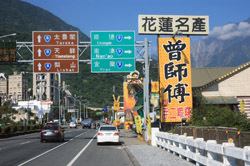 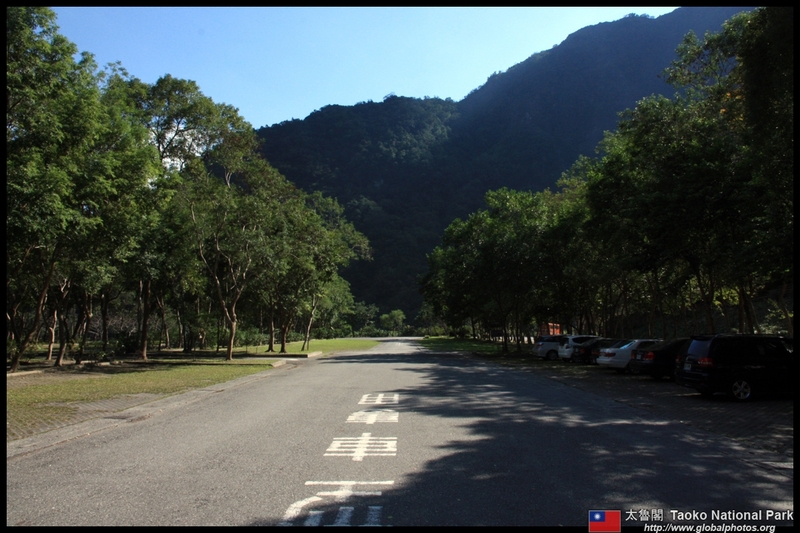 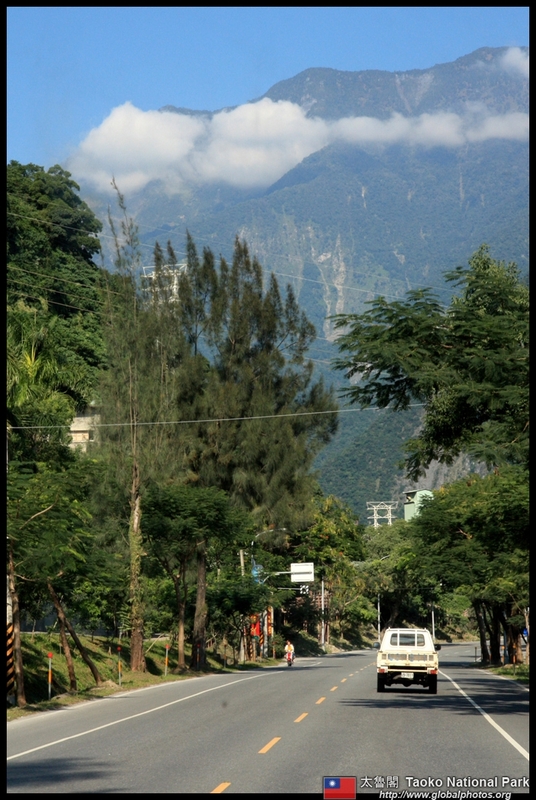 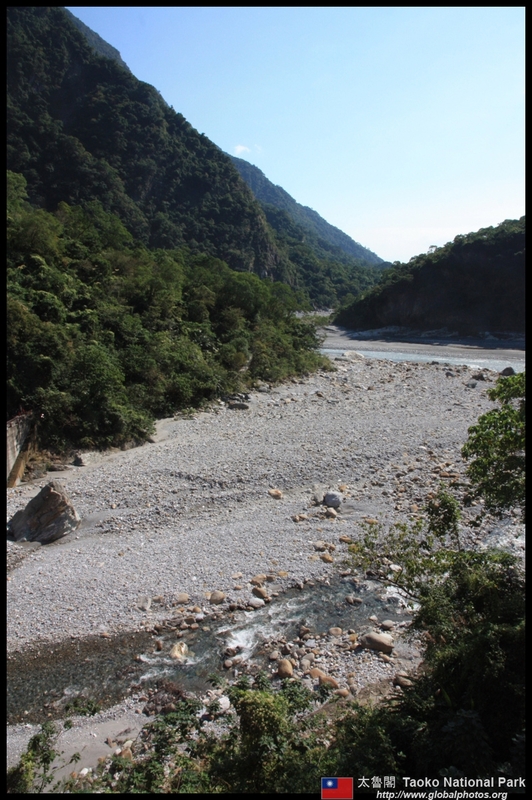 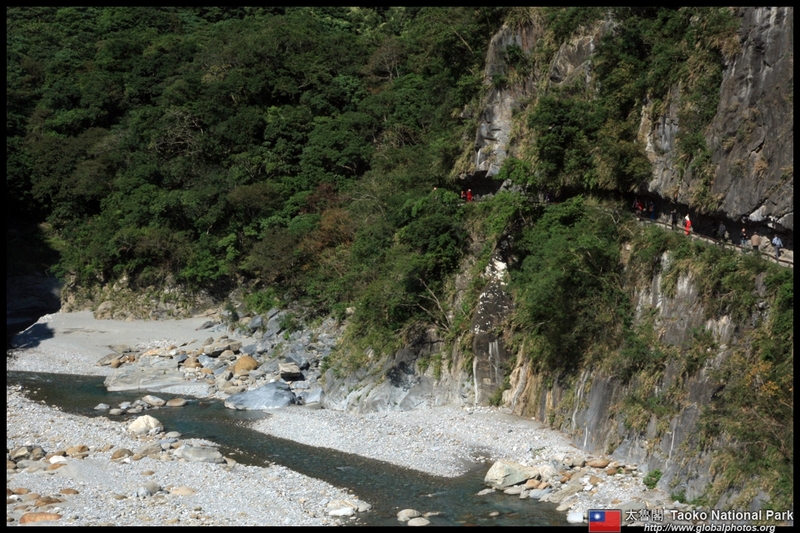 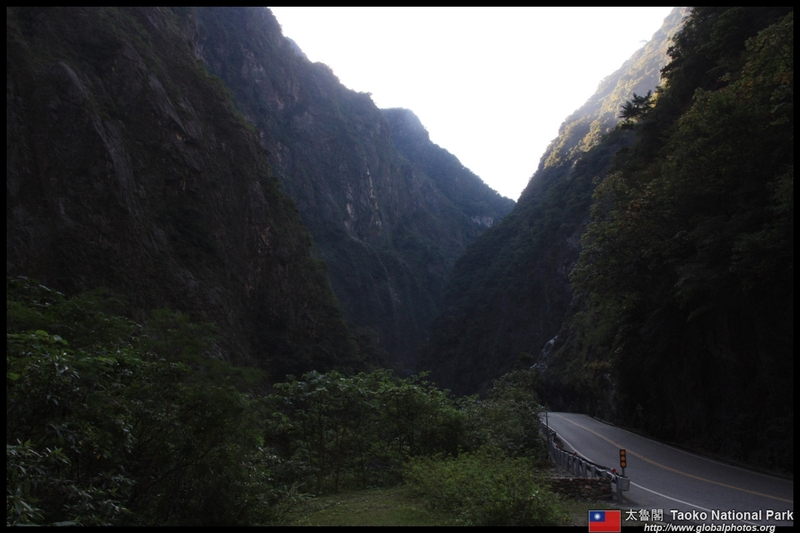 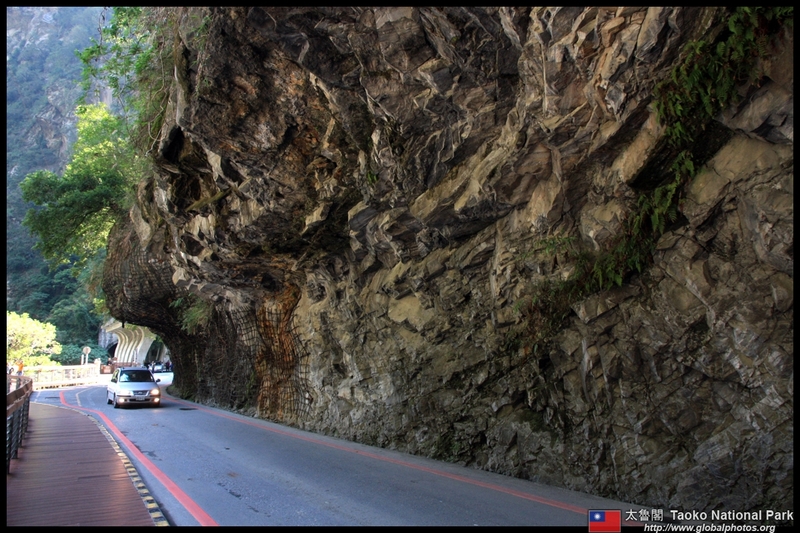 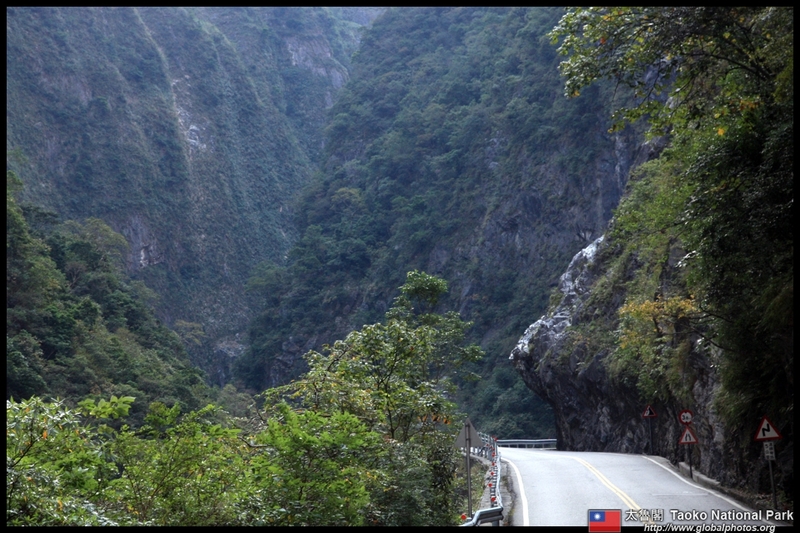 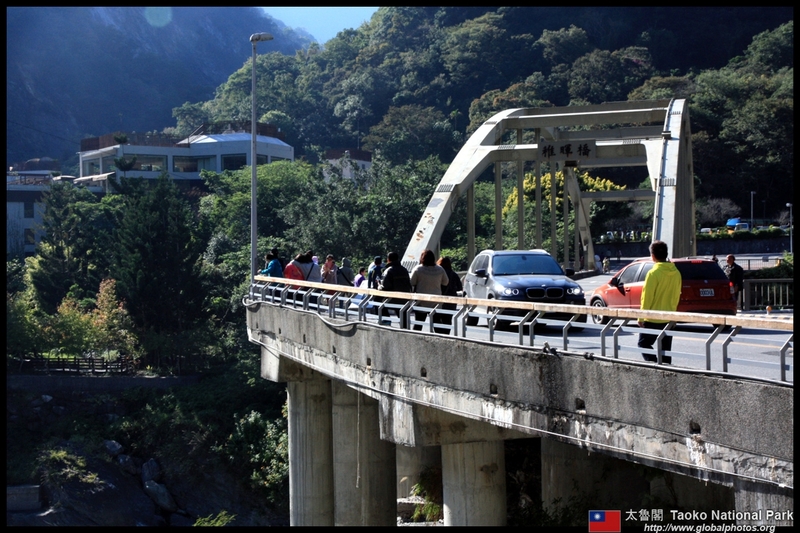 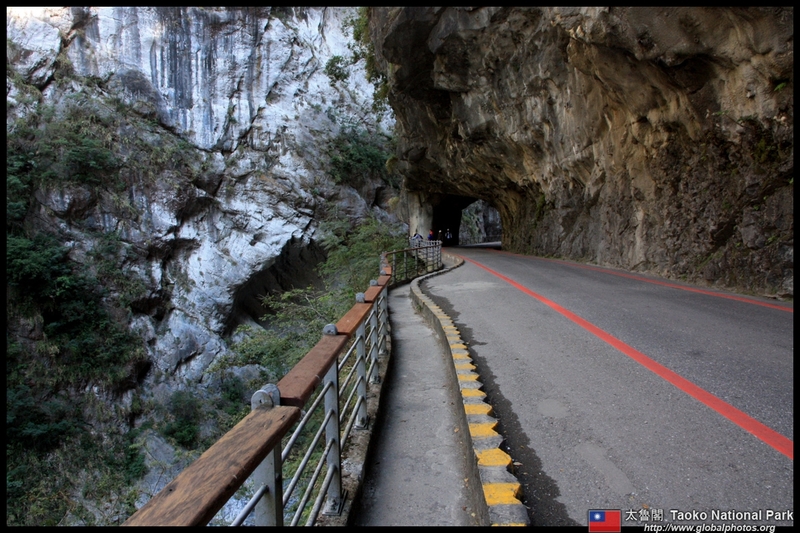 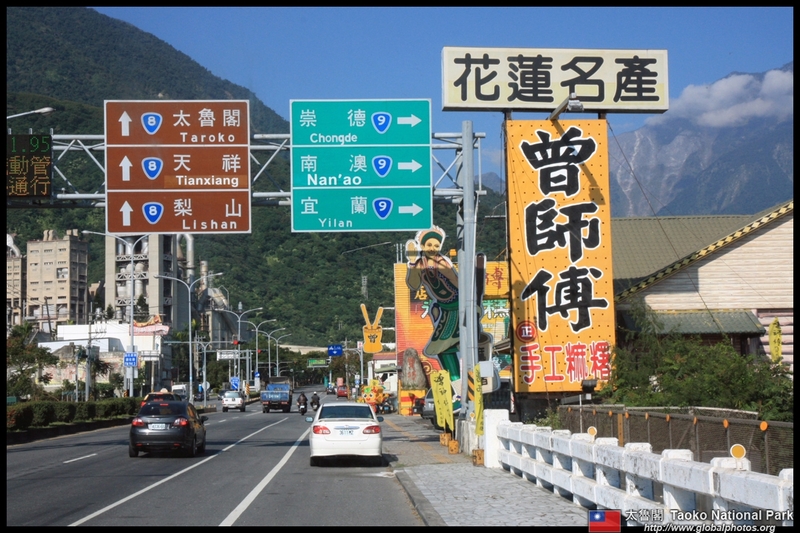 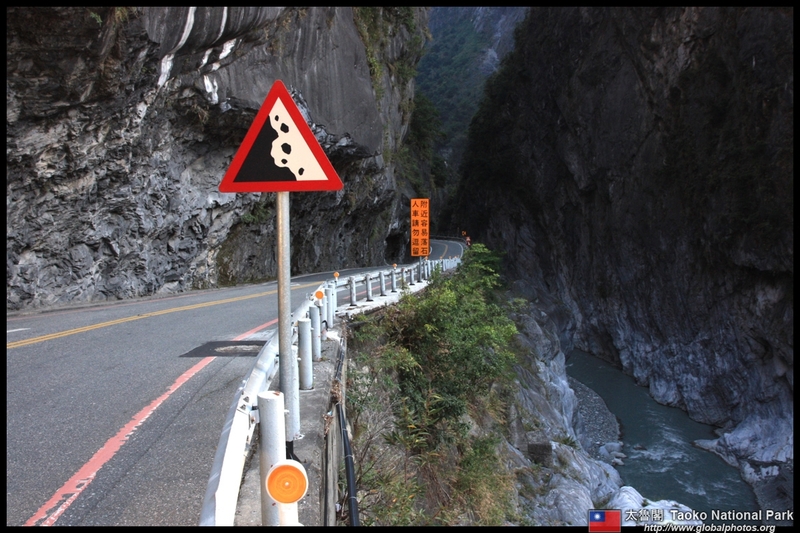 It takes a full day to drive up to this stretch and then head back towards Hualien. 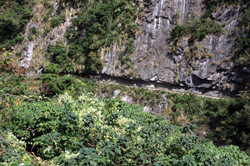 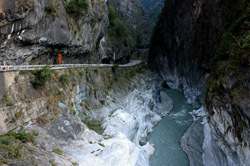 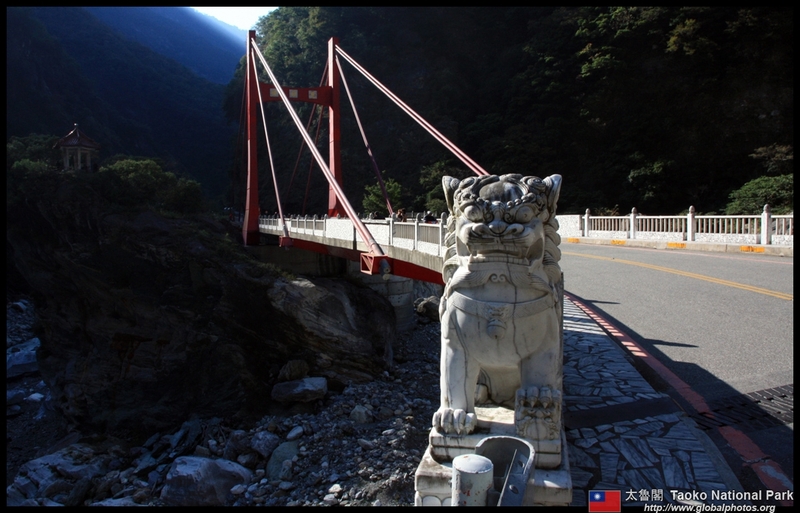 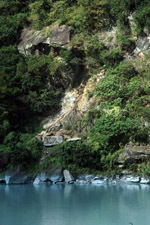 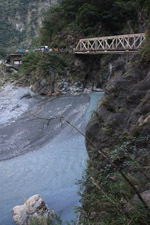 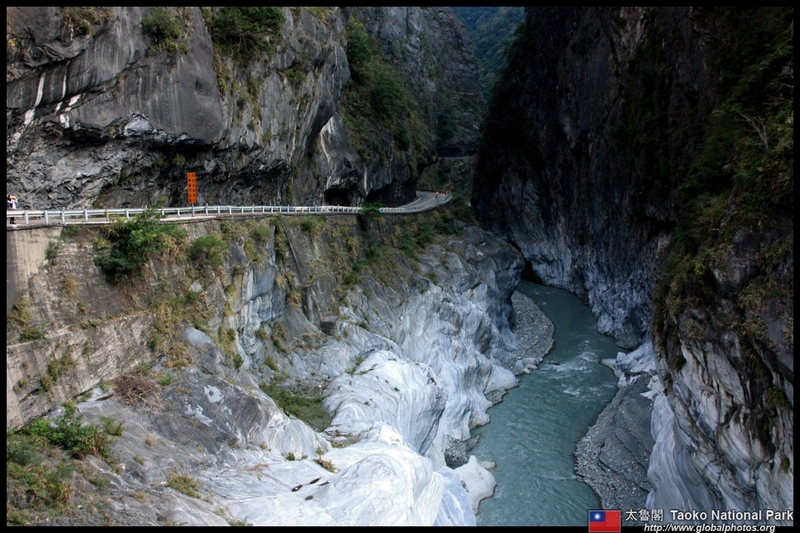 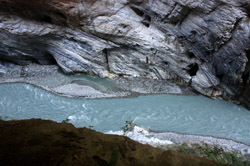 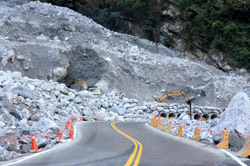 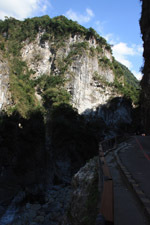 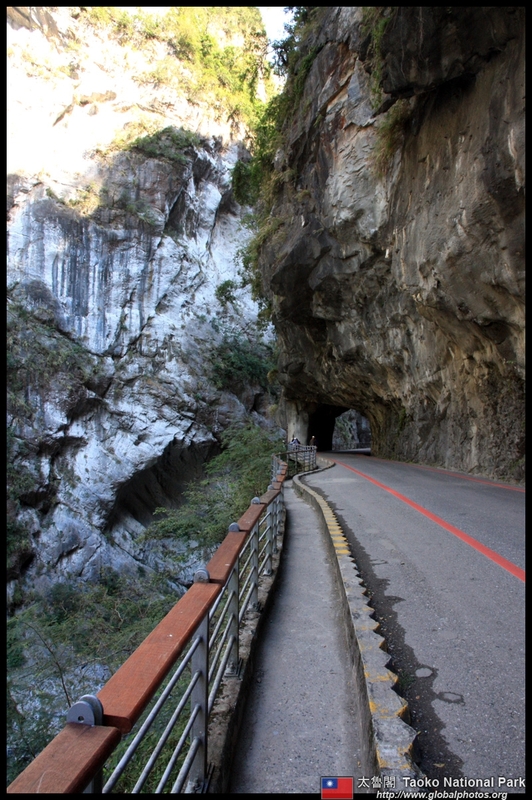 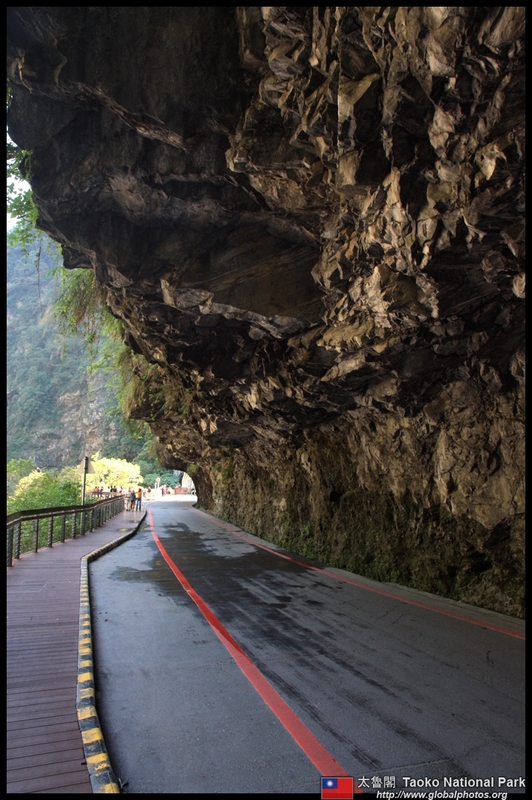 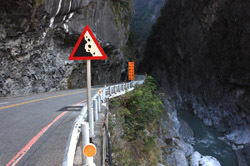 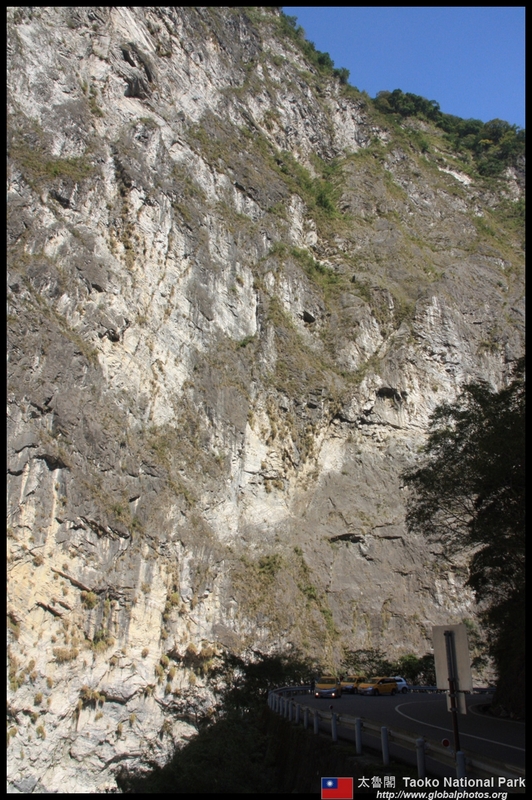 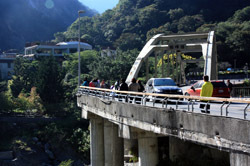 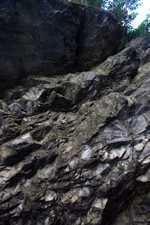 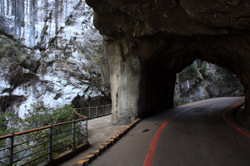 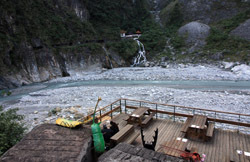 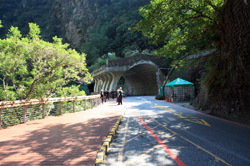 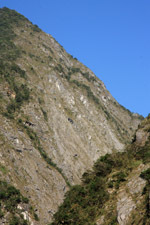 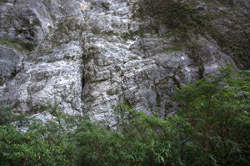 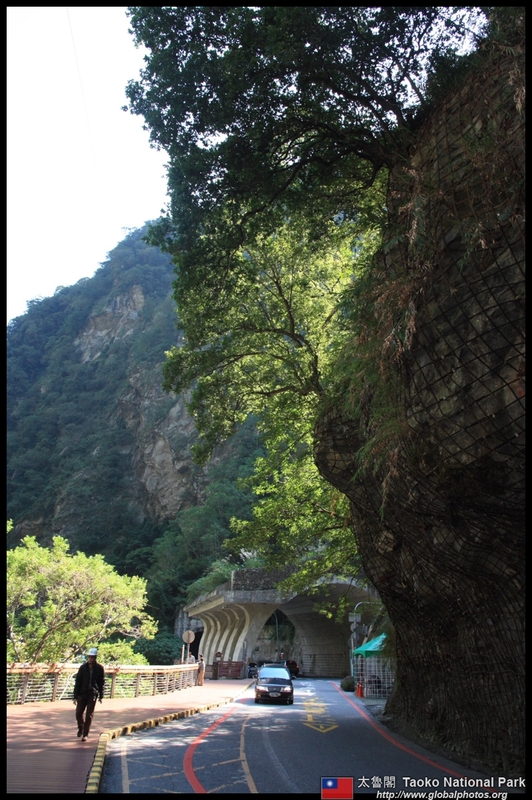 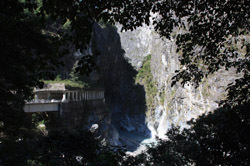 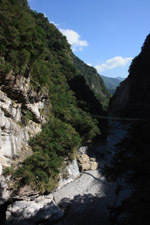 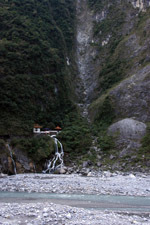 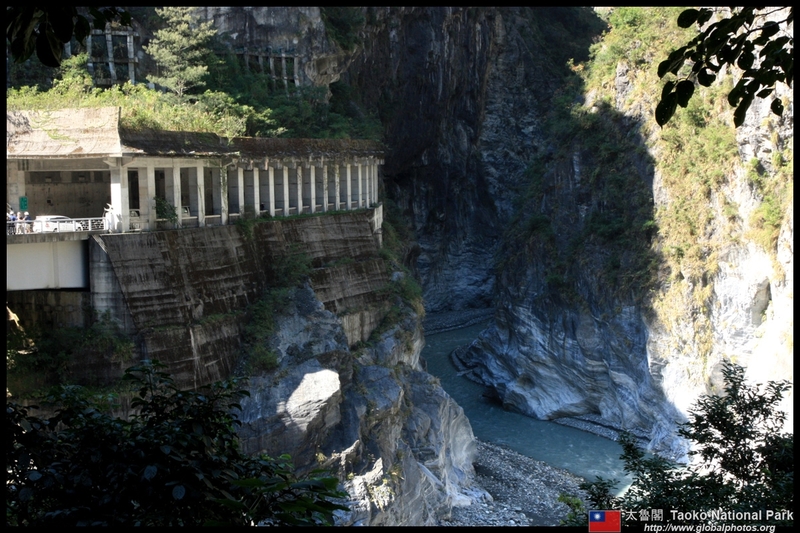 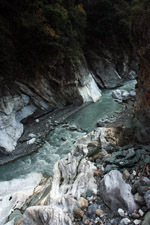 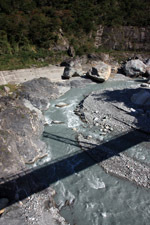 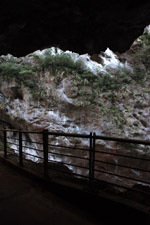 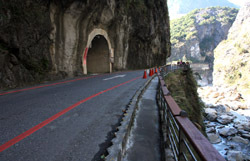 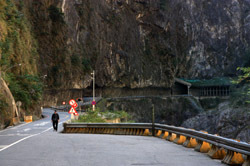 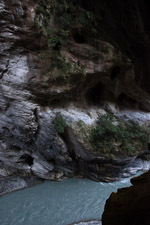 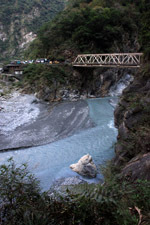 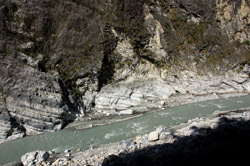 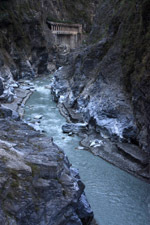 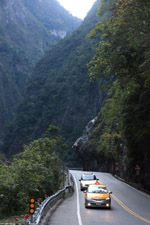 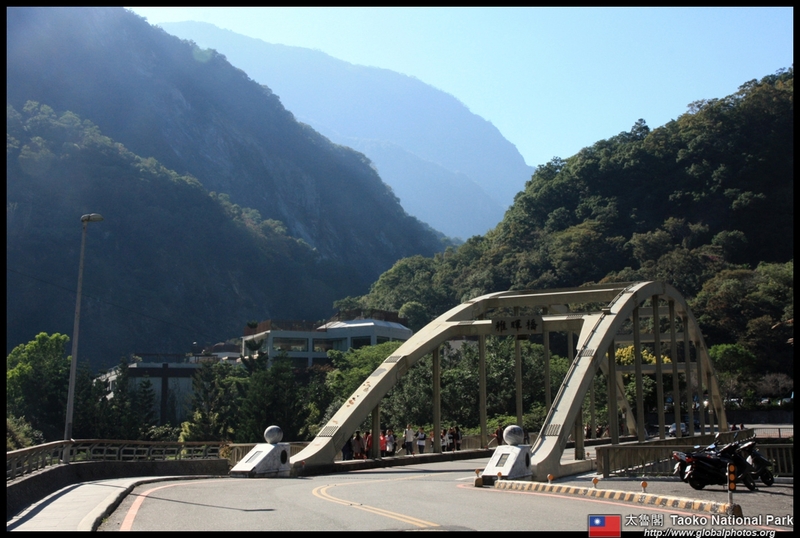 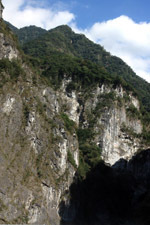 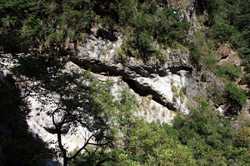 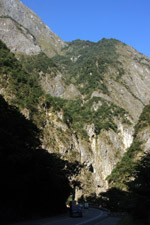 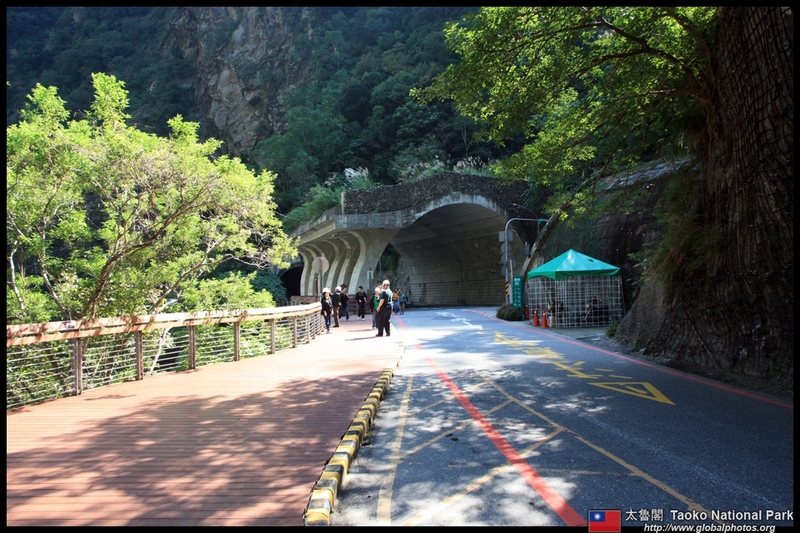 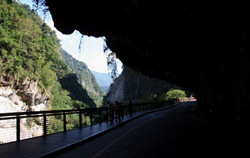 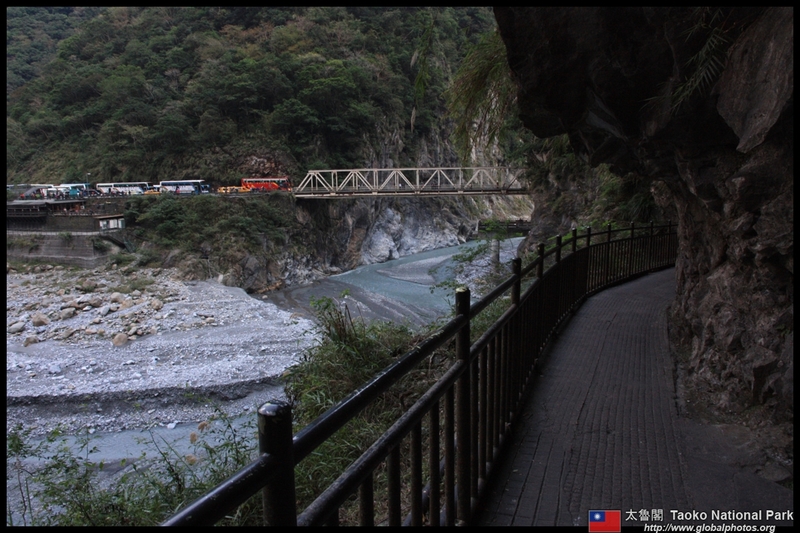 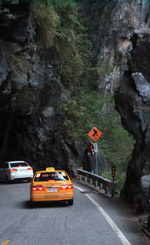 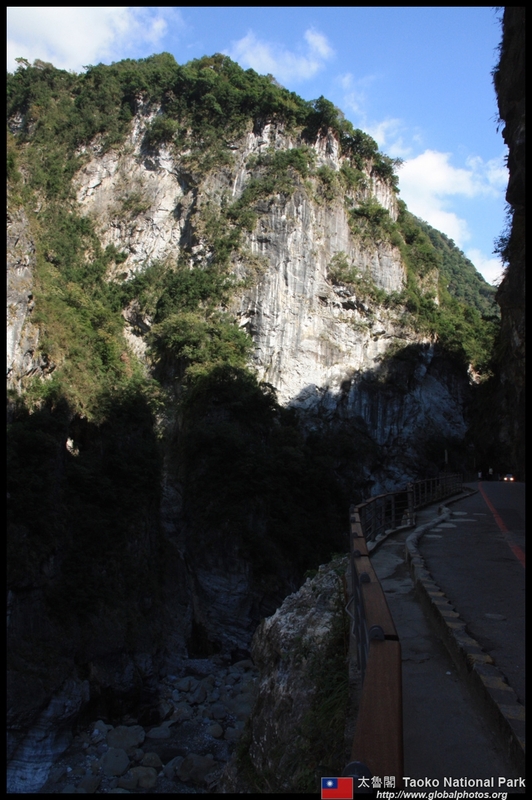 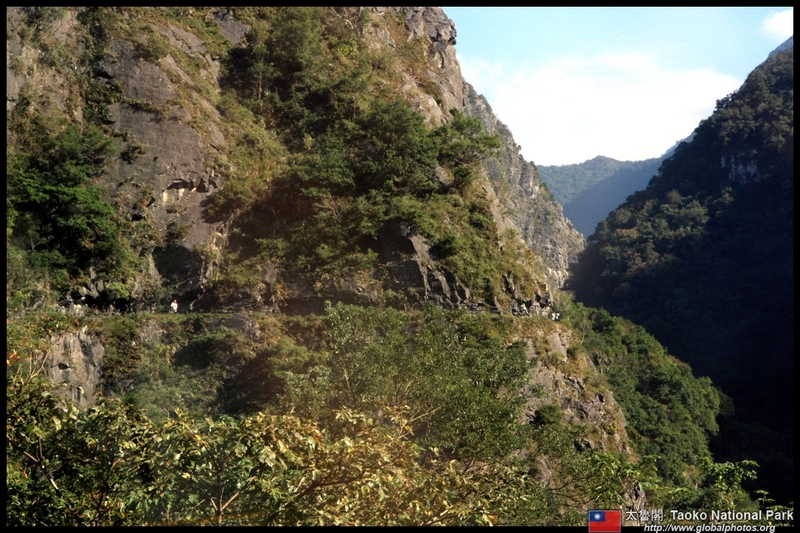 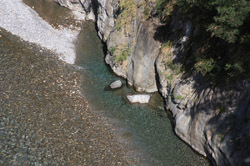 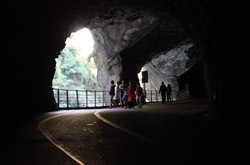 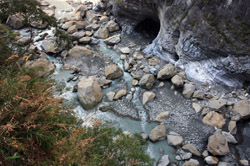 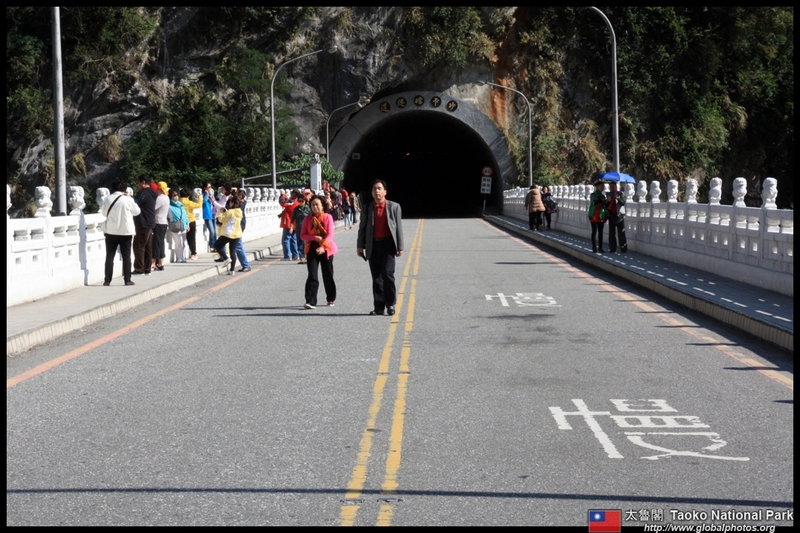 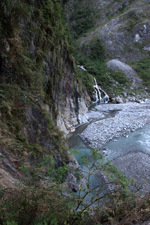 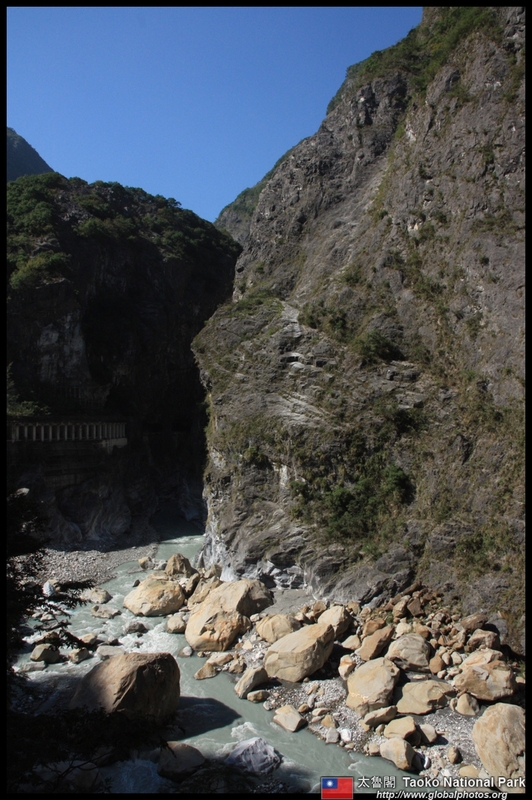 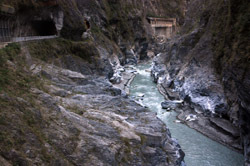 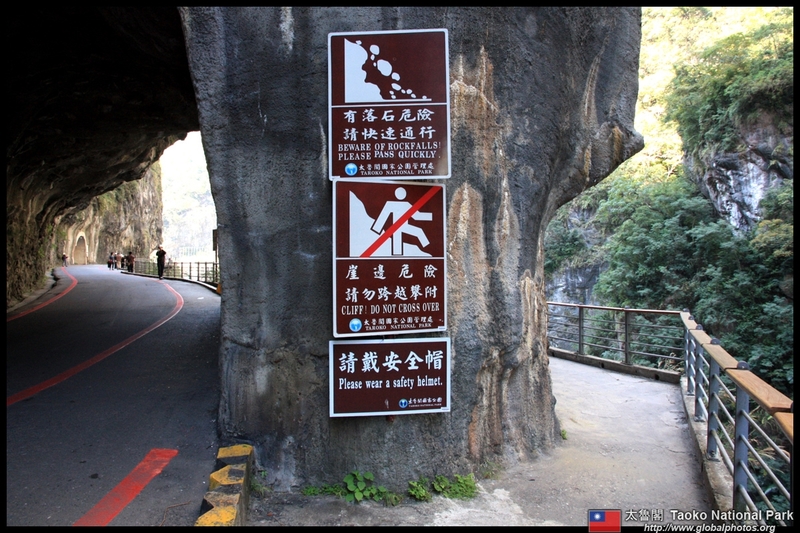 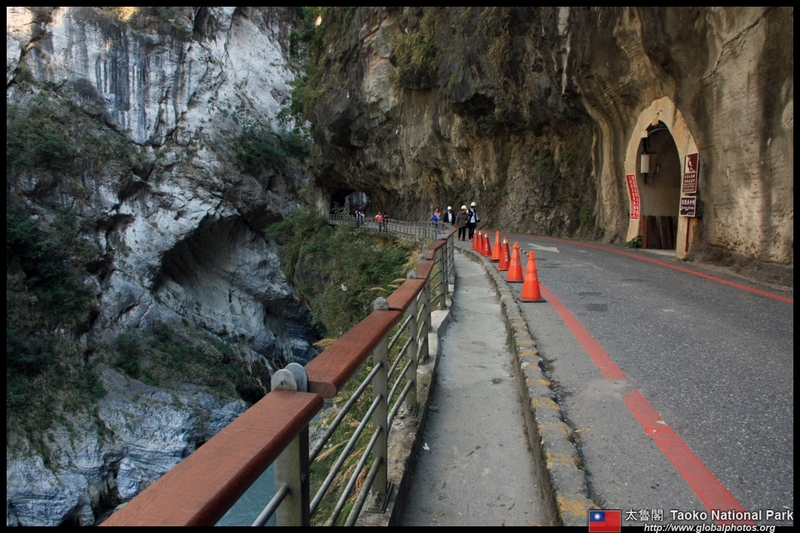 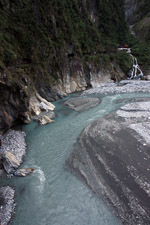 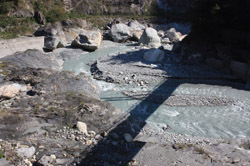 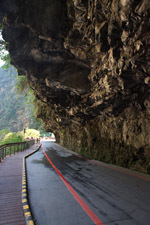 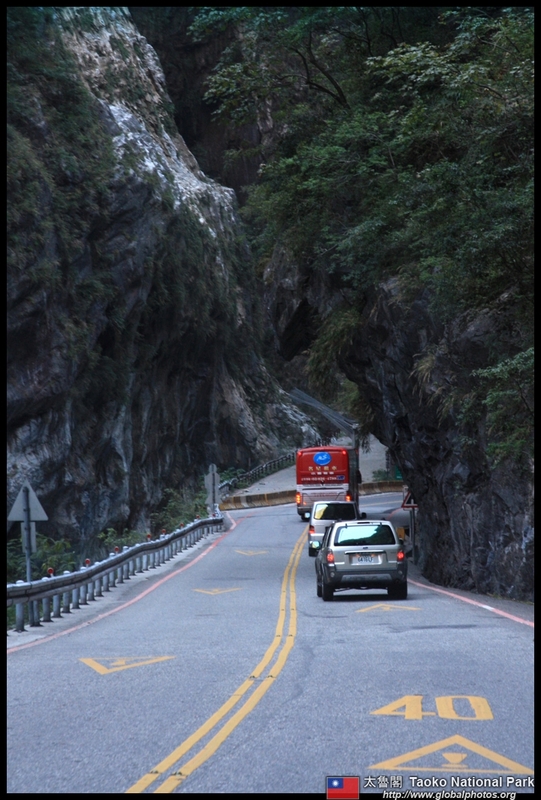 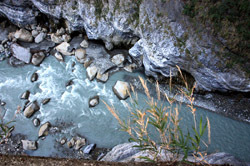 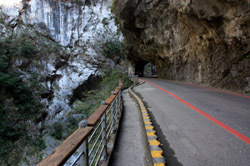 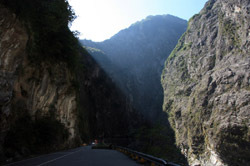 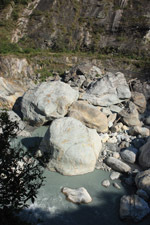 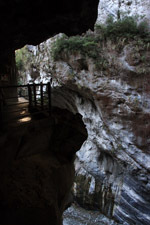 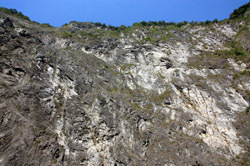 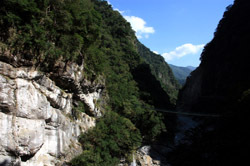 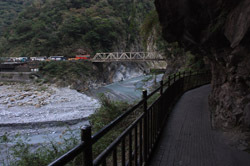 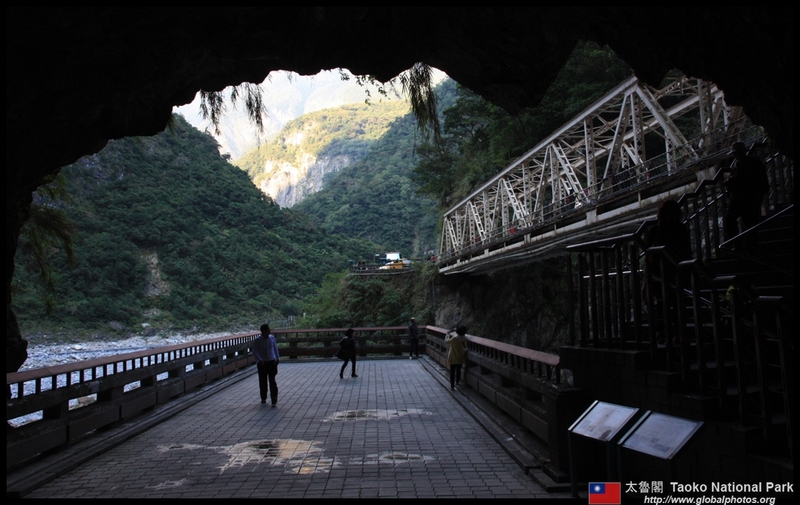 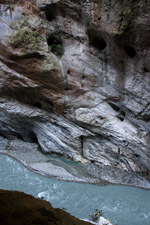 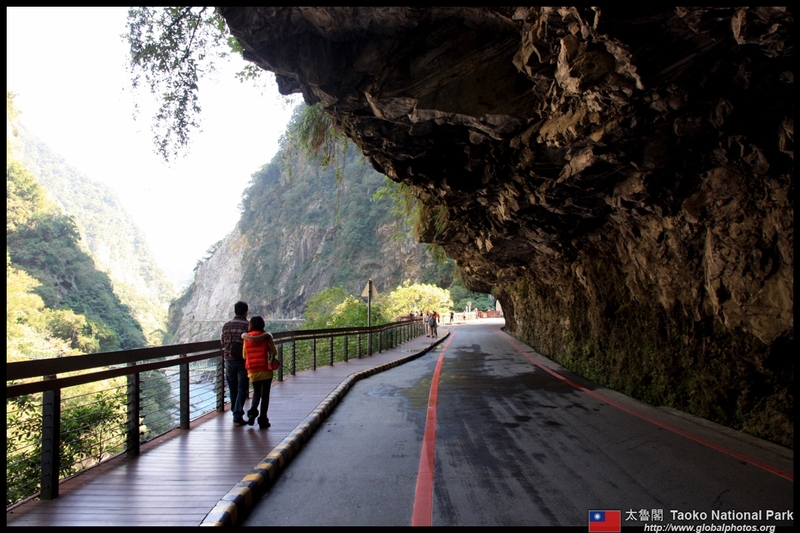 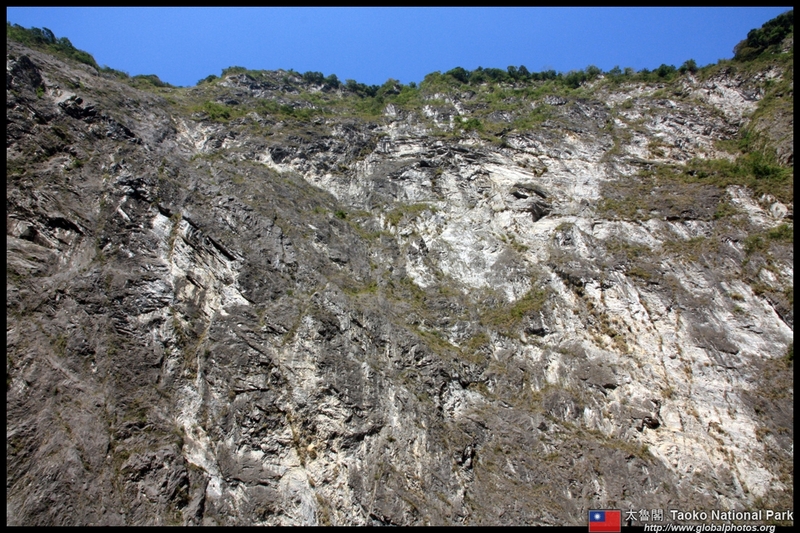 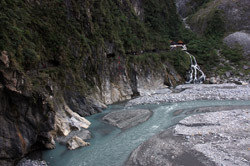 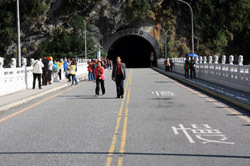 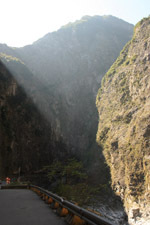 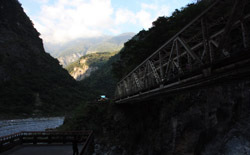 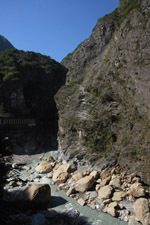 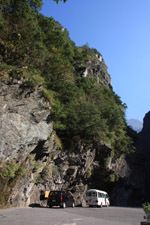 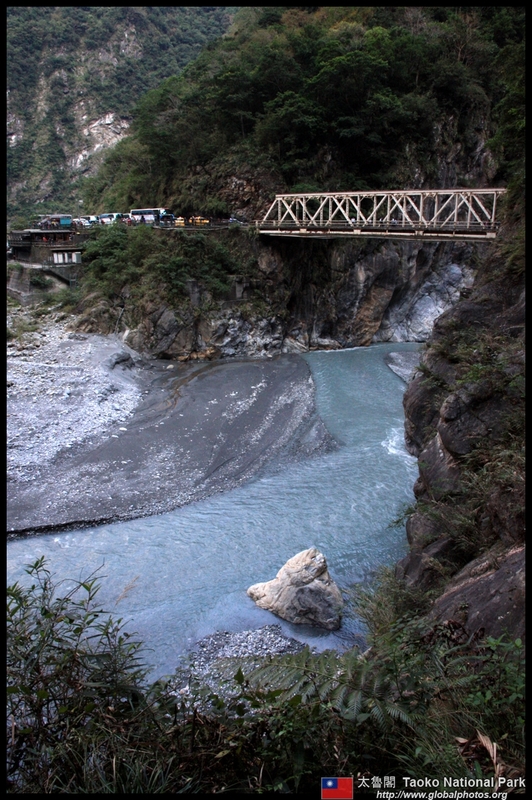 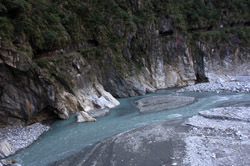 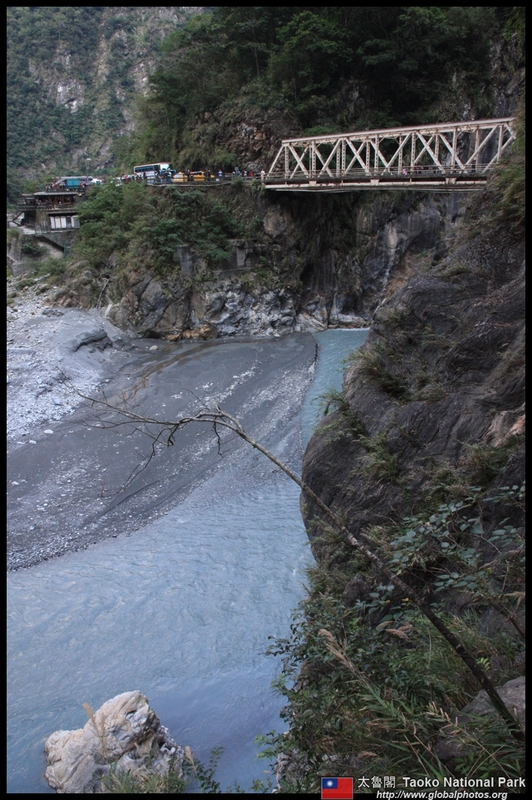 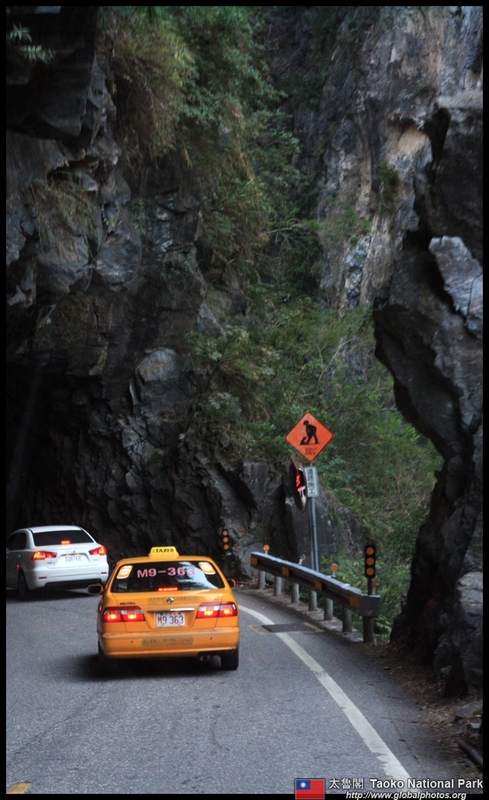 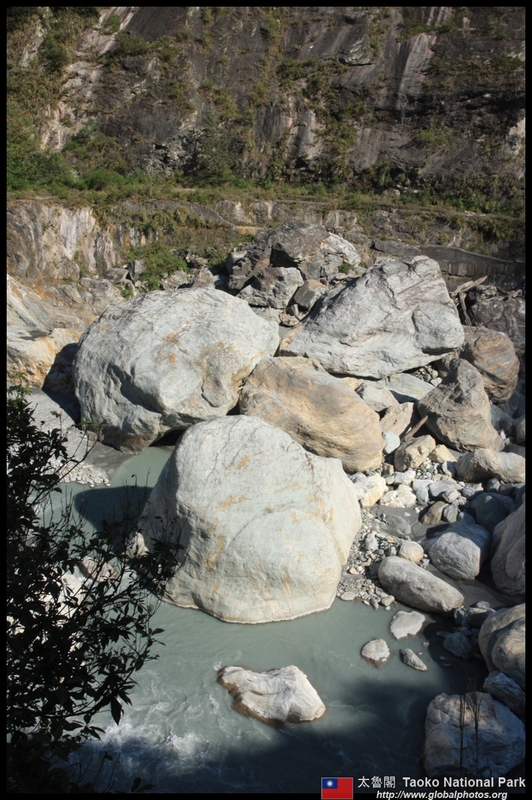 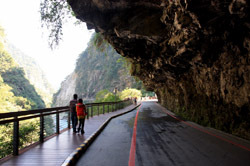 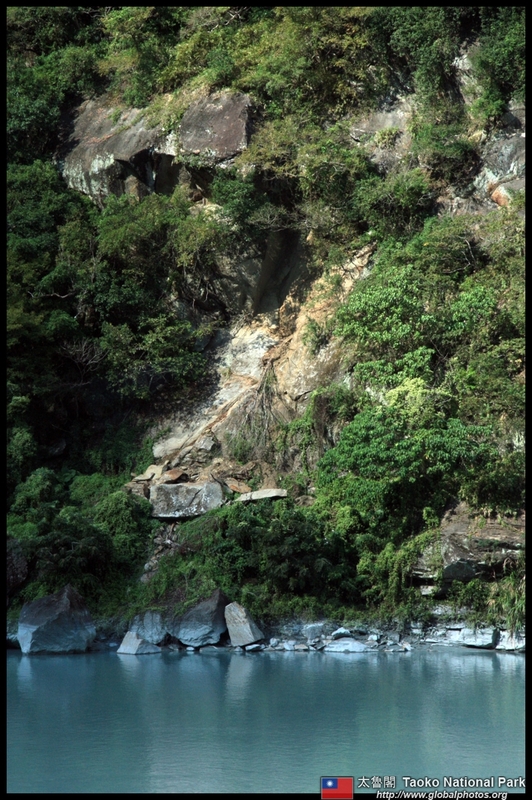 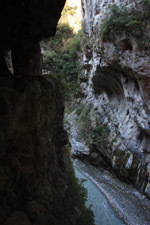 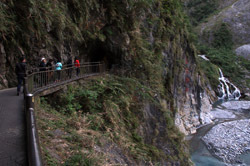 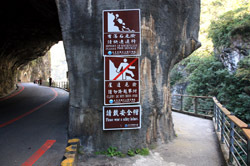 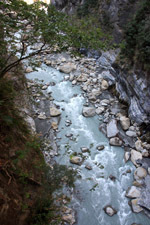 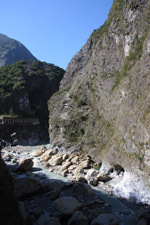 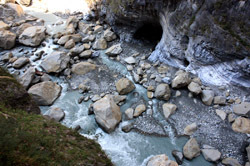 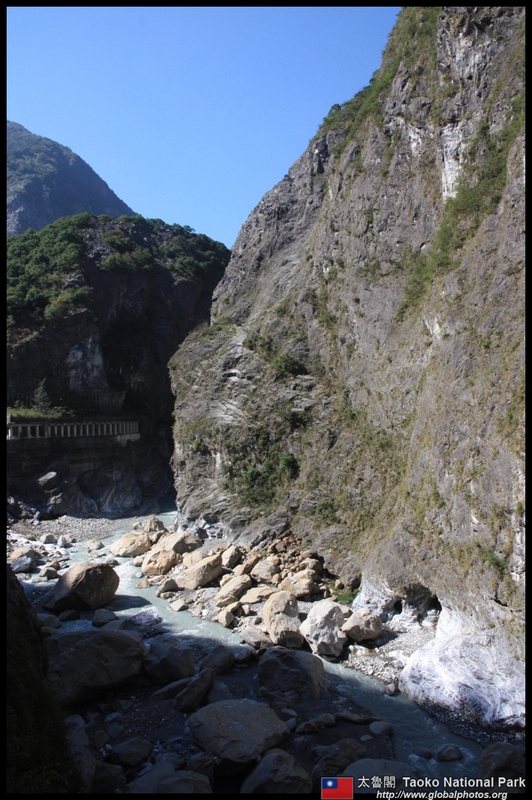 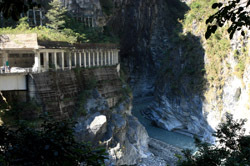 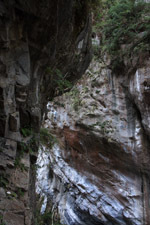 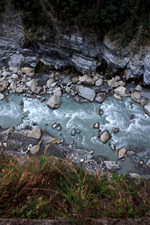 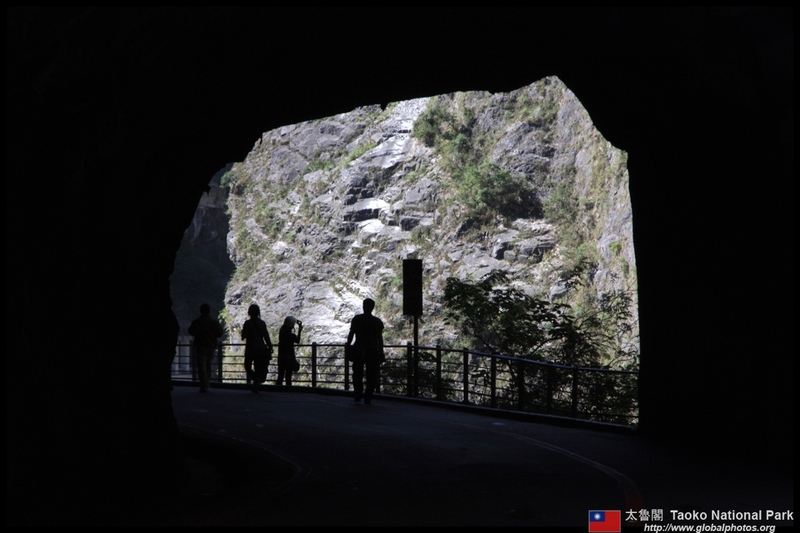 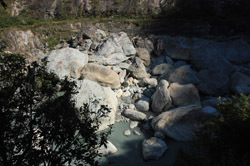 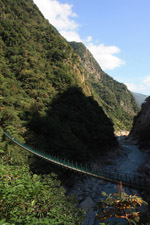 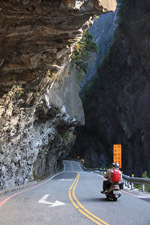 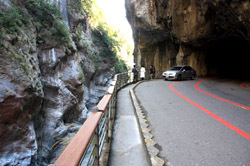 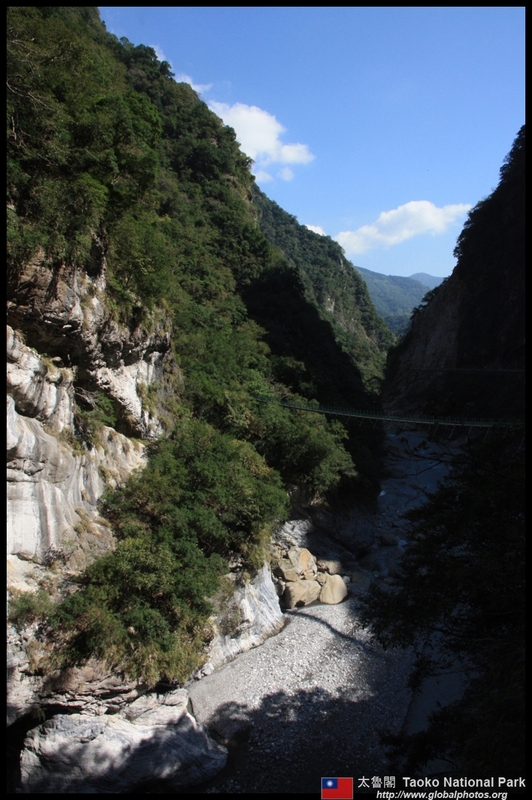 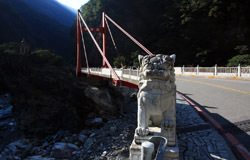 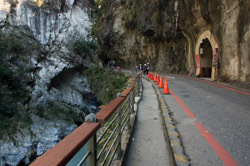 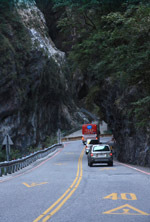 Taroko Gorge is now a major attraction and bus-loads of tourists have flooded into this park, causing strain on the narrow roads. 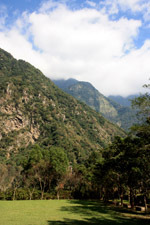 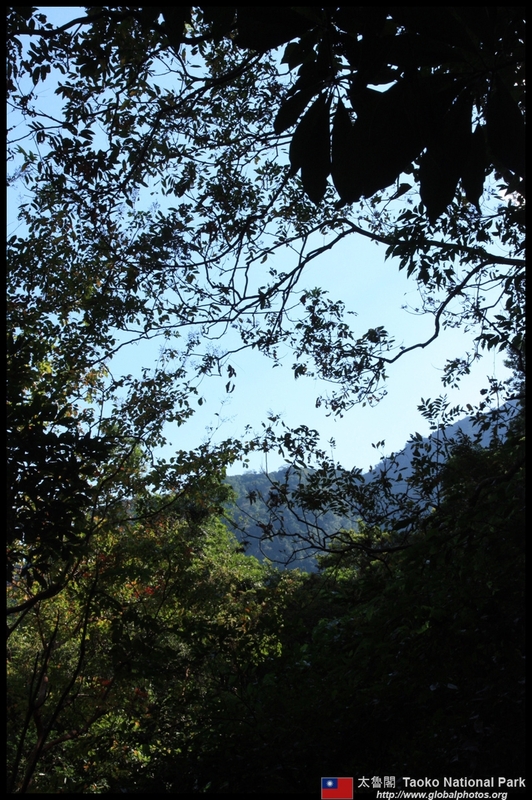 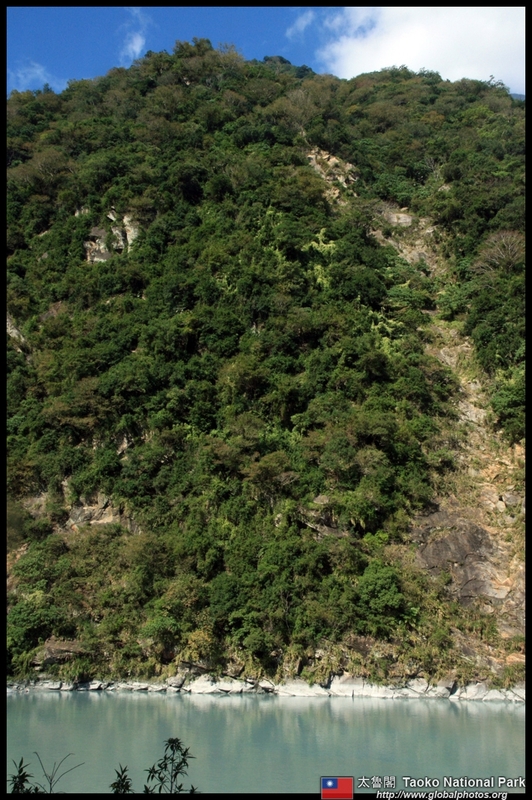 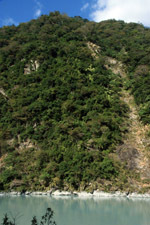 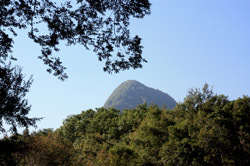 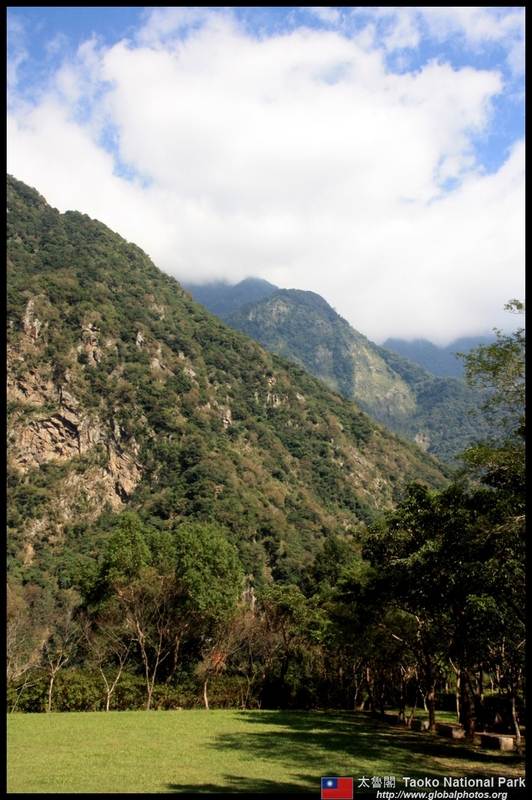 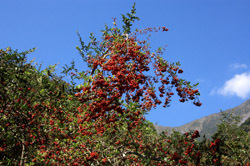 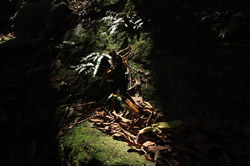 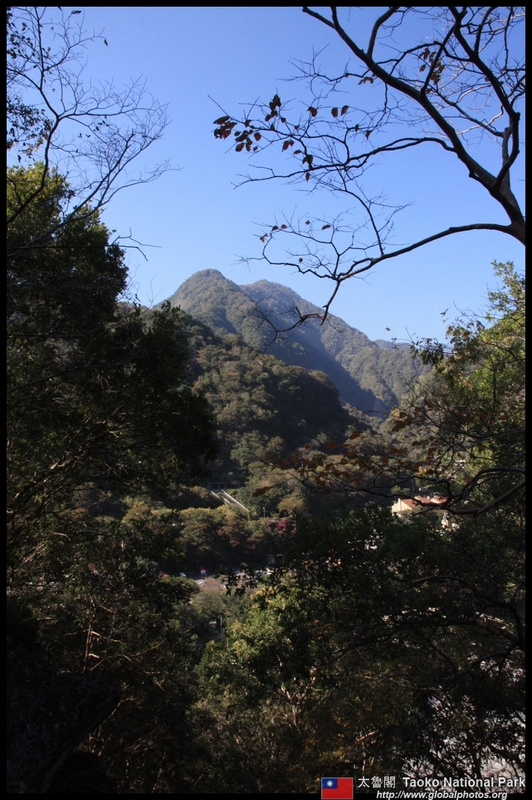 The local tribes traversed these mountains at ease with their own trails. 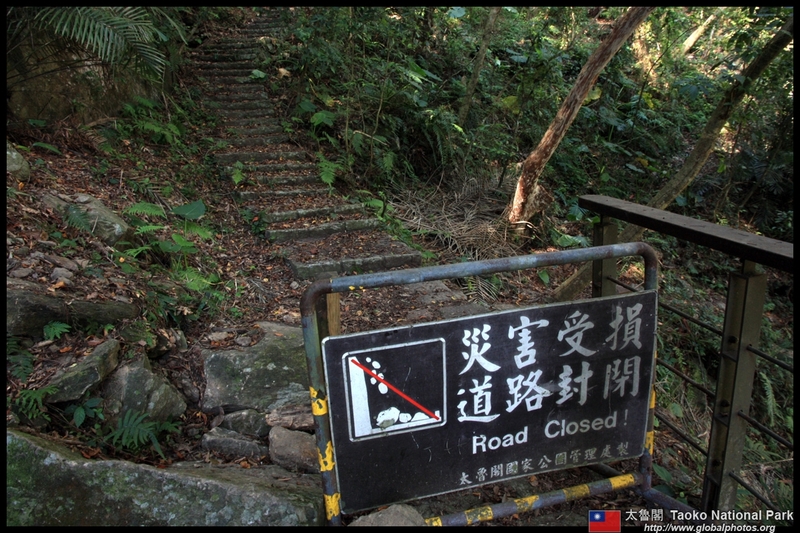 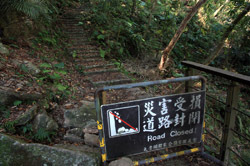 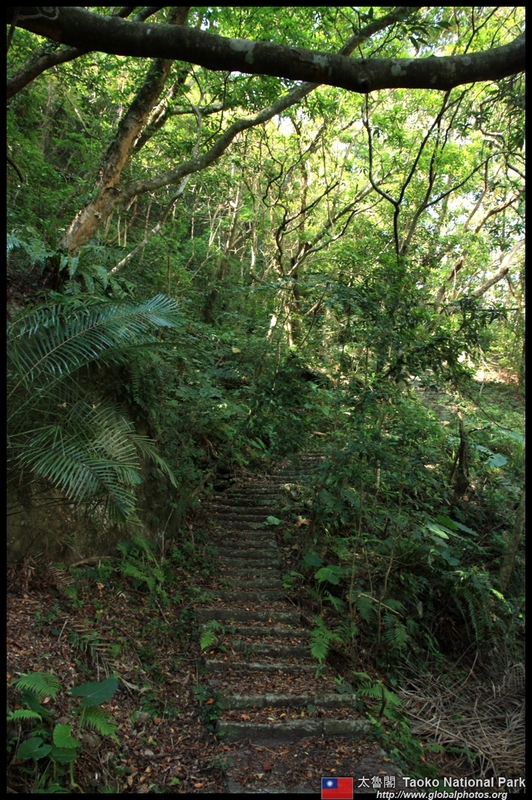 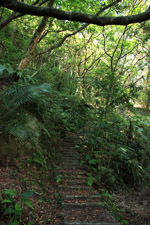 It is possible to hike these trails today but I didn't have time to explore with just a day here. 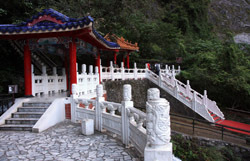 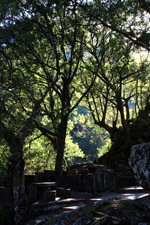 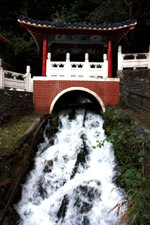 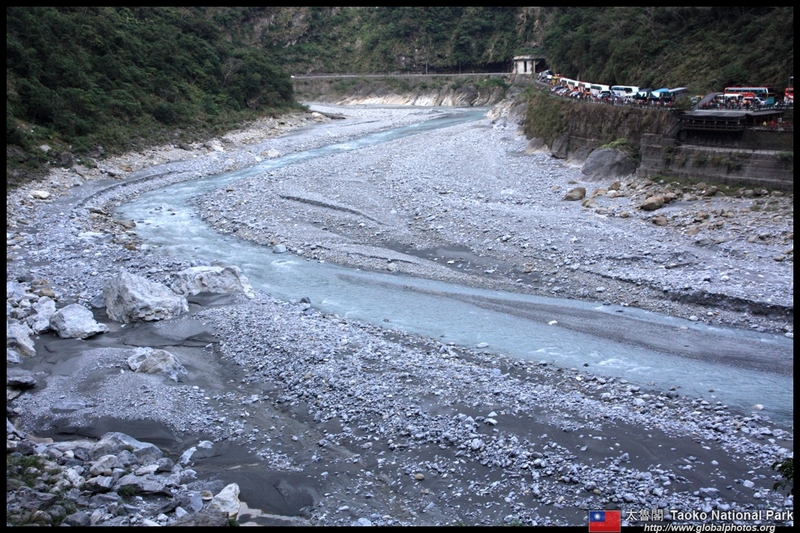 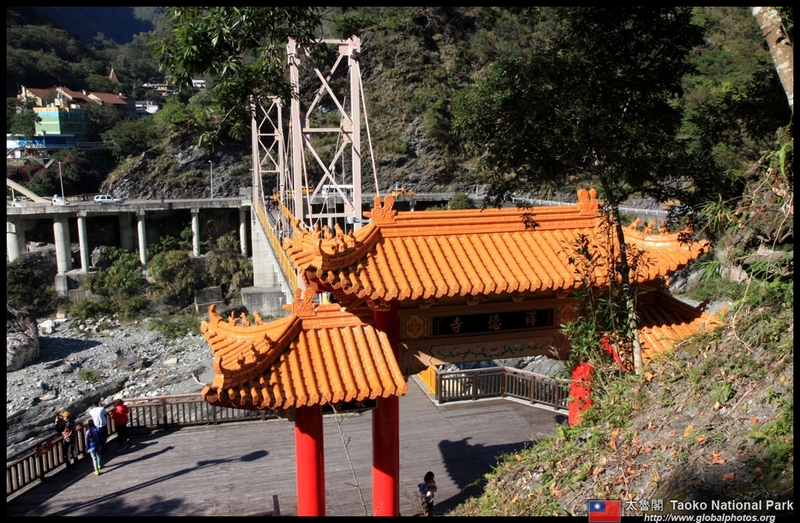 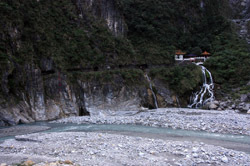 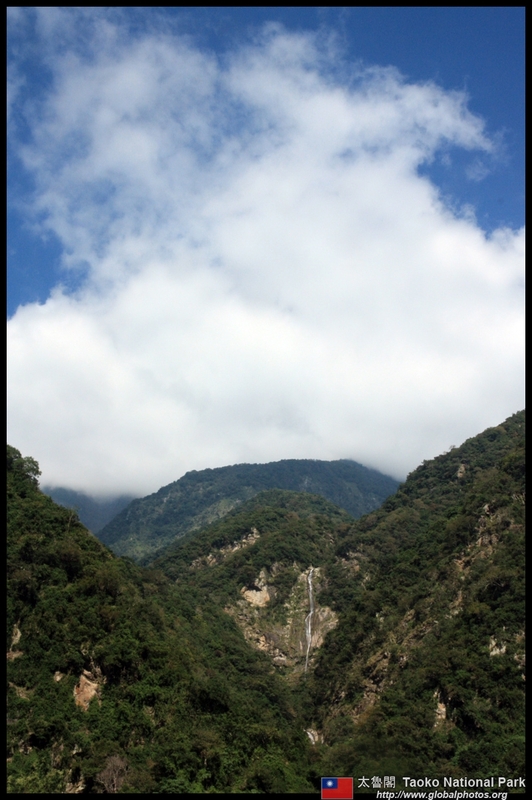 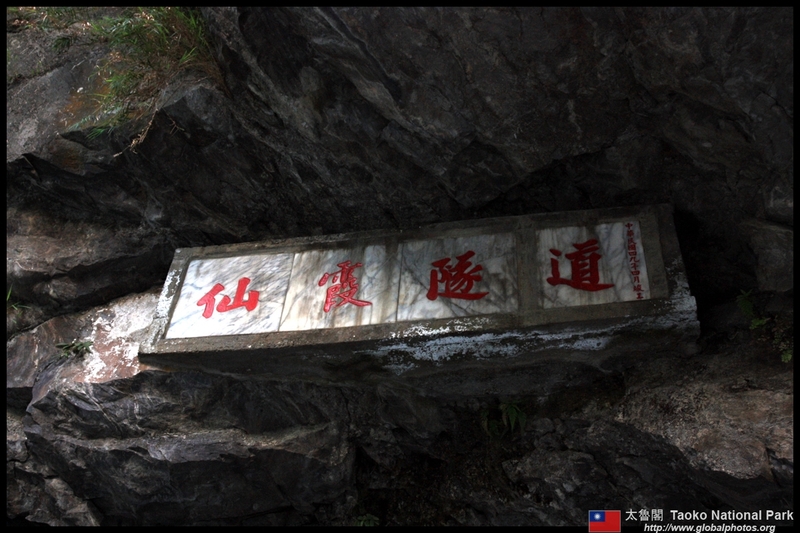 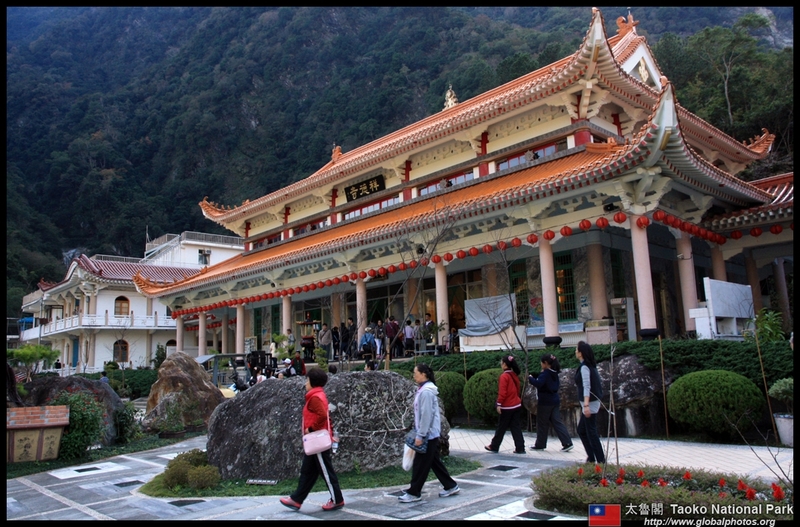 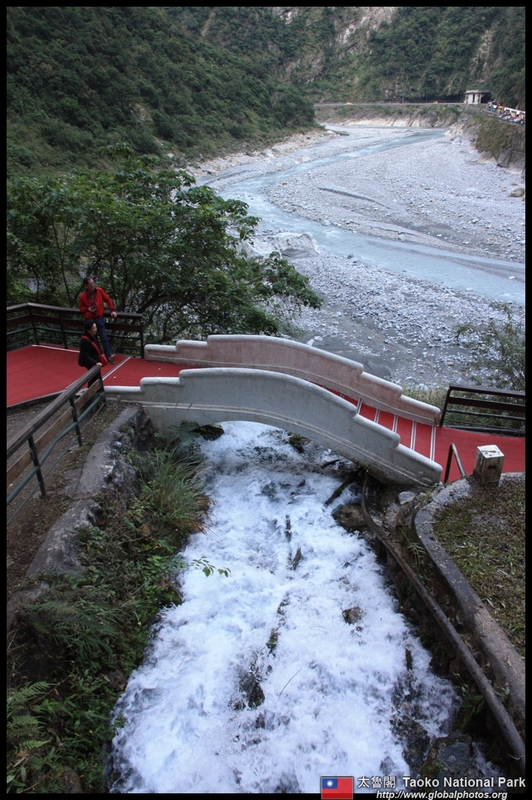 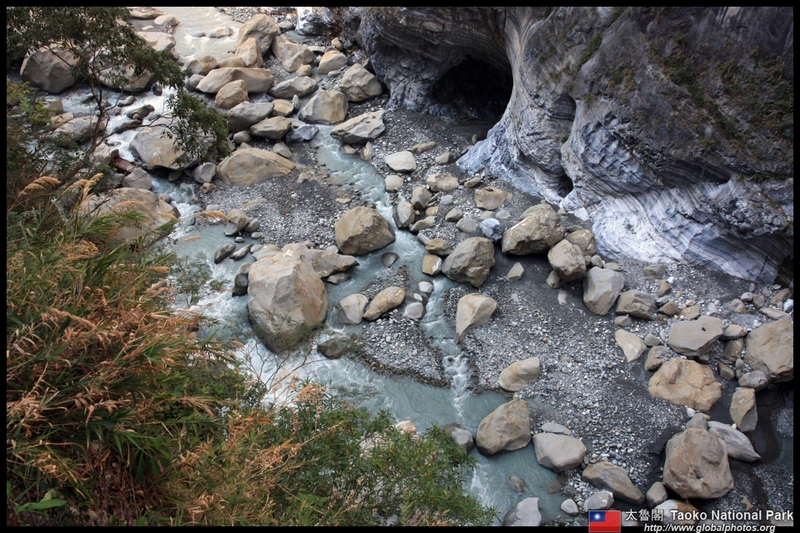 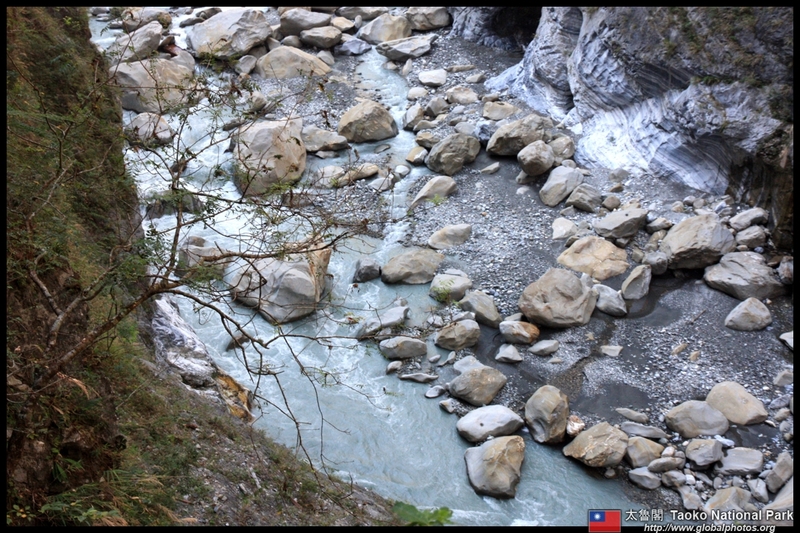 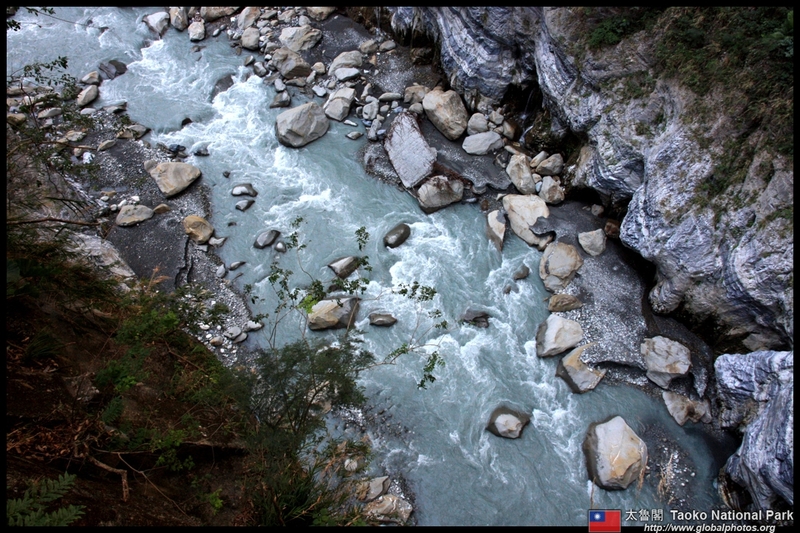 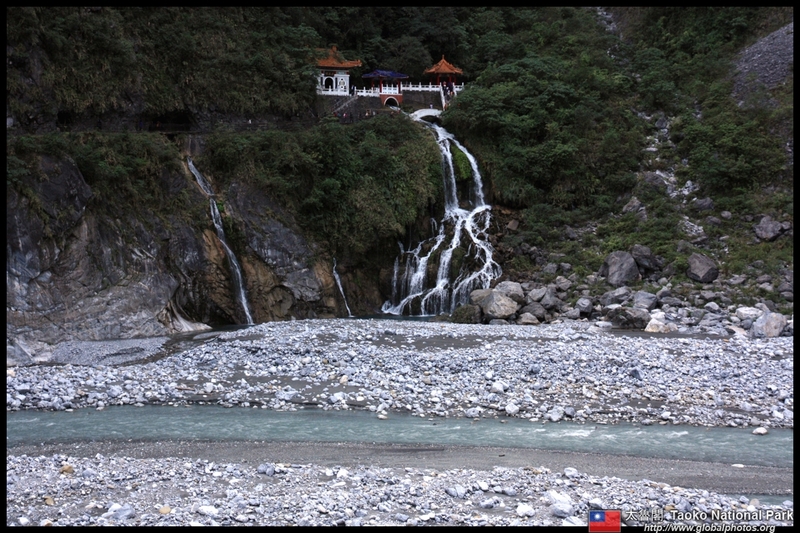 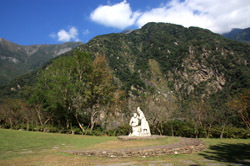 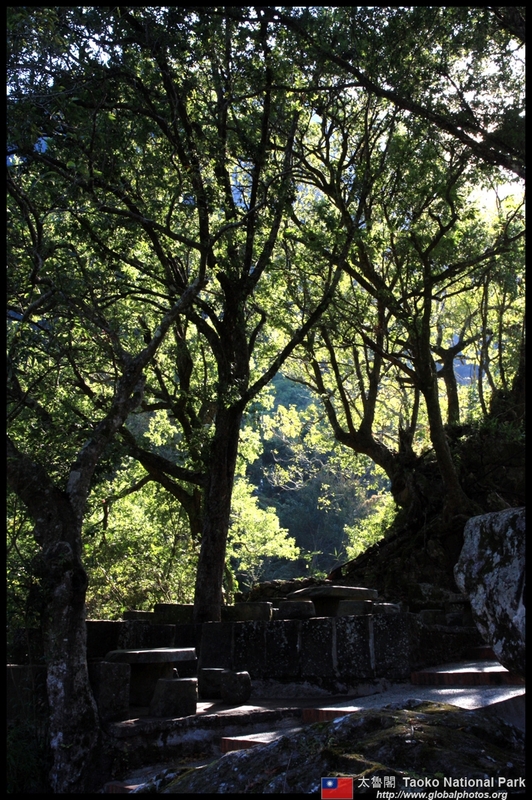 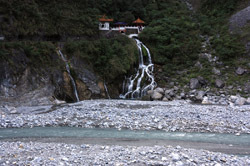 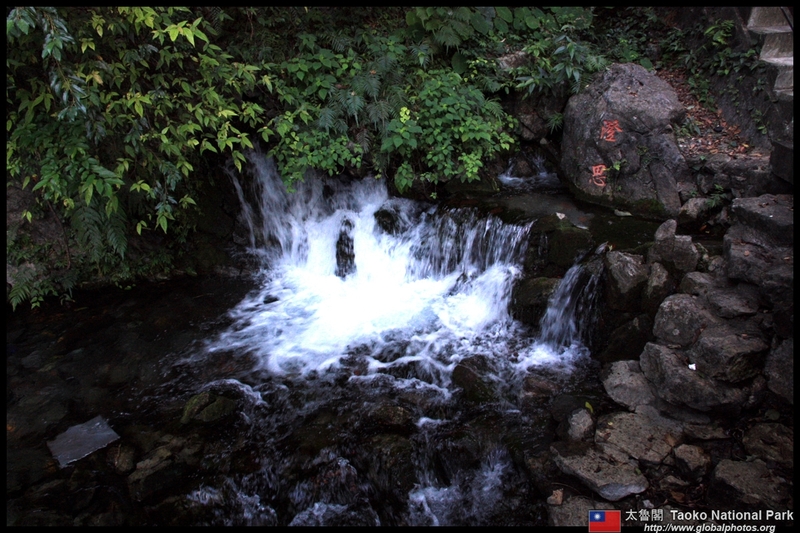 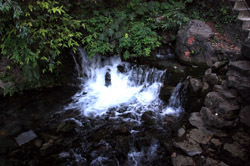 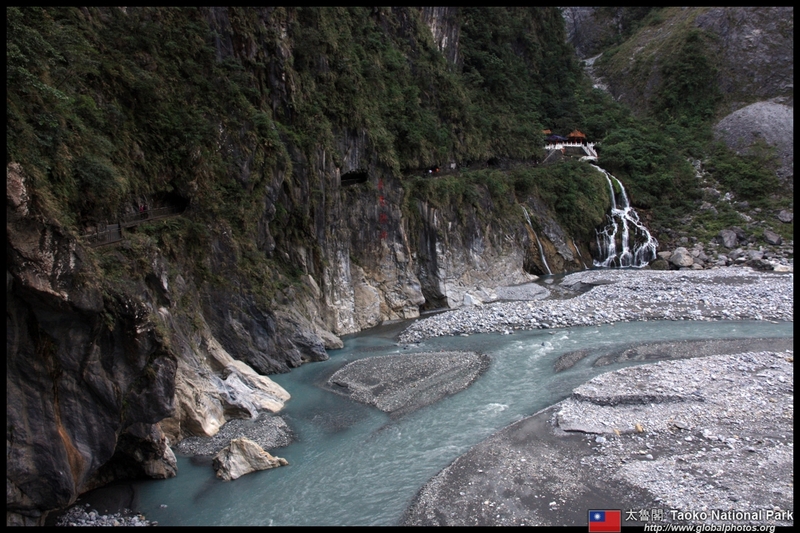 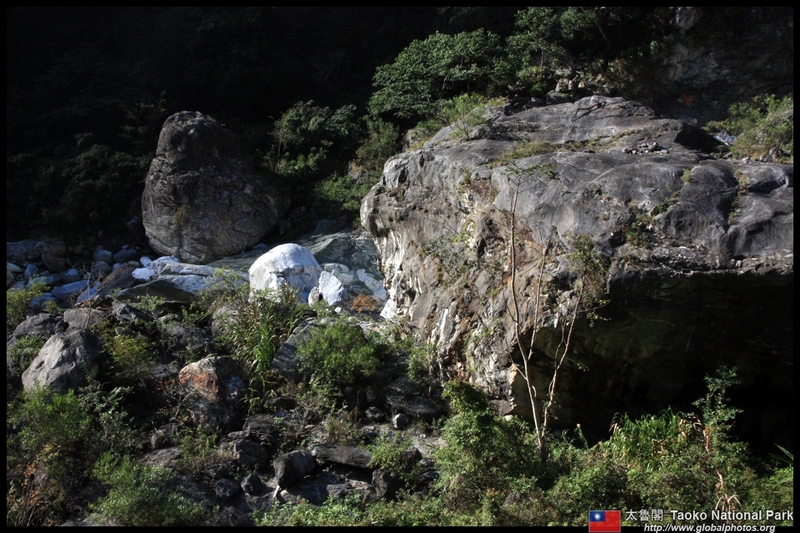 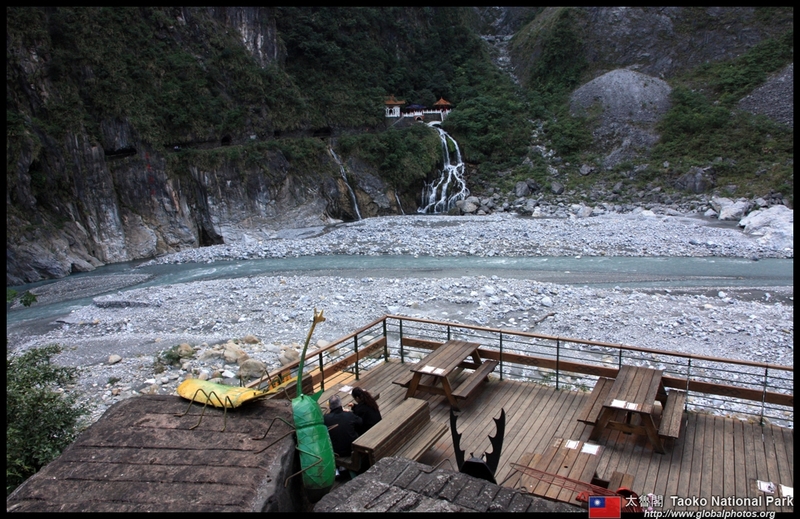 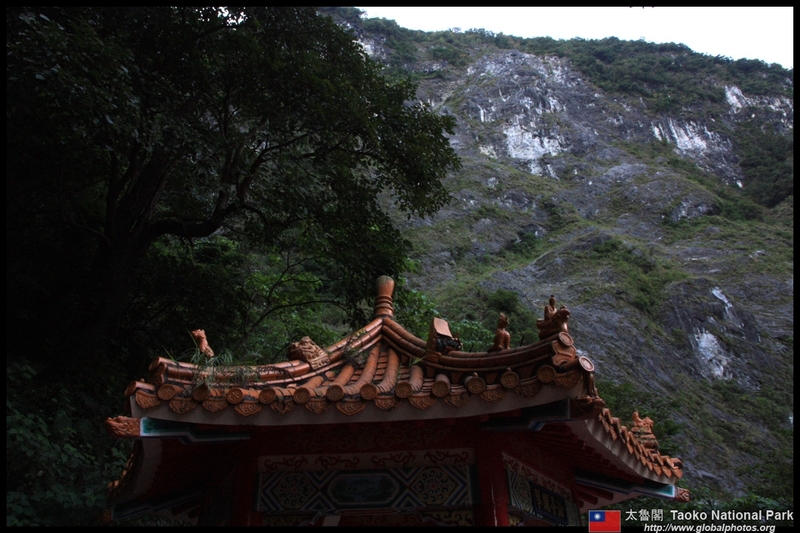 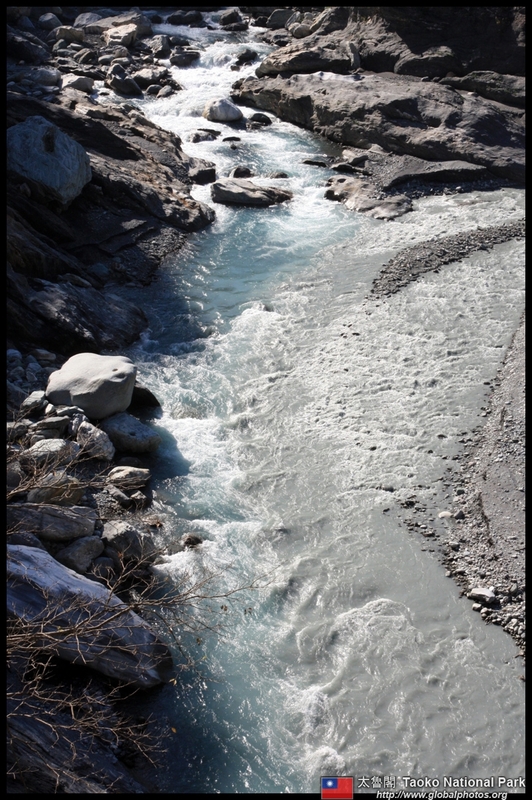 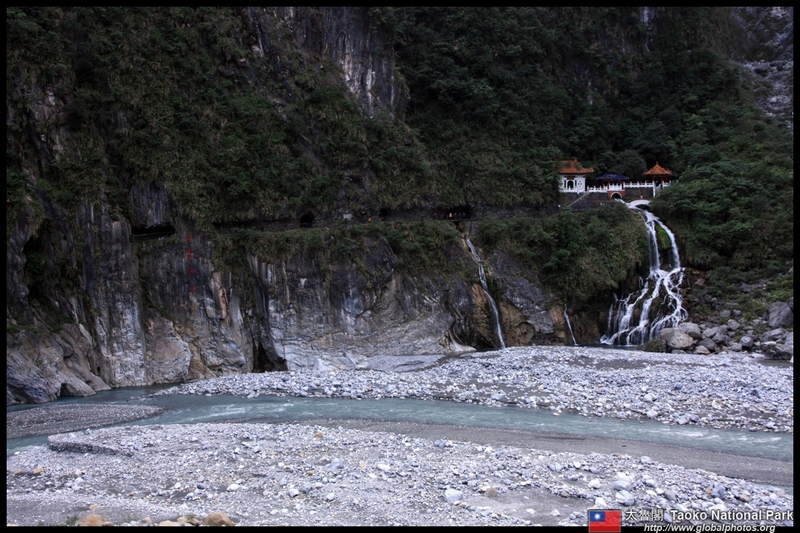 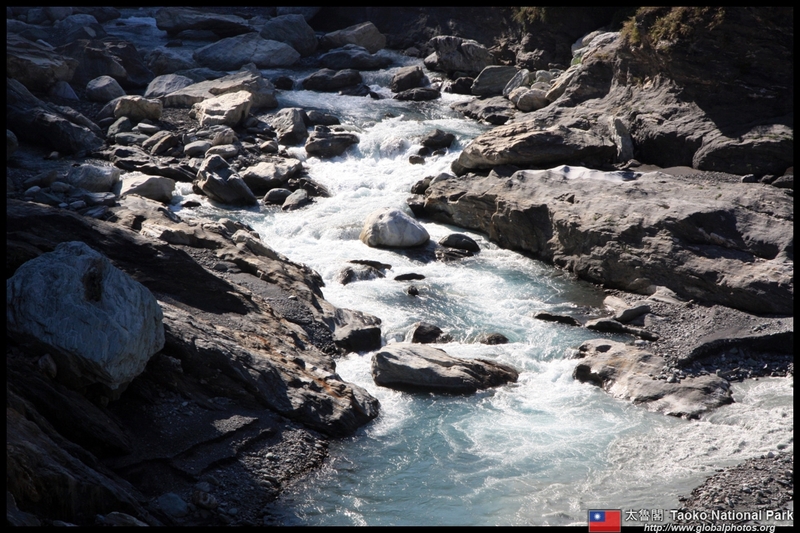 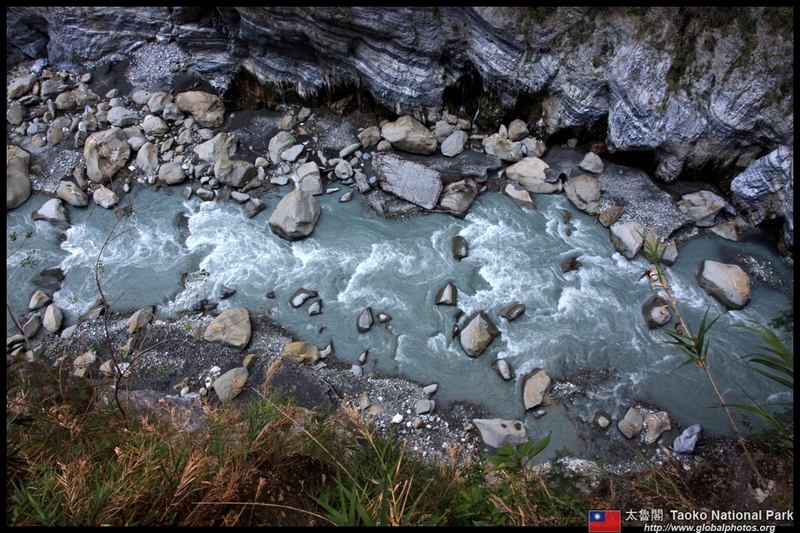 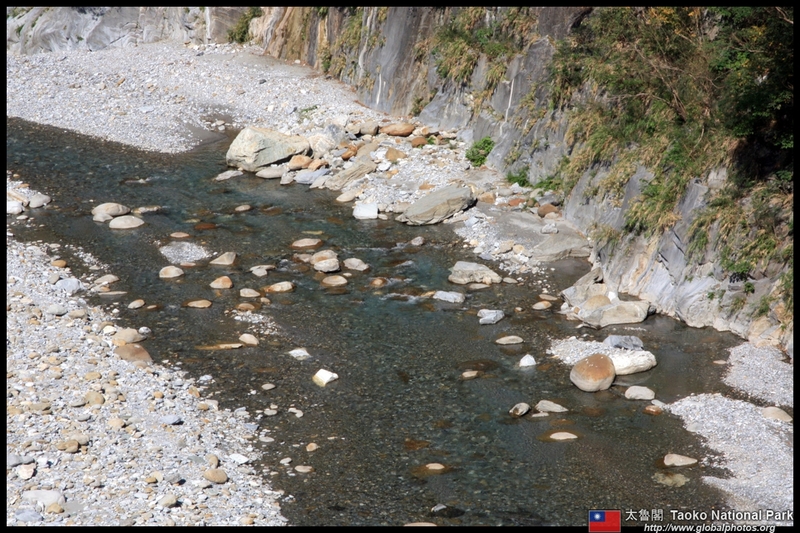 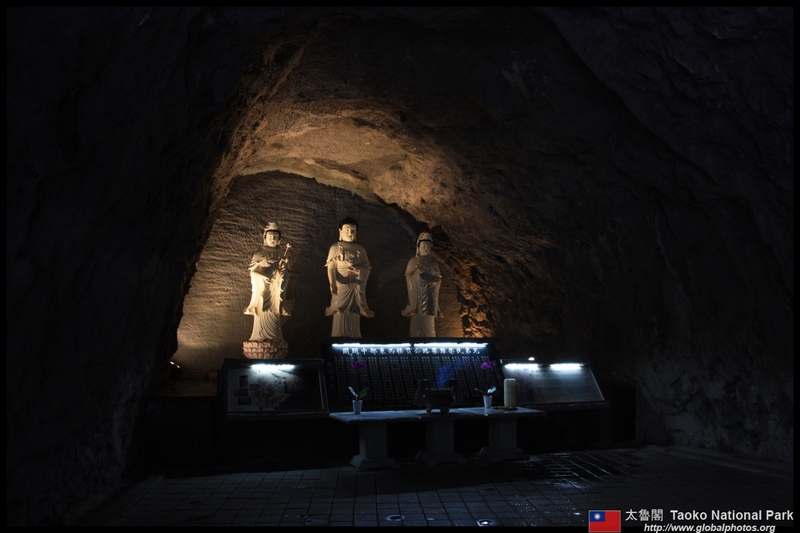 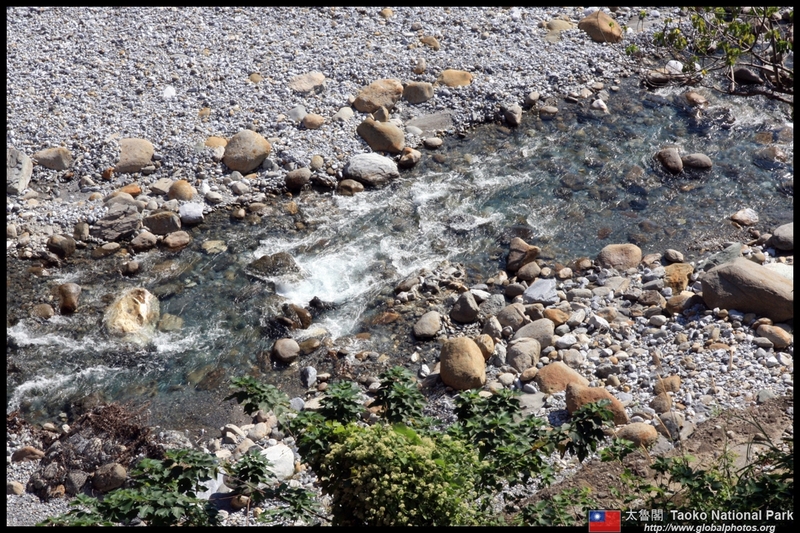 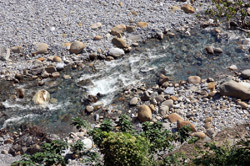 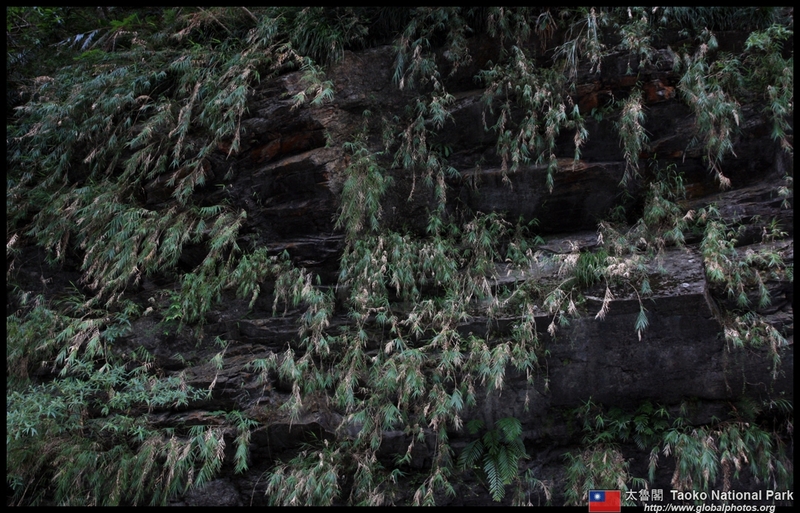 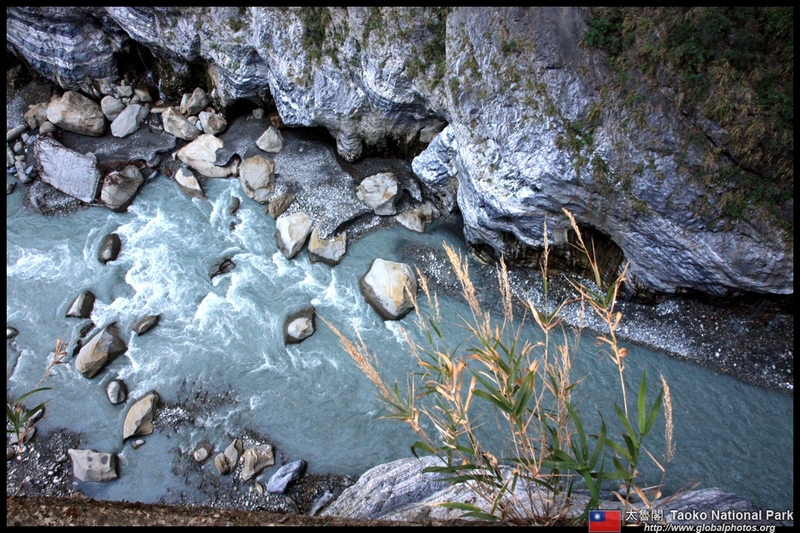 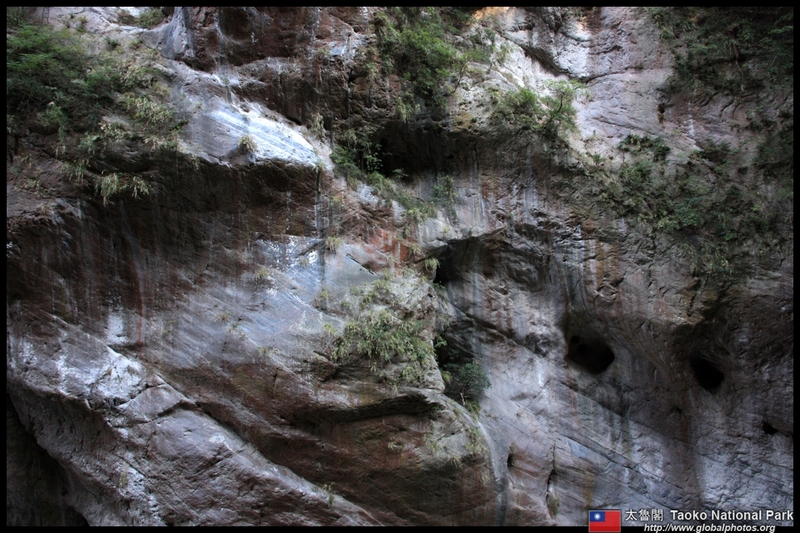 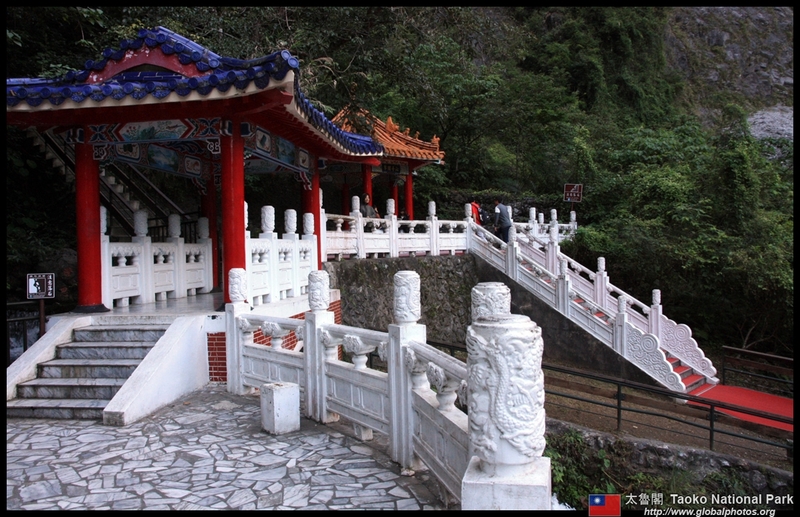 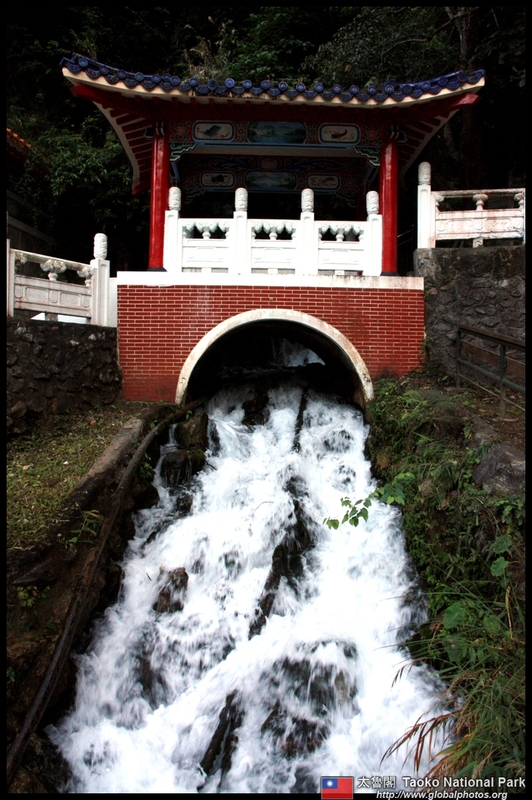 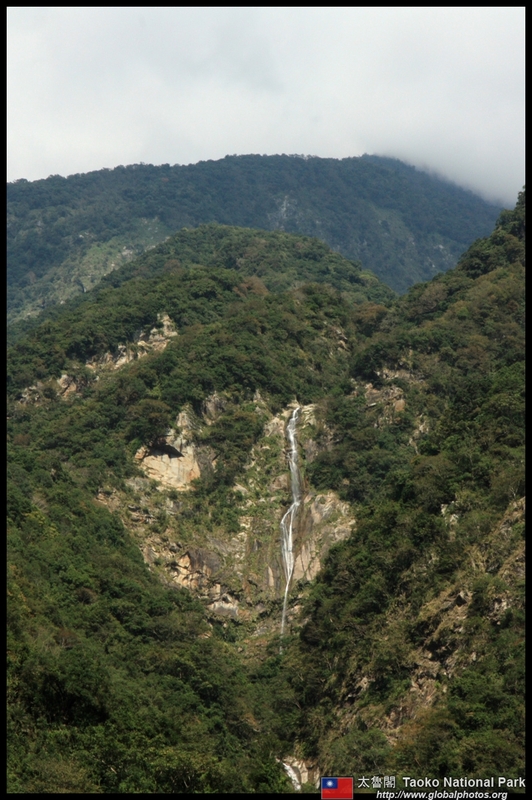 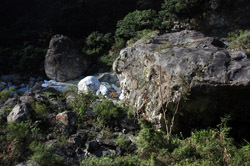 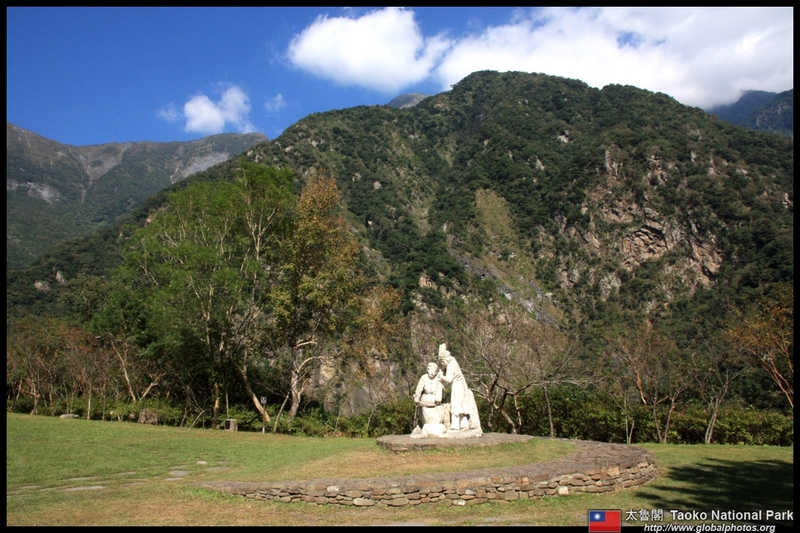 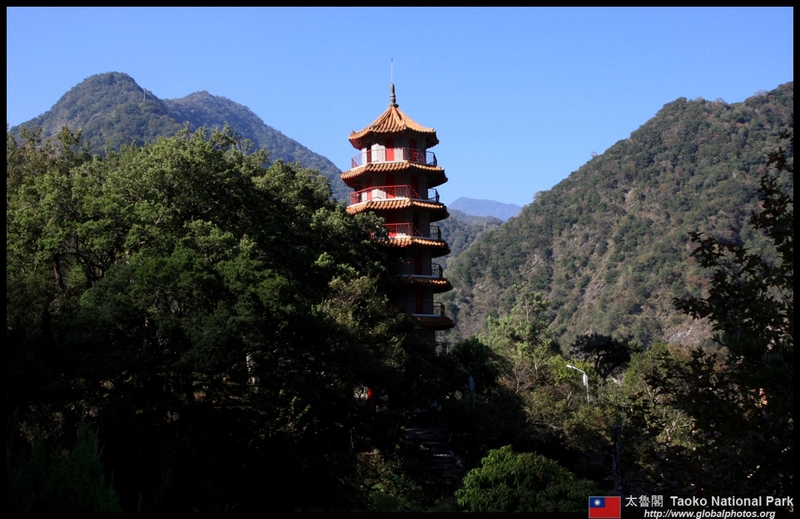 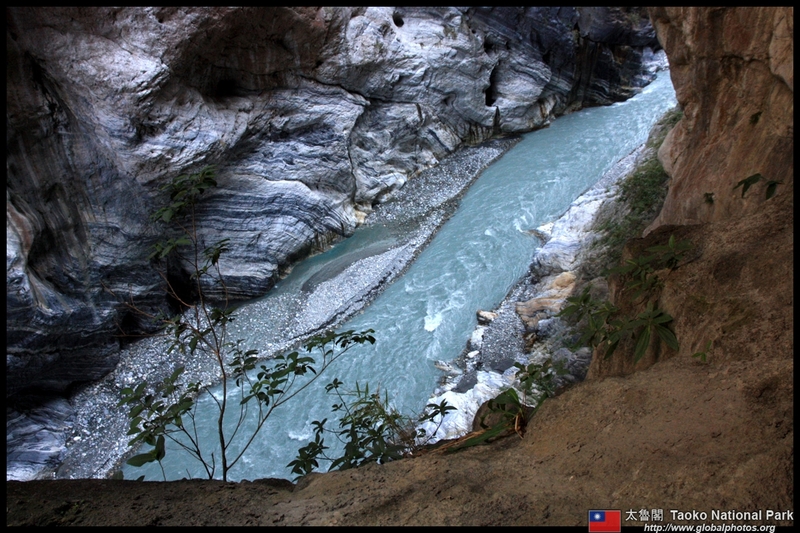 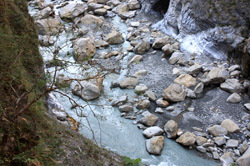 Spring water flows through the Changchun Shrine, which is now a major landmark on the way back to Hualien. 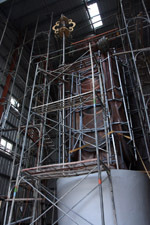 The shrine is a reconstruction as the previous one was destroyed in 1987. 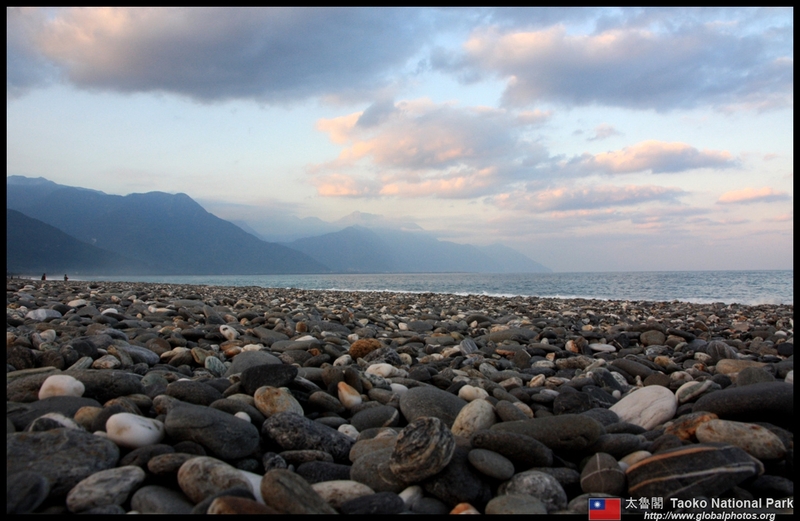 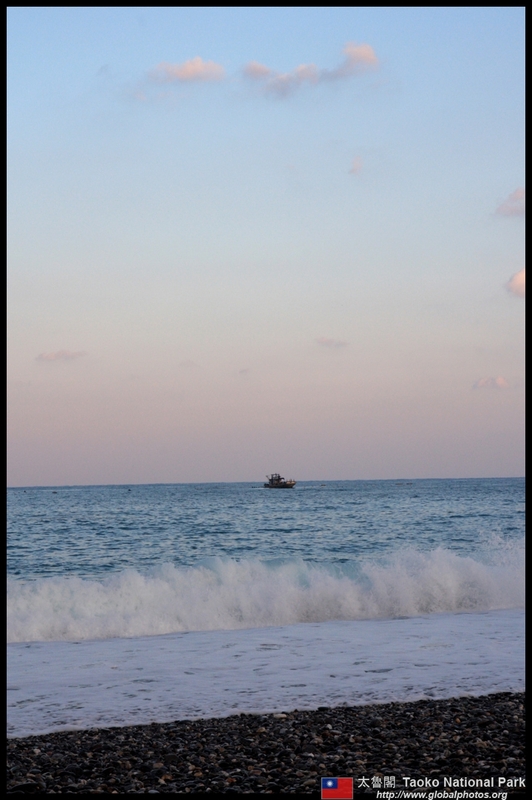 Qixingtan is a beach that curves along the shoreline with beautiful mountains nearby. 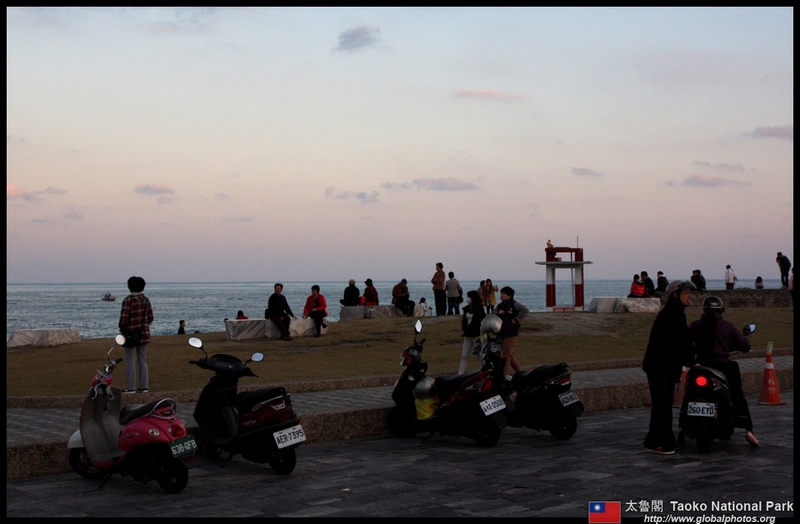 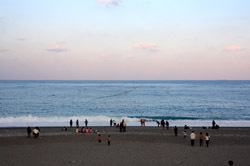 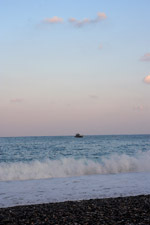 This is "the" place to watch the sunset over the Pacific Ocean.